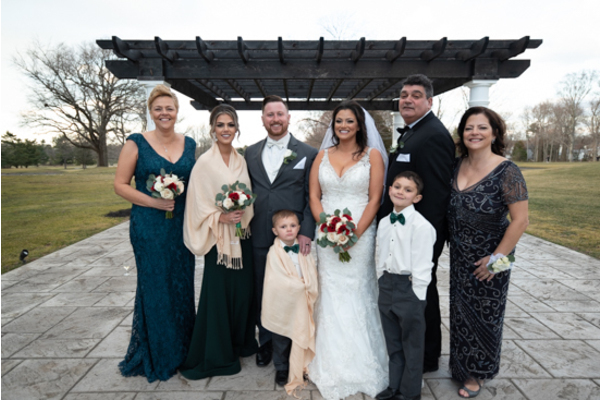 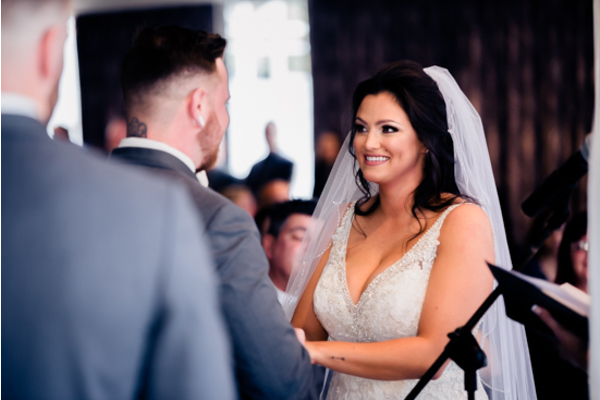 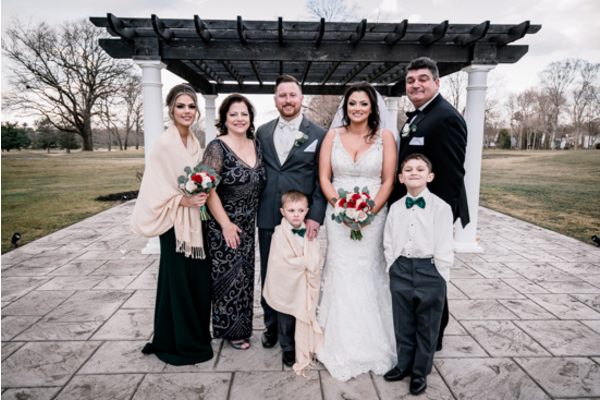 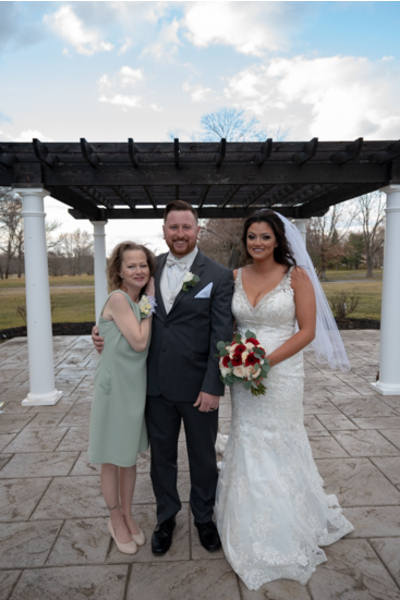 A special congratulations goes to Danielle and Dan on their marriage! 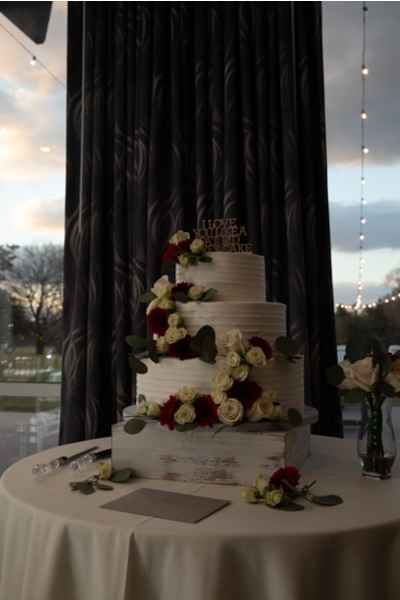 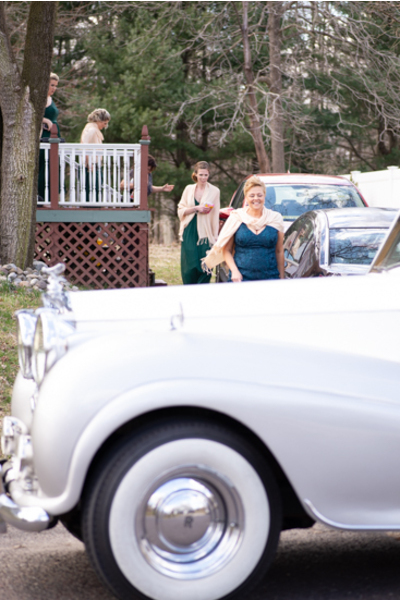 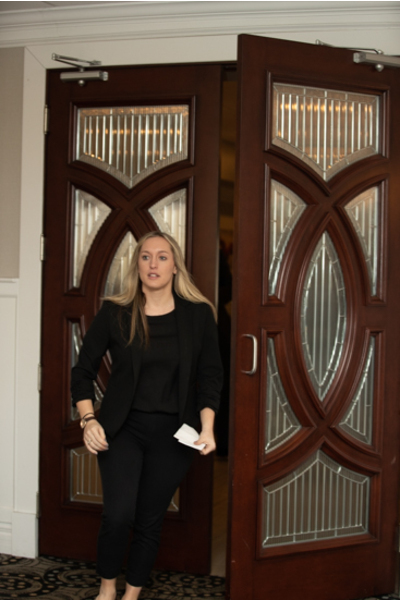 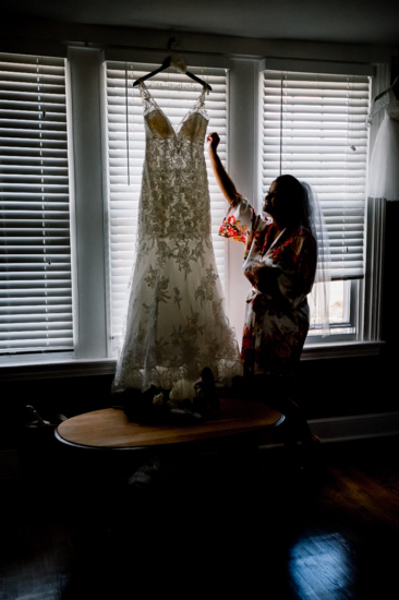 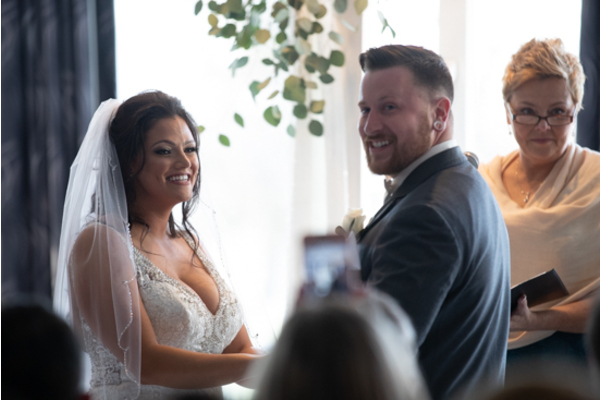 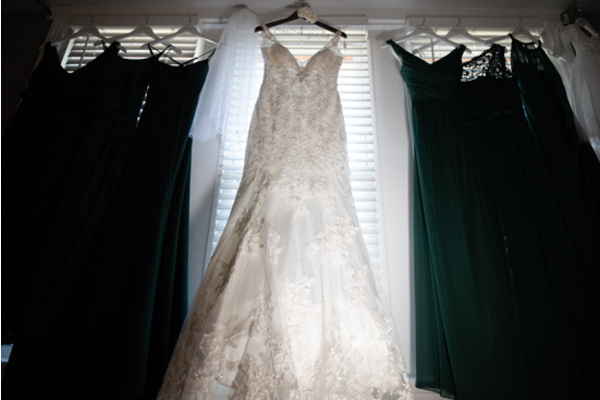 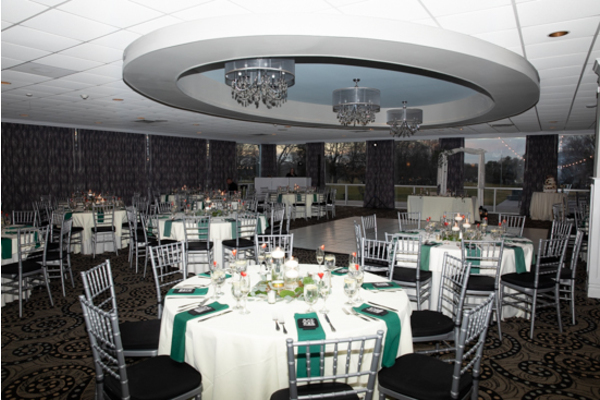 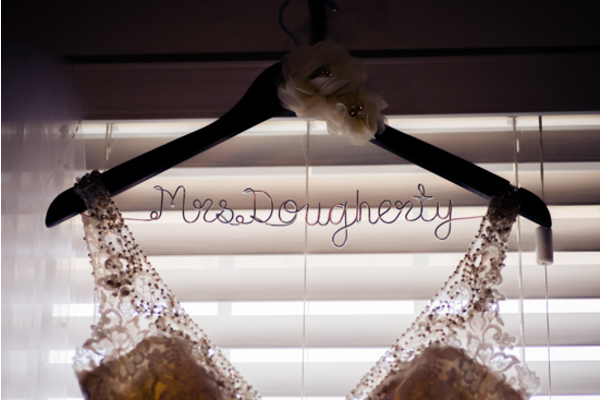 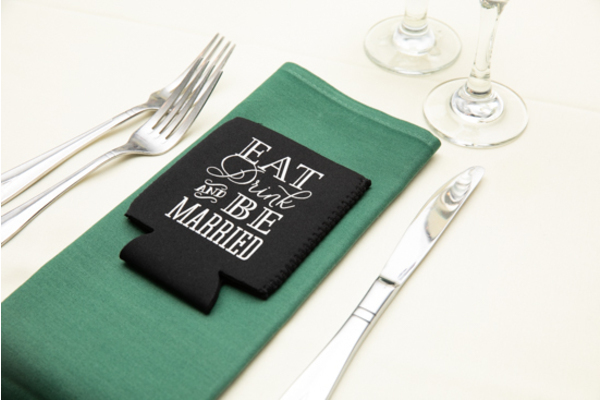 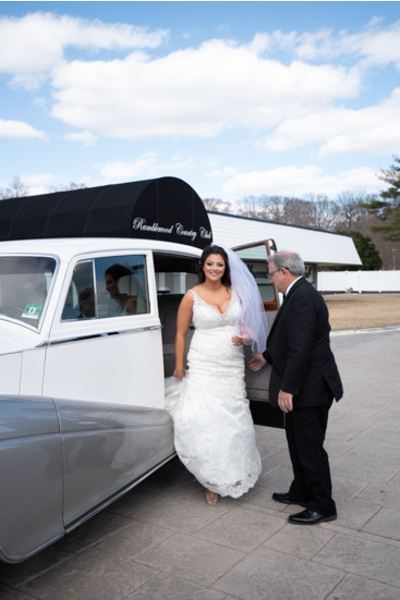 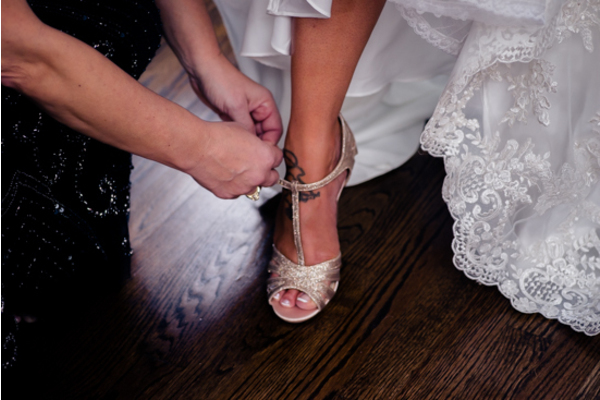 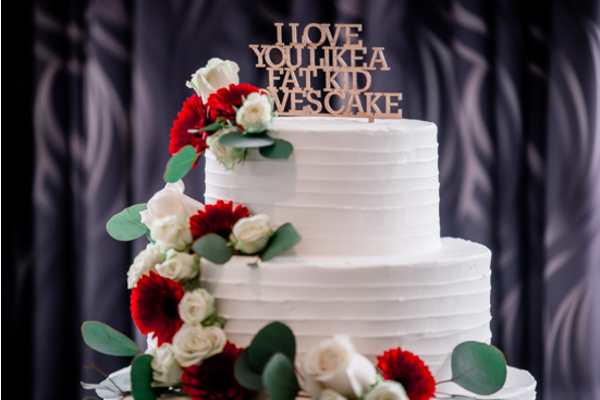 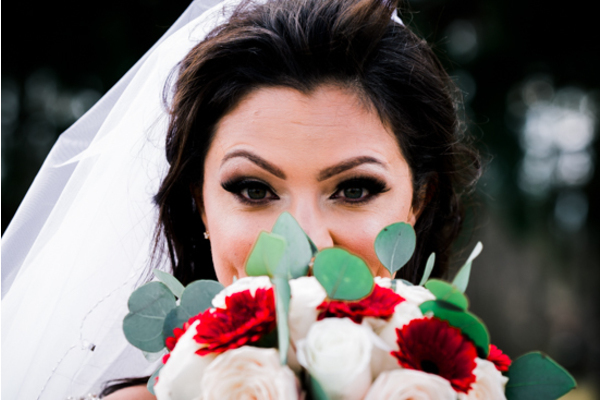 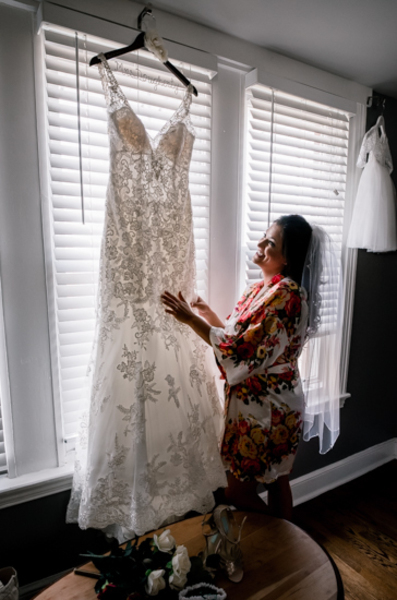 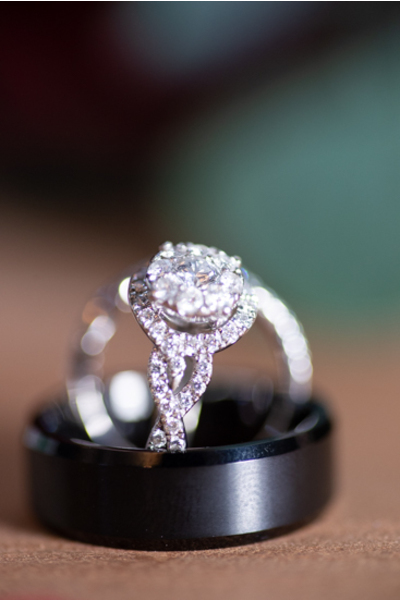 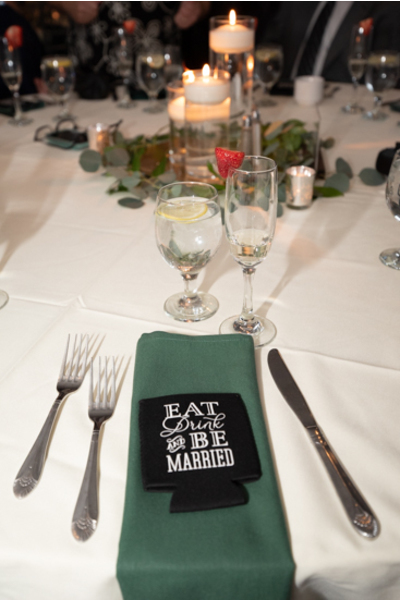 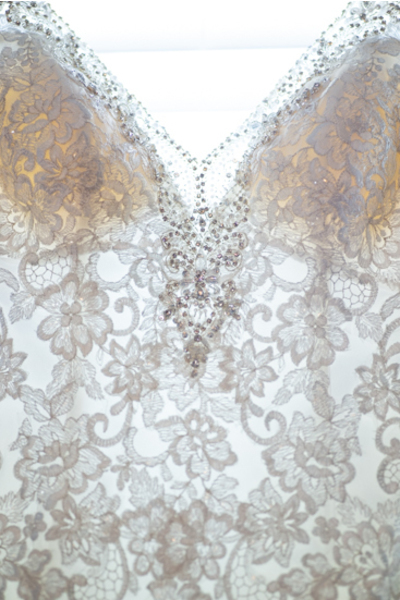 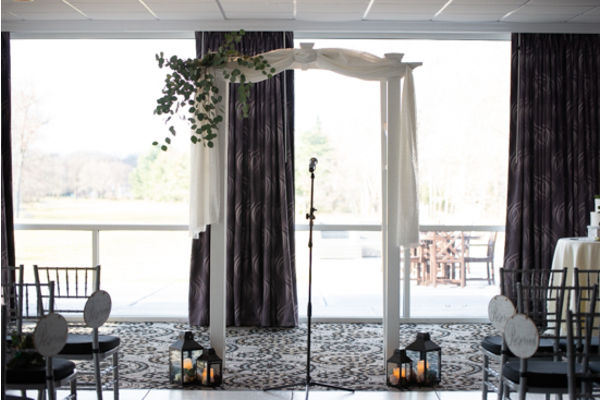 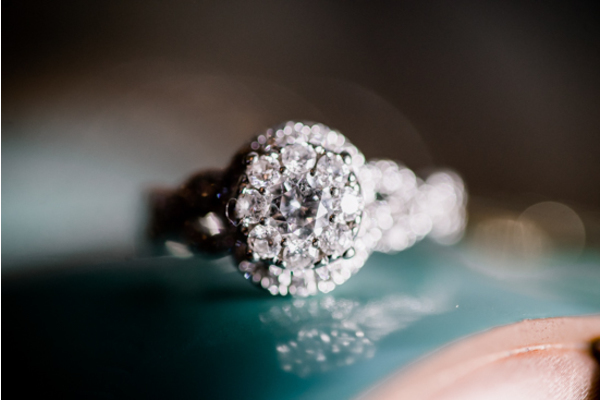 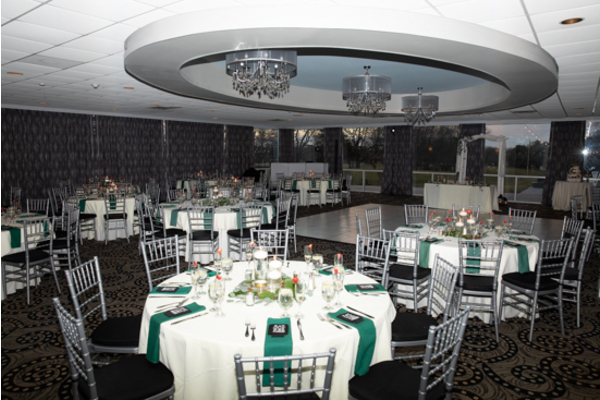 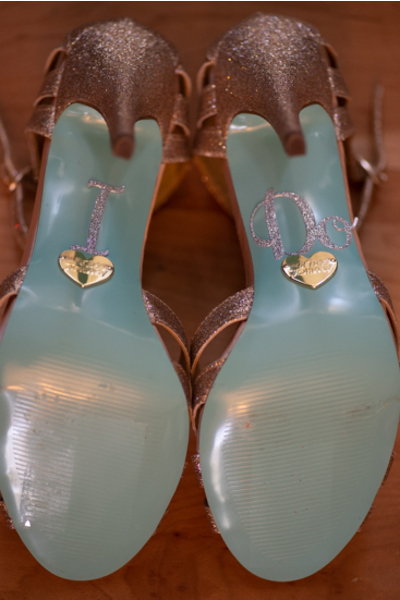 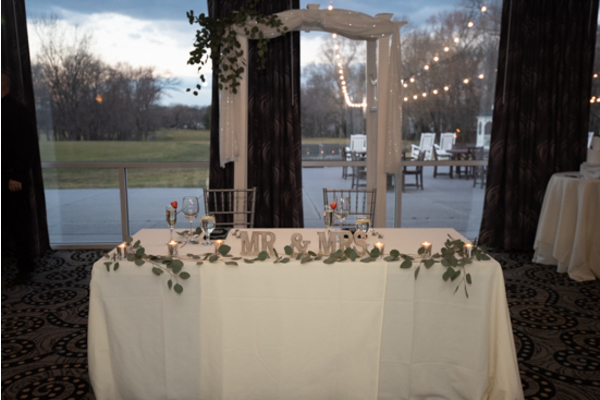 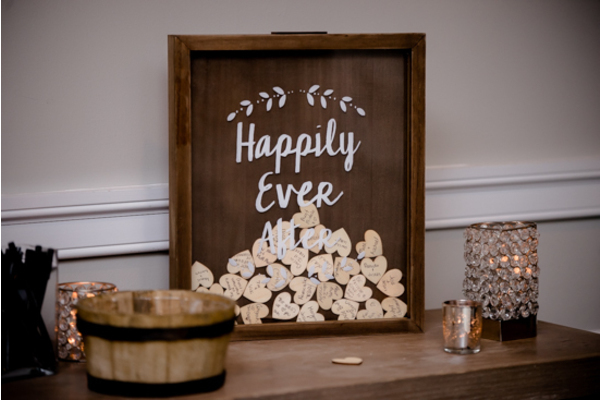 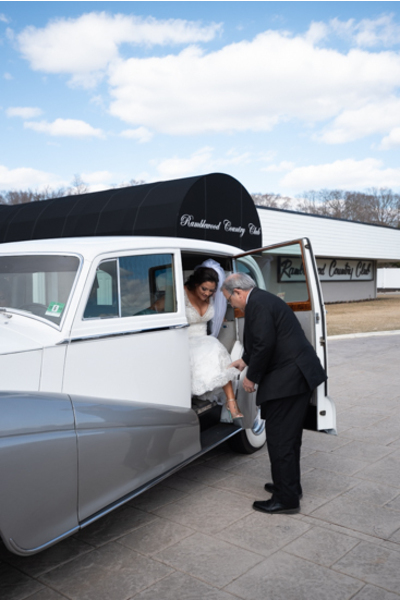 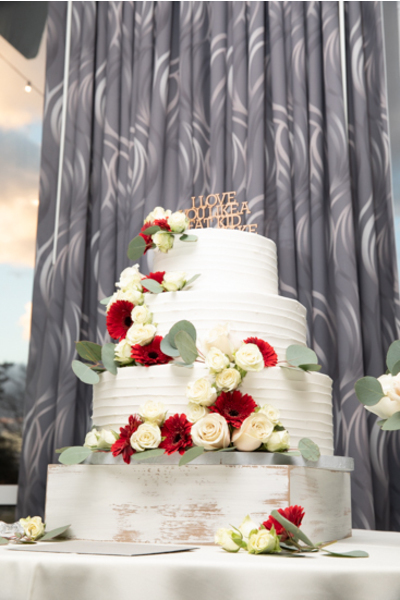 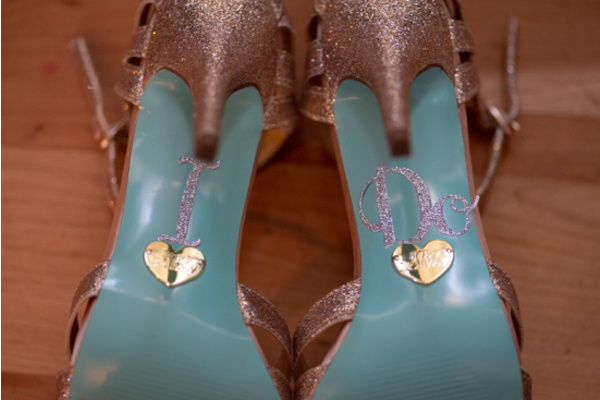 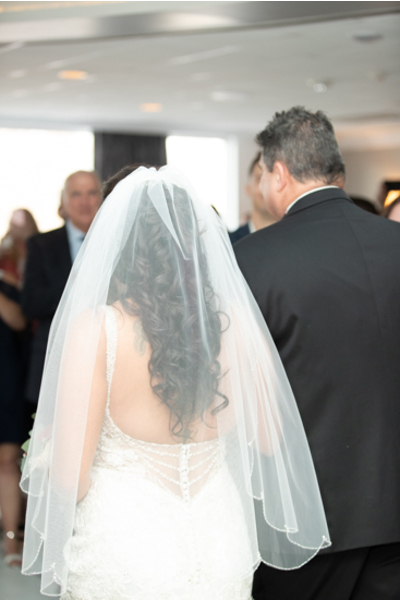 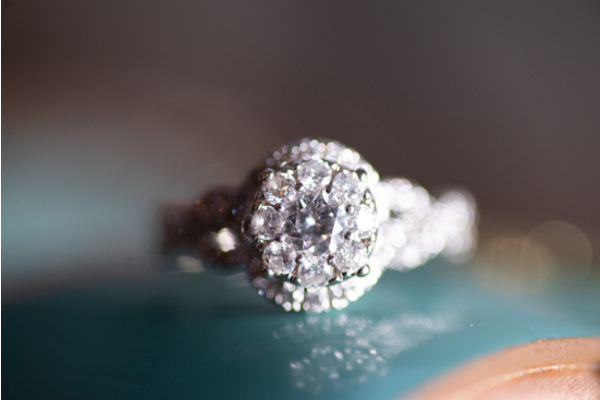 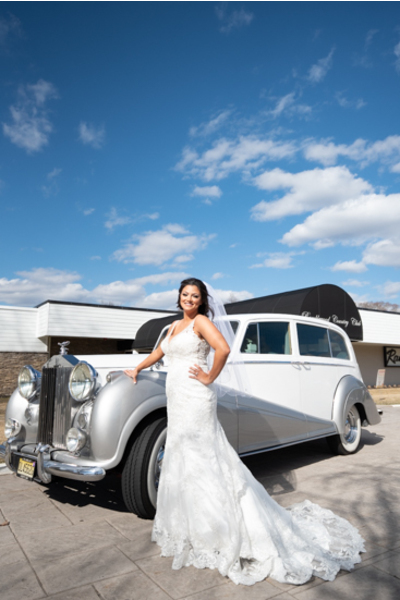 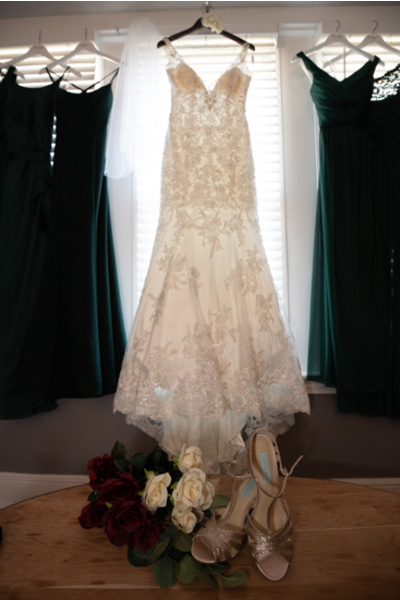 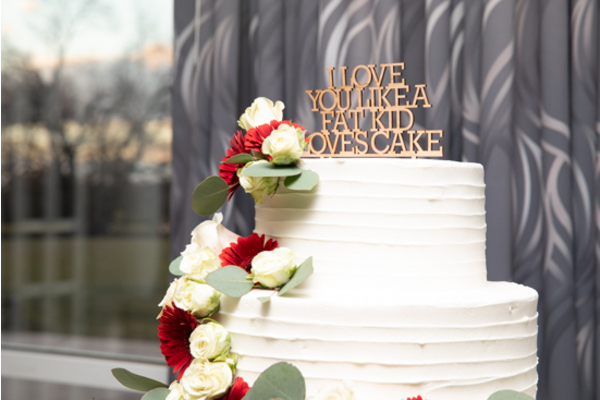 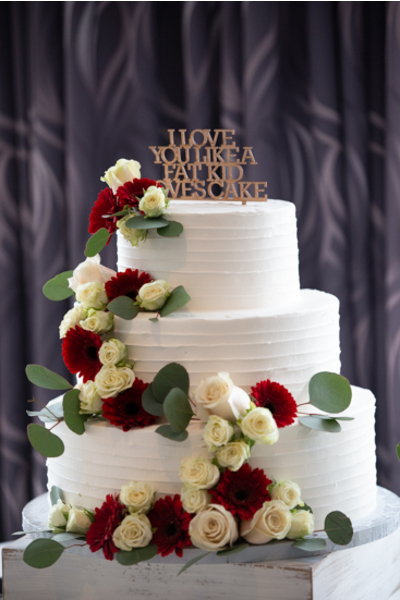 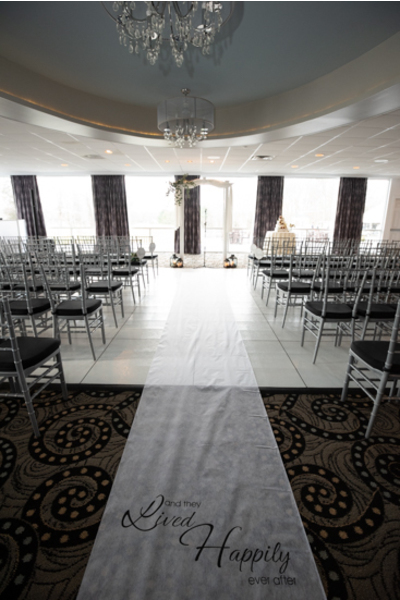 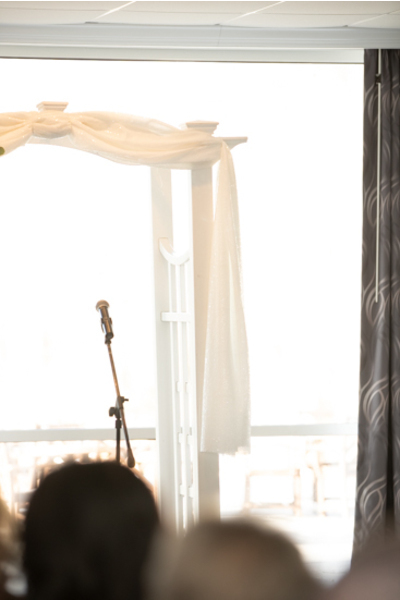 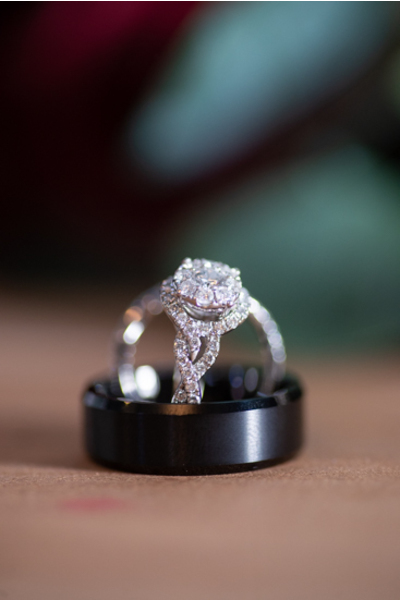 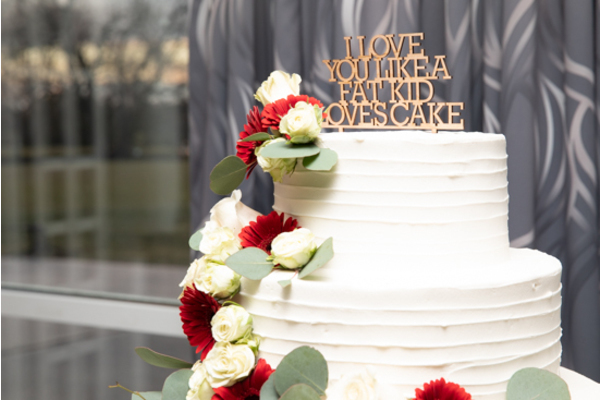 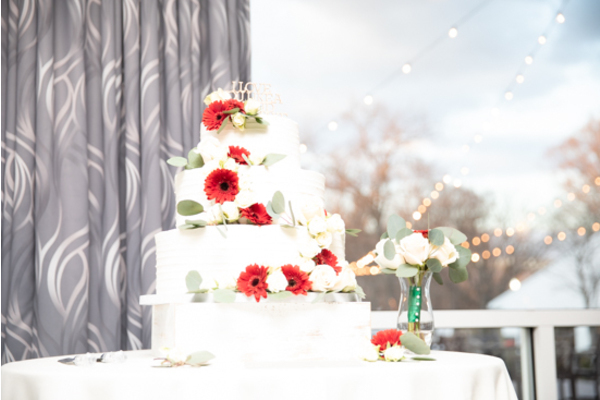 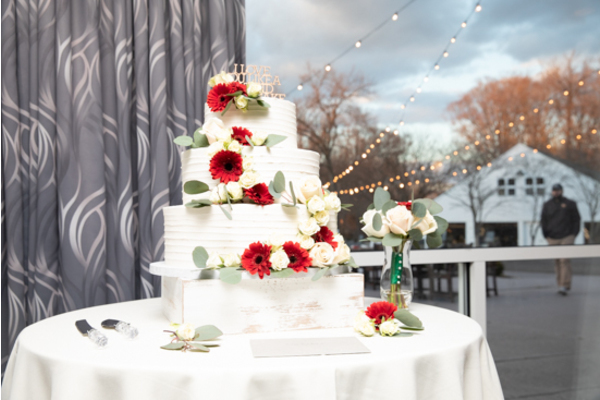 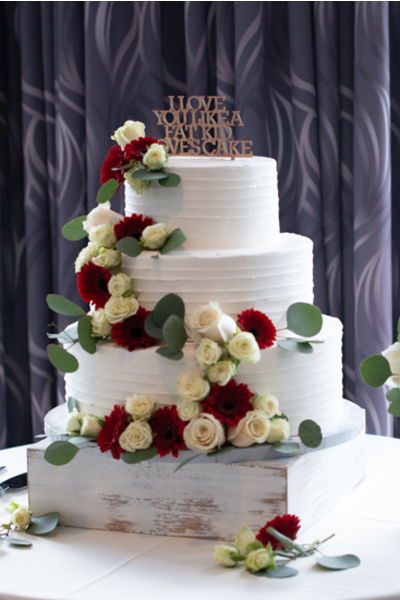 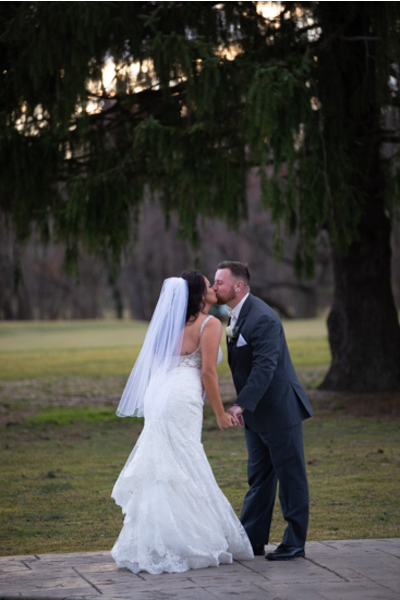 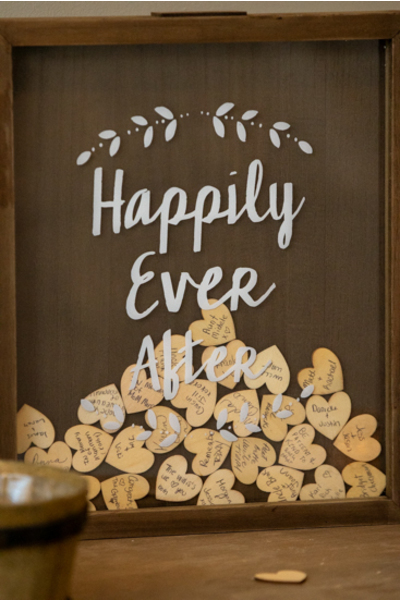 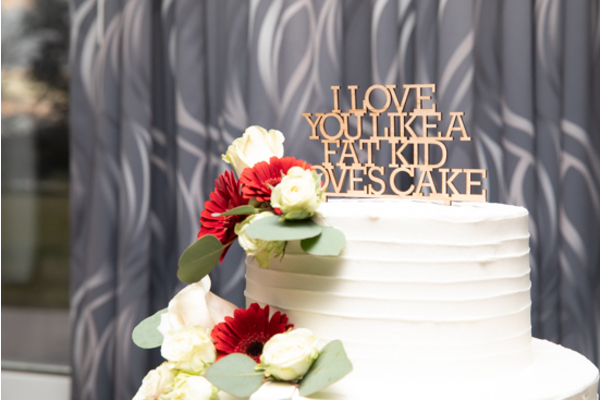 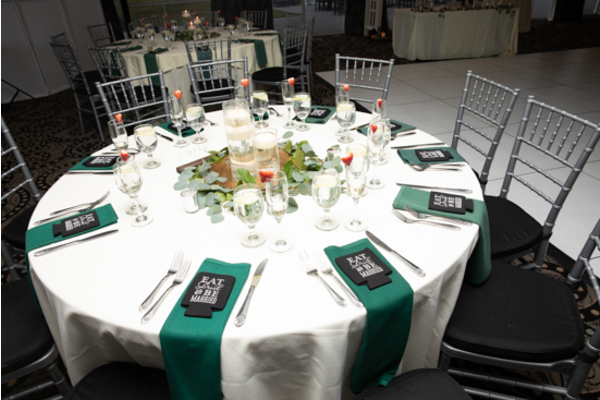 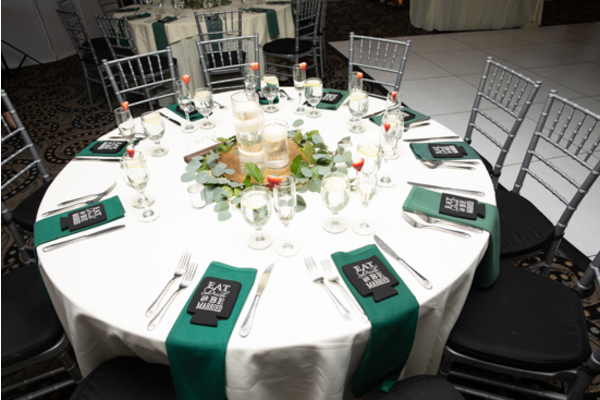 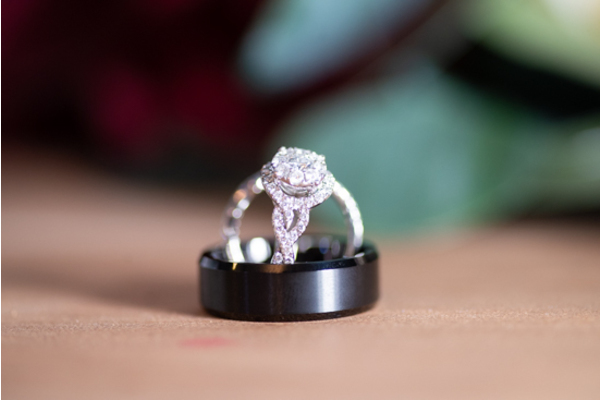 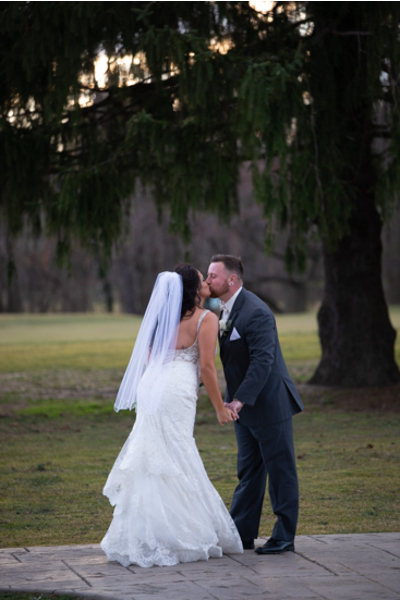 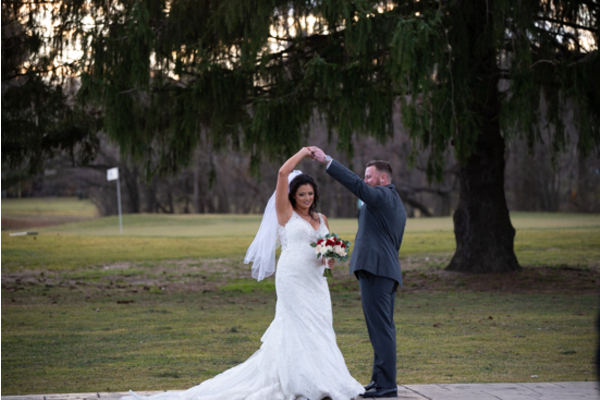 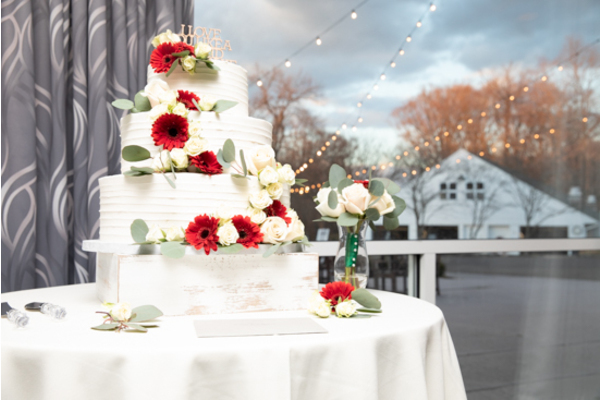 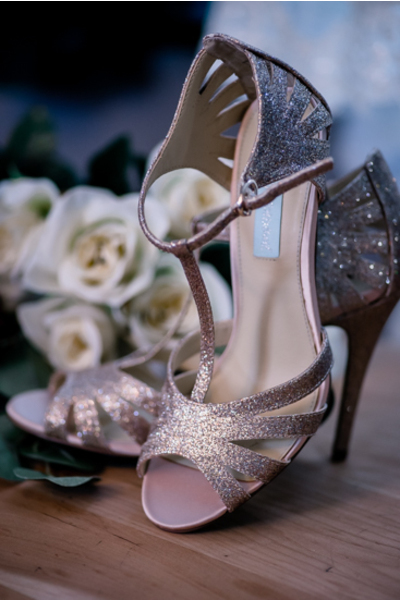 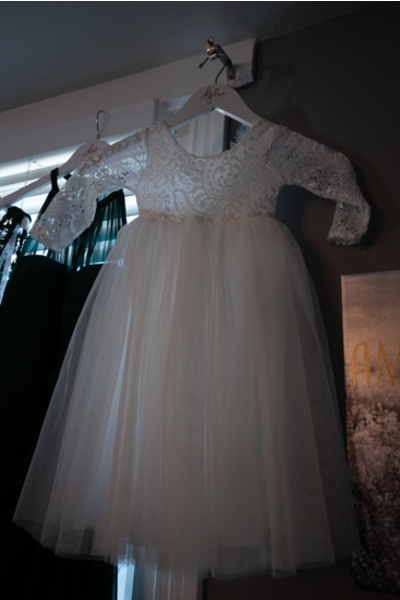 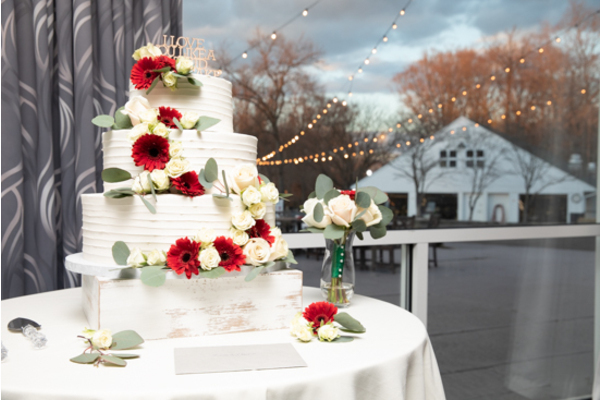 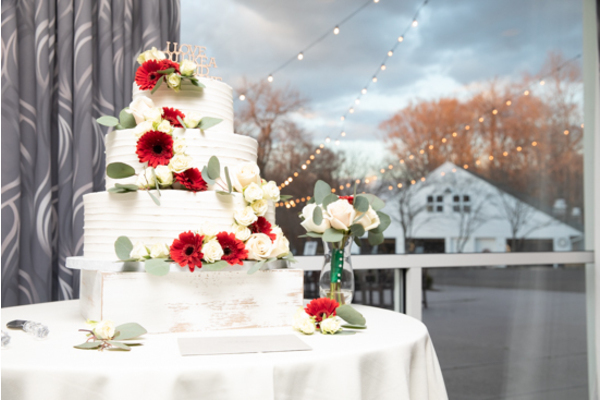 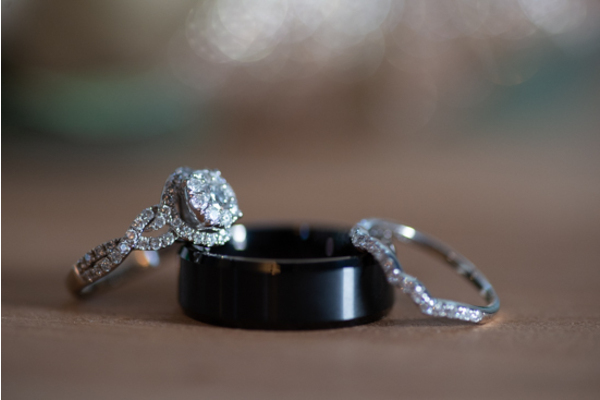 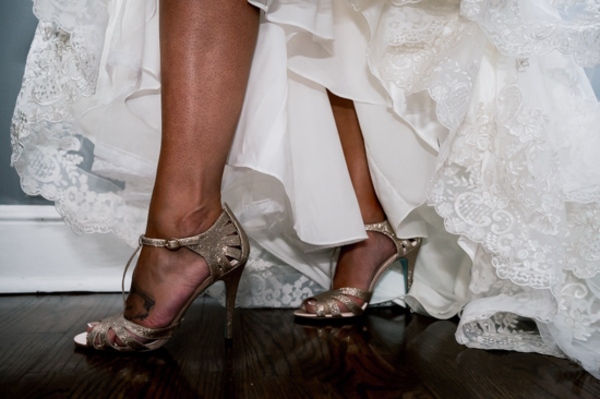 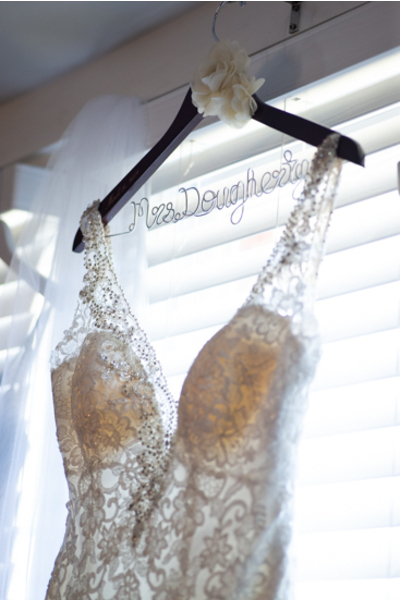 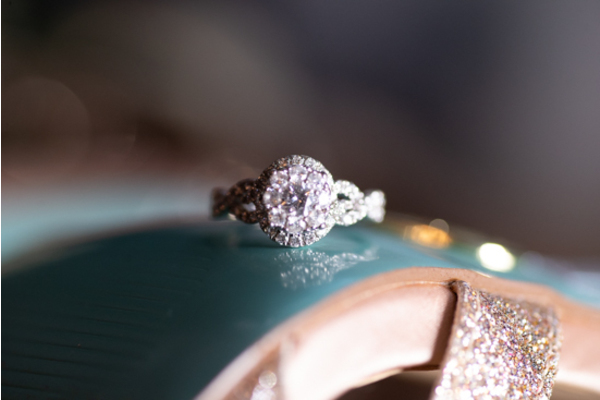 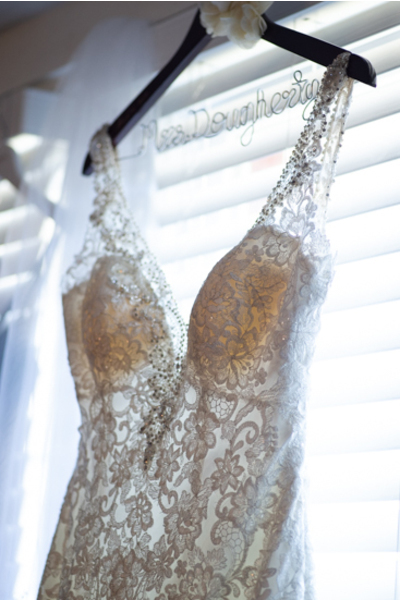 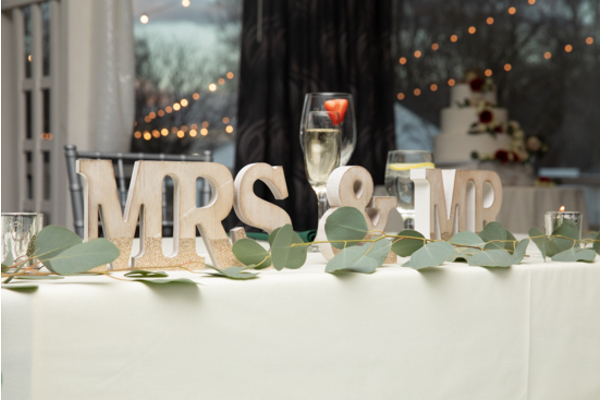 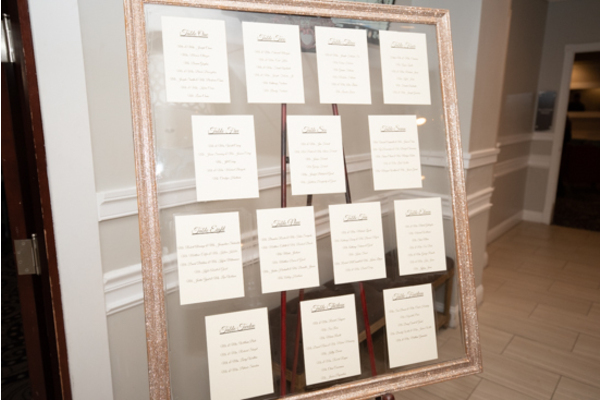 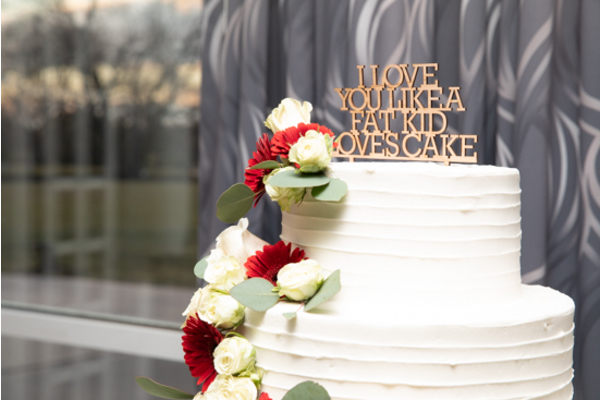 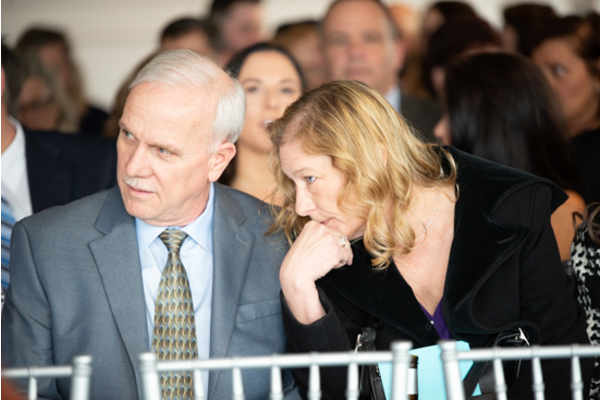 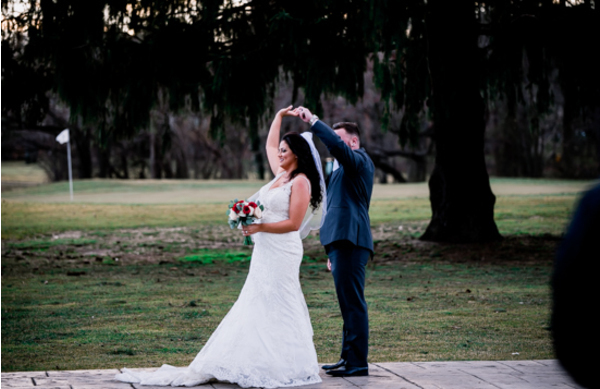 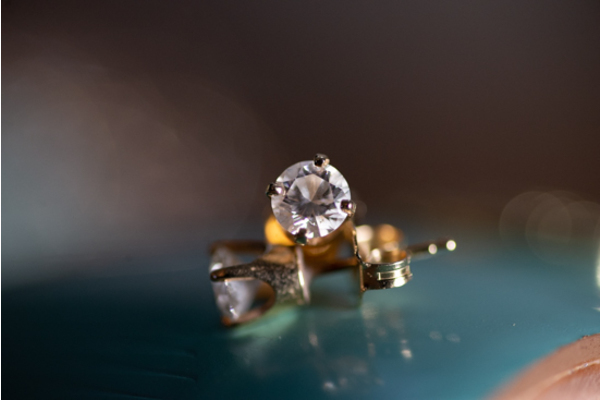 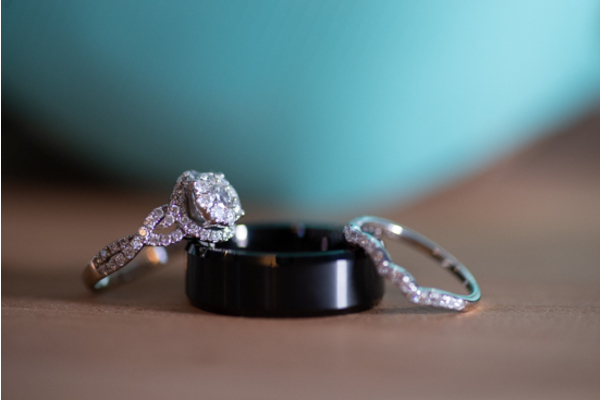 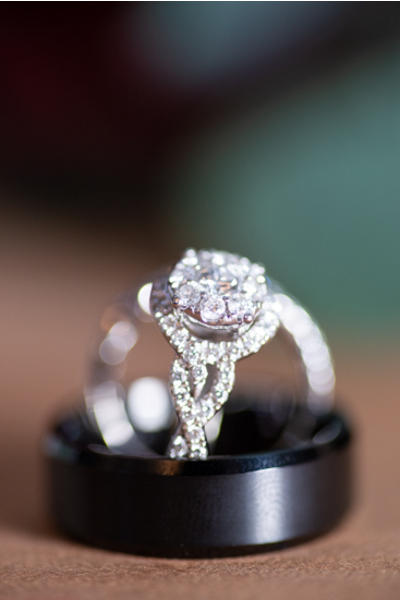 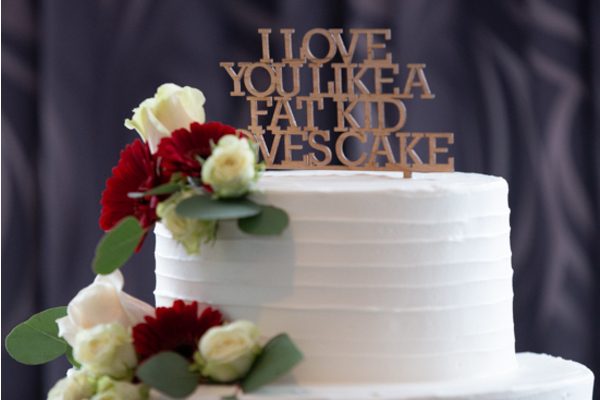 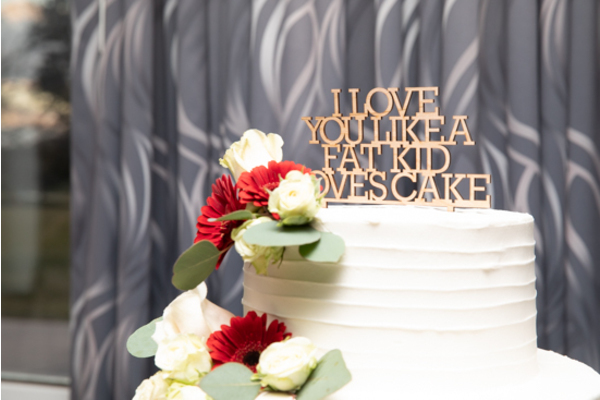 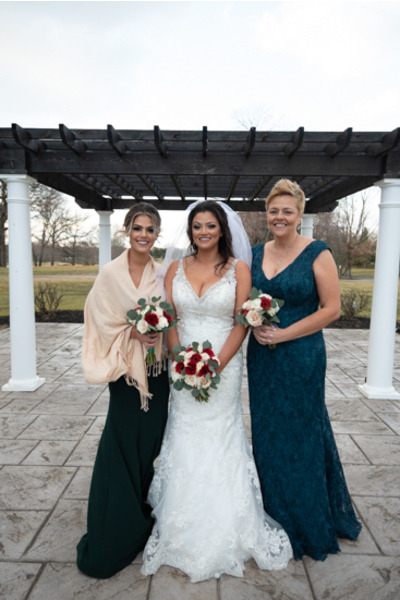 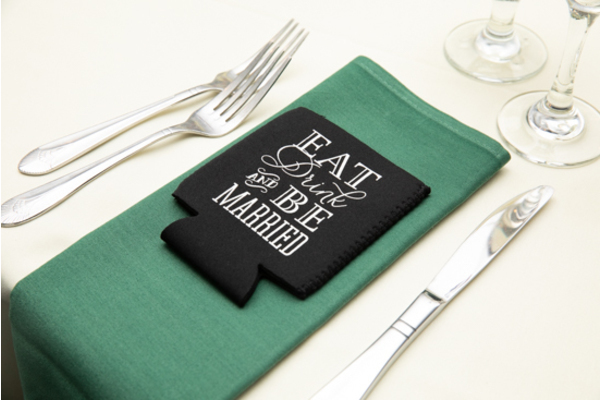 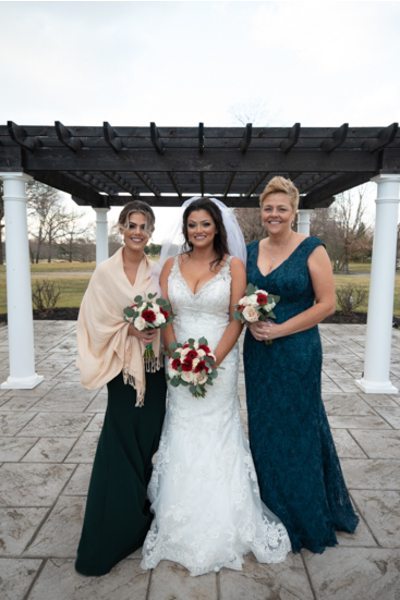 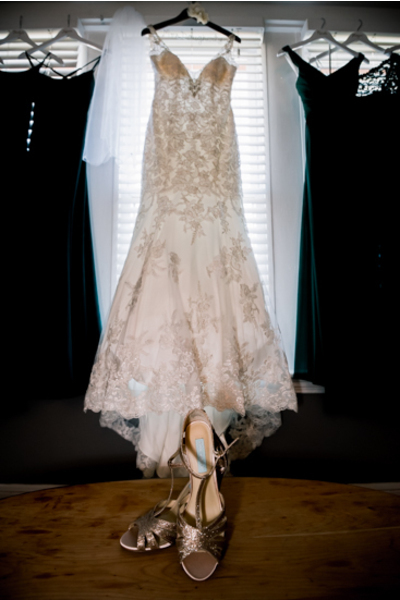 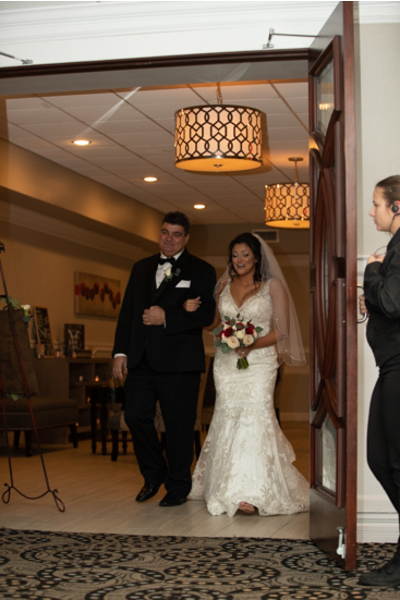 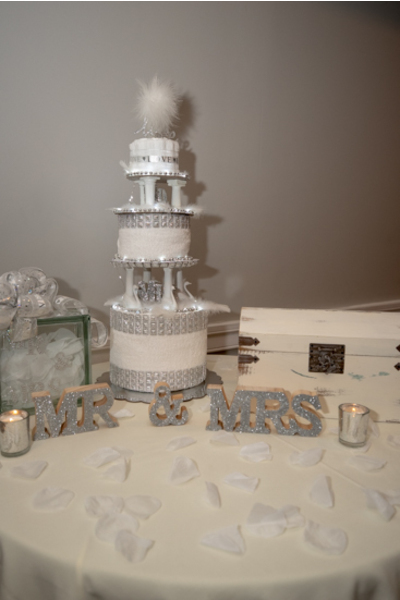 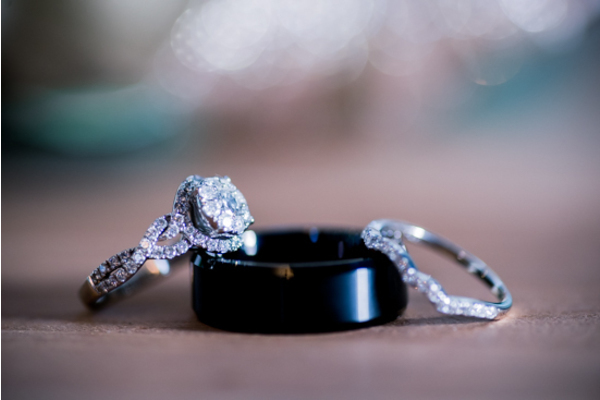 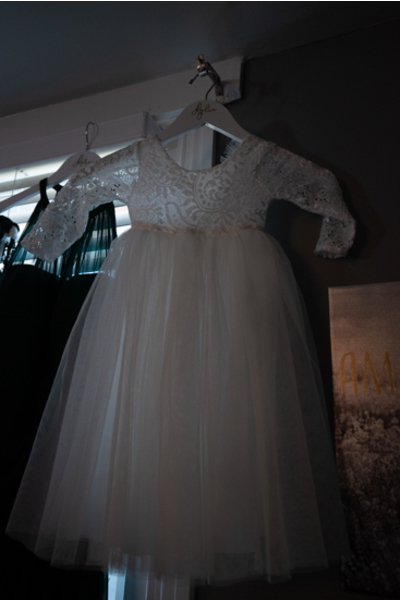 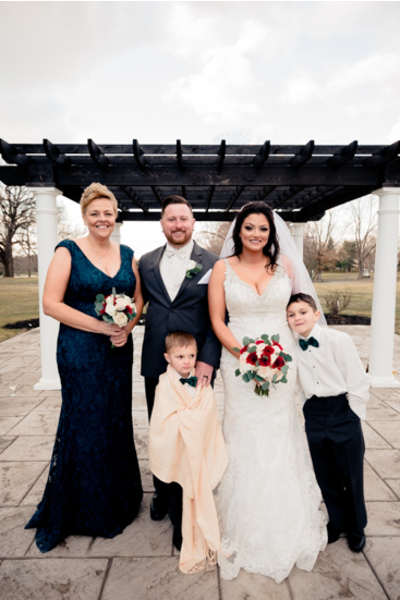 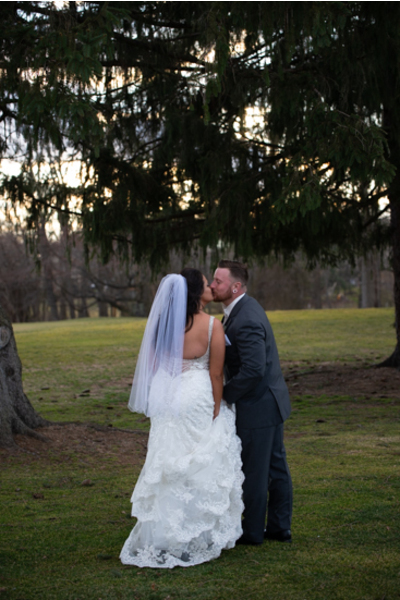 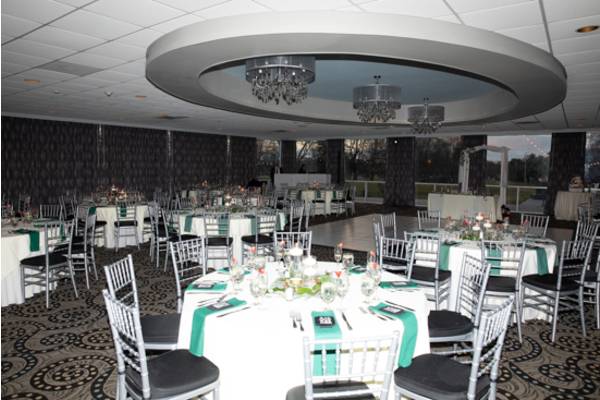 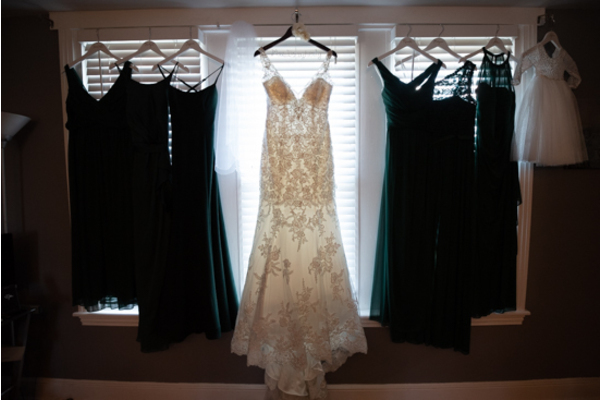 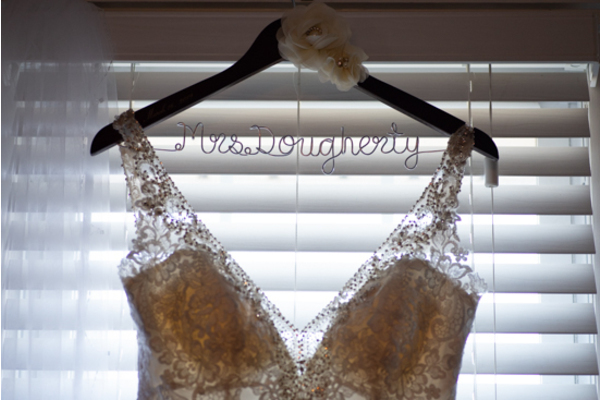 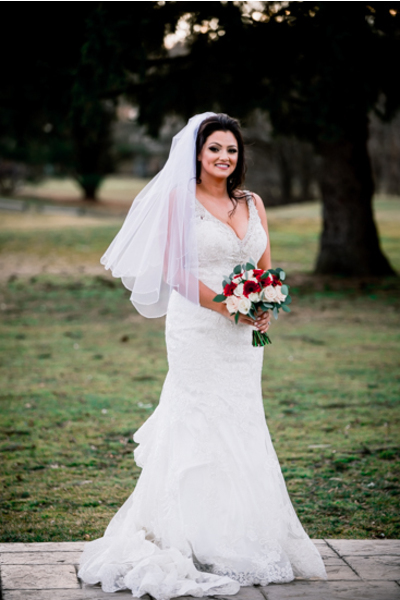 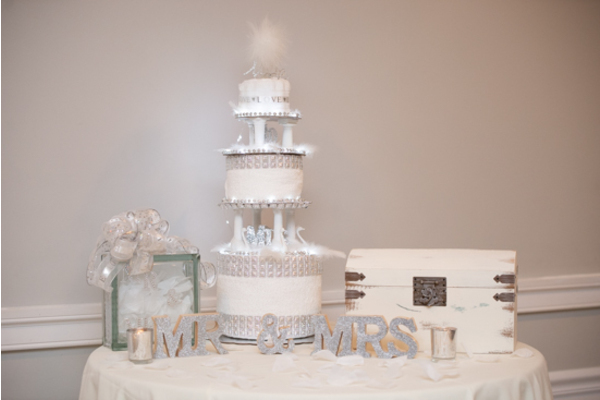 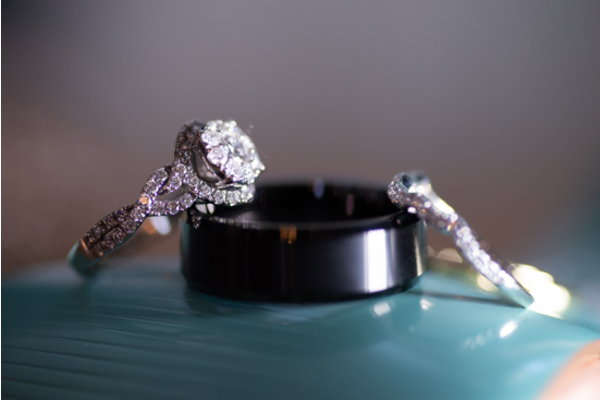 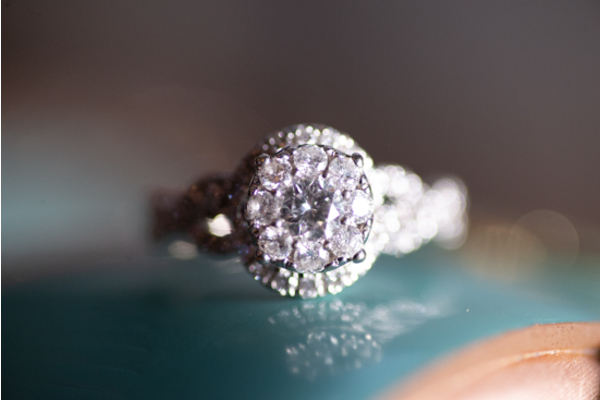 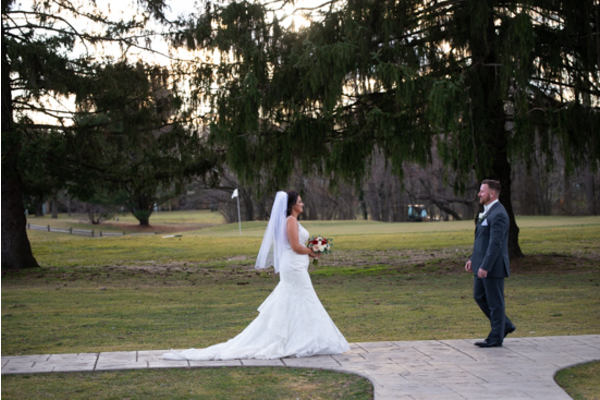 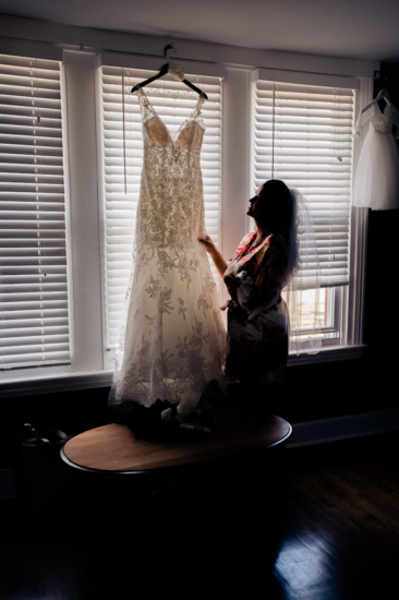 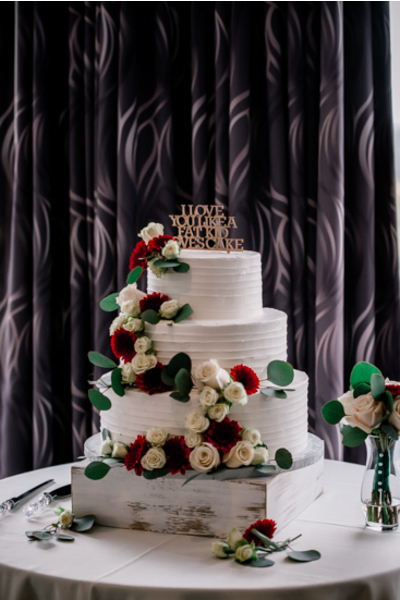 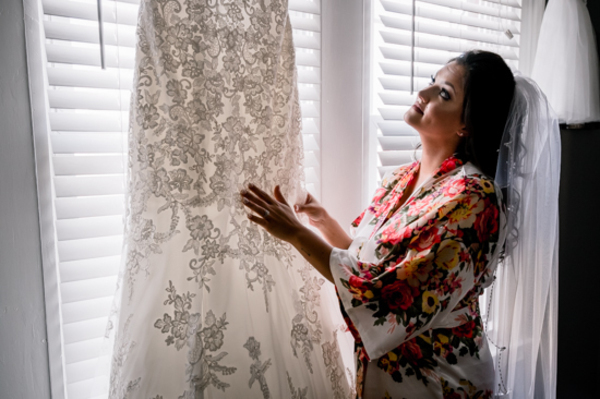 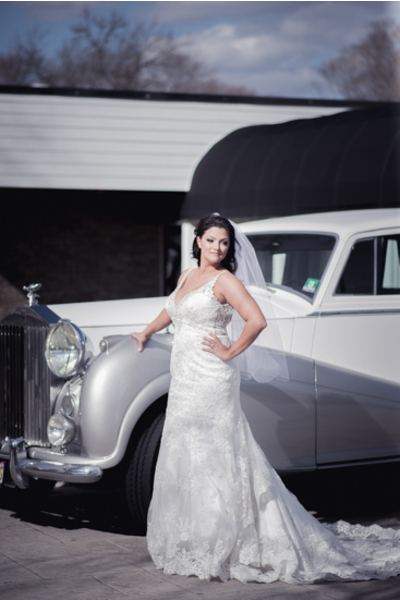 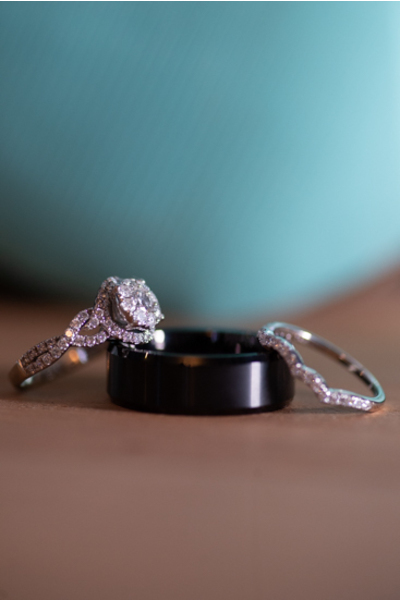 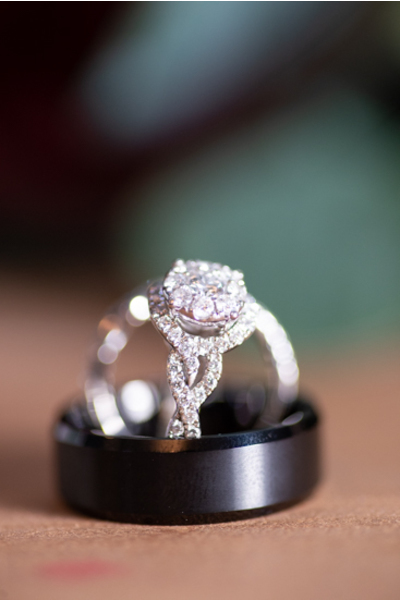 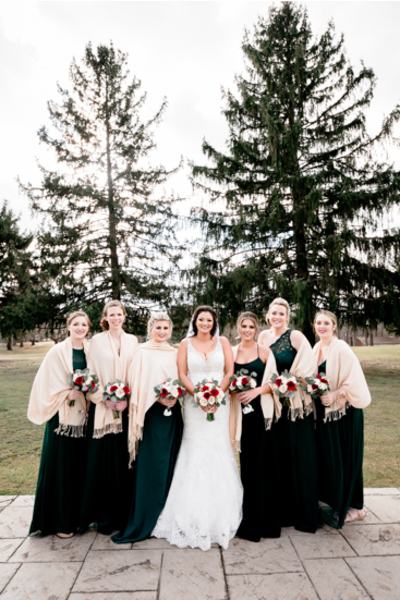 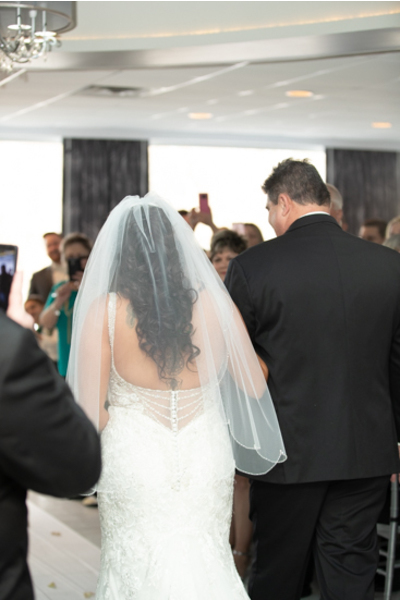 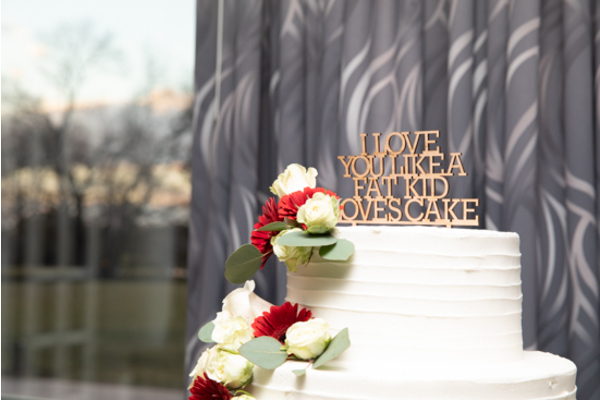 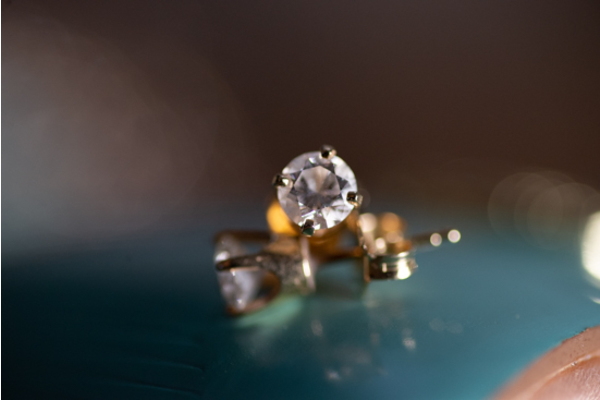 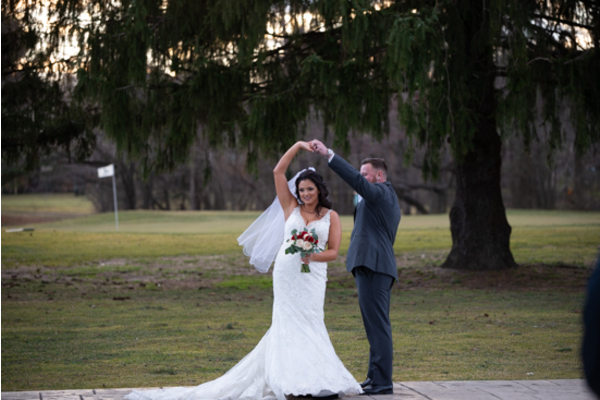 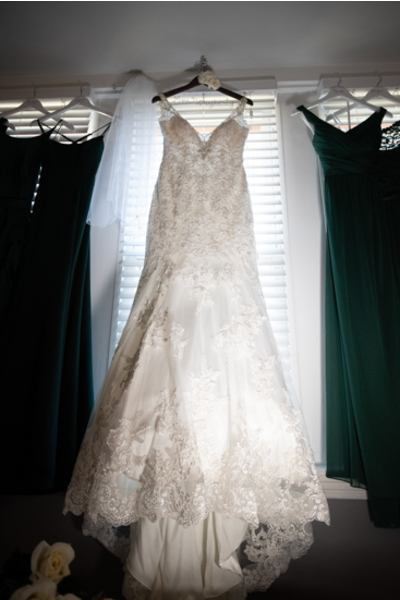 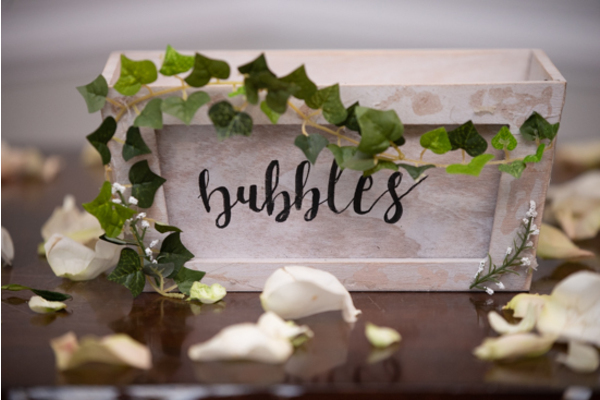 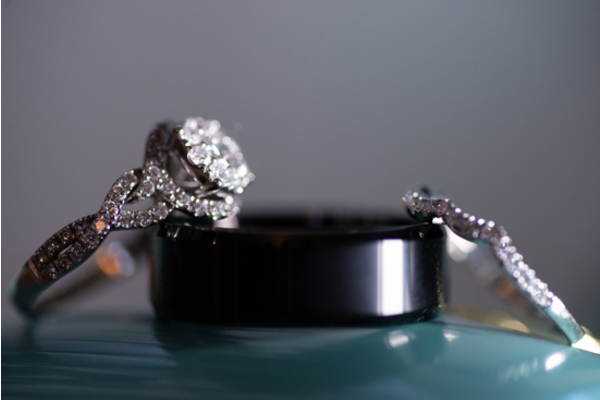 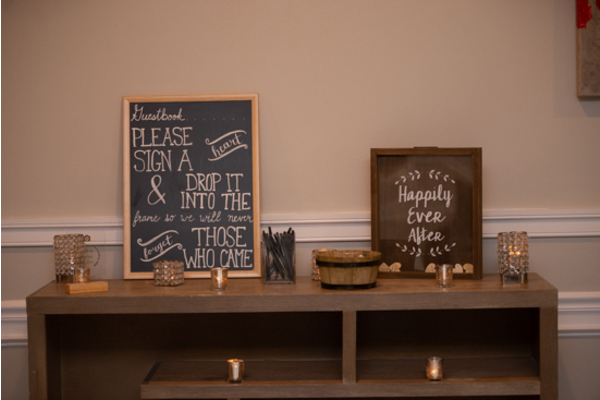 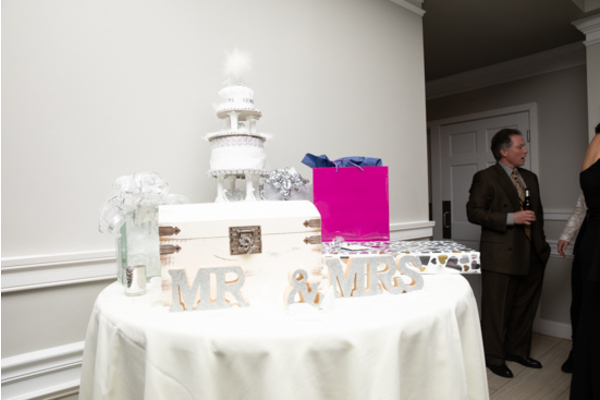 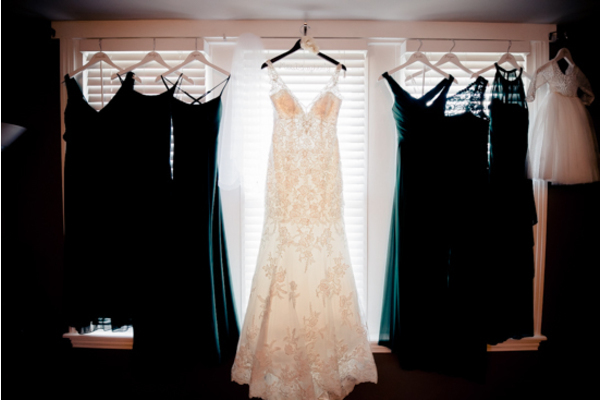 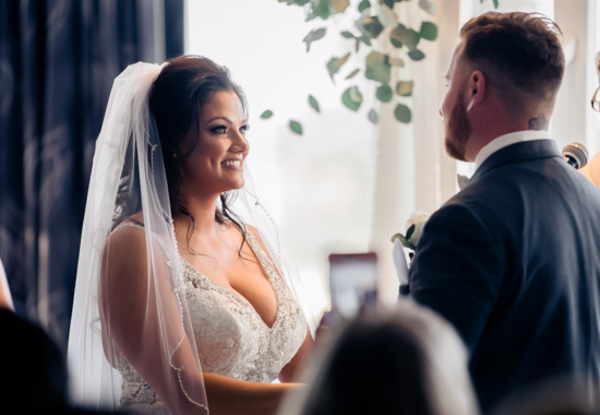 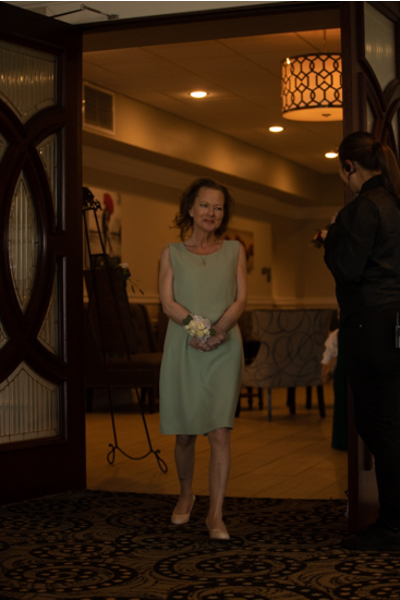 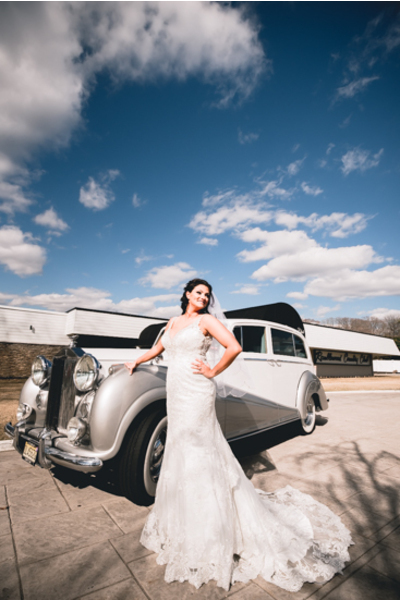 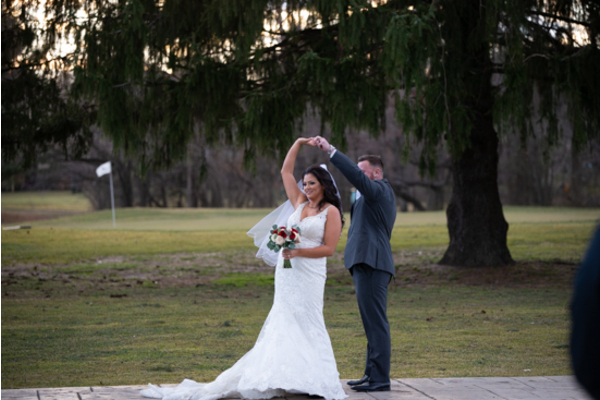 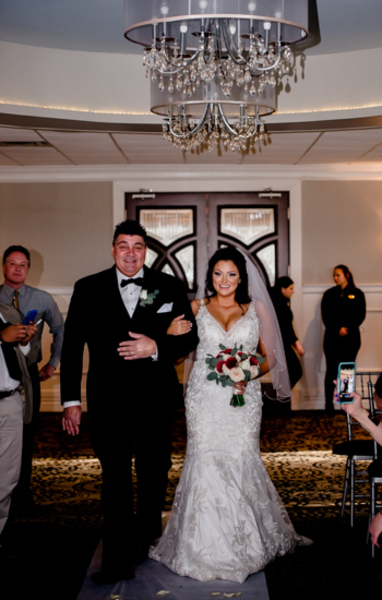 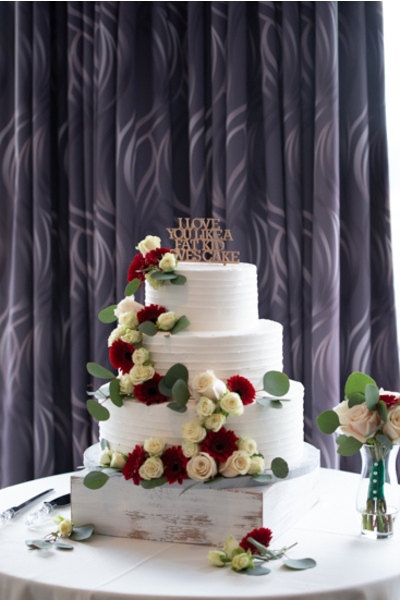 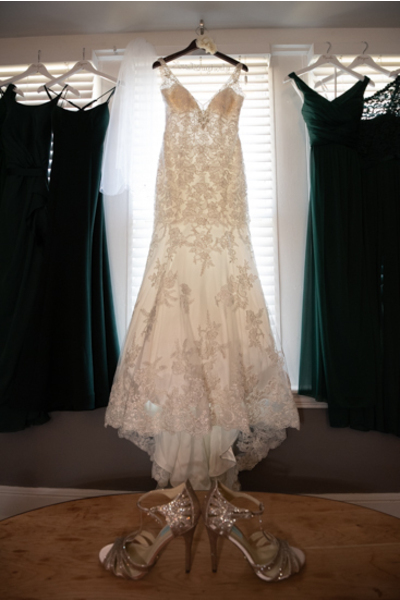 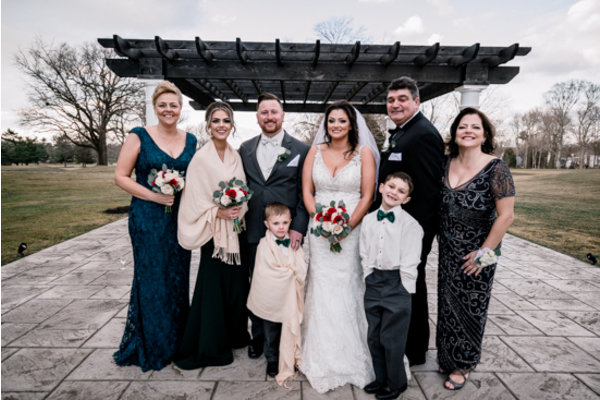 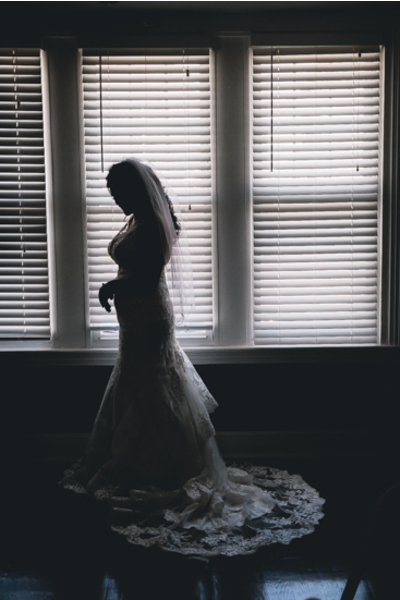 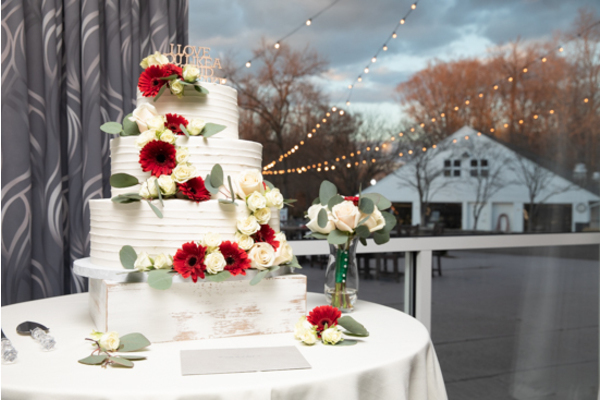 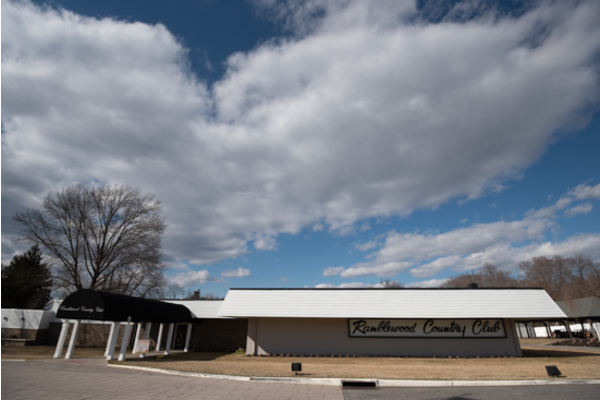 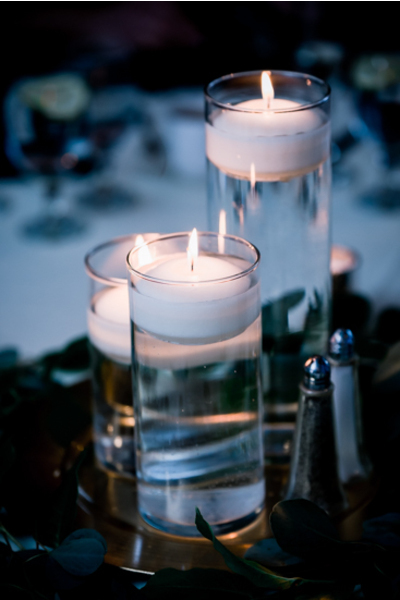 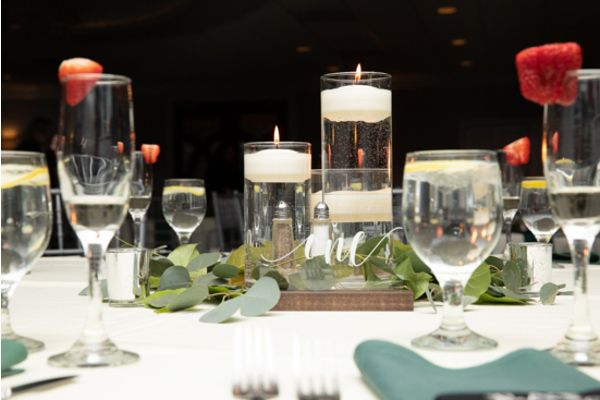 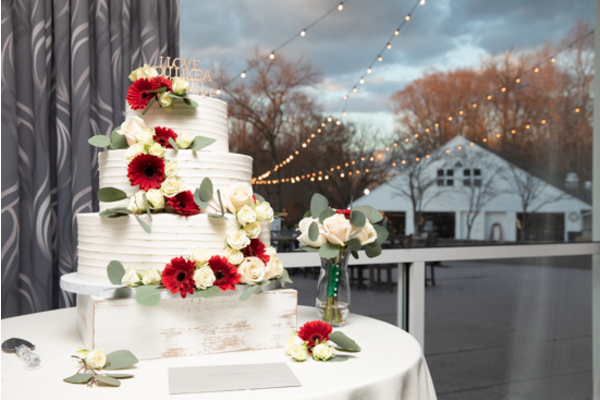 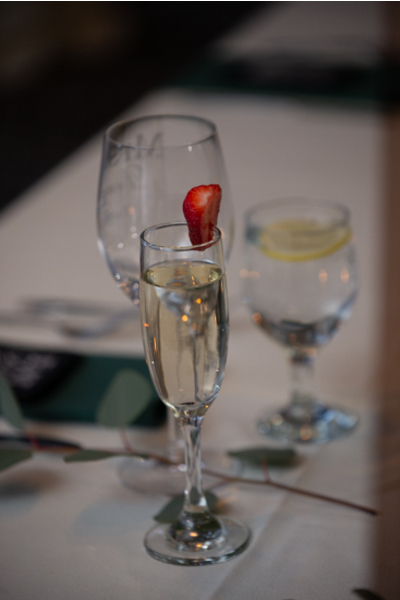 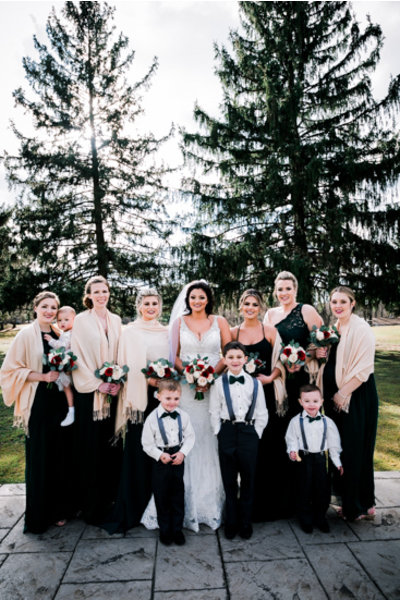 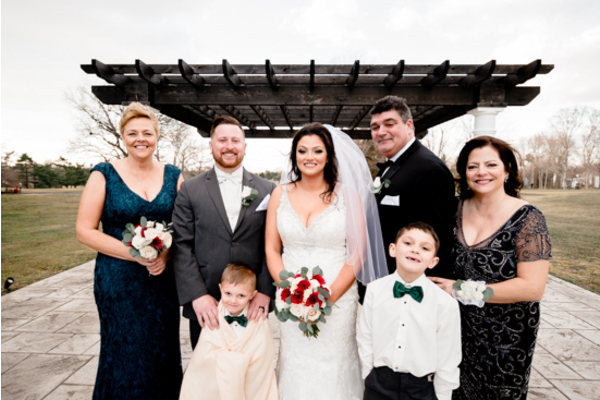 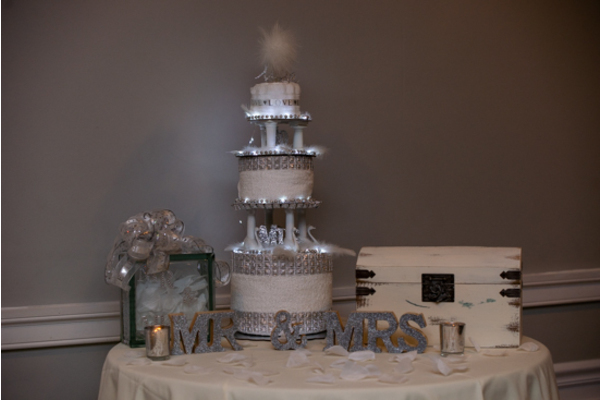 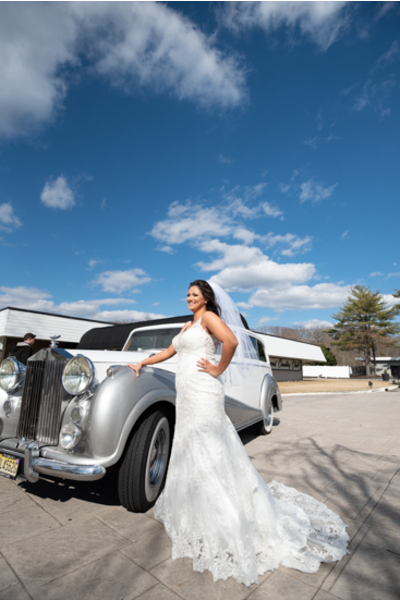 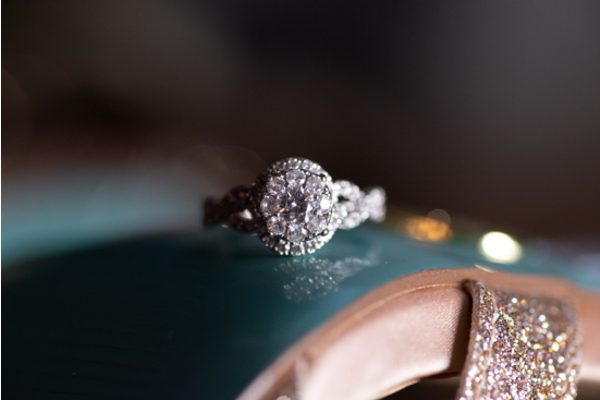 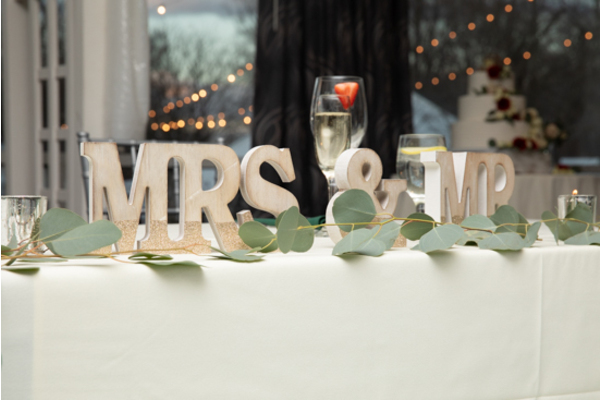 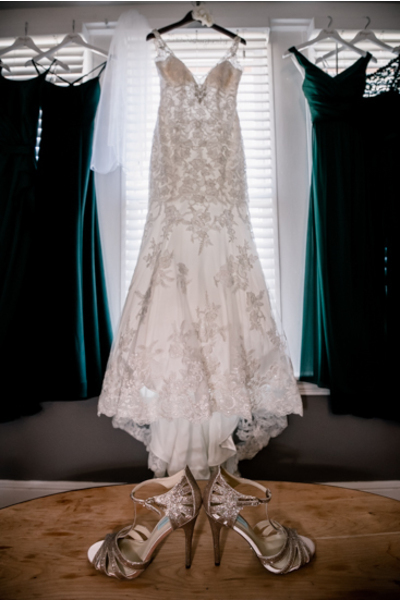 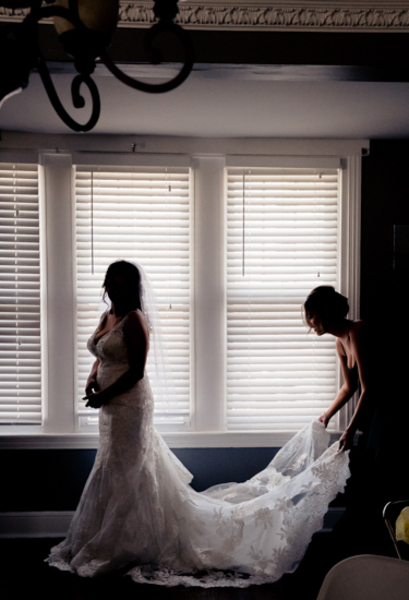 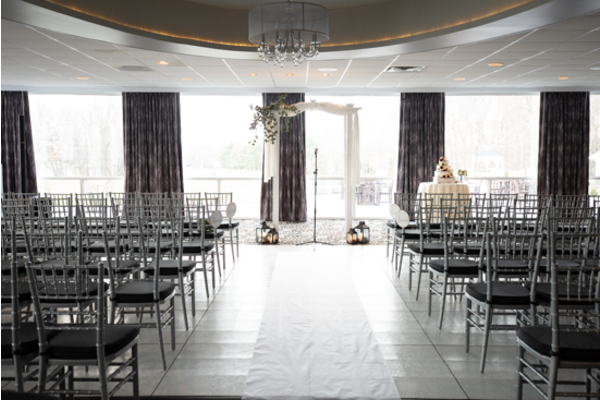 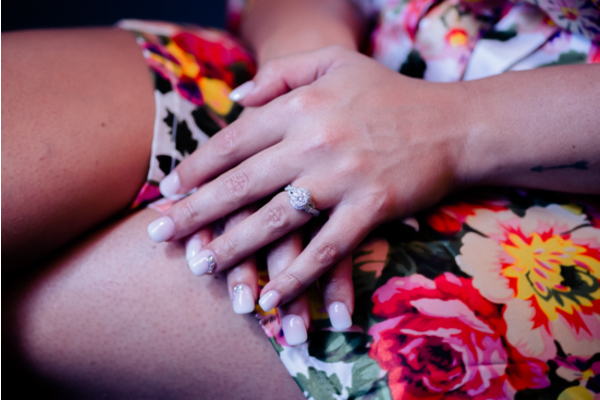 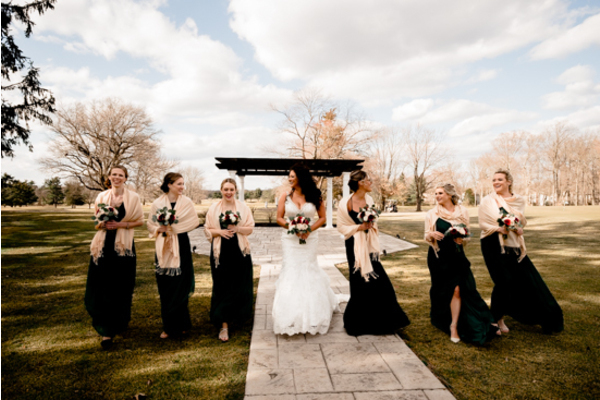 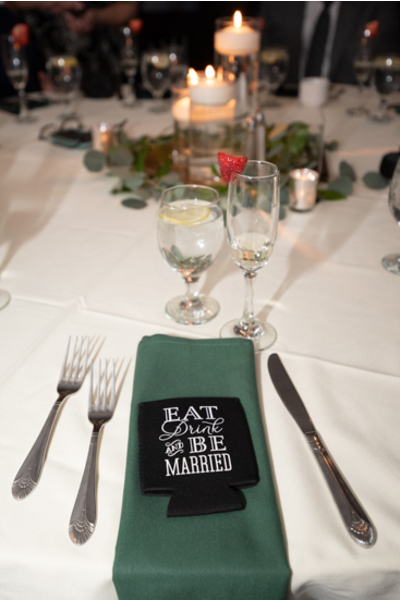 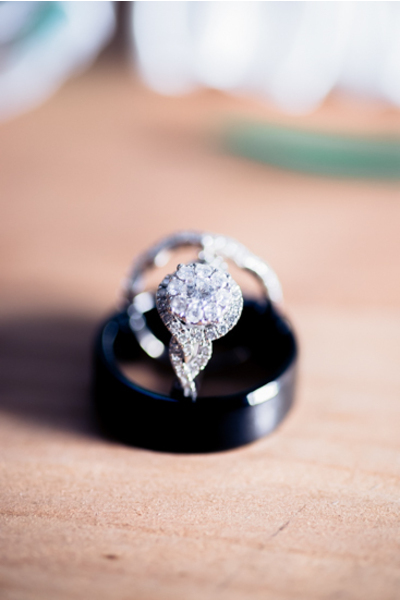 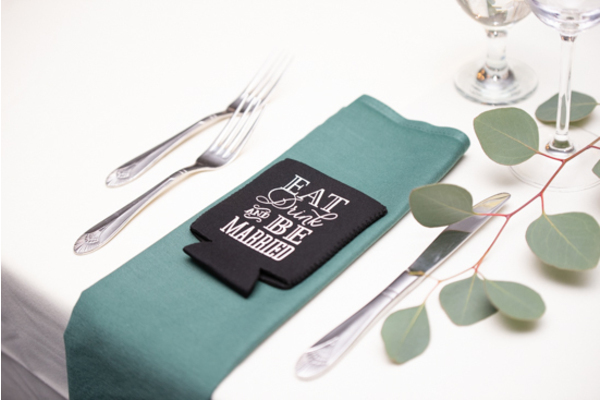 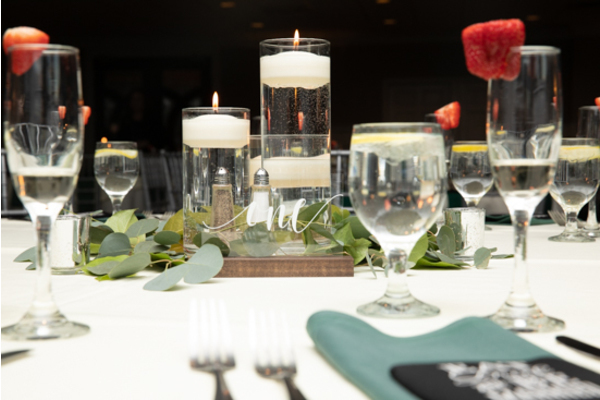 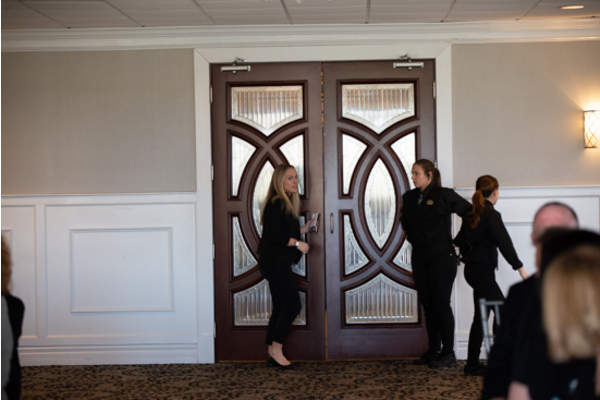 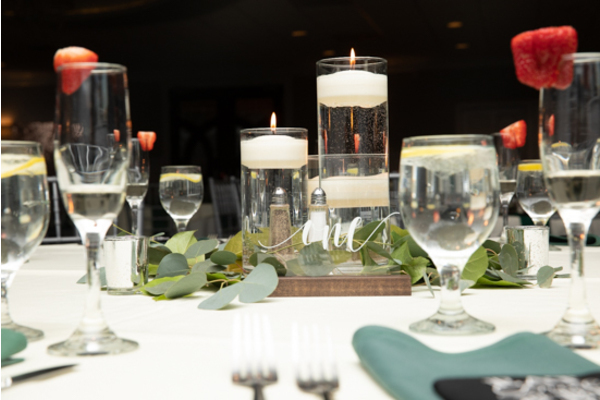 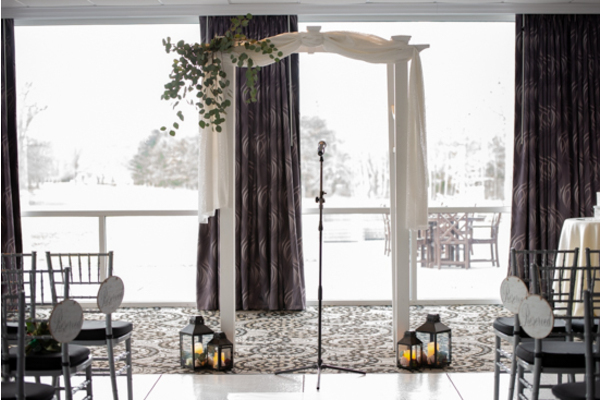 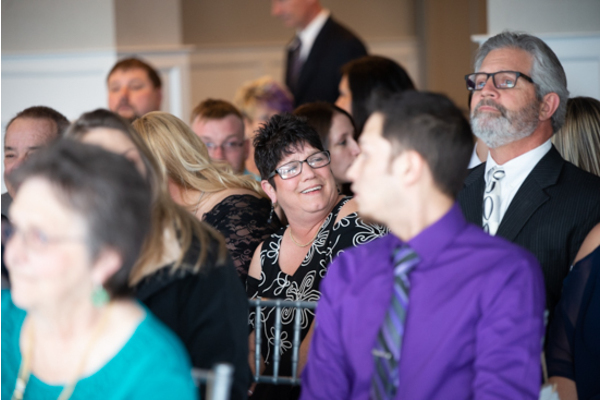 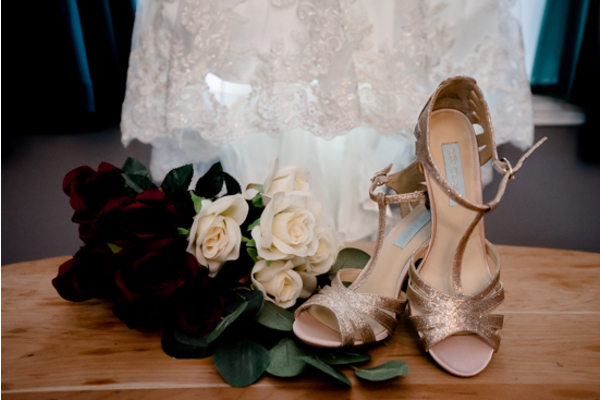 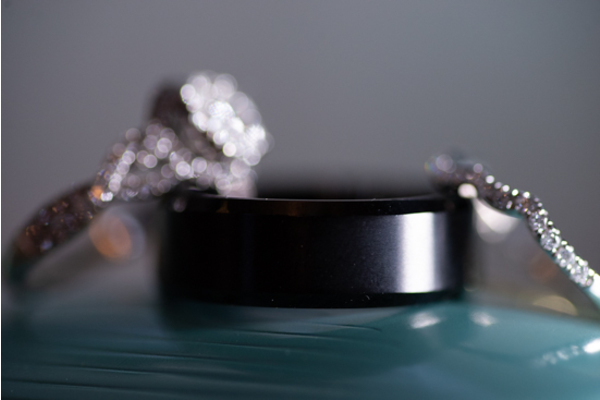 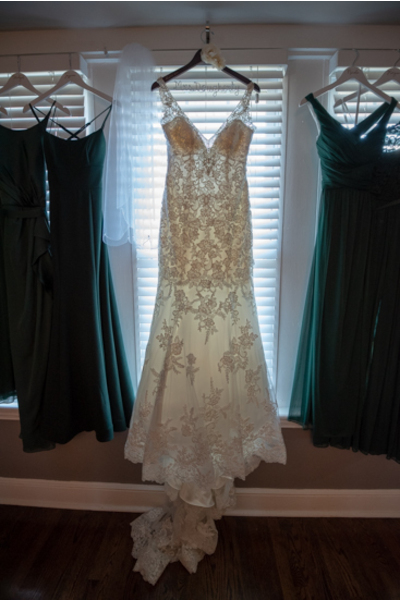 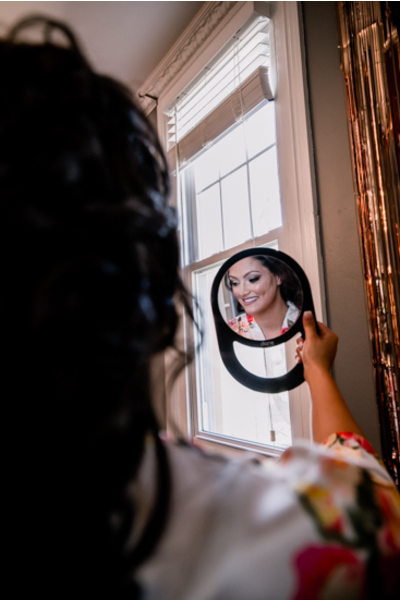 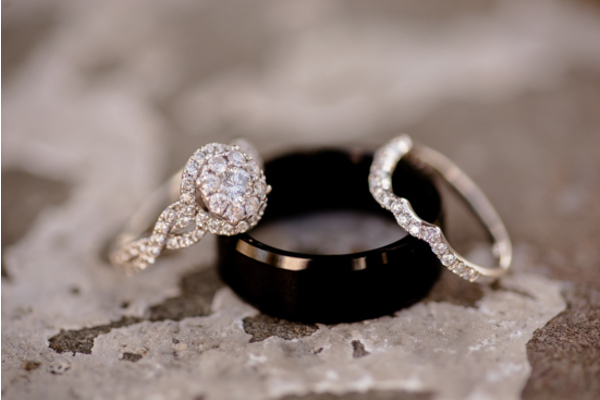 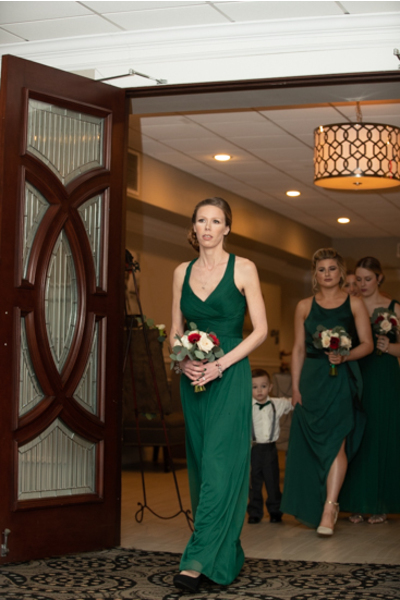 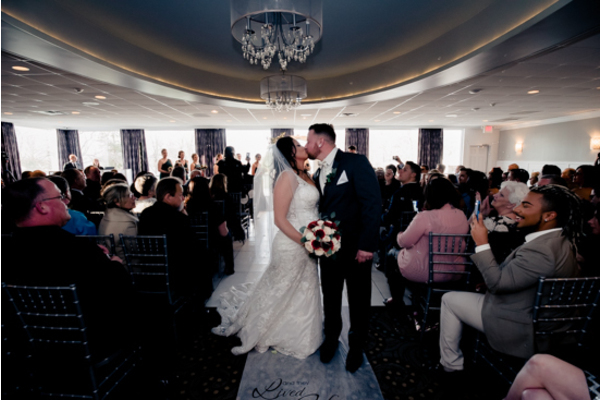 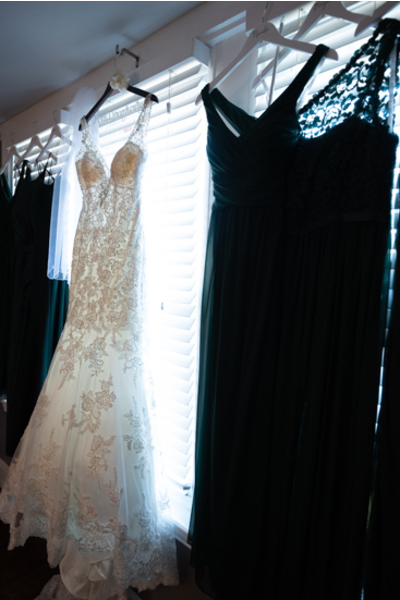 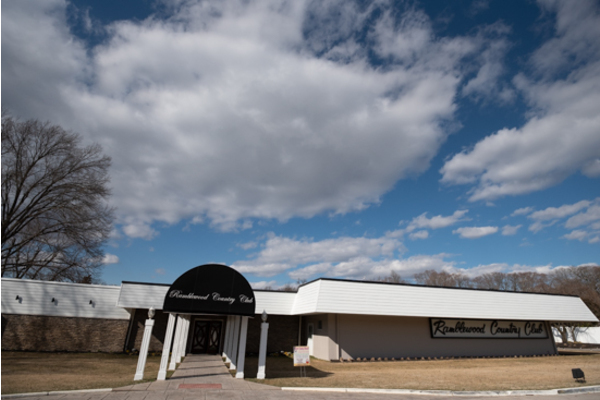 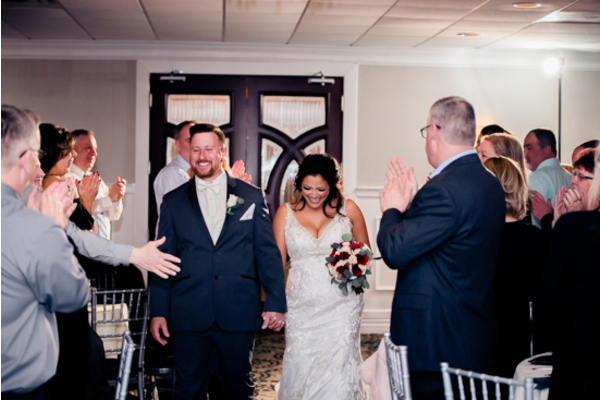 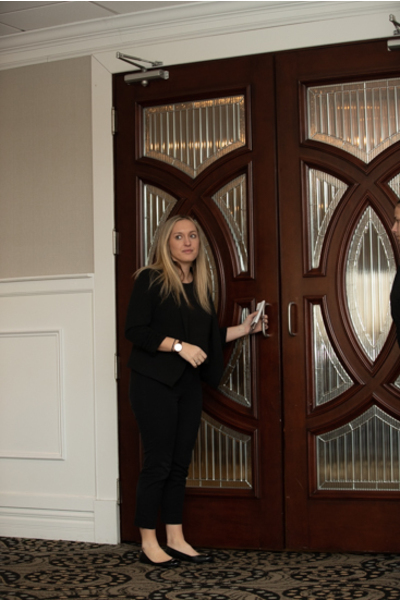 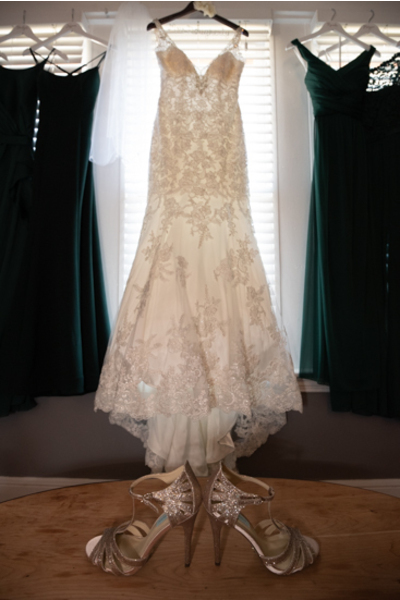 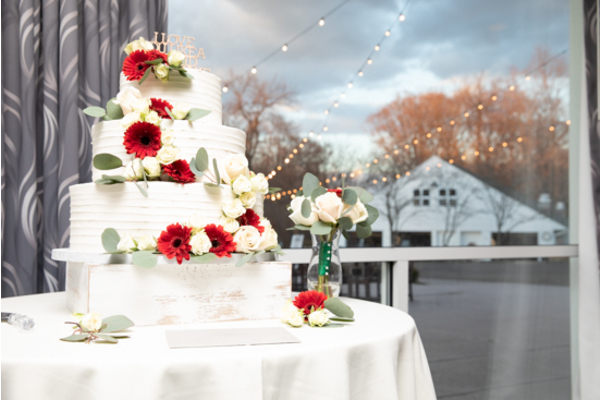 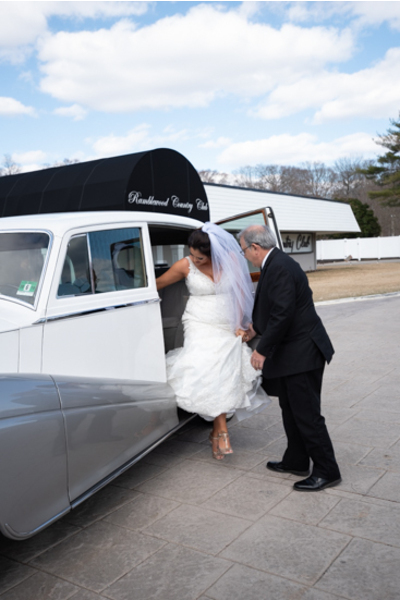 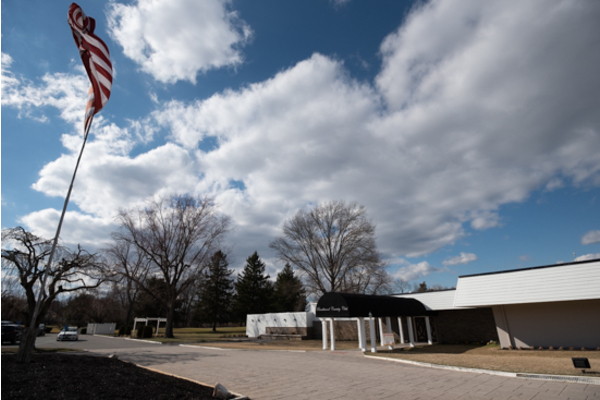 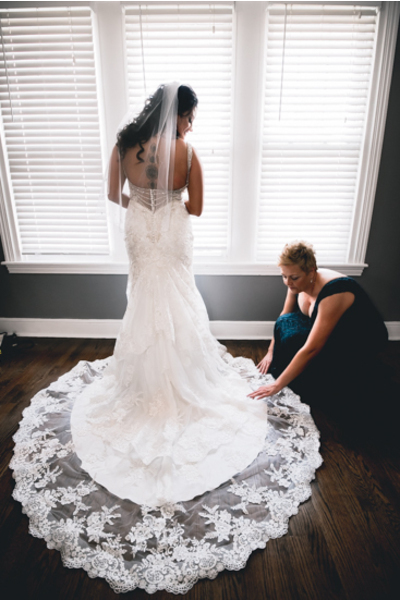 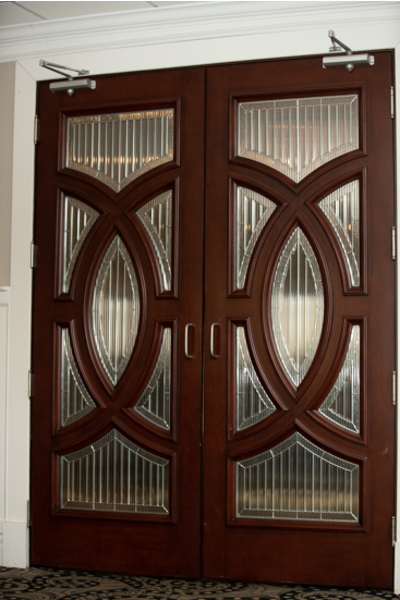 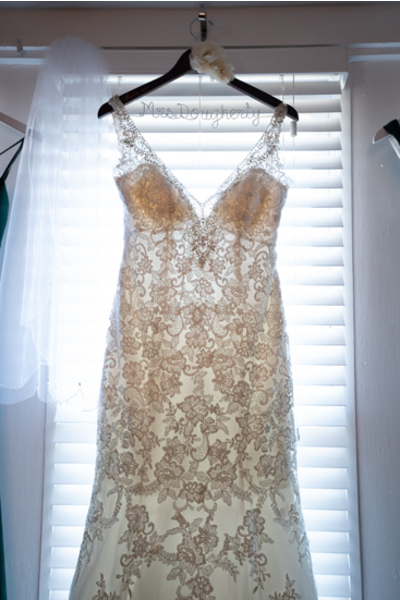 They recently celebrated their wedding at the gorgeous Ramblewood Country Club. 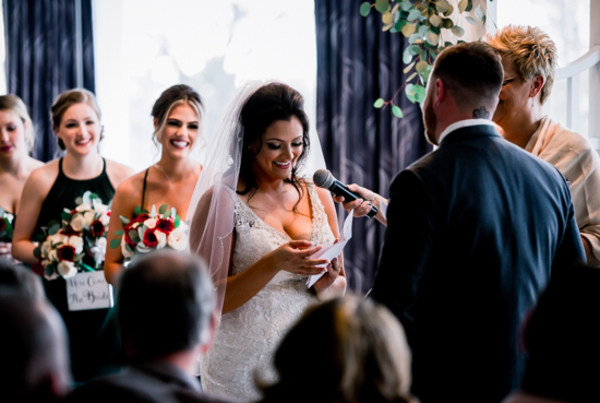 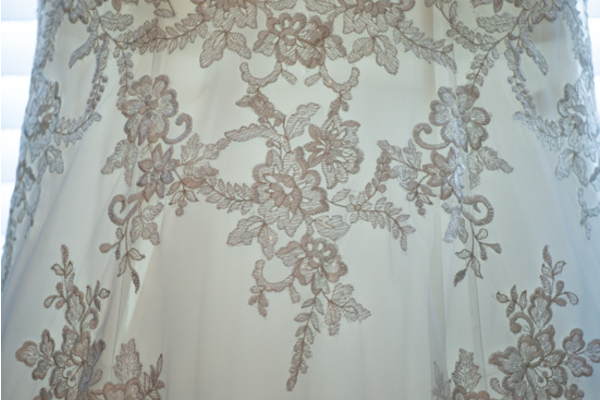 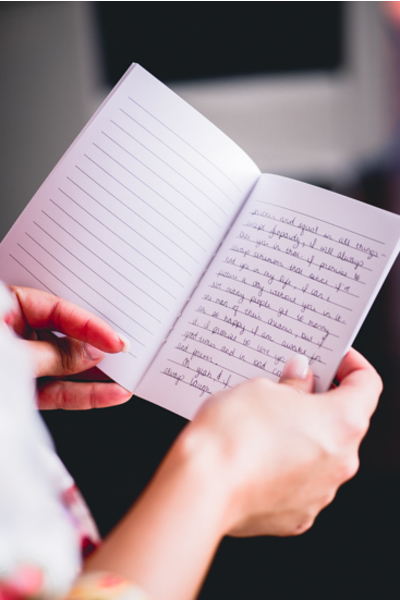 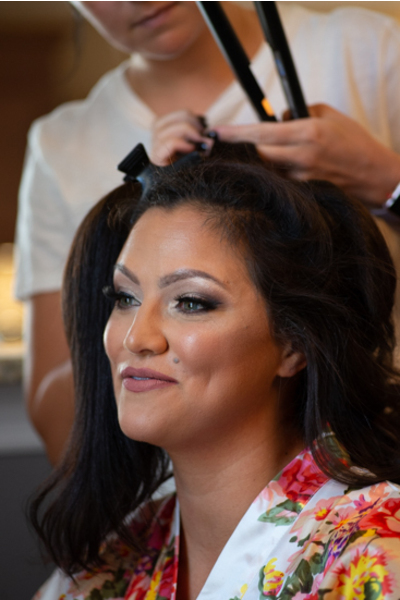 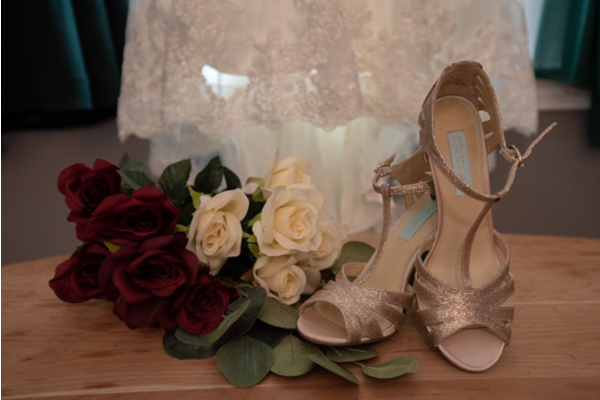 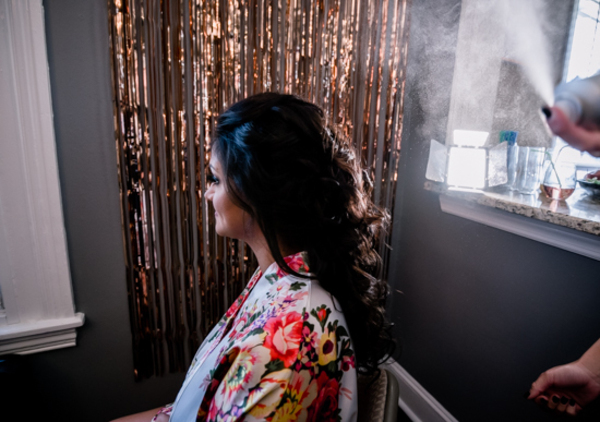 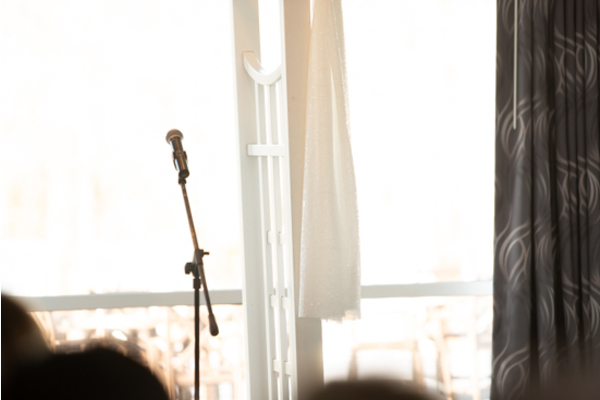 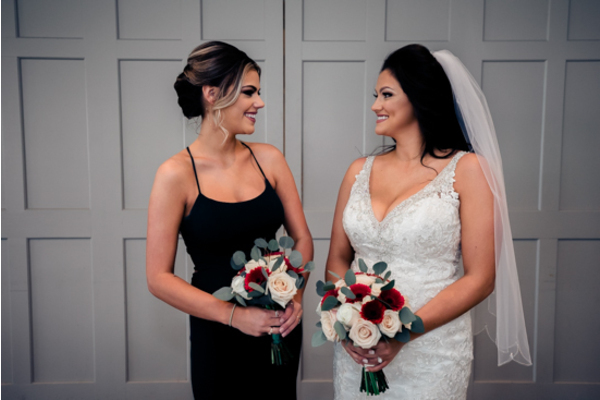 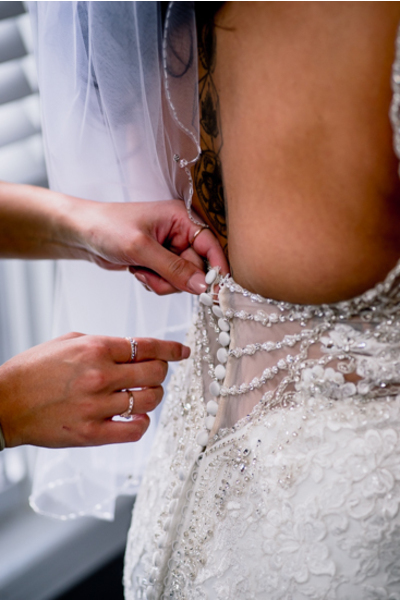 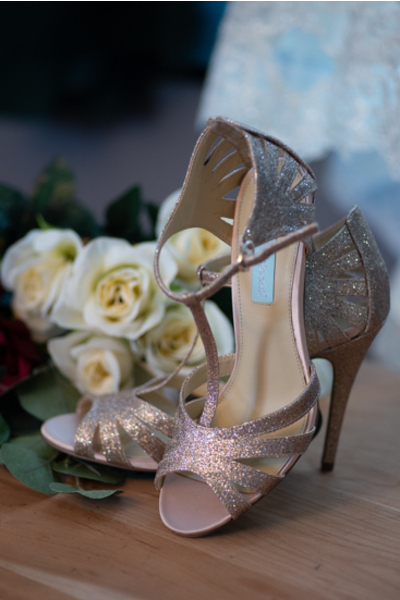 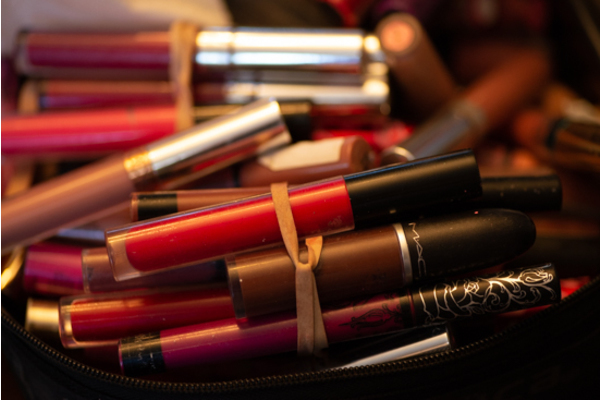 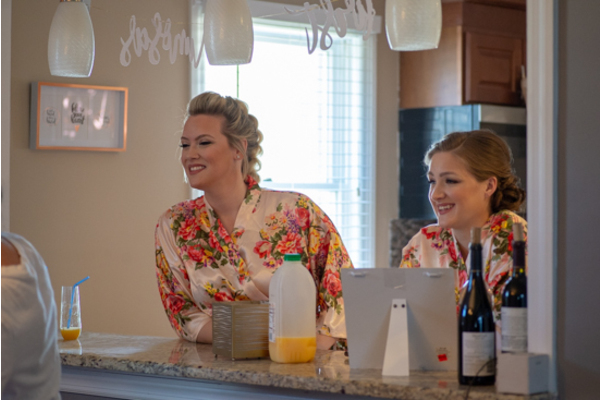 First on Danielle’s wedding day agenda was to get pampered alongside her bridesmaids! 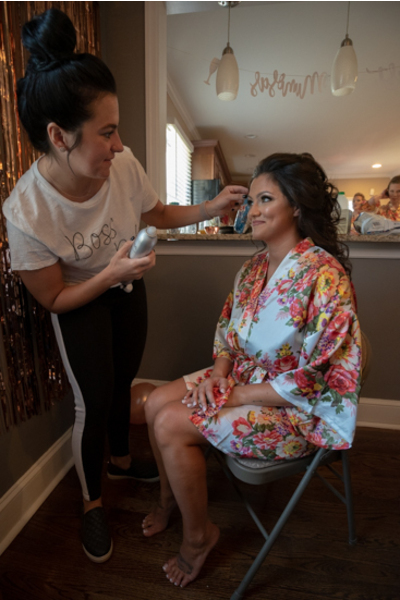 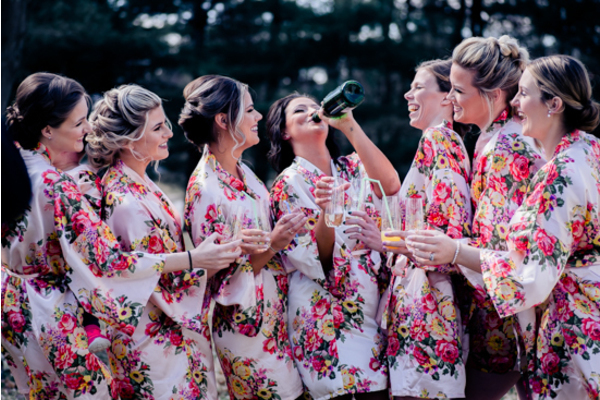 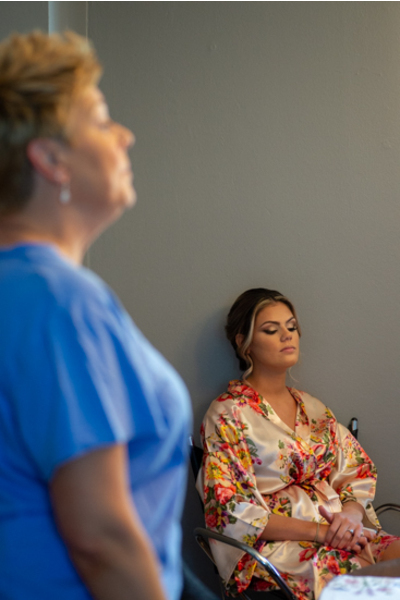 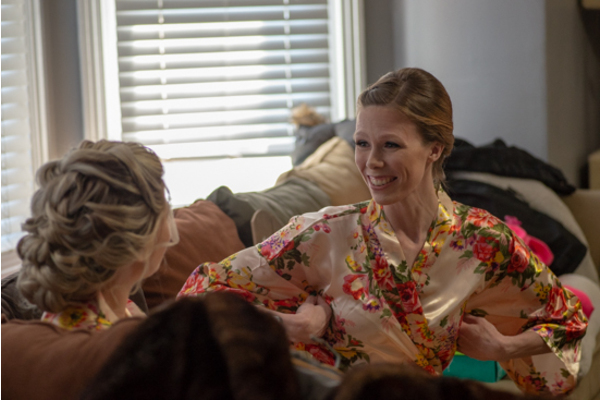 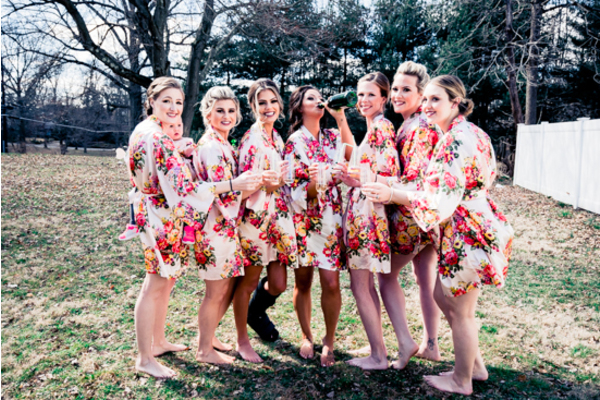 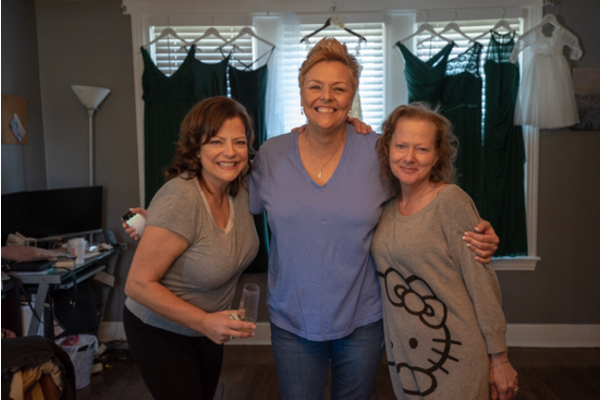 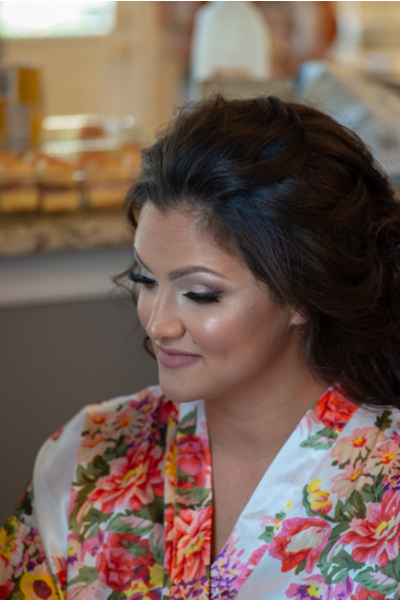 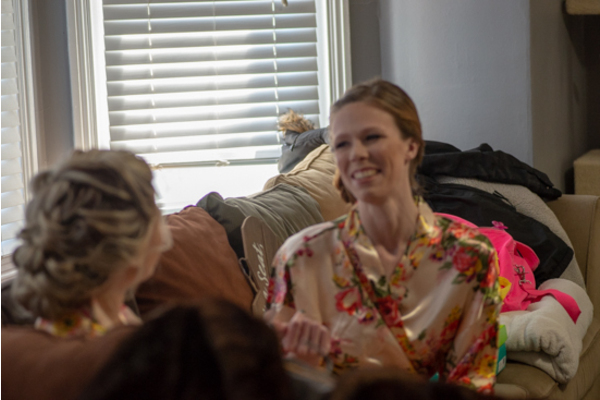 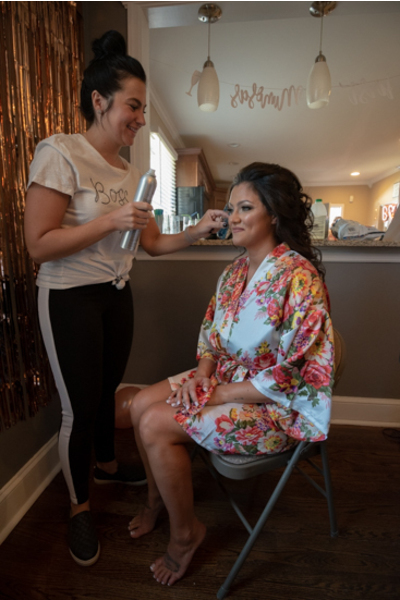 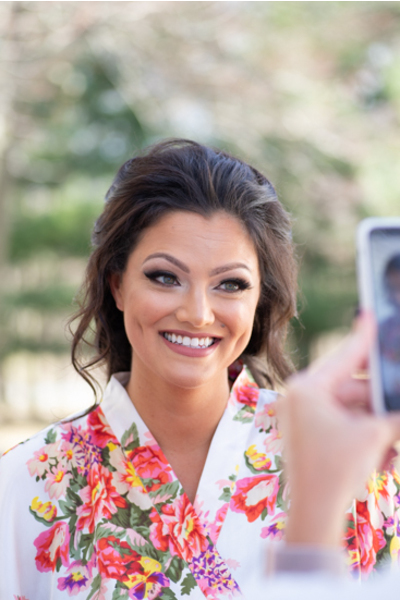 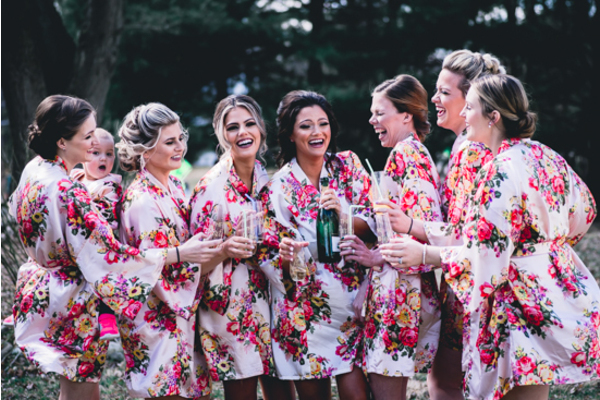 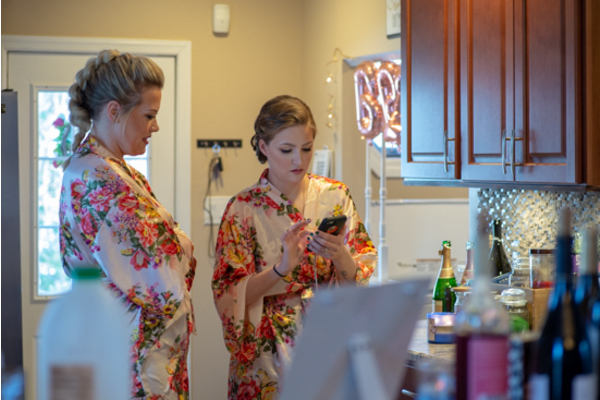 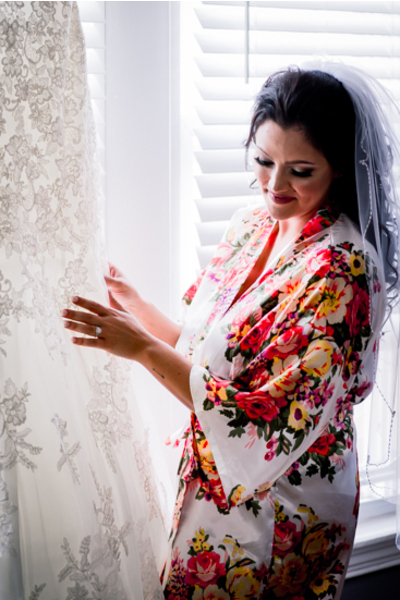 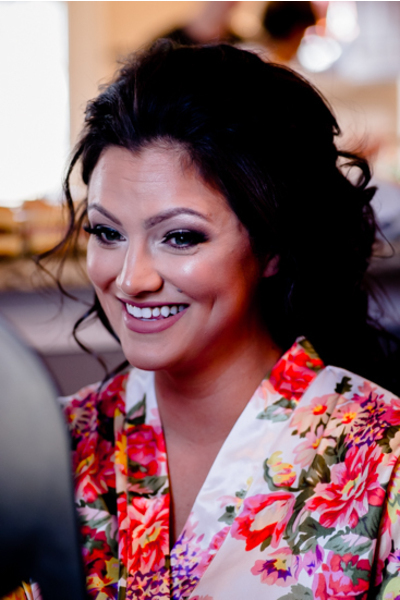 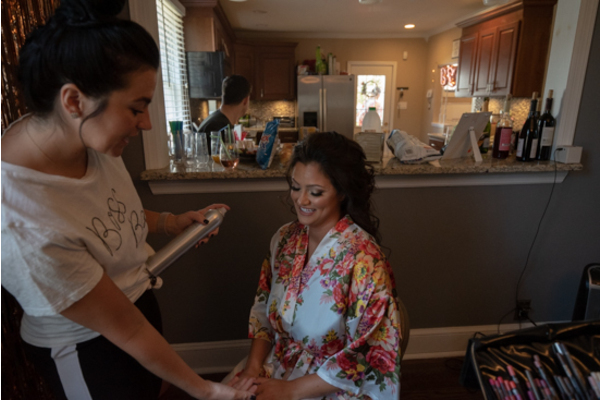 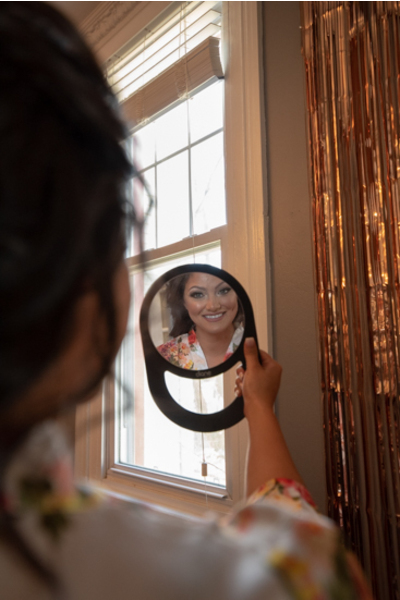 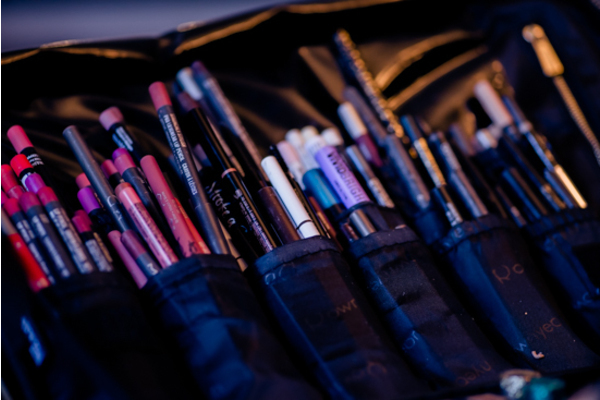 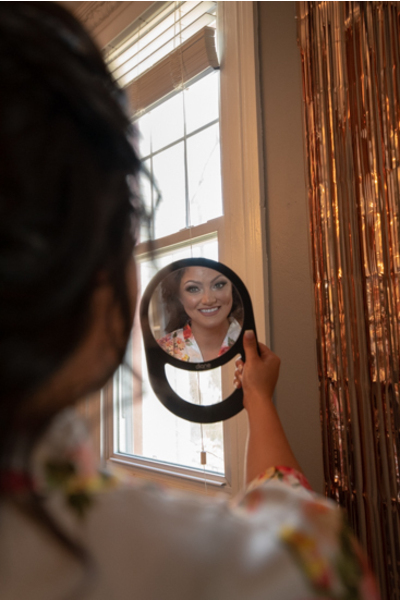 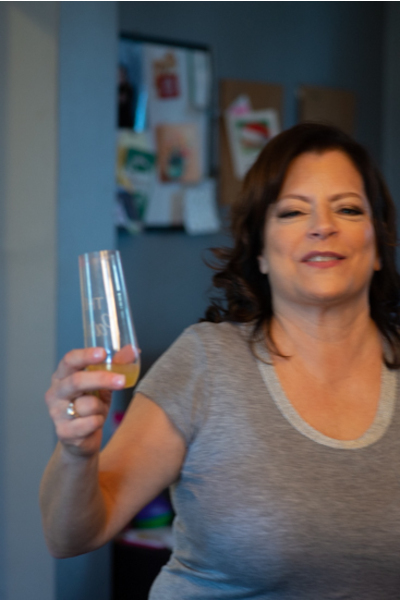 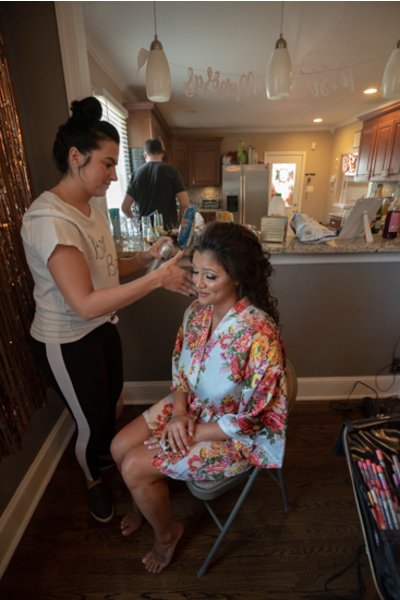 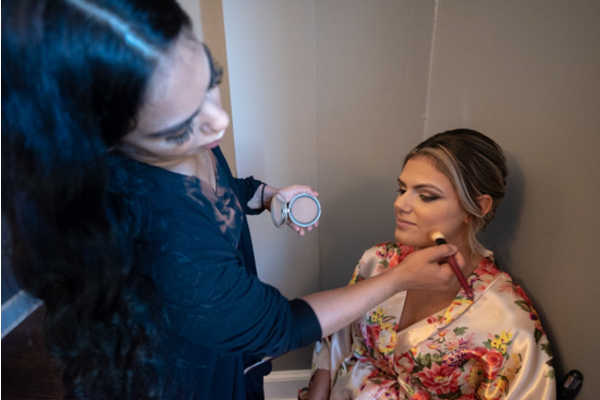 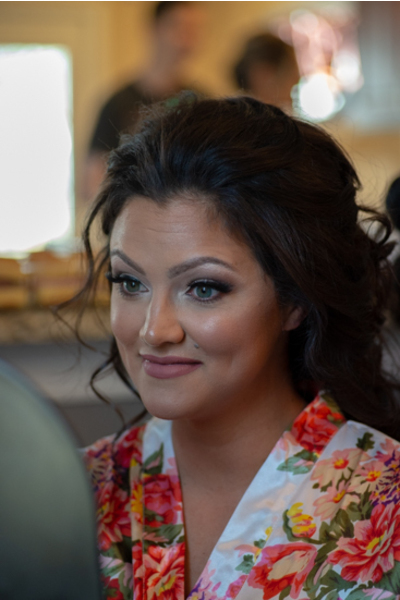 The lovely ladies wore colorful silk robes while sipping on champagne and getting their makeup done. 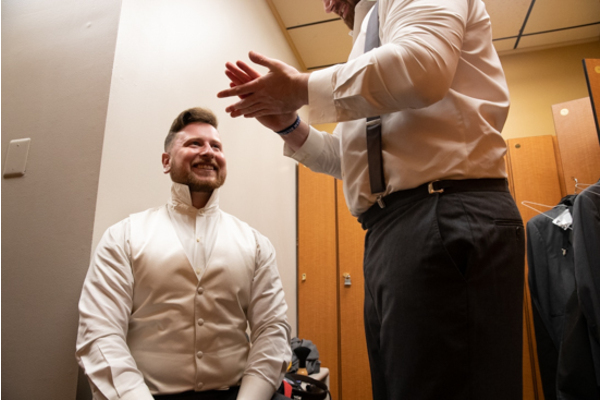 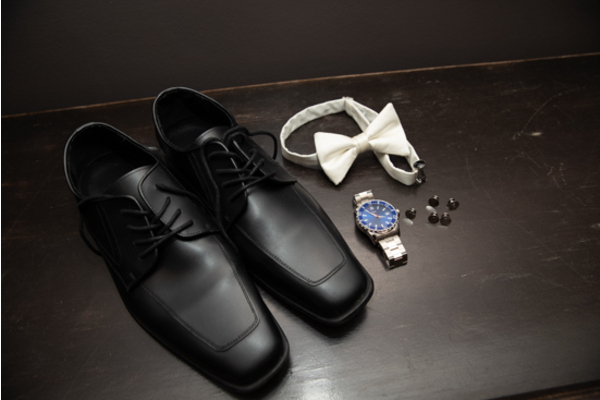 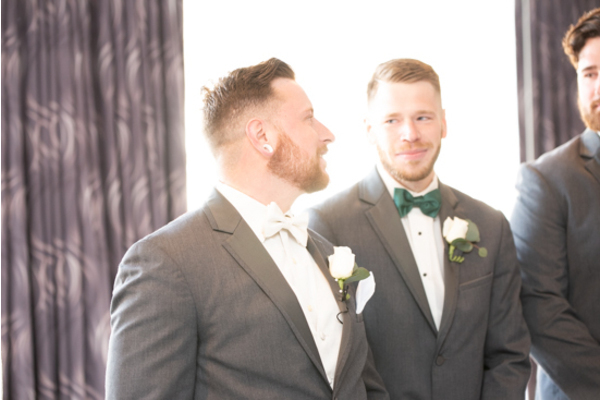 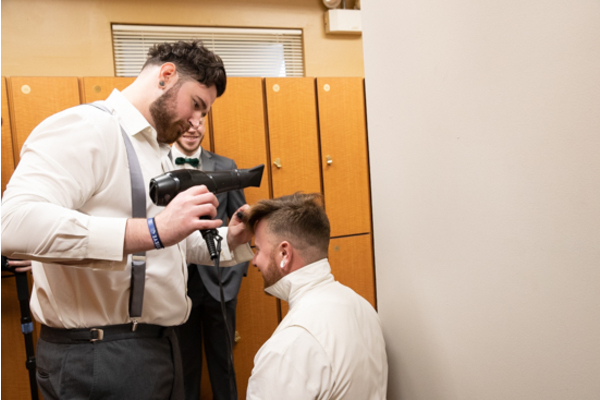 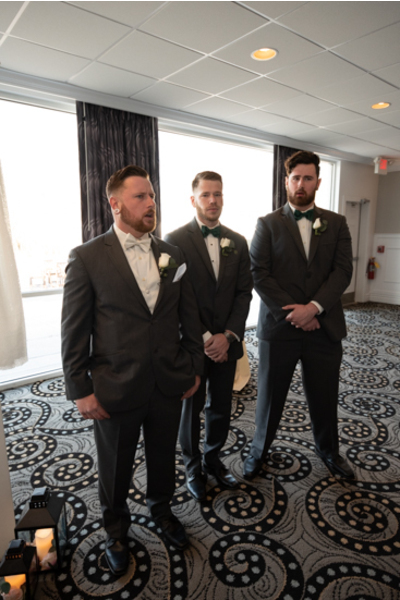 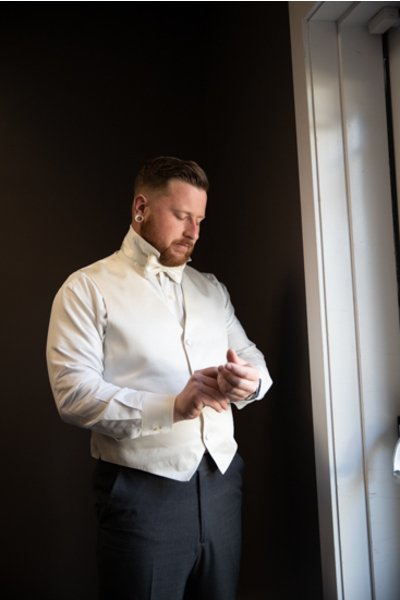 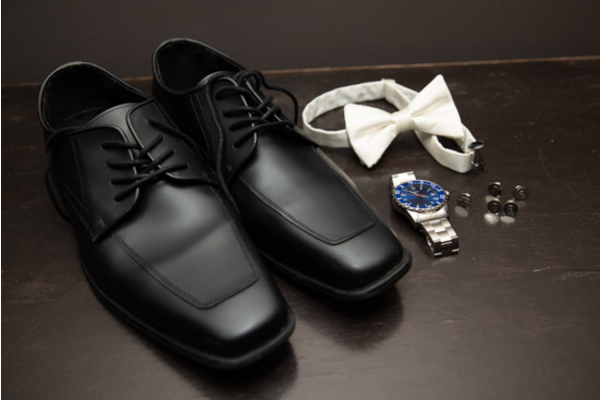 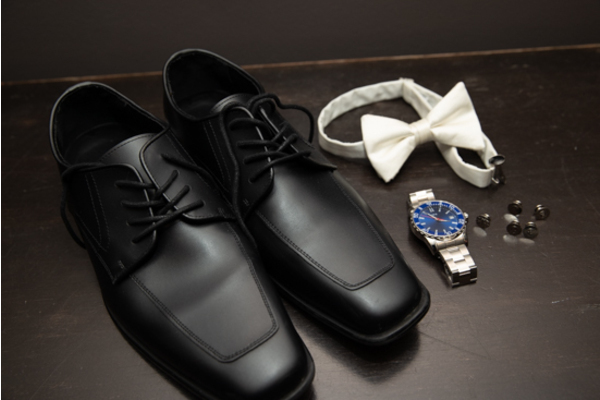 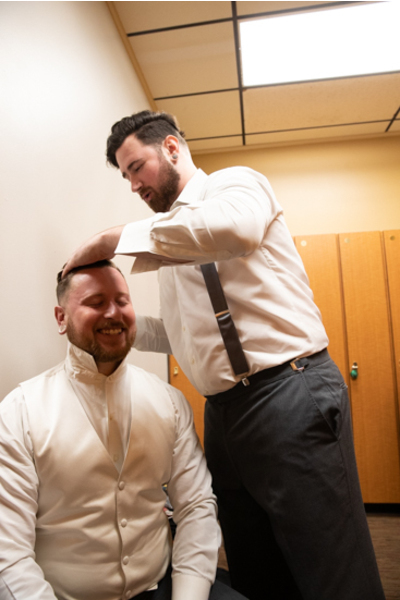 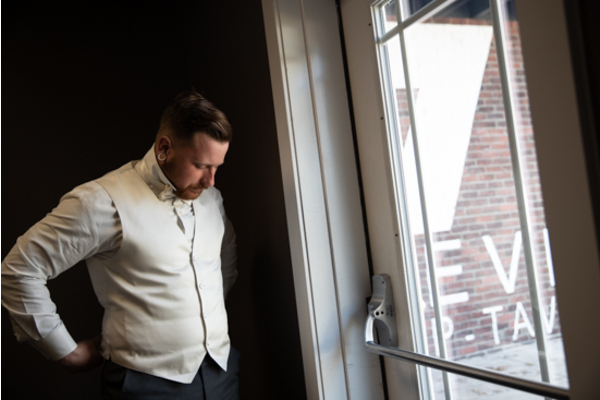 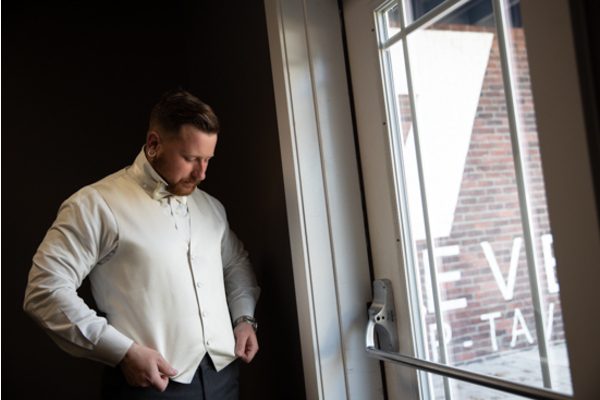 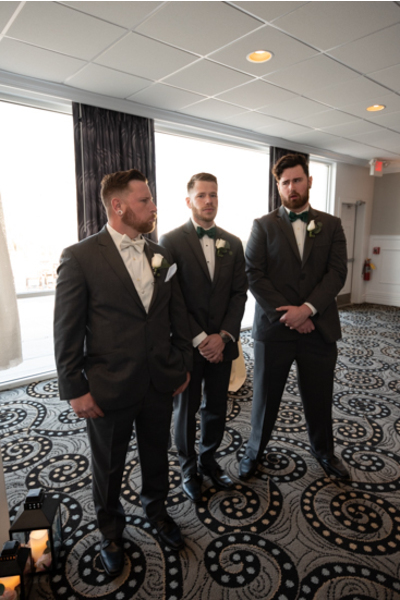 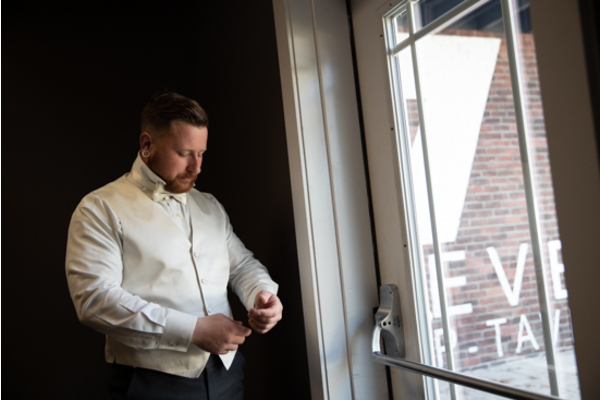 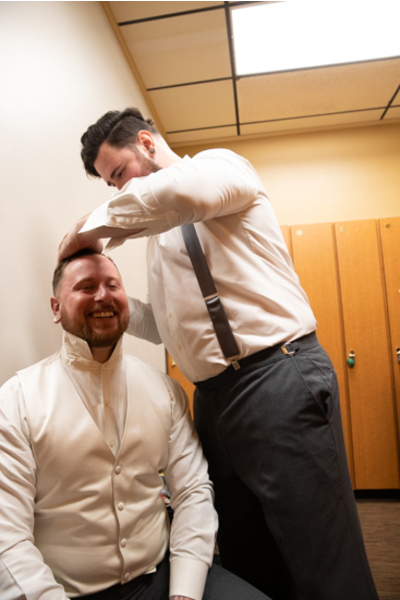 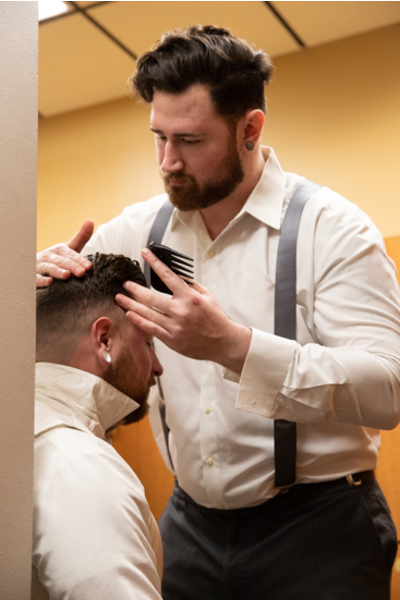 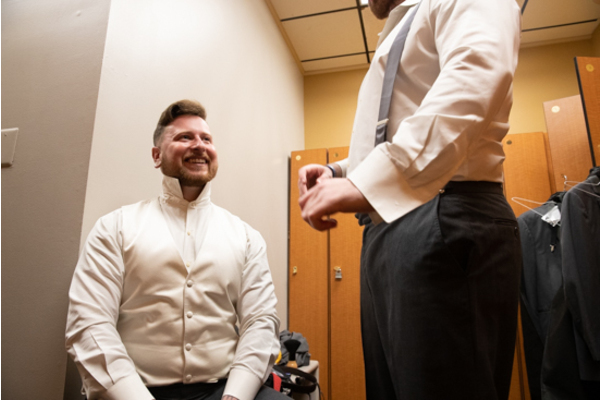 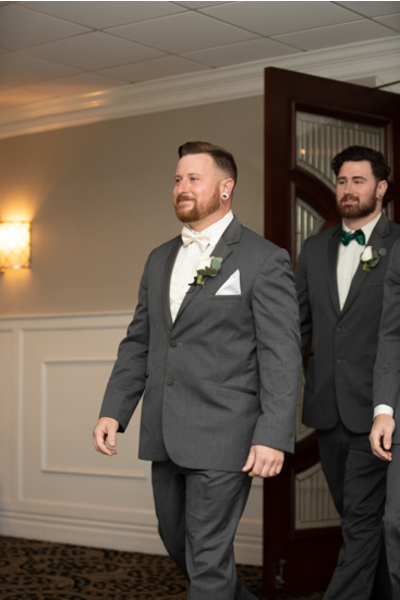 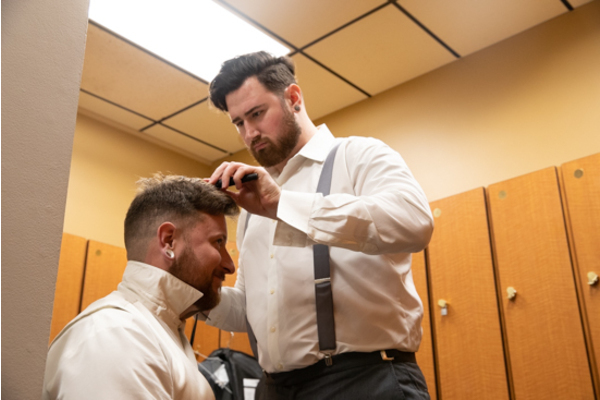 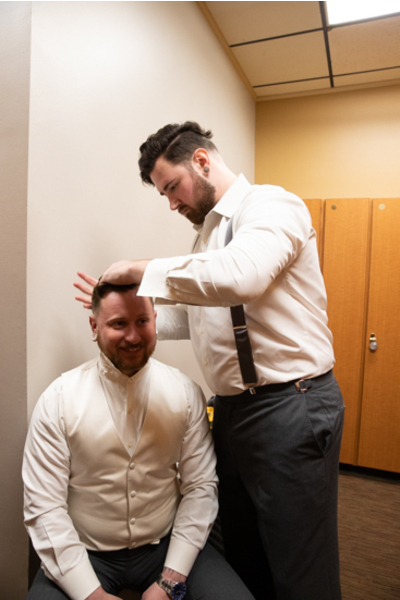 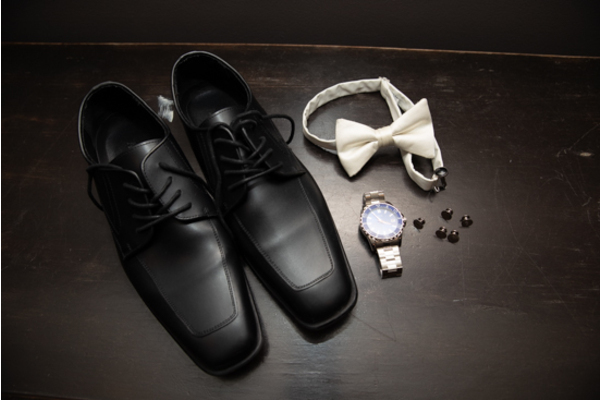 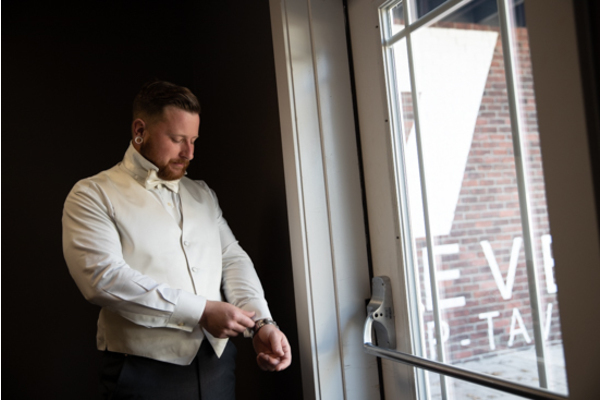 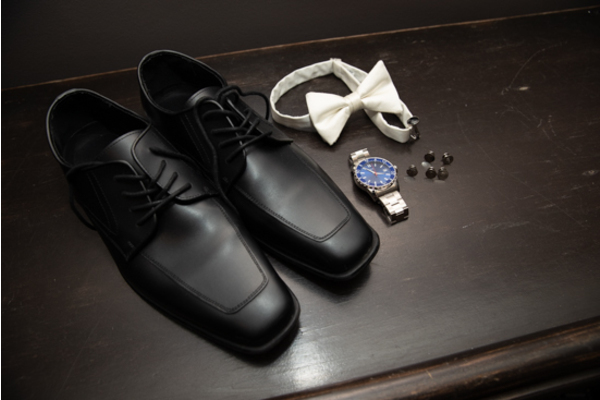 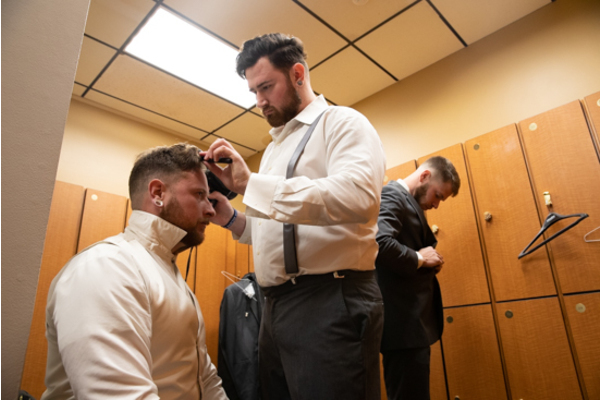 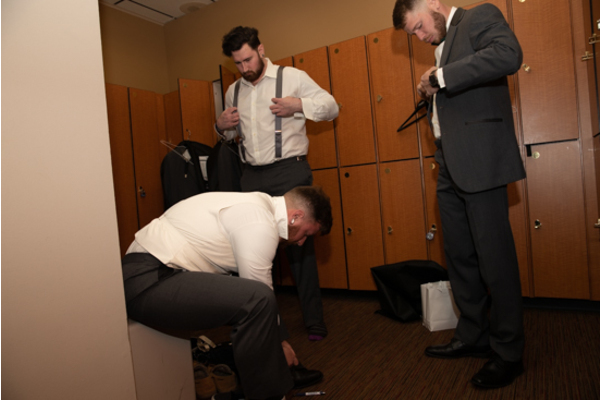 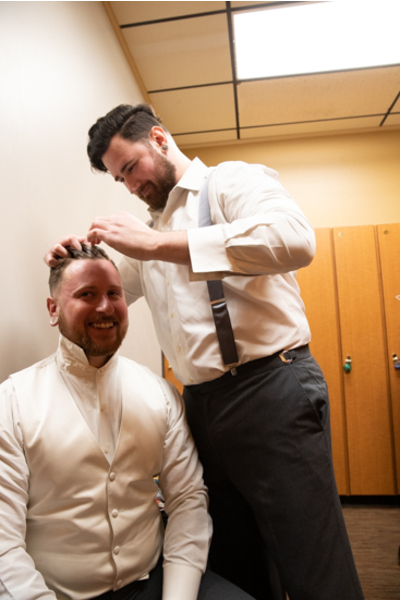 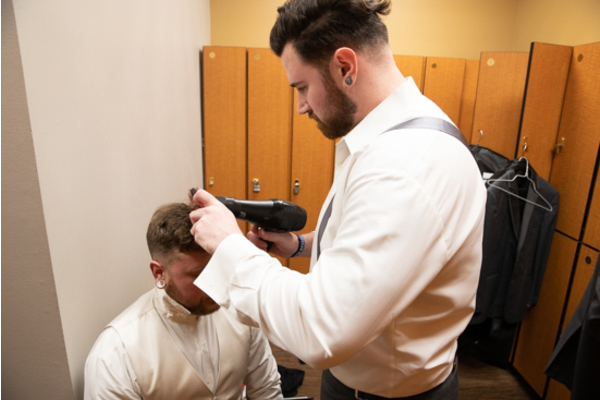 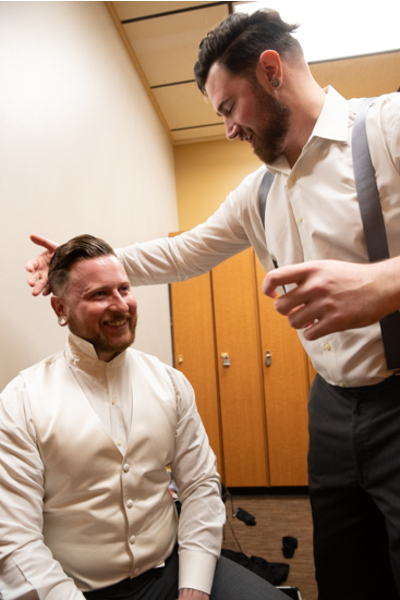 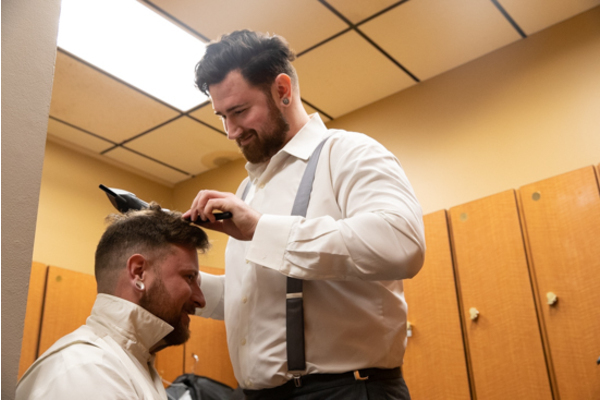 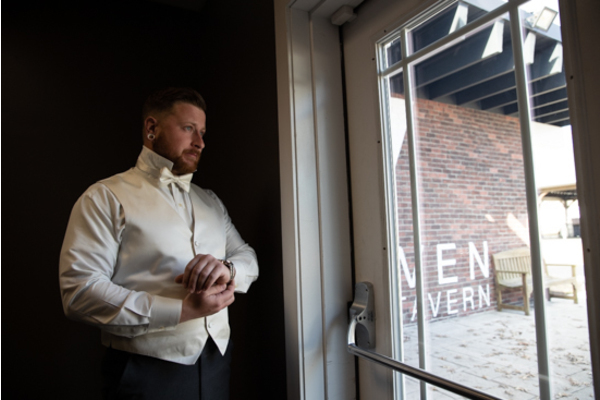 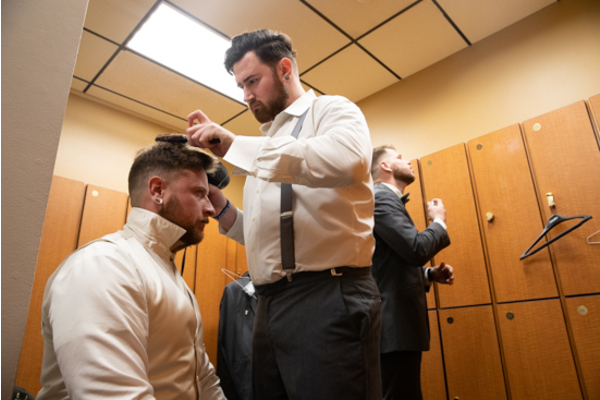 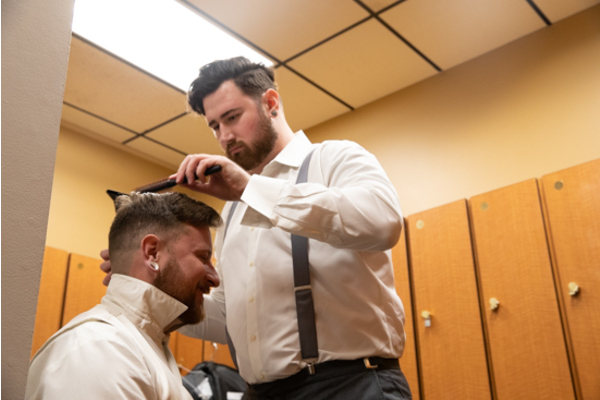 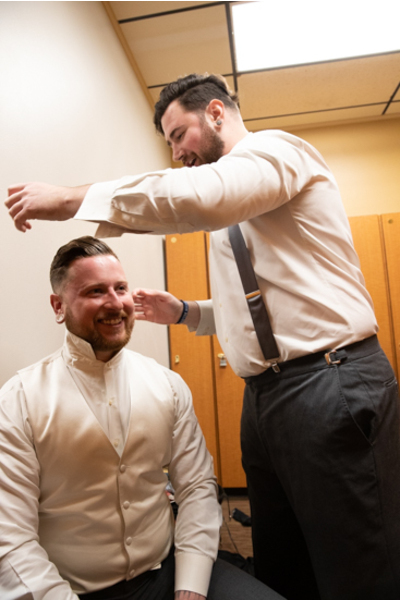 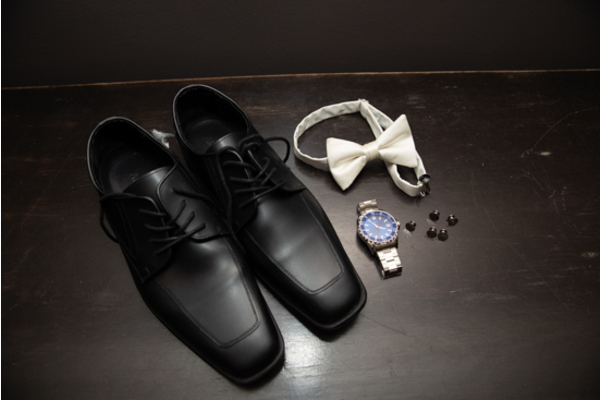 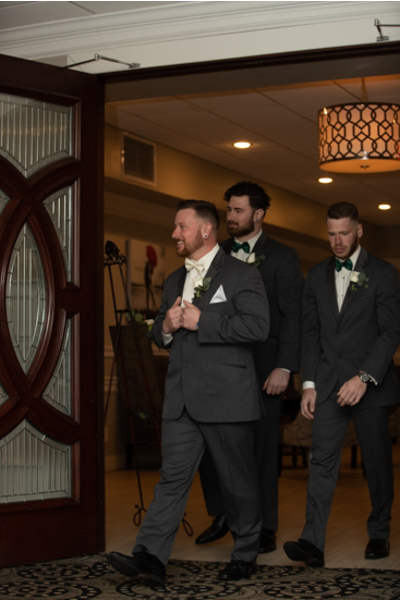 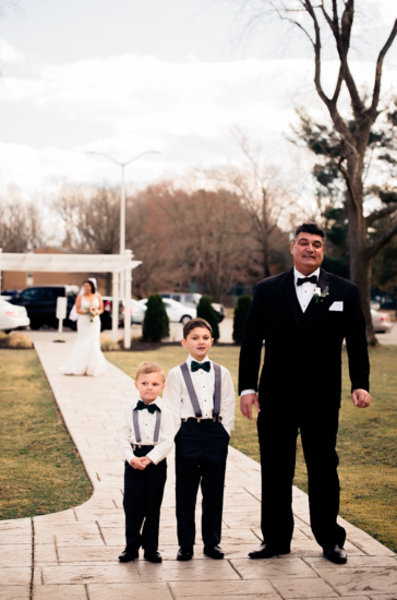 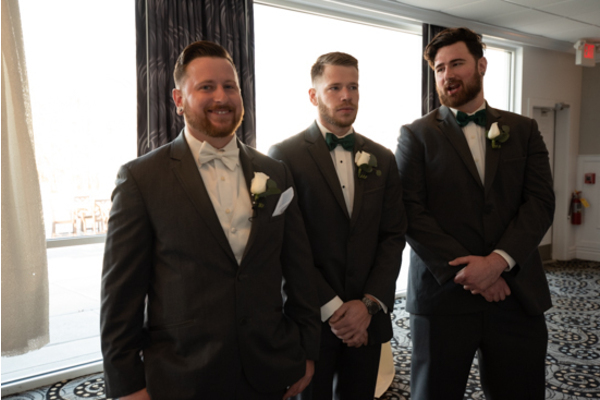 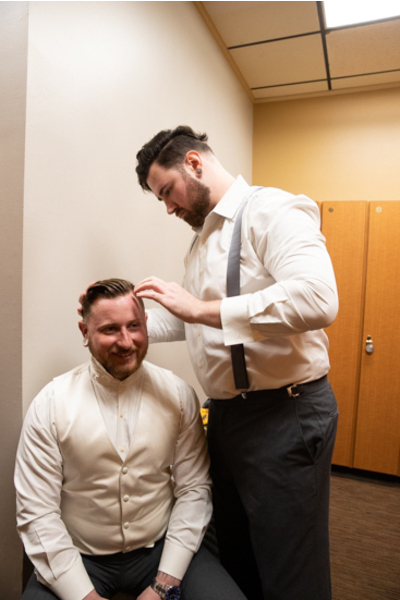 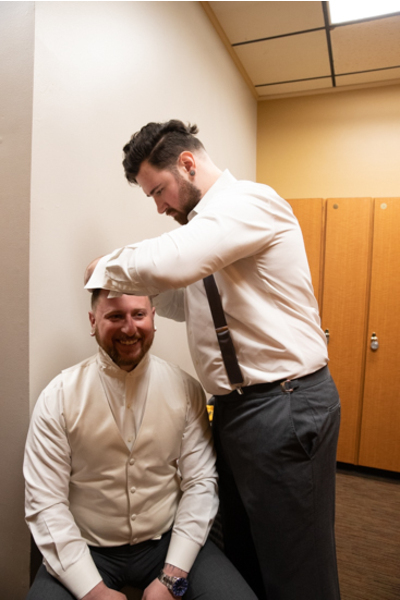 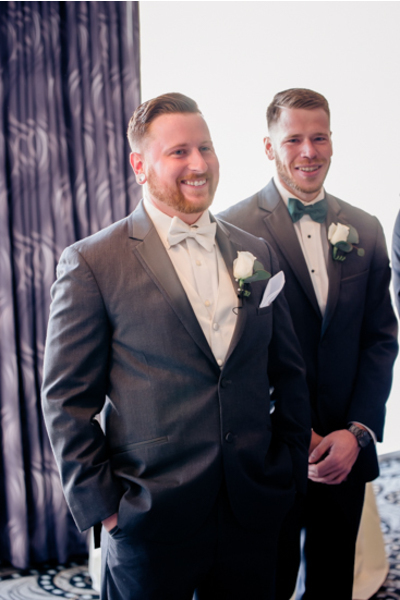 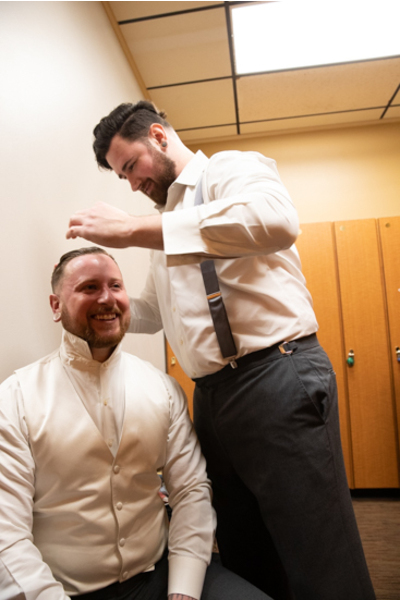 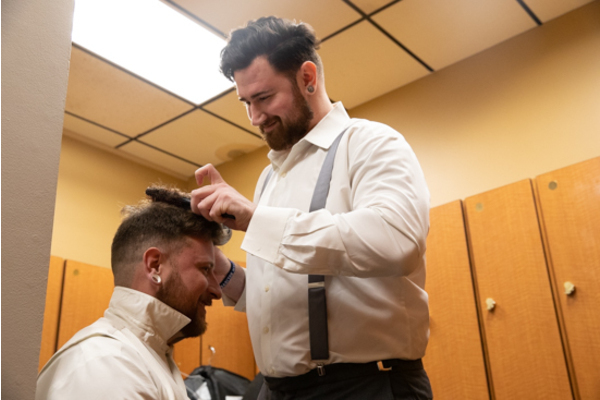 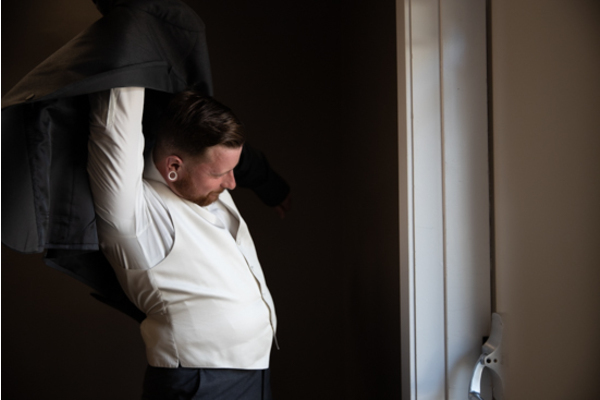 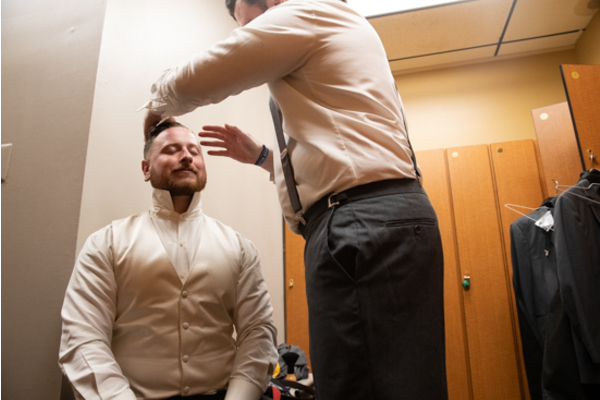 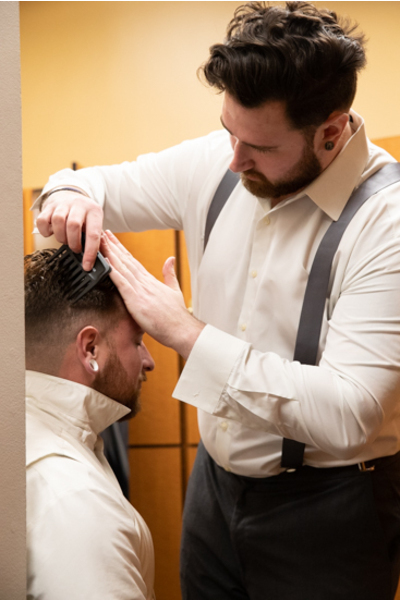 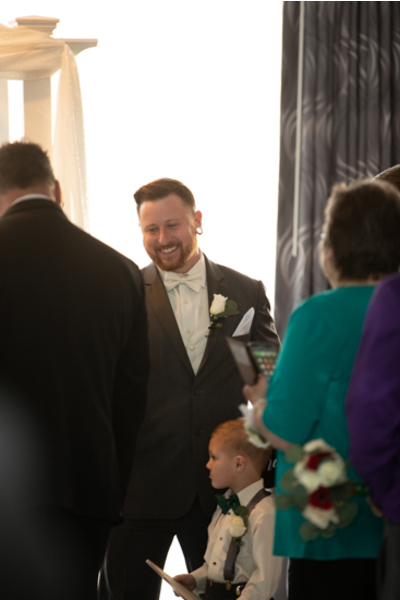 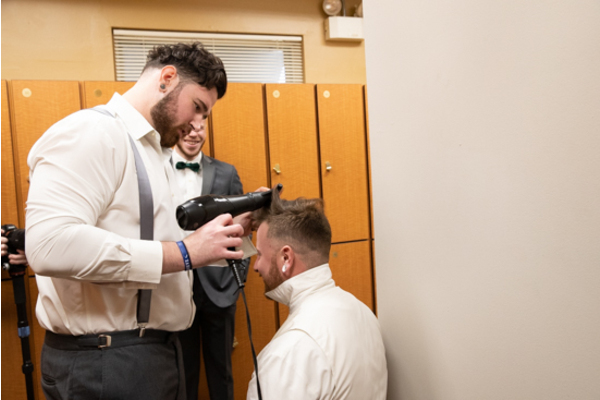 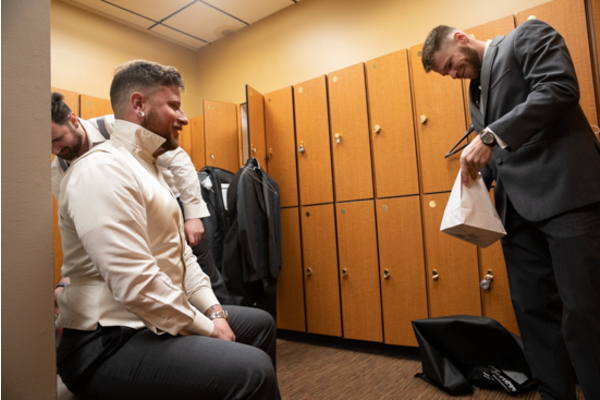 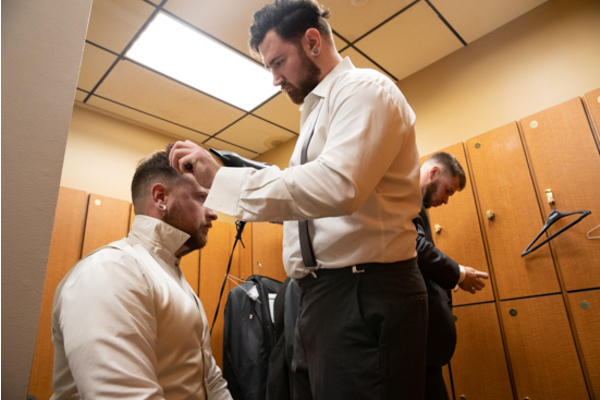 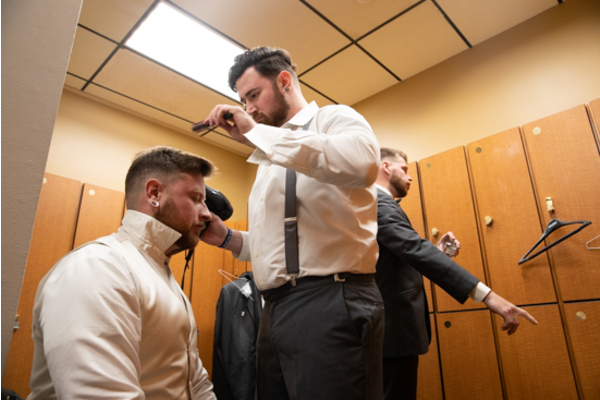 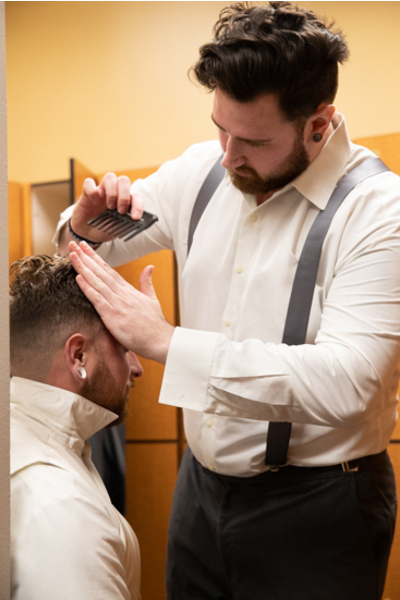 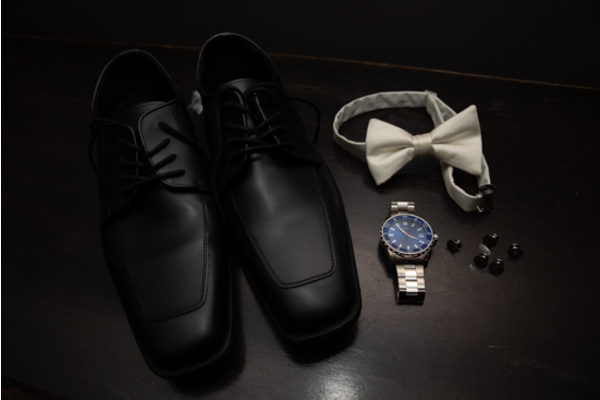 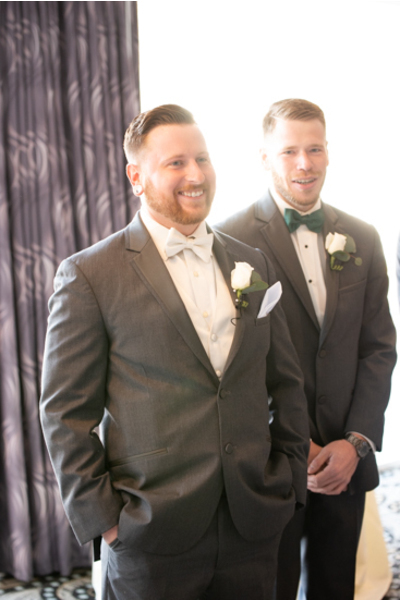 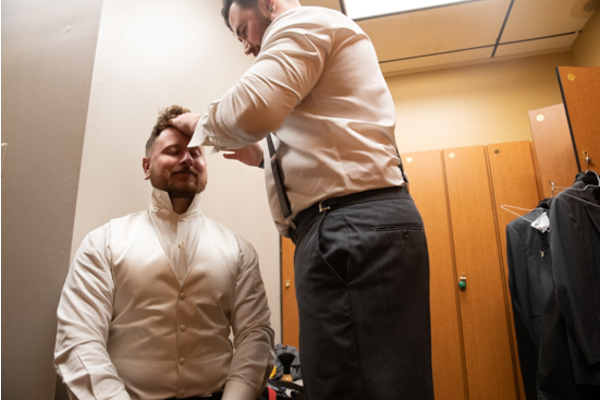 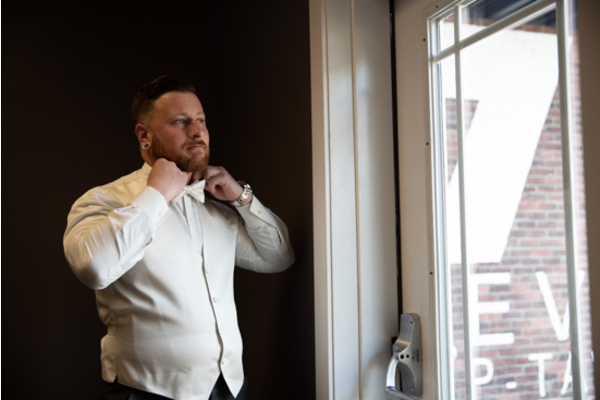 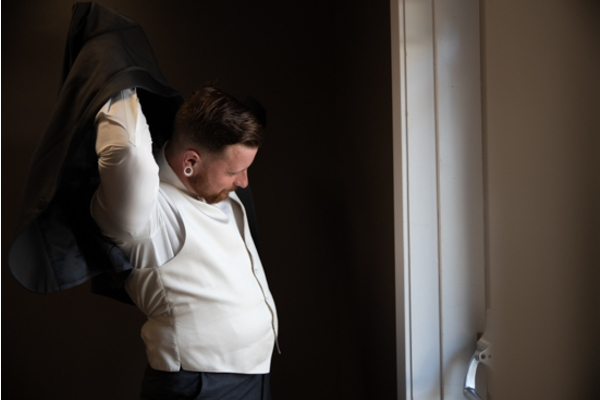 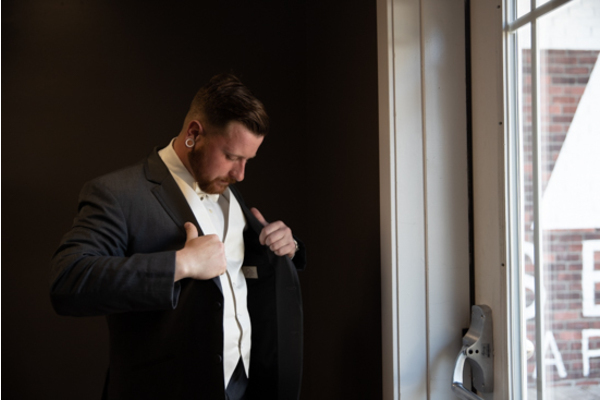 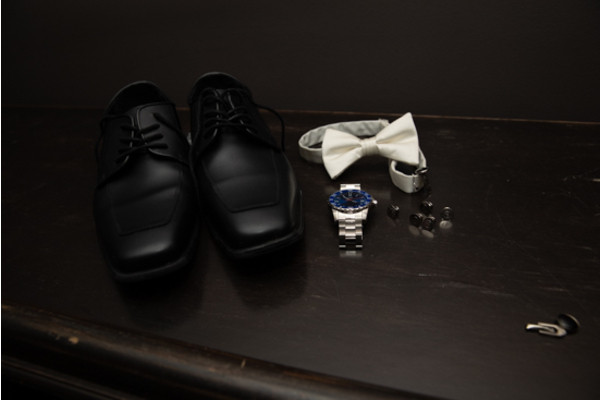 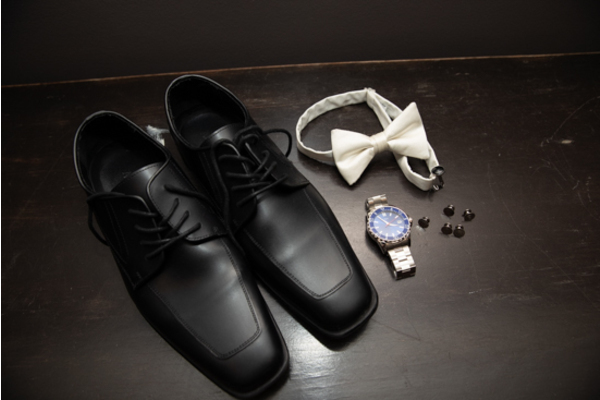 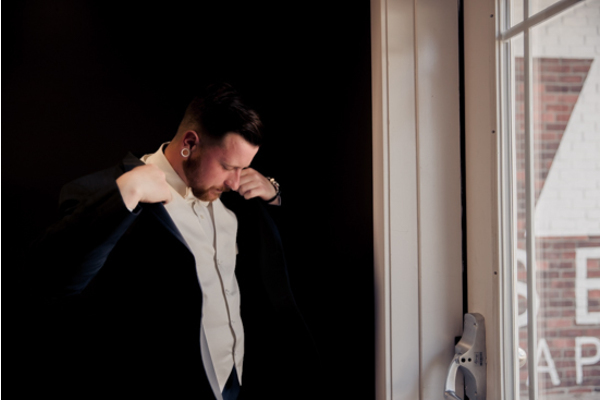 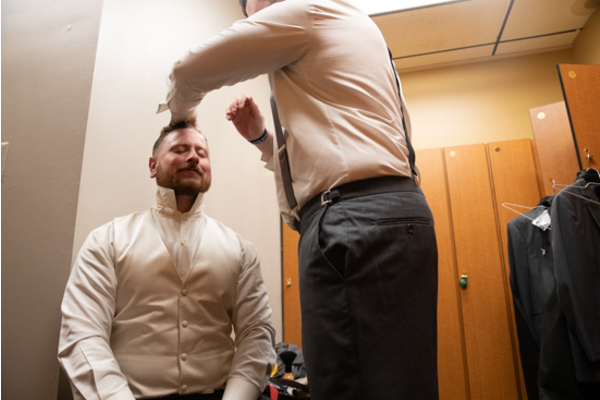 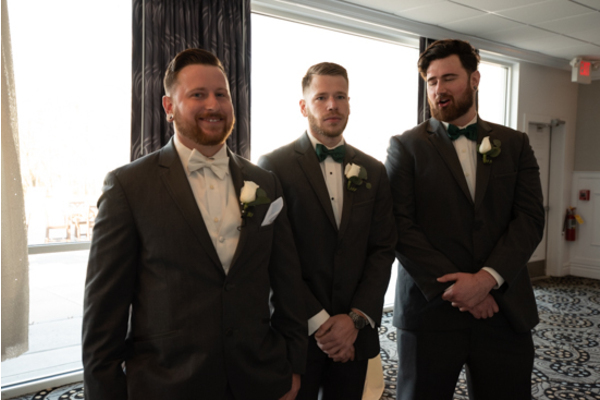 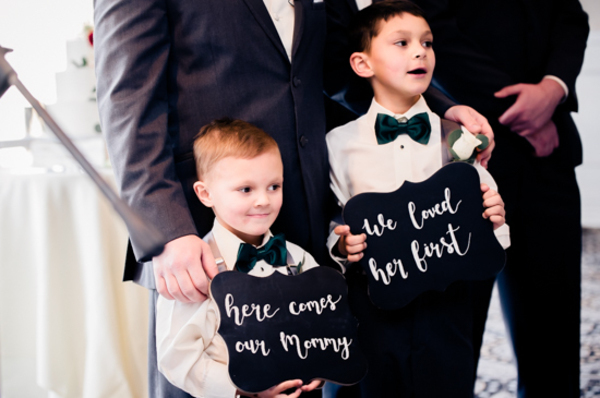 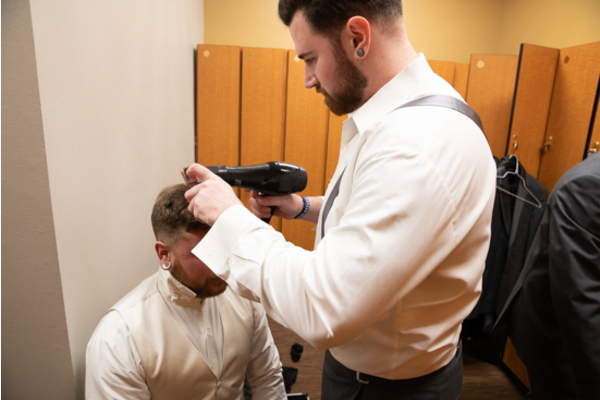 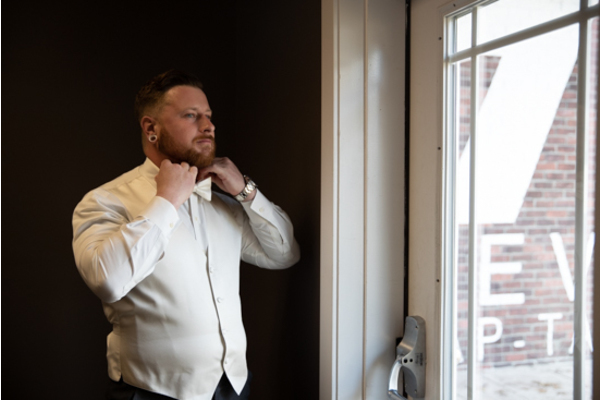 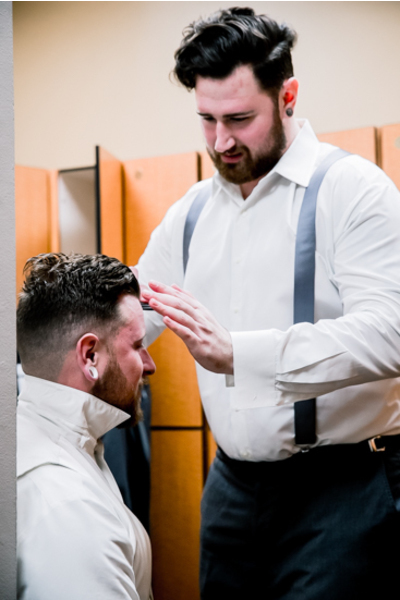 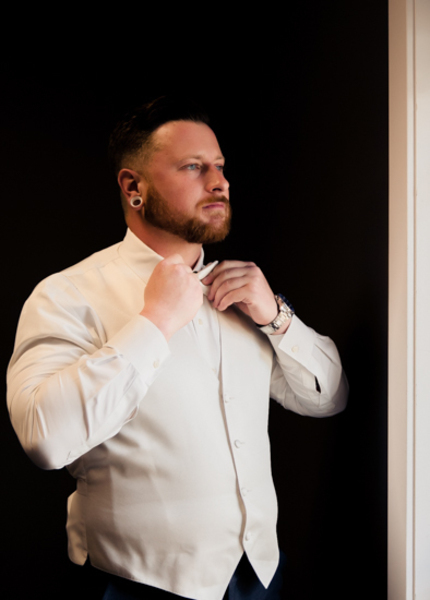 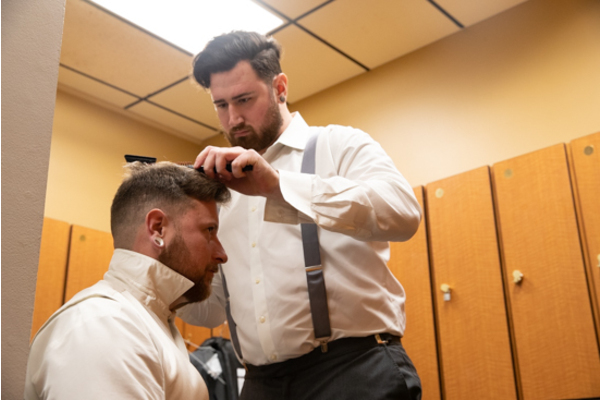 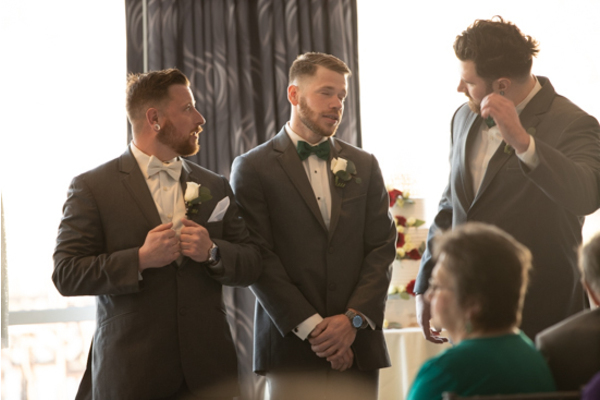 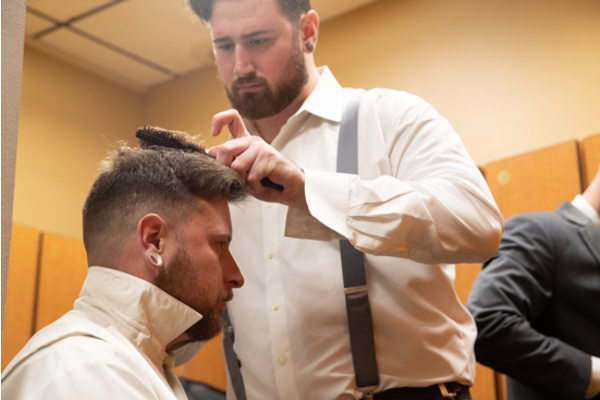 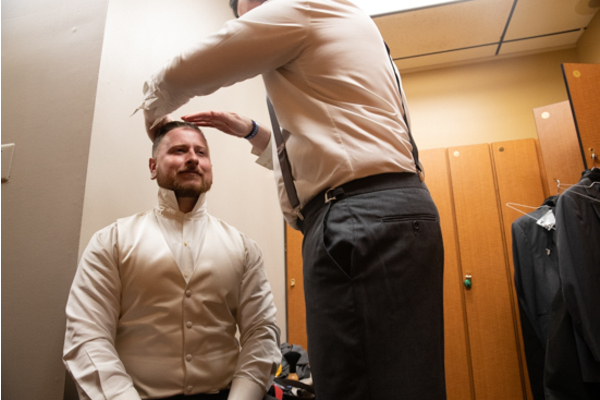 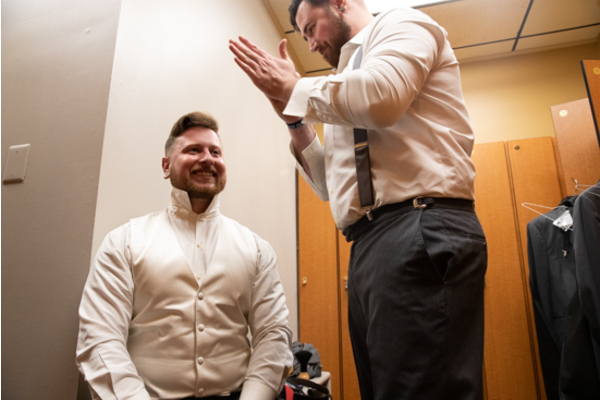 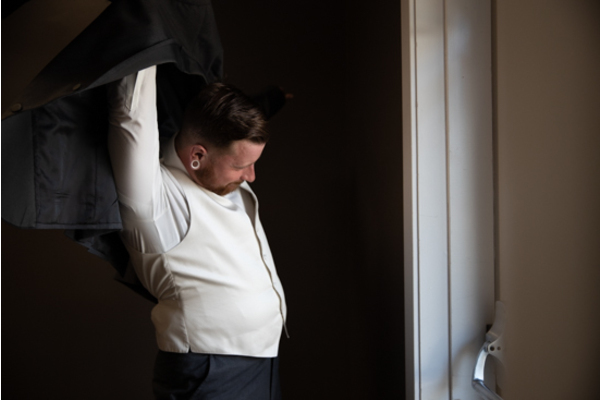 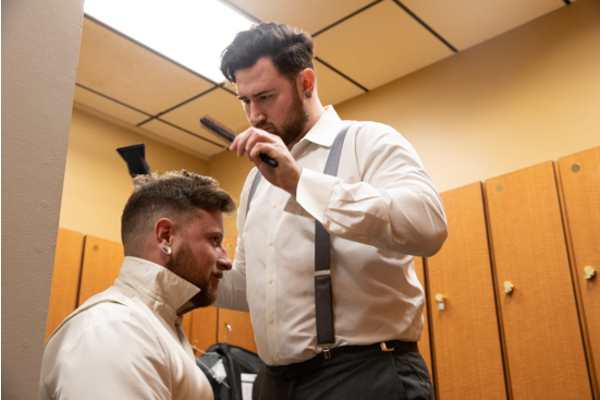 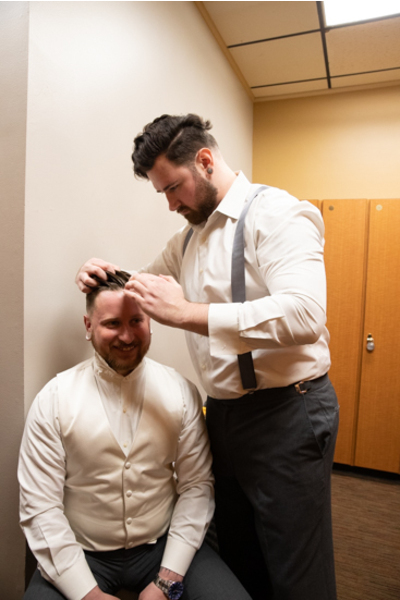 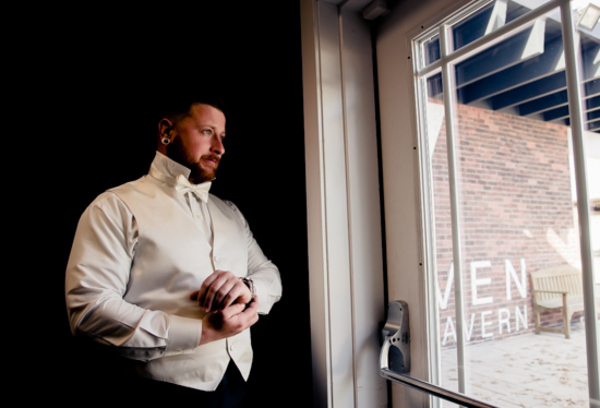 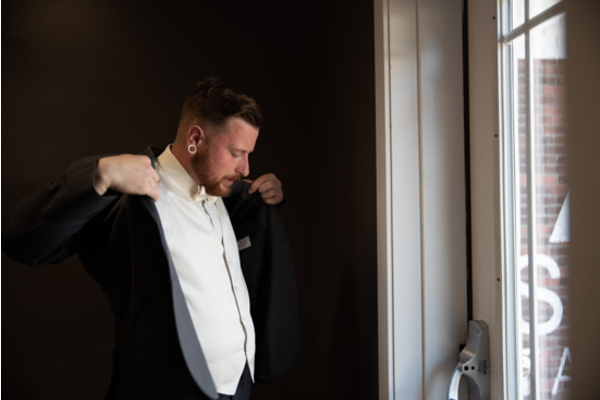 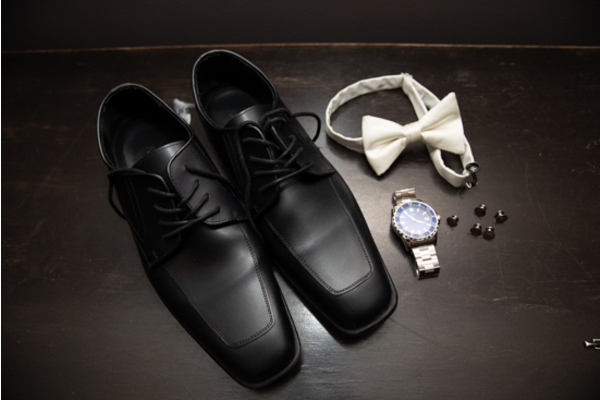 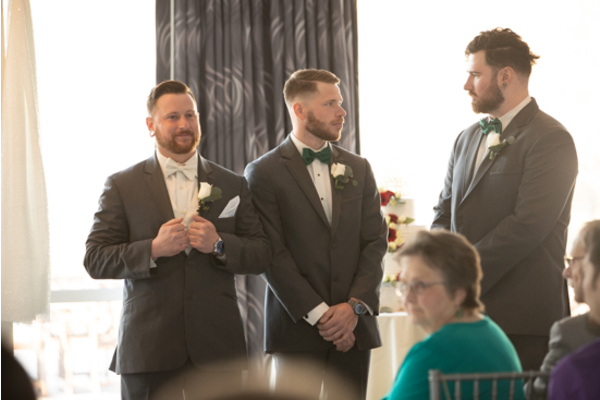 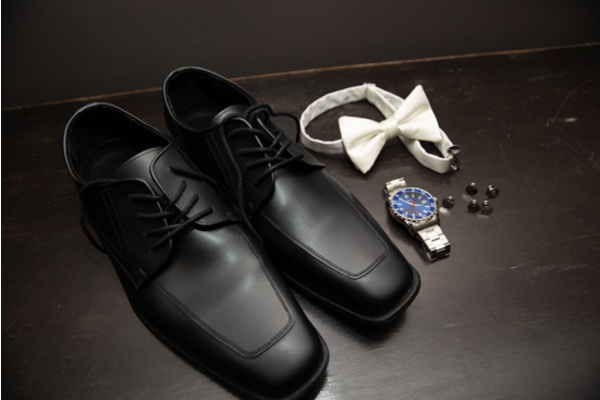 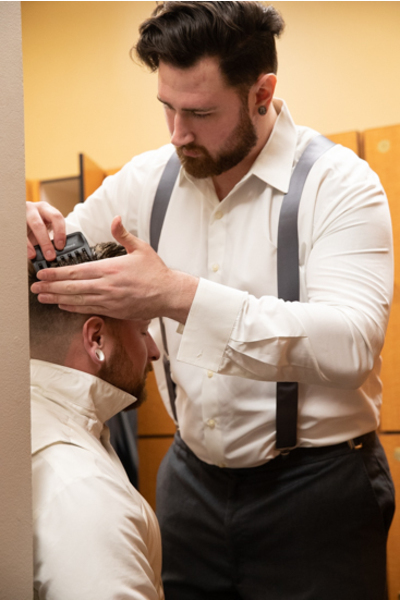 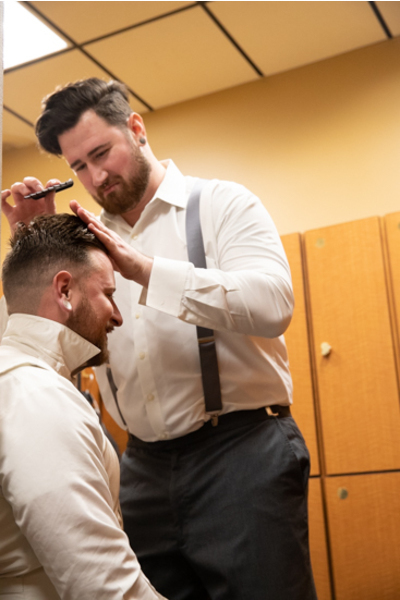 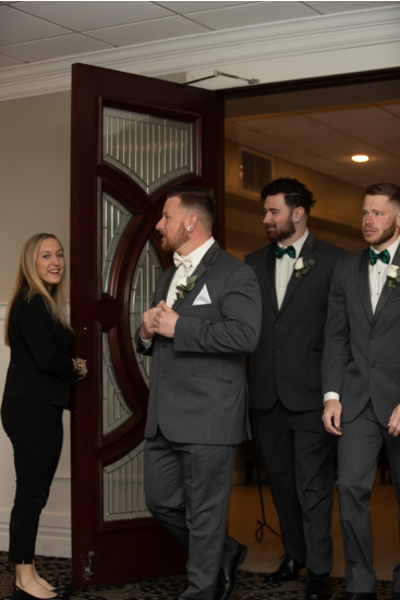 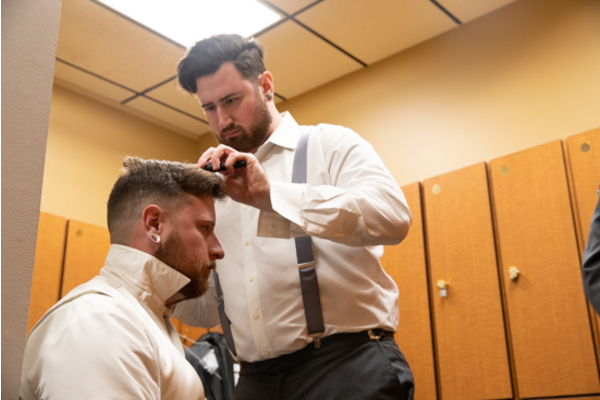 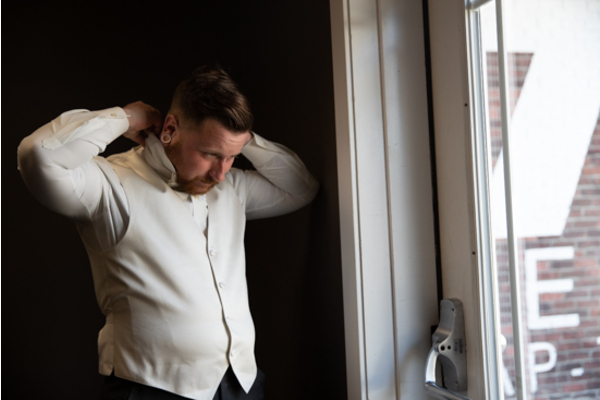 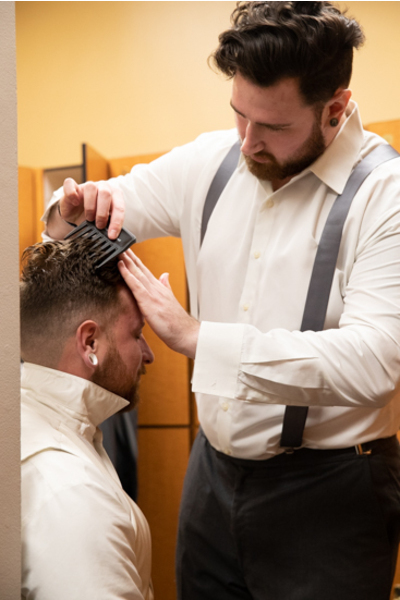 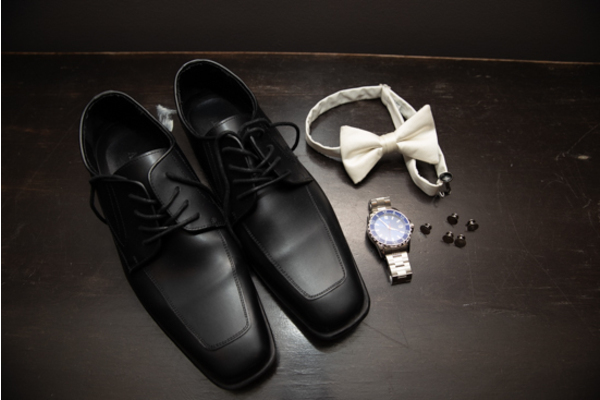 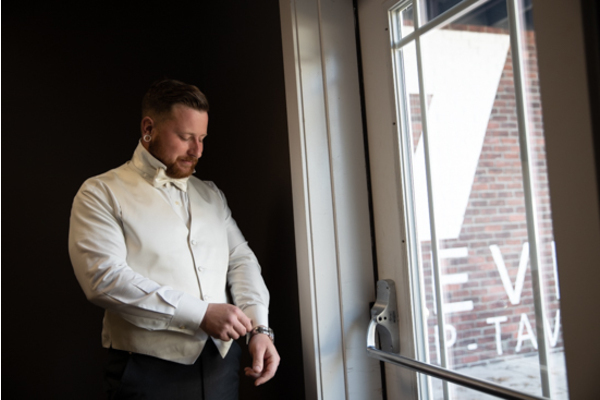 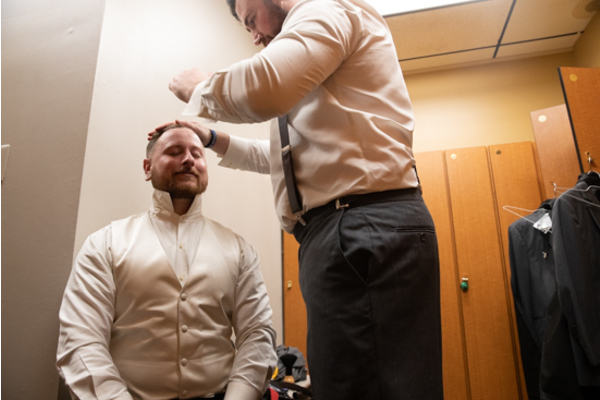 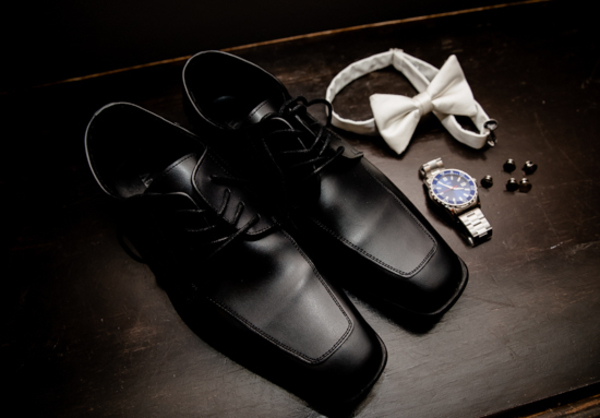 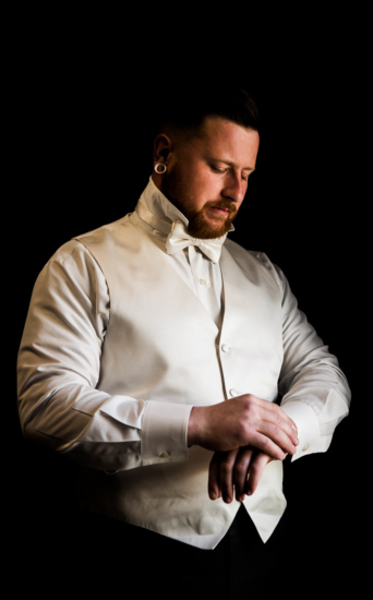 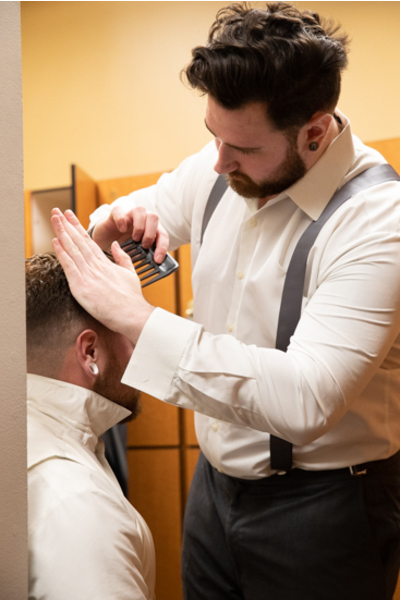 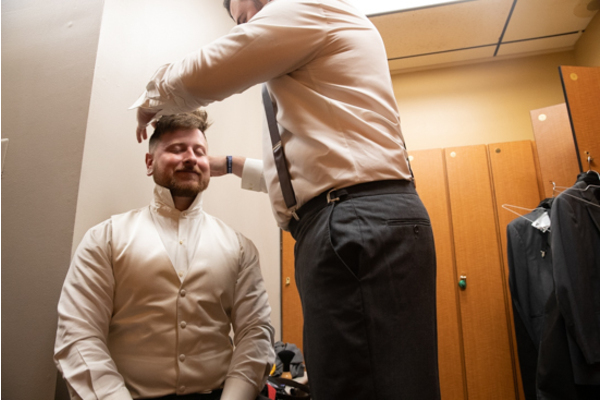 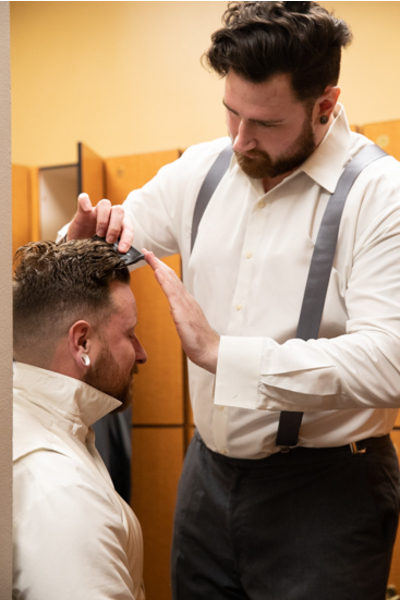 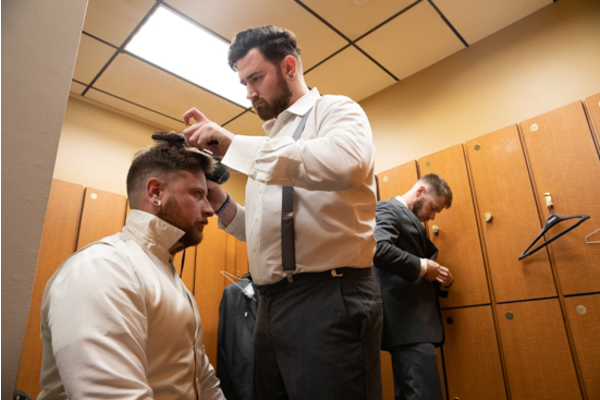 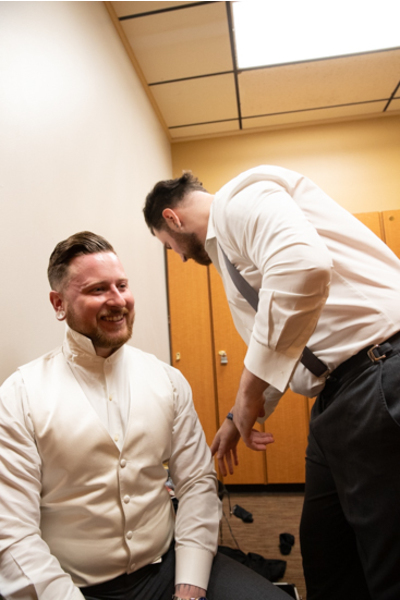 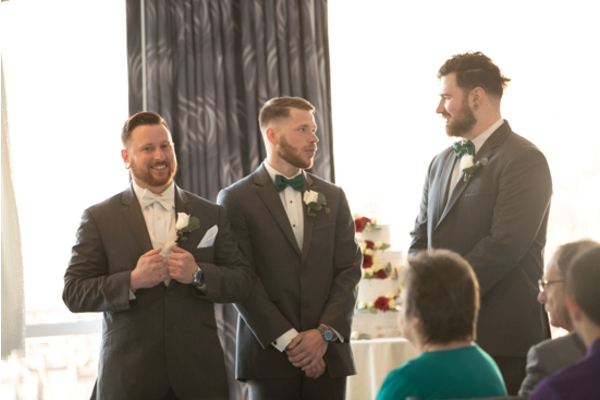 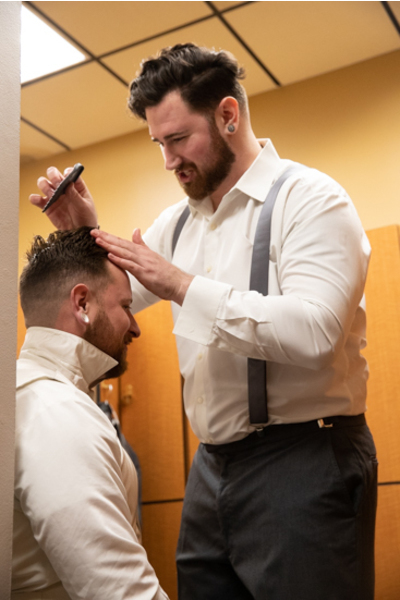 Meanwhile, Dan was getting ready with his groomsmen all dressed up in their suits and bow ties! 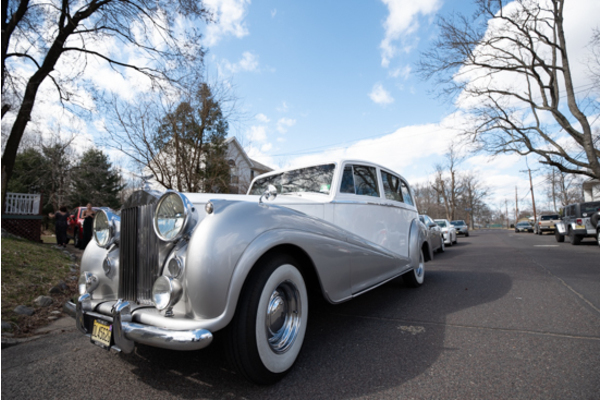 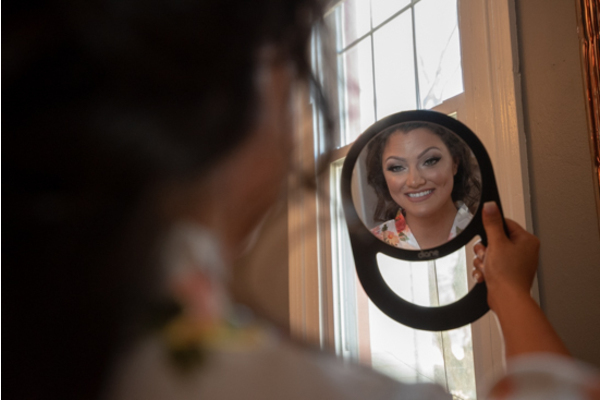 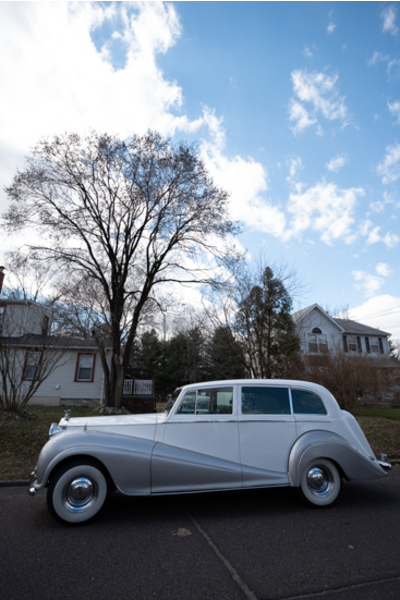 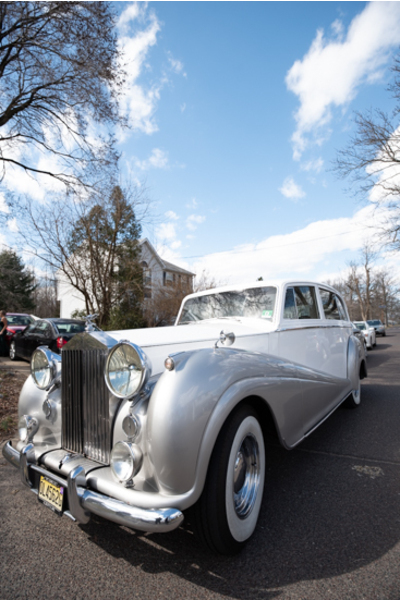 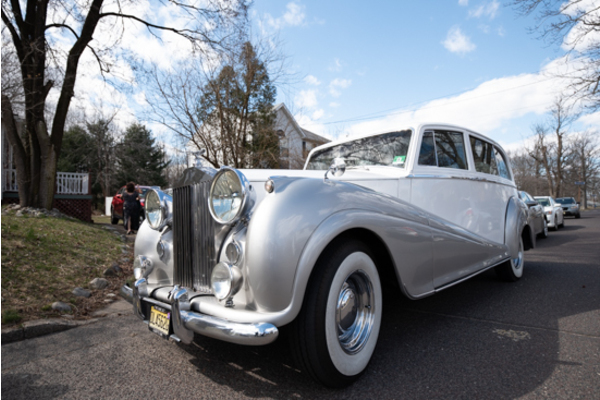 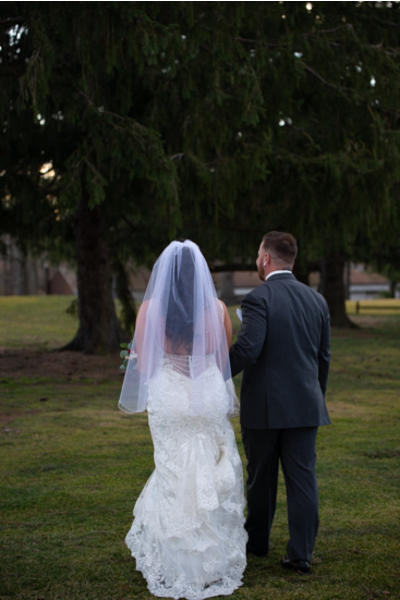 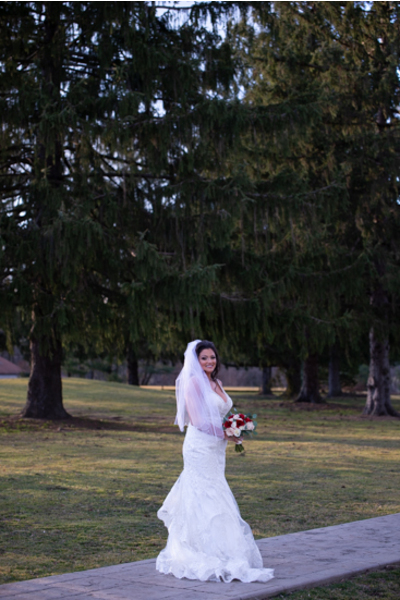 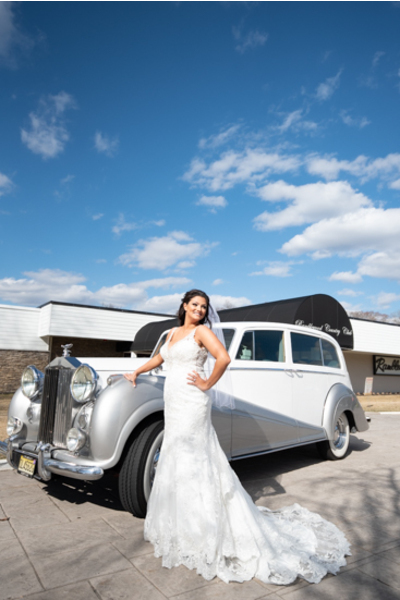 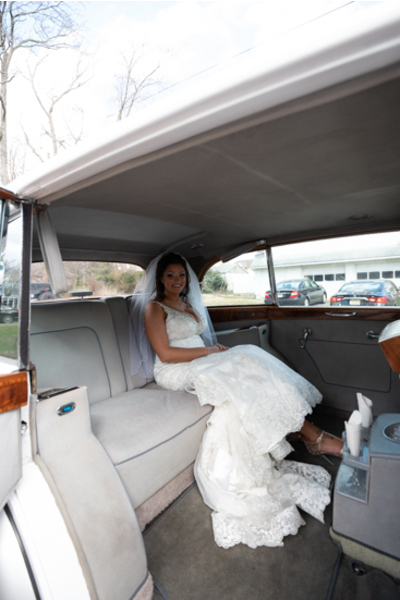 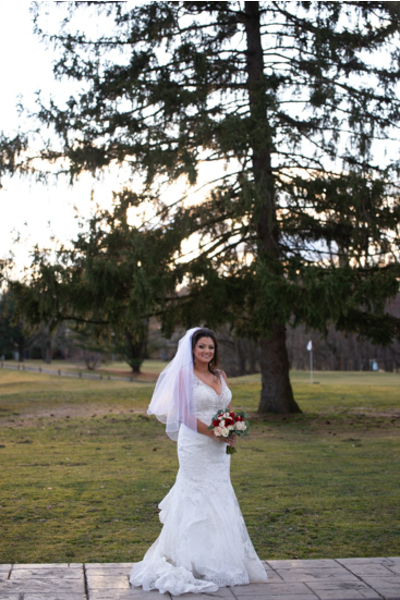 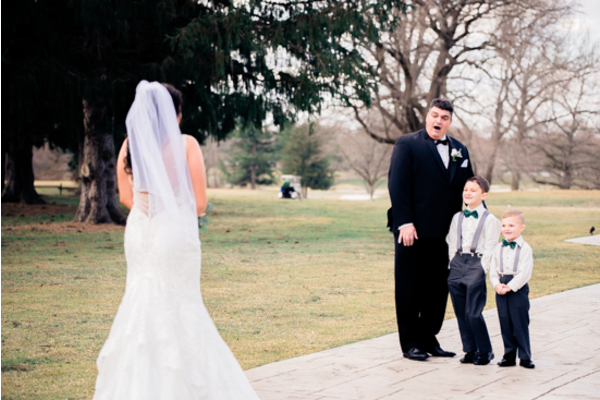 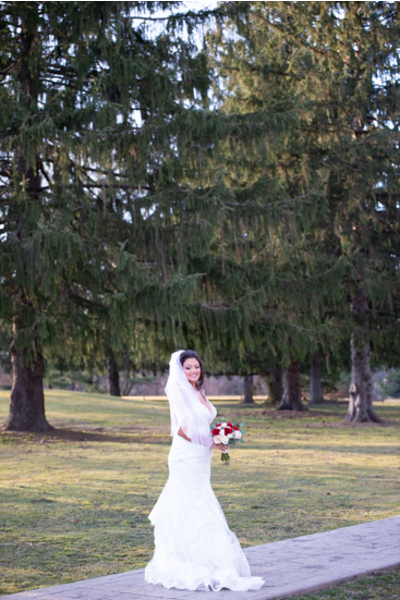 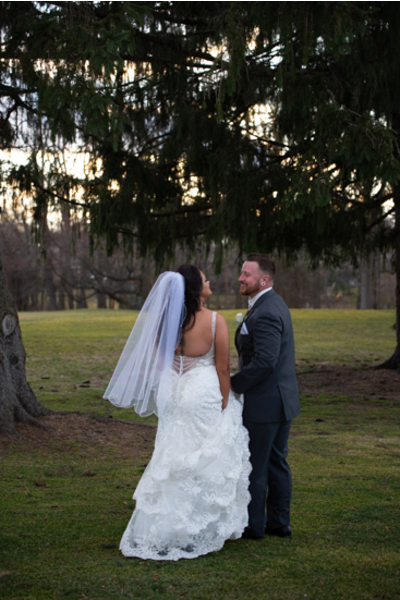 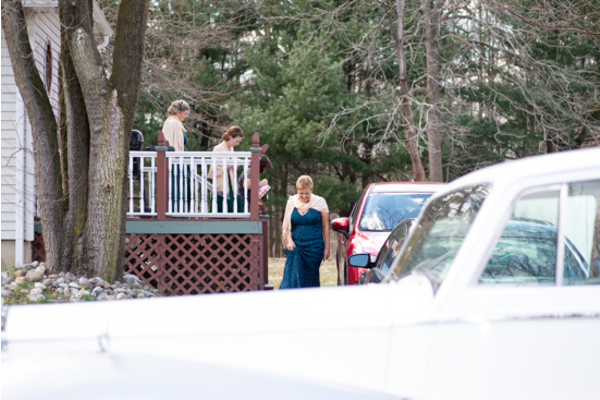 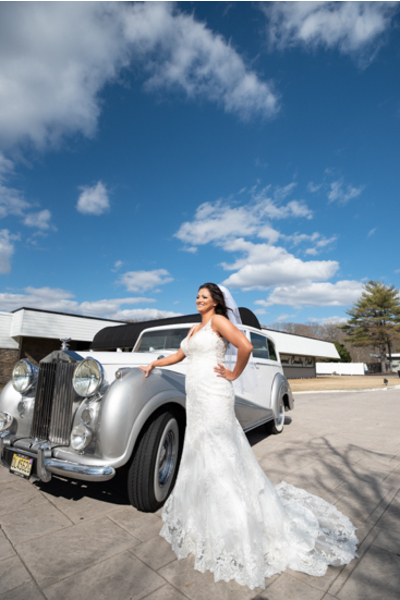 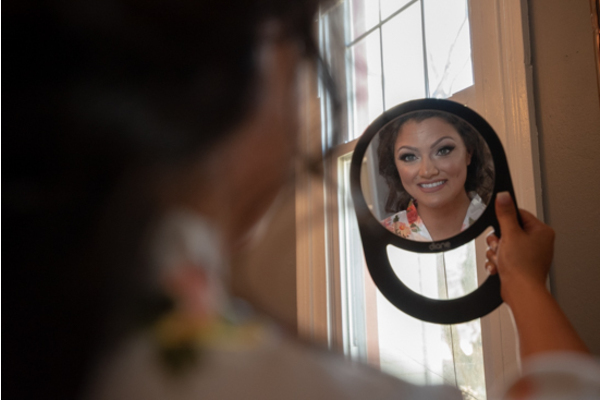 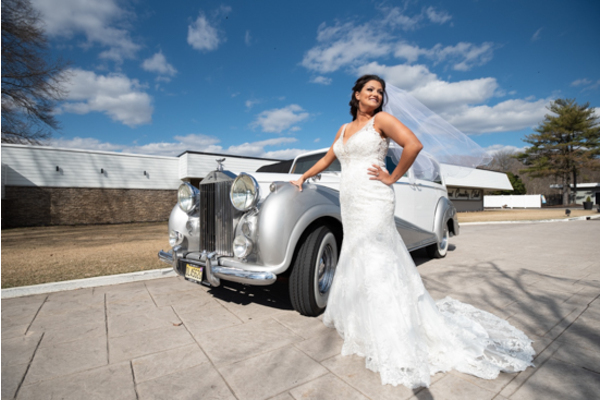 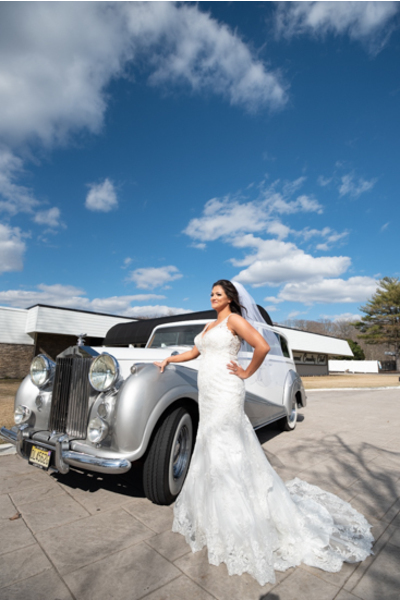 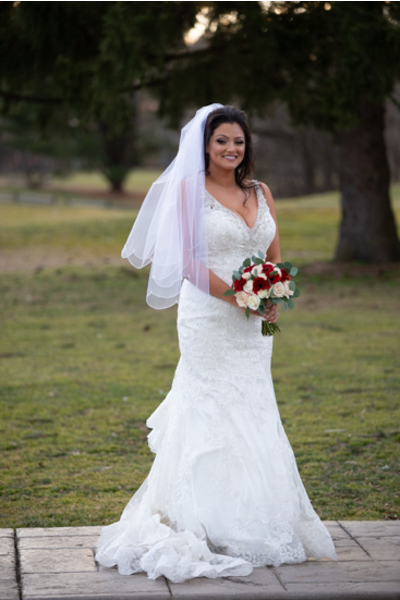 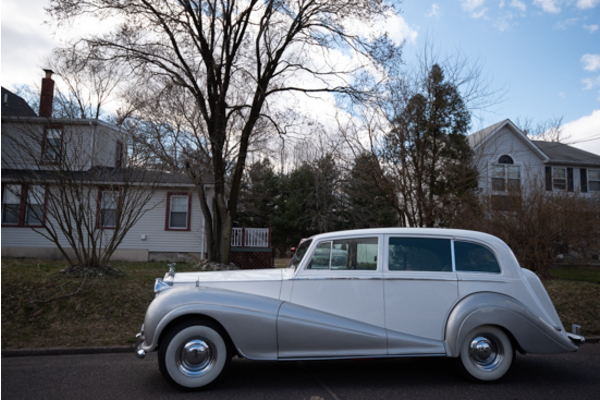 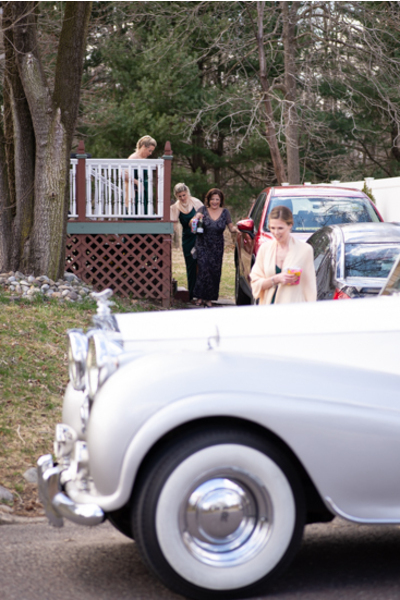 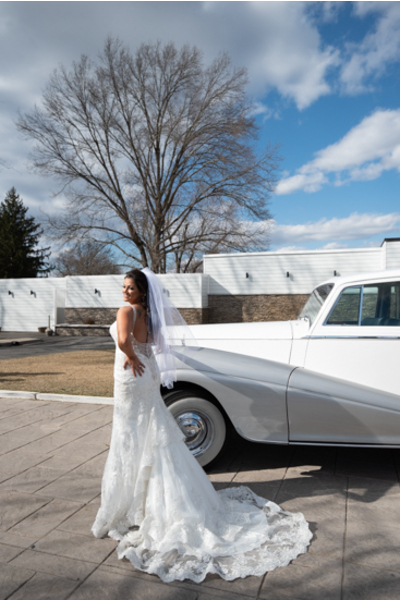 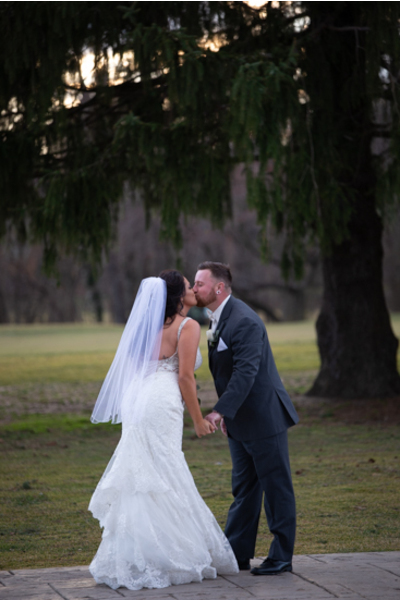 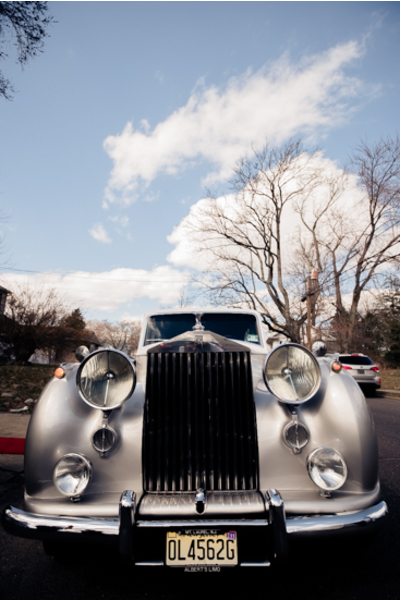 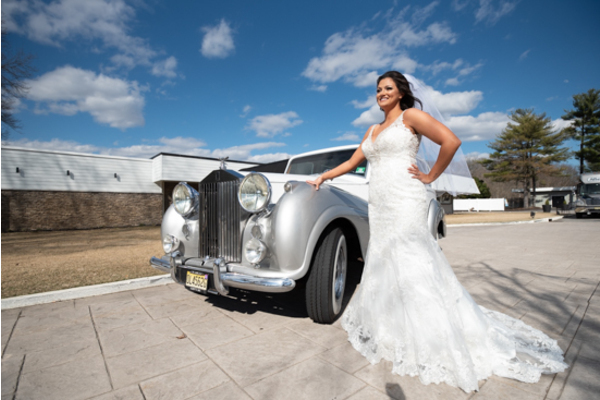 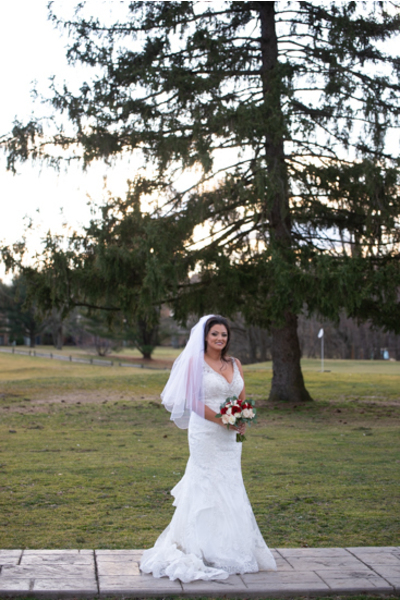 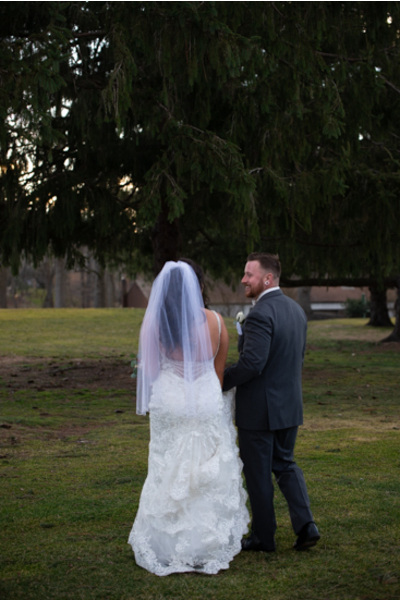 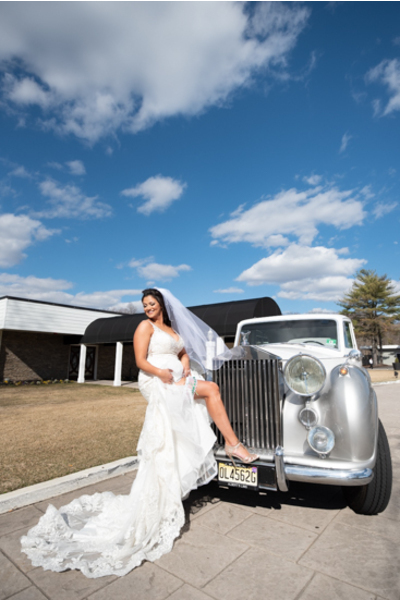 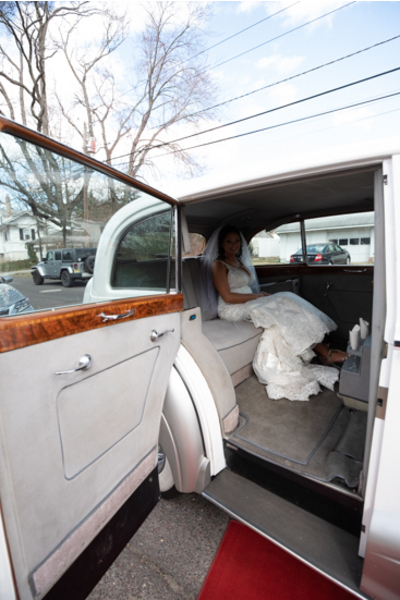 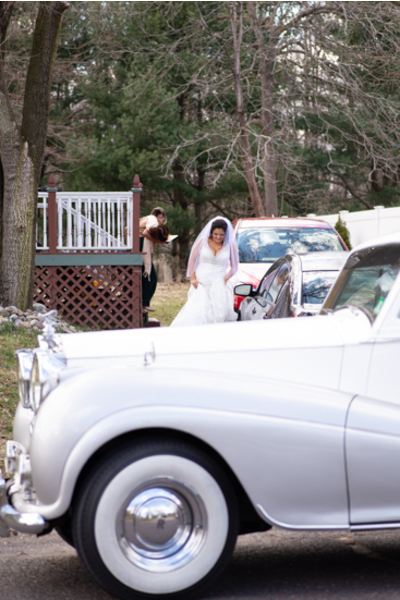 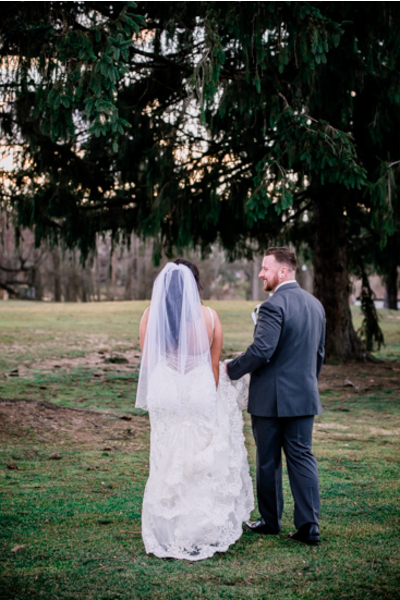 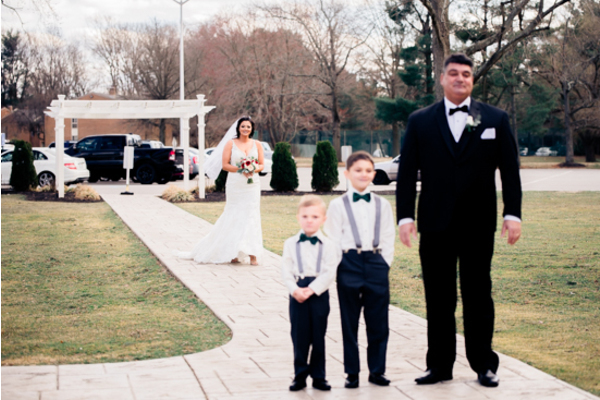 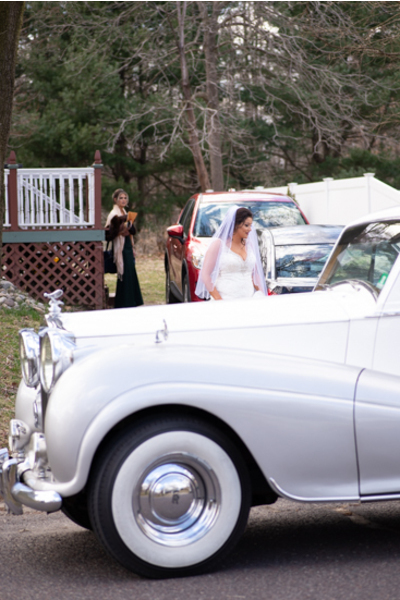 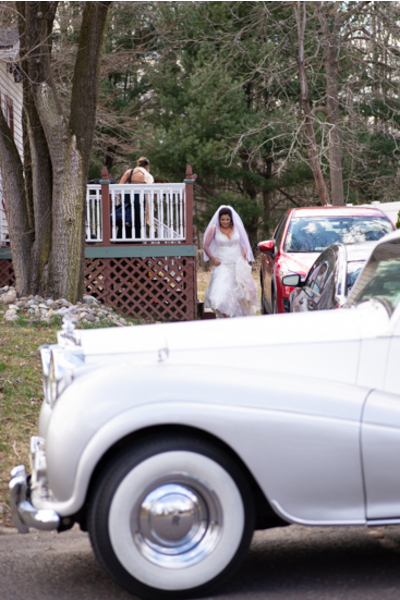 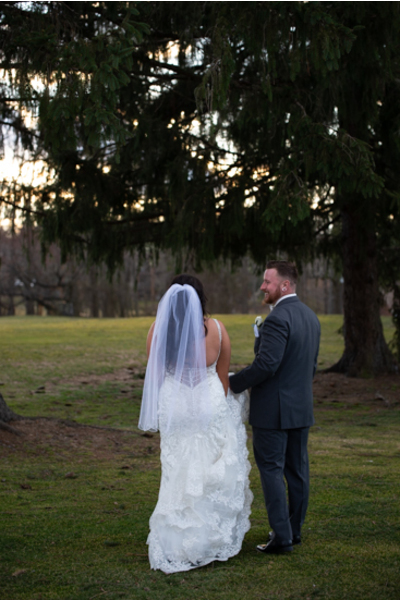 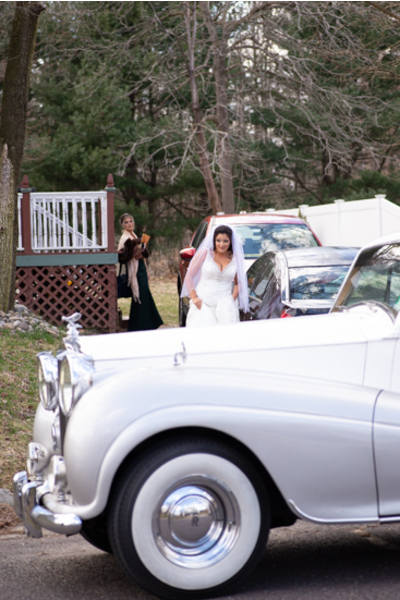 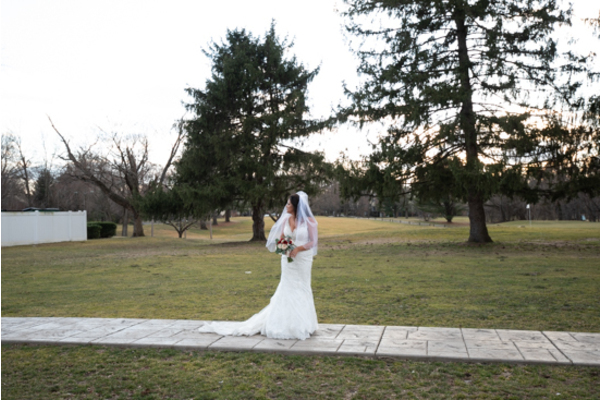 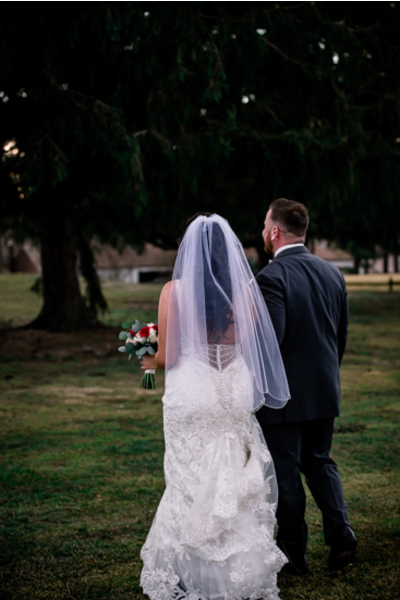 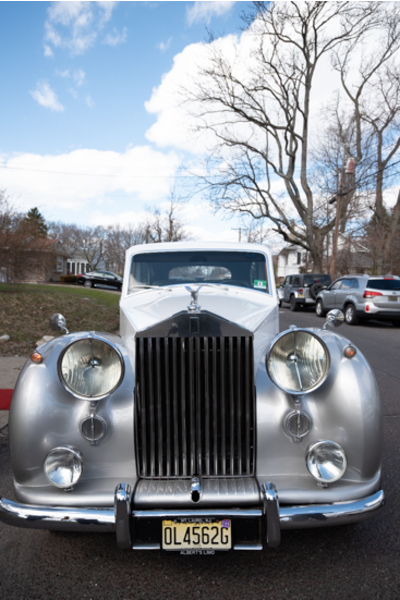 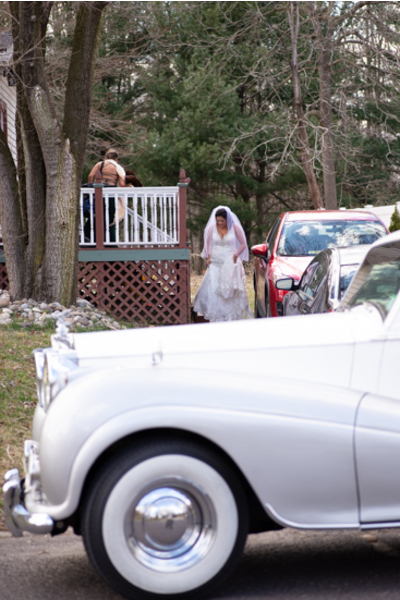 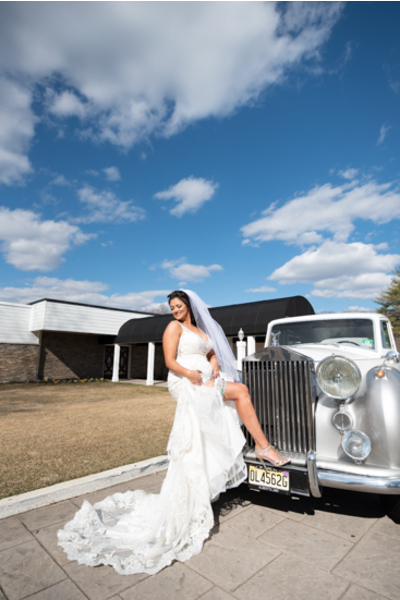 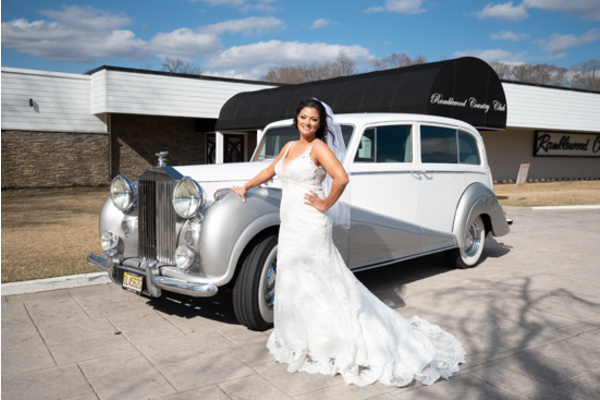 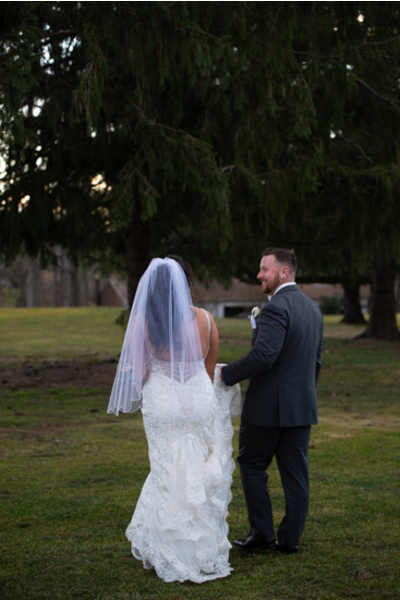 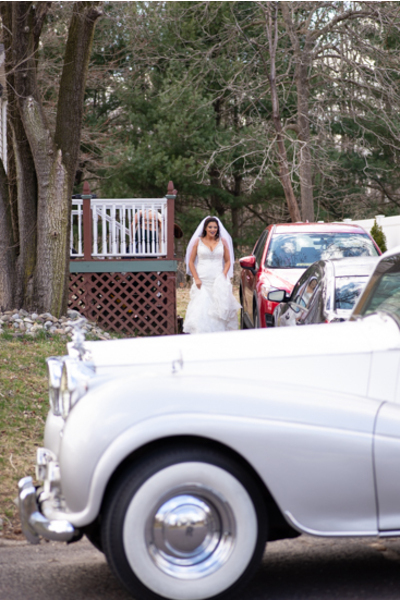 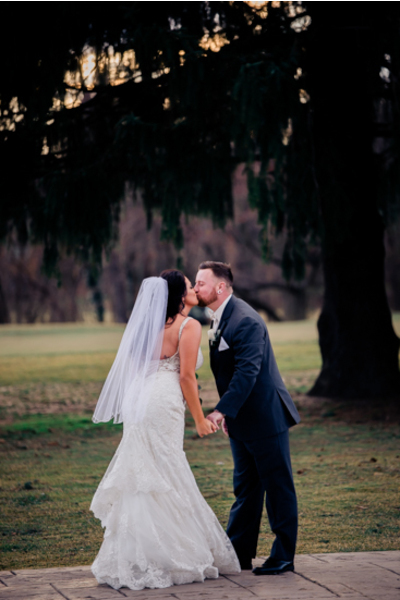 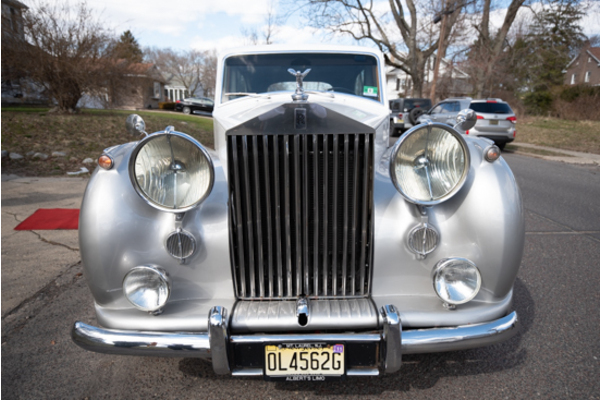 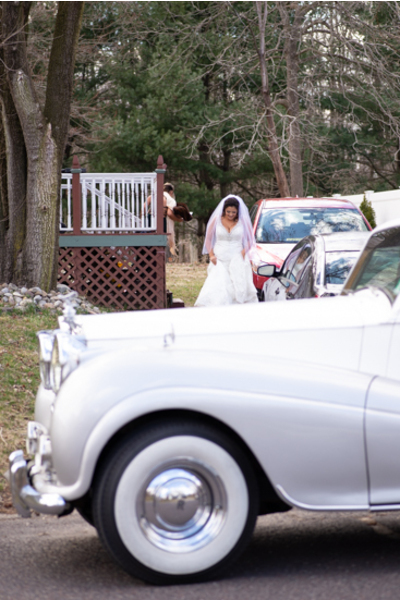 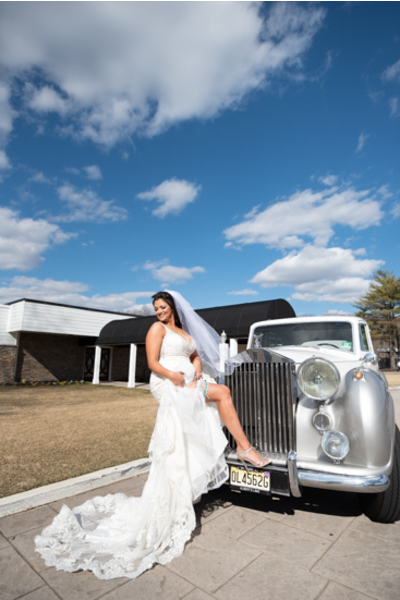 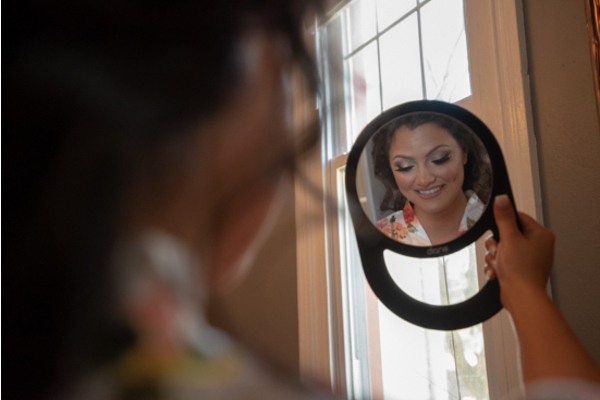 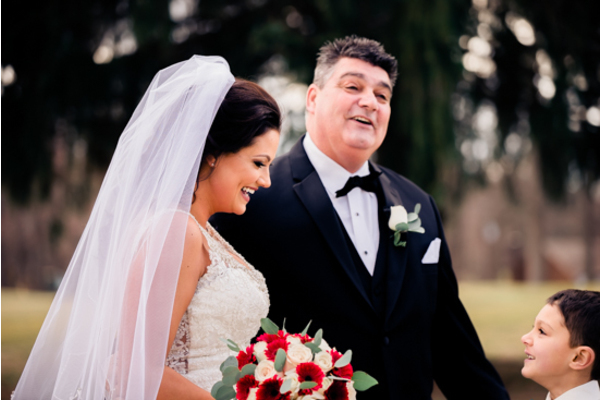 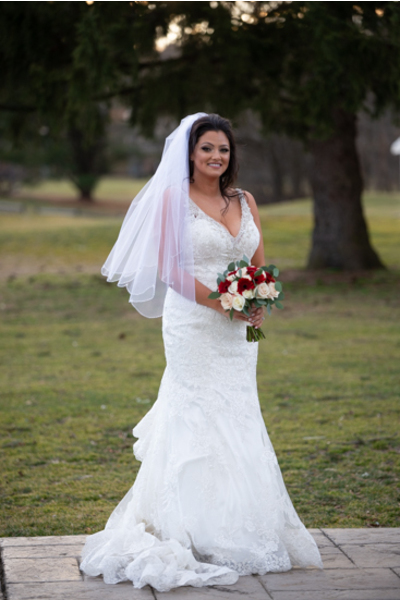 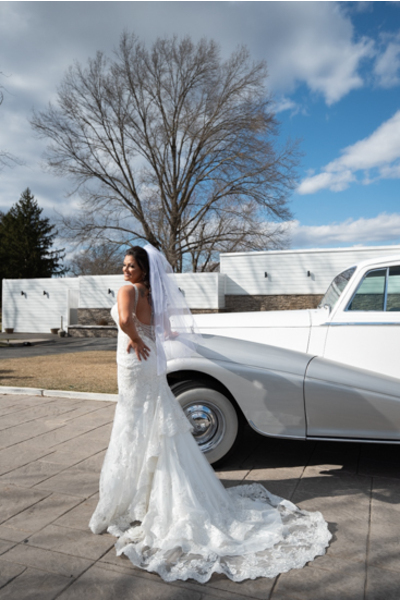 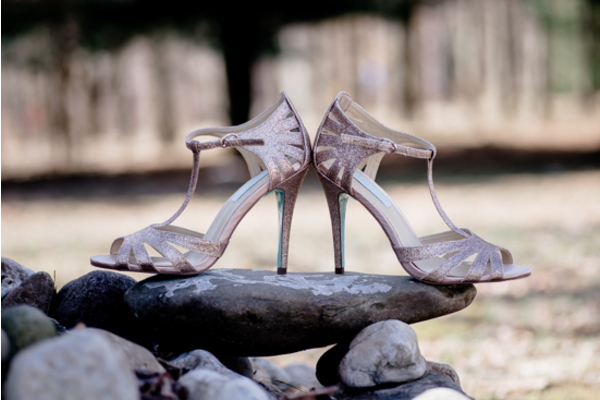 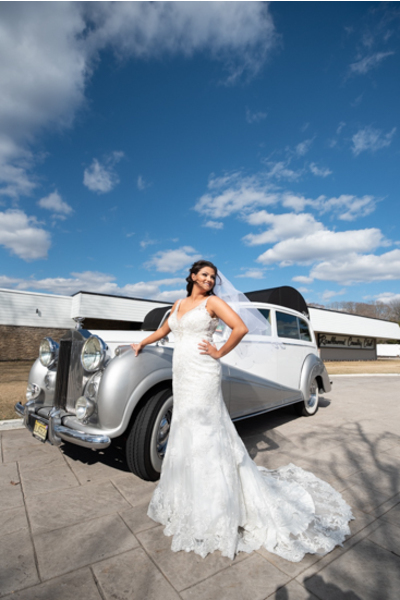 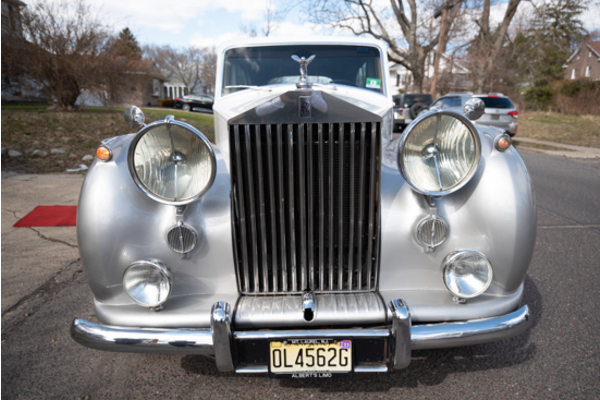 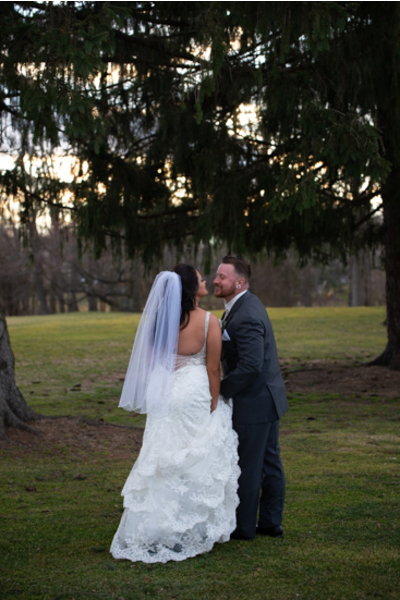 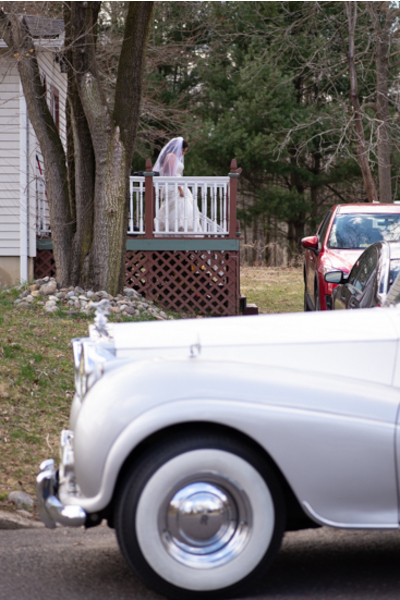 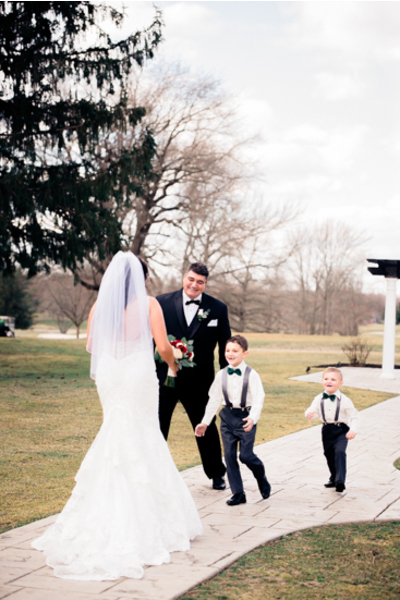 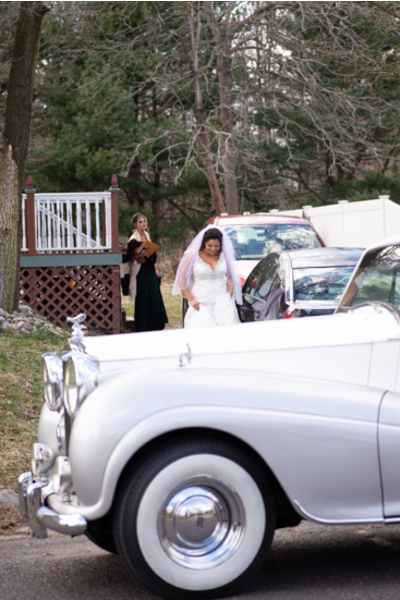 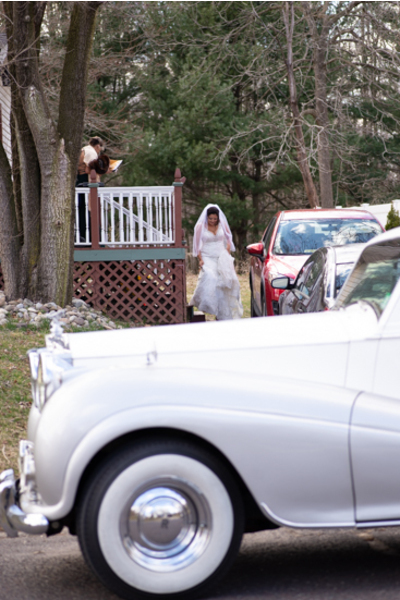 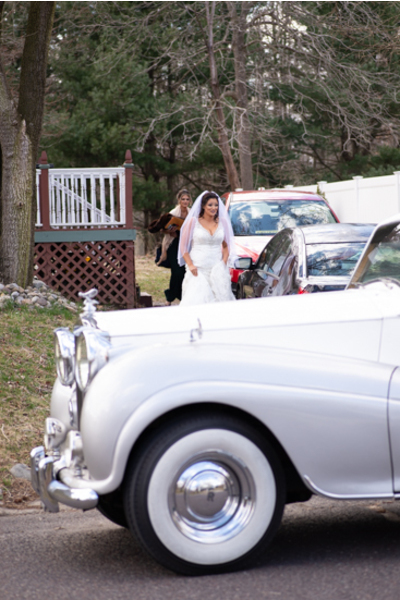 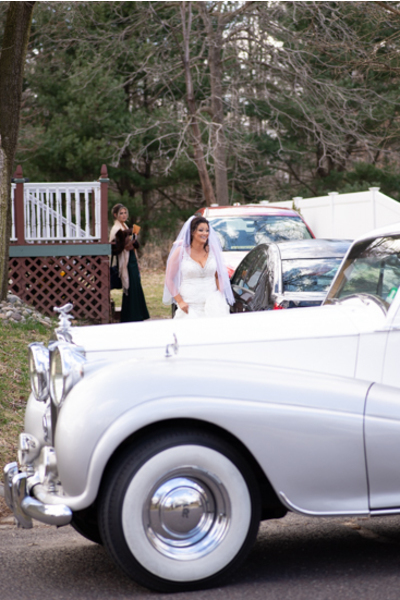 After Danielle and Dan were ready to go, our NJ Wedding Photographer met up with them outdoors for stunning portraits. 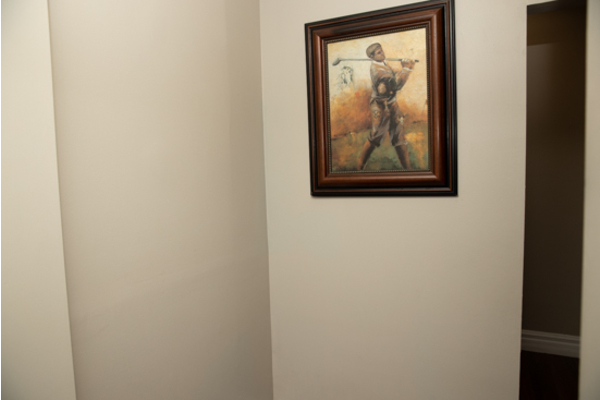 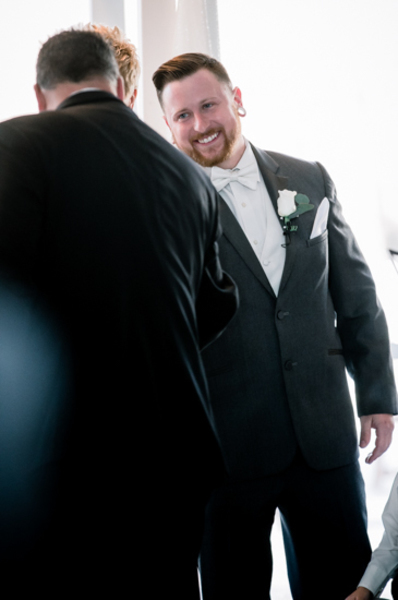 During their portrait session, Dan could not stop smiling at his princess. 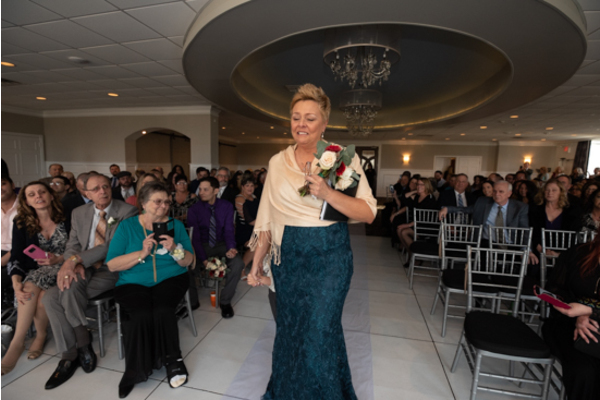 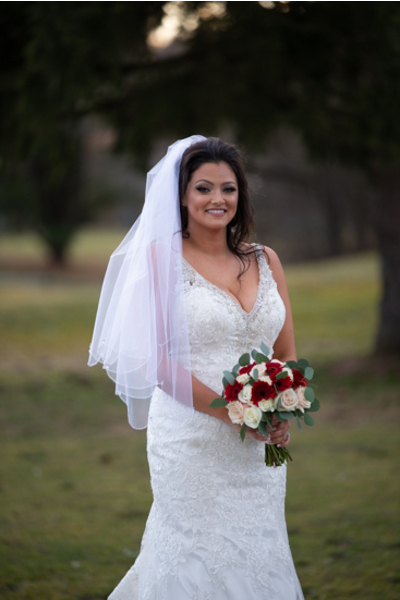 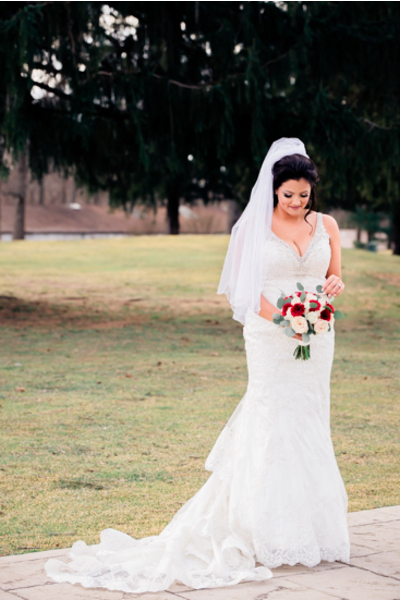 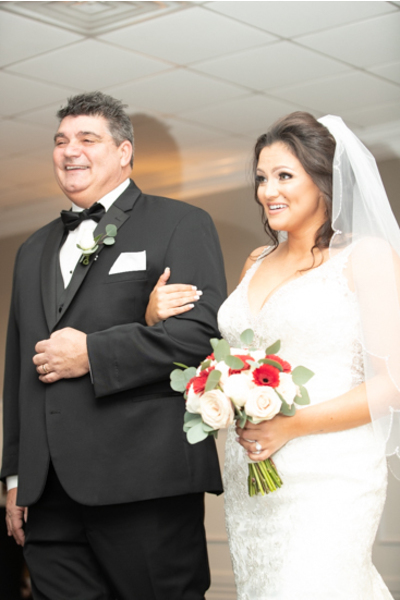 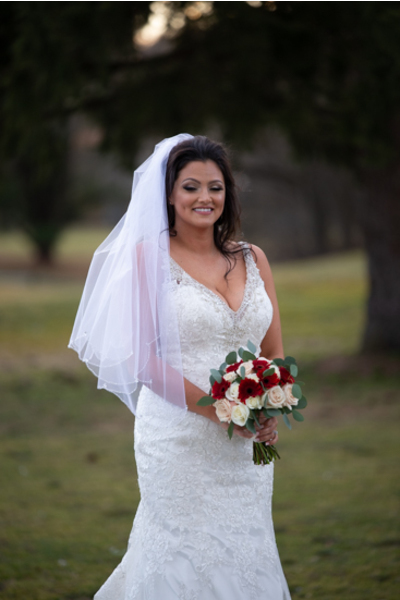 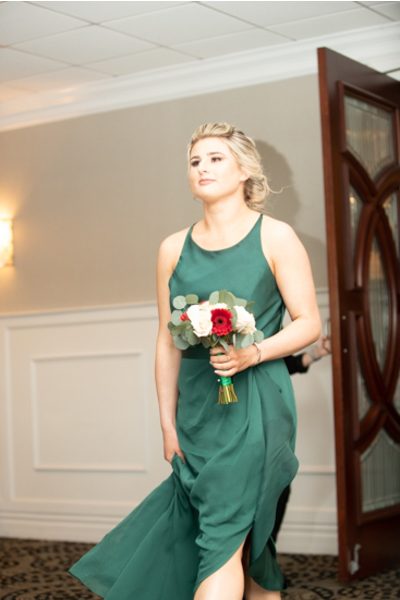 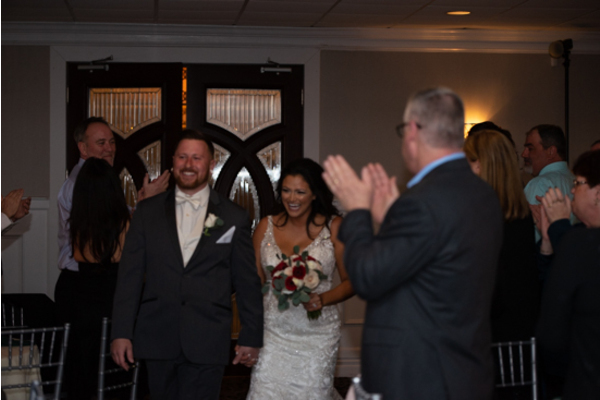 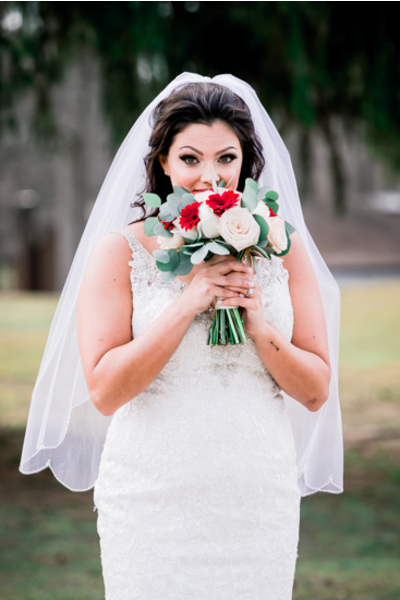 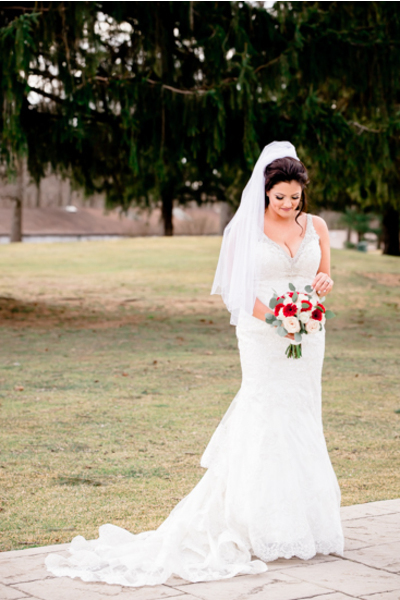 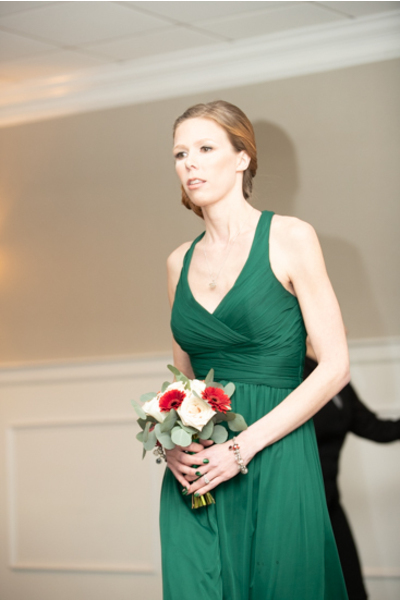 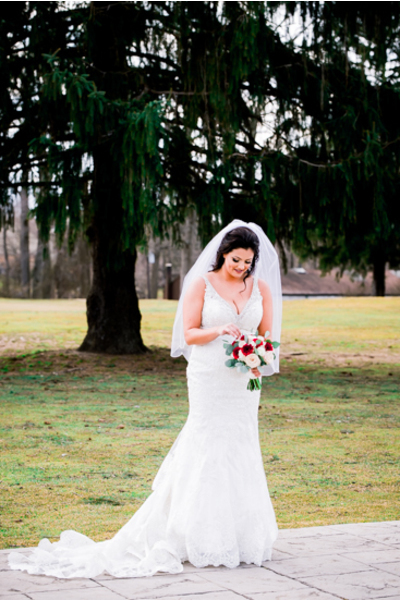 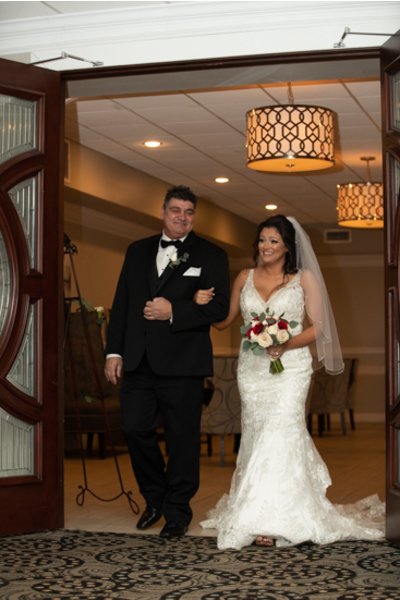 With her red and white rose bouquet in hand, she was so excited to show off her wedding day whites to Dan! 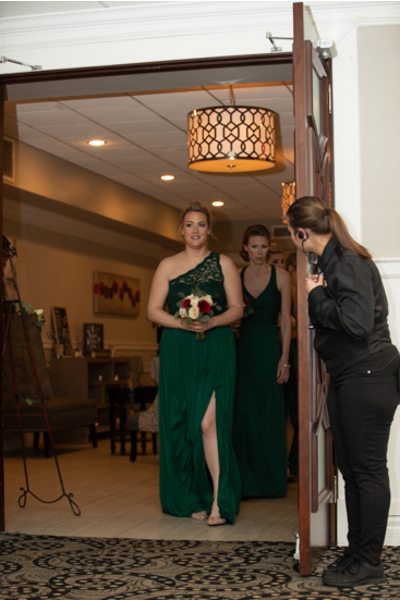 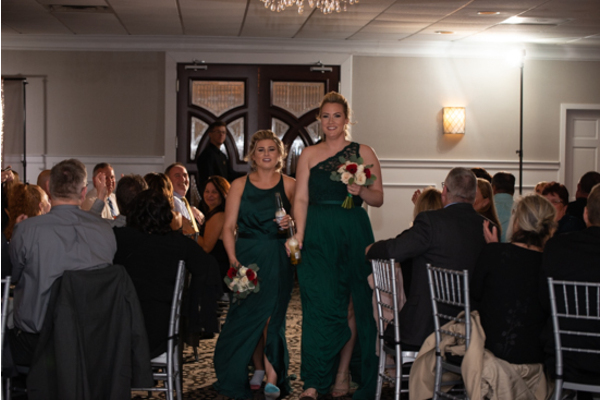 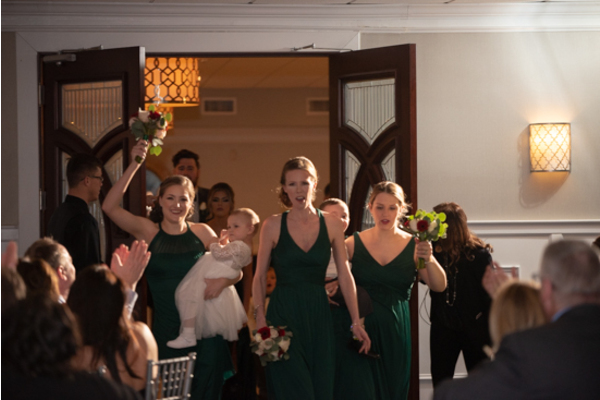 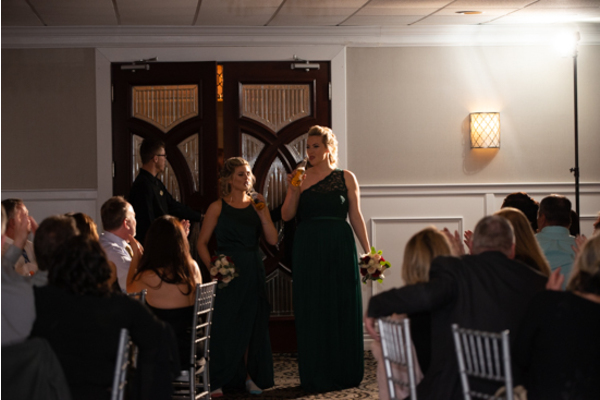 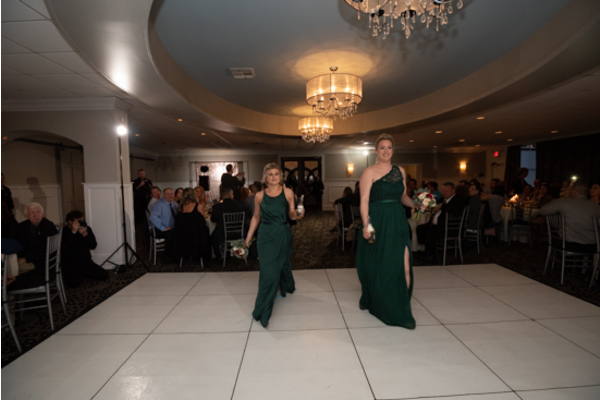 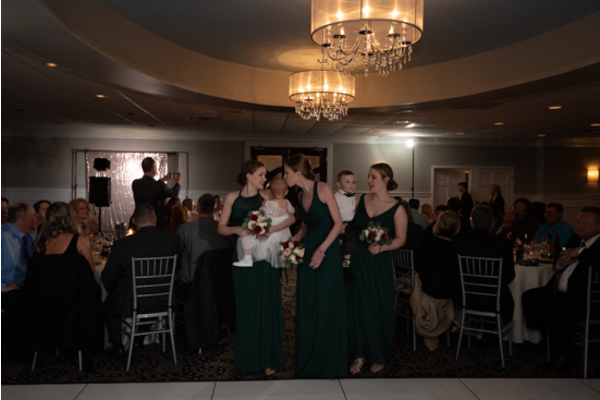 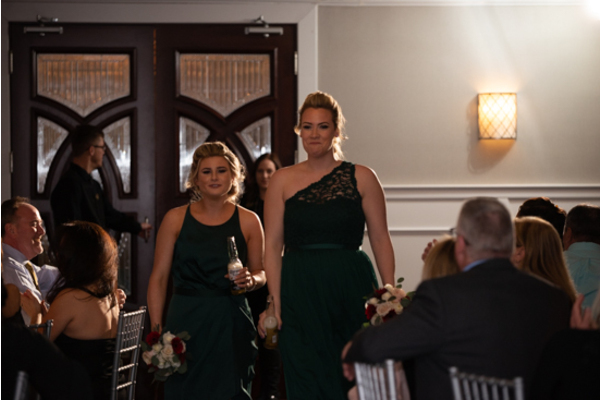 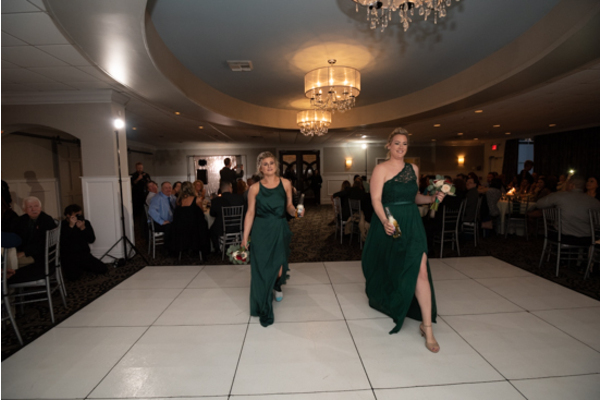 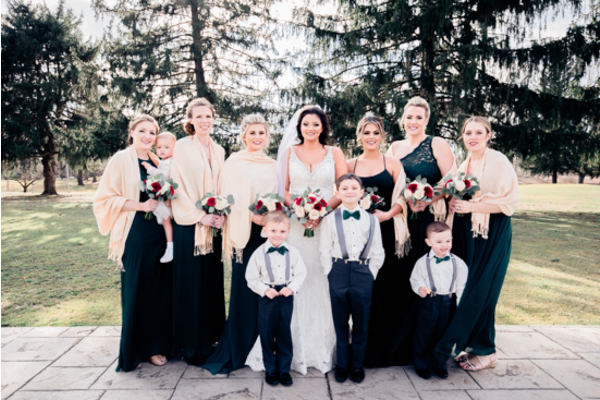 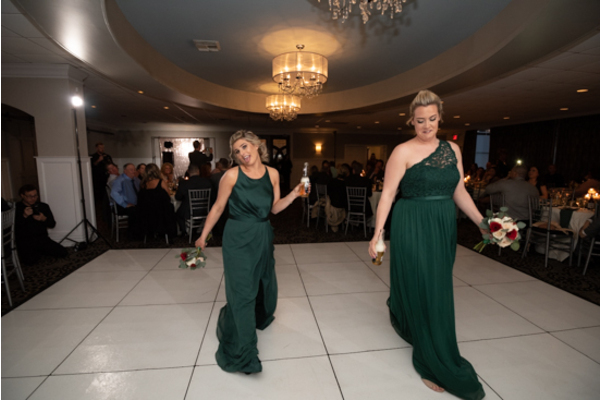 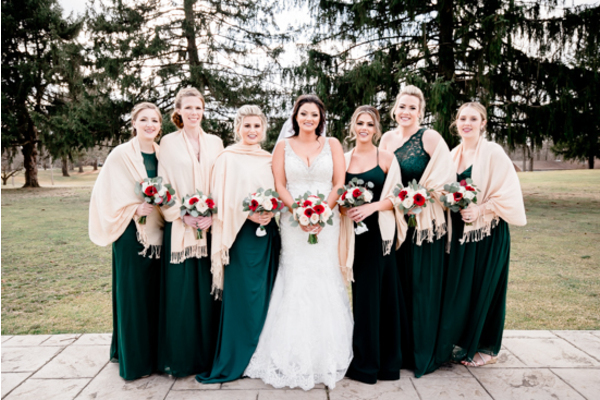 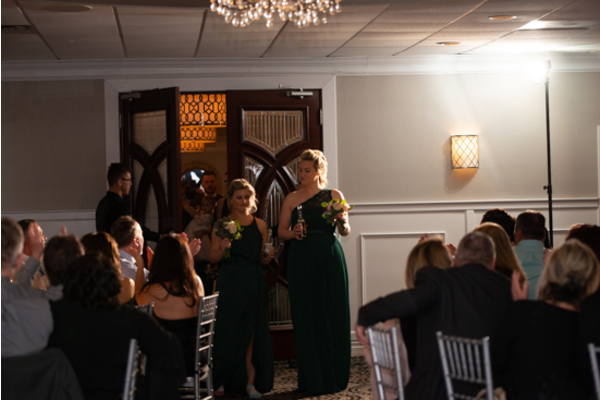 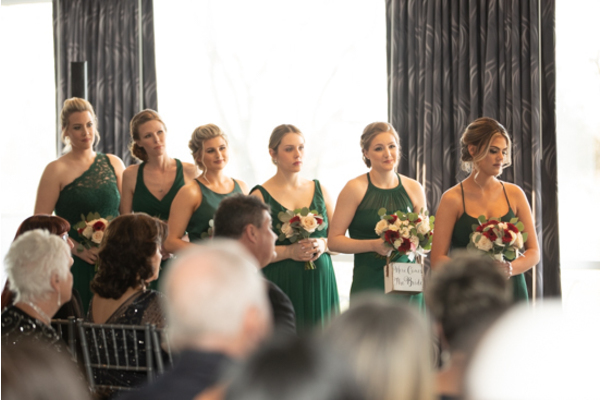 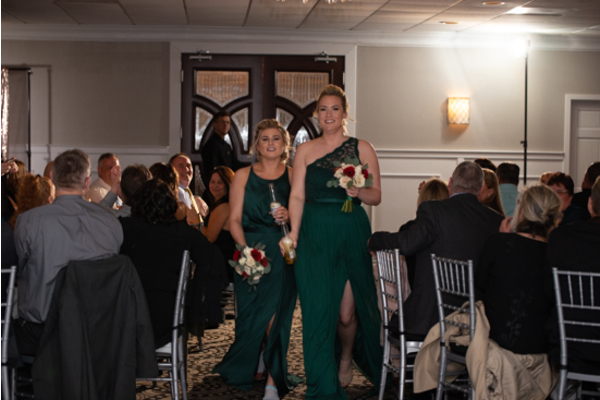 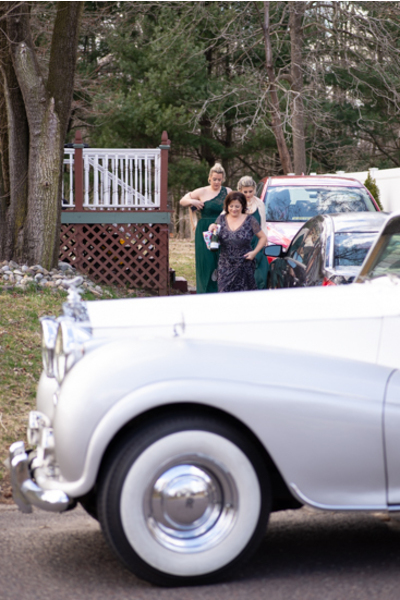 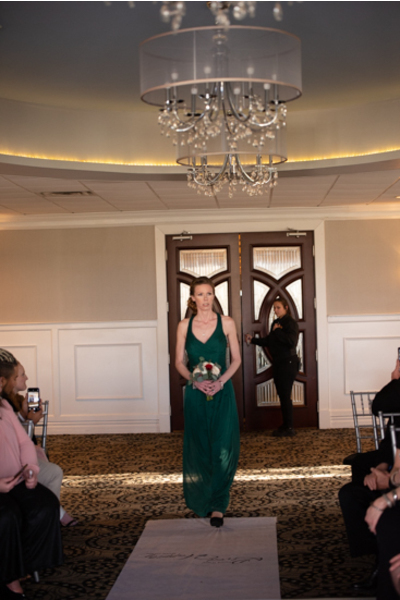 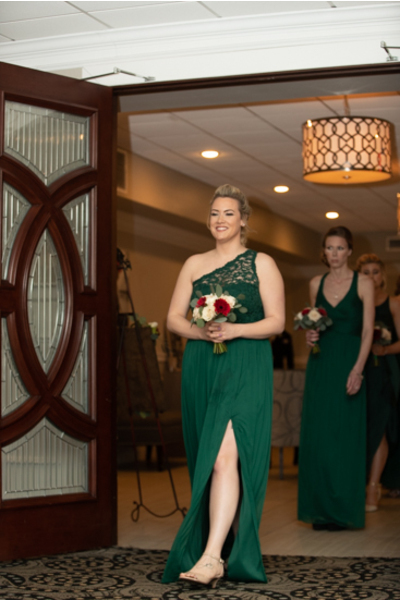 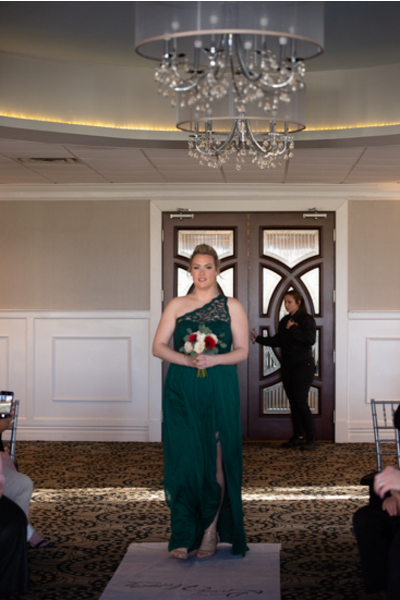 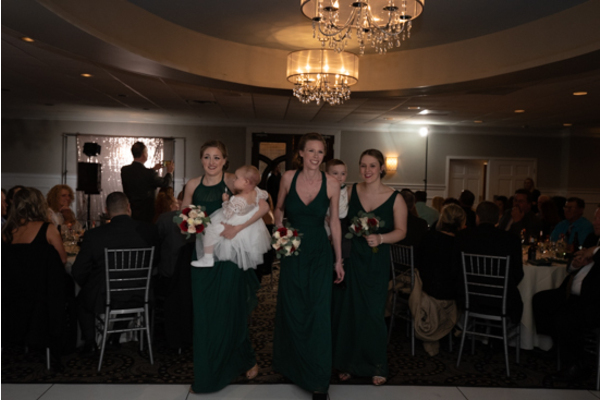 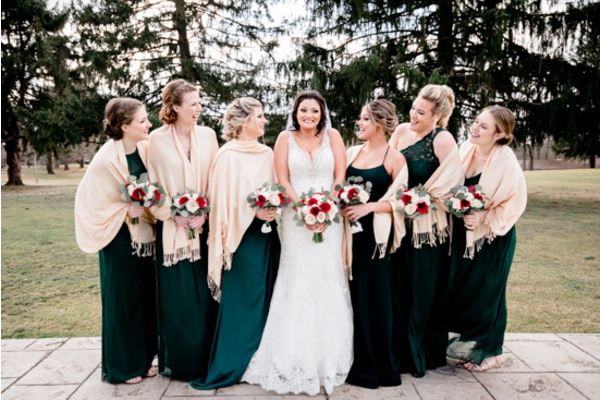 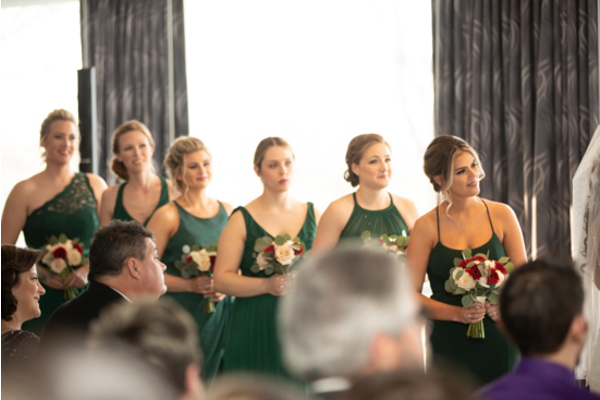 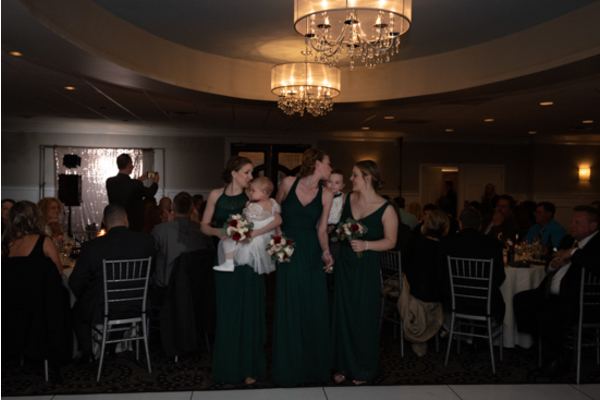 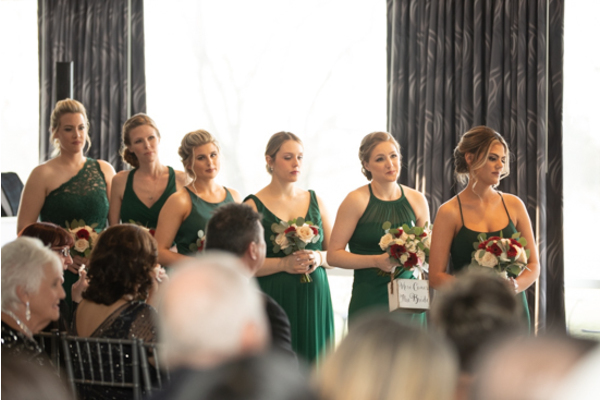 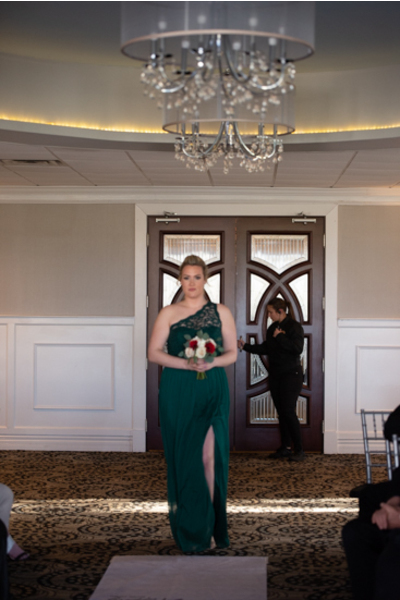 Later, her bridesmaids joined for photos in their emerald colored gowns. 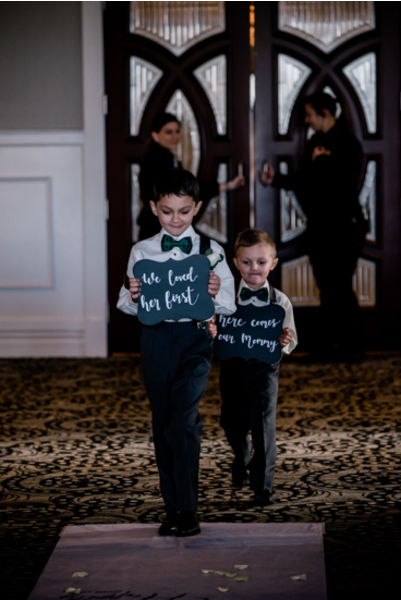 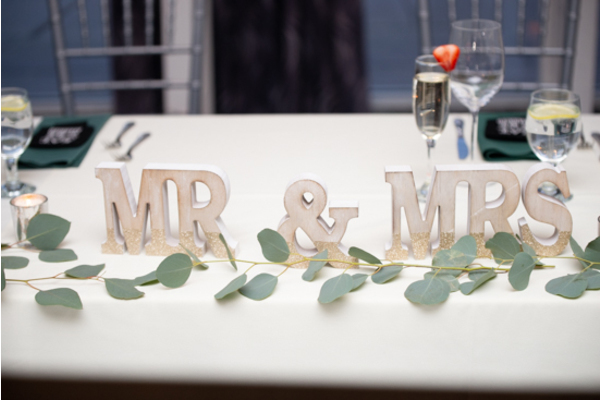 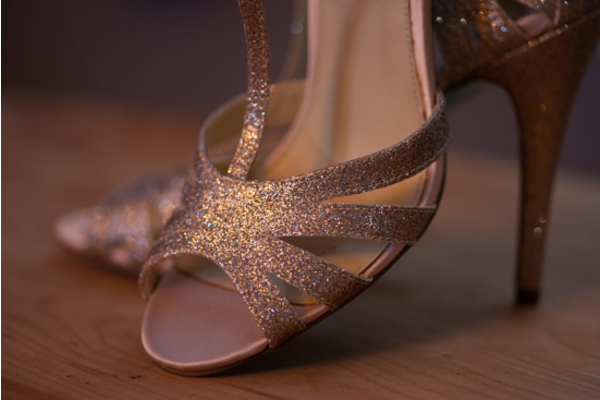 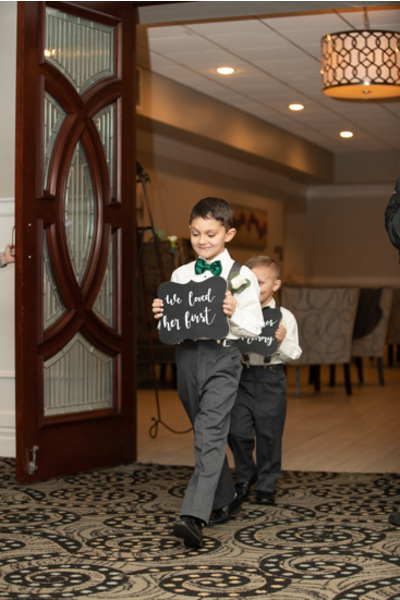 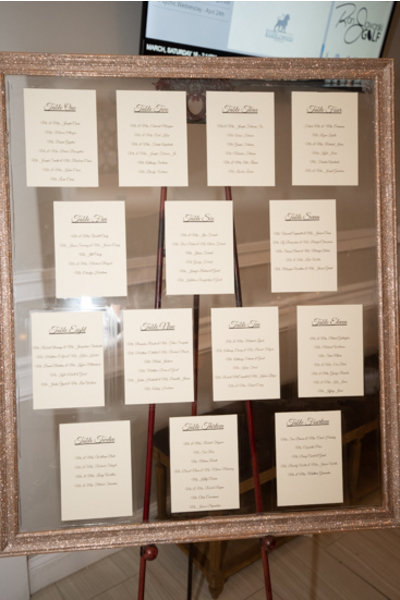 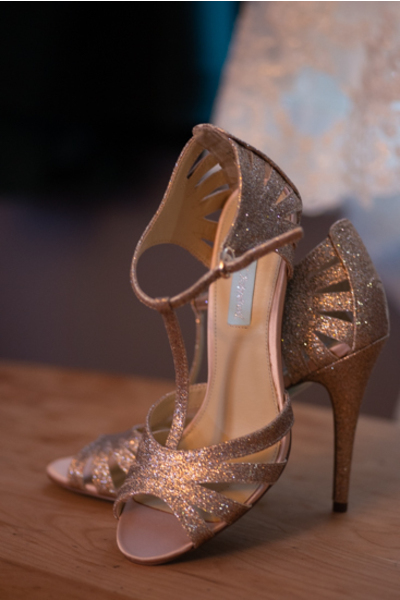 Simultaneously, guests were inside awaiting for these cutie to tie the knot! 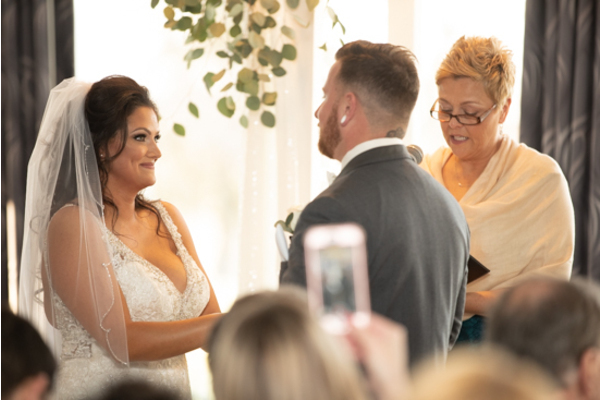 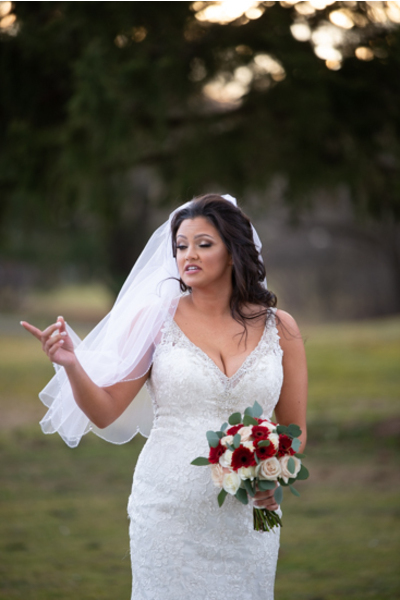 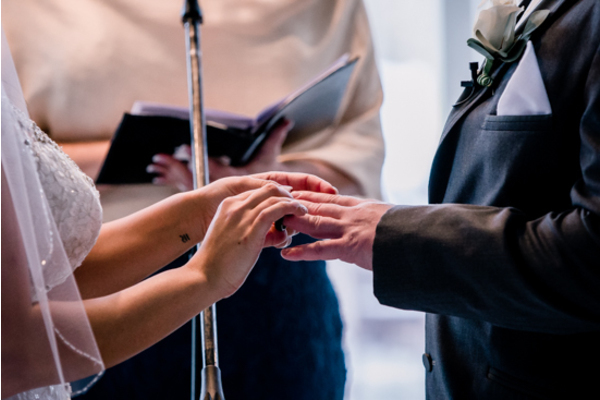 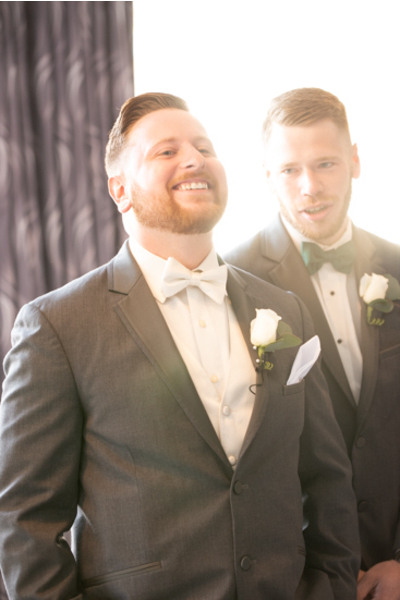 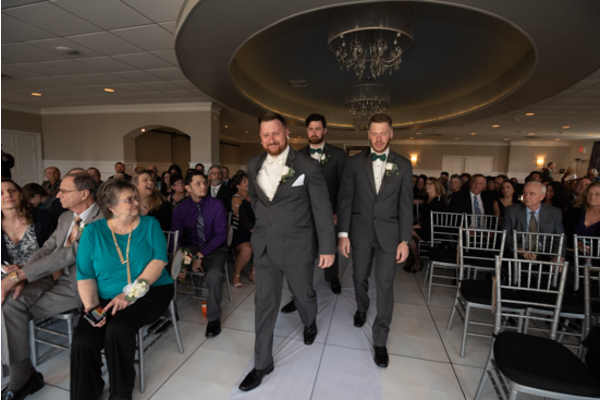 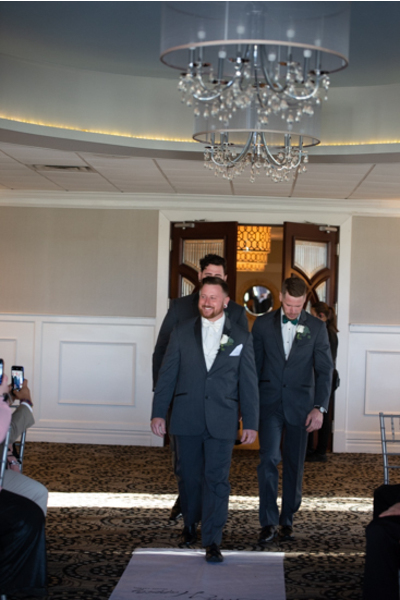 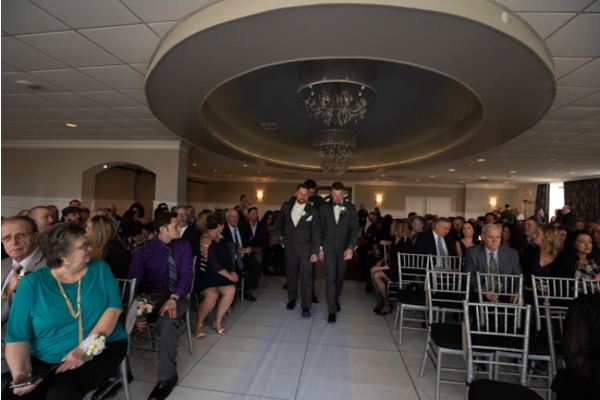 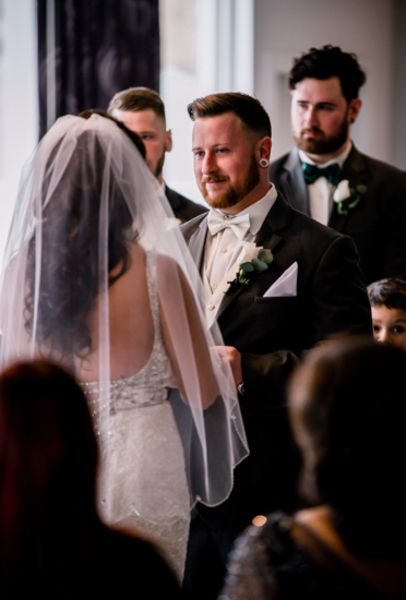 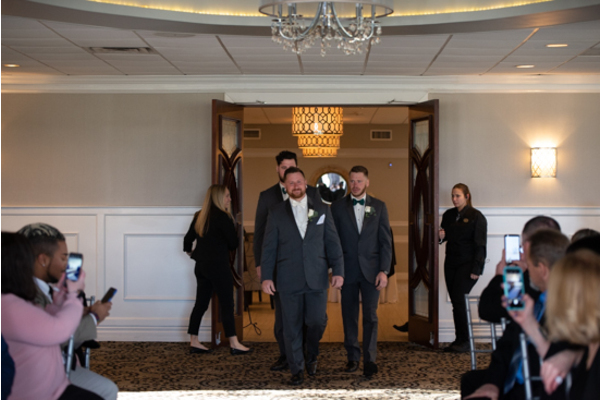 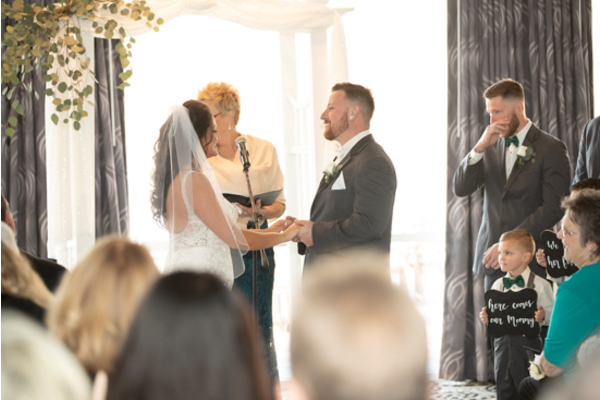 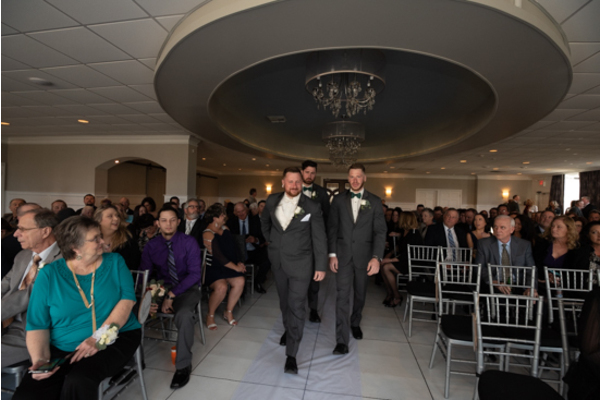 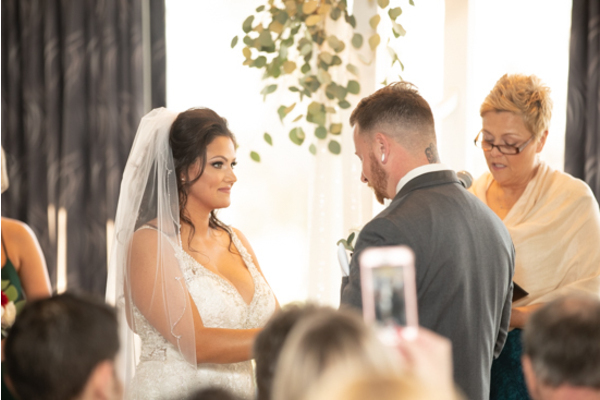 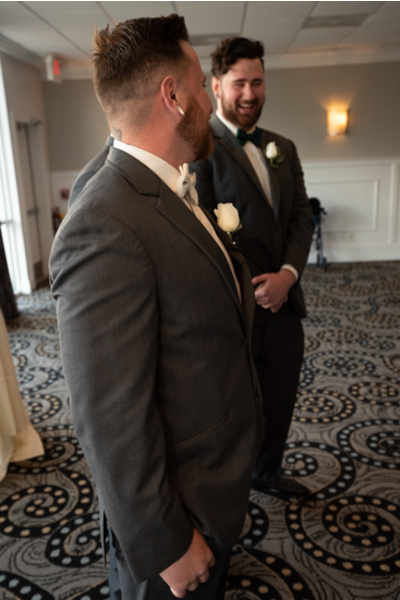 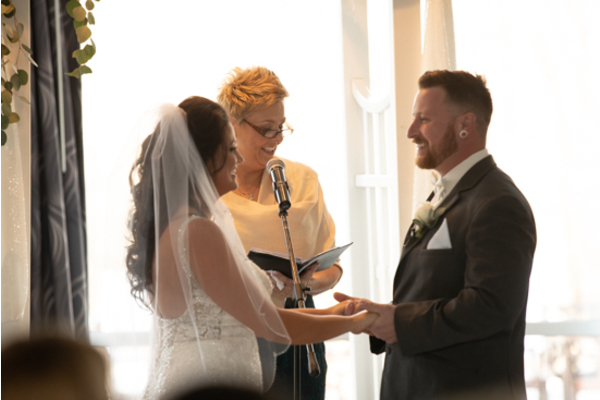 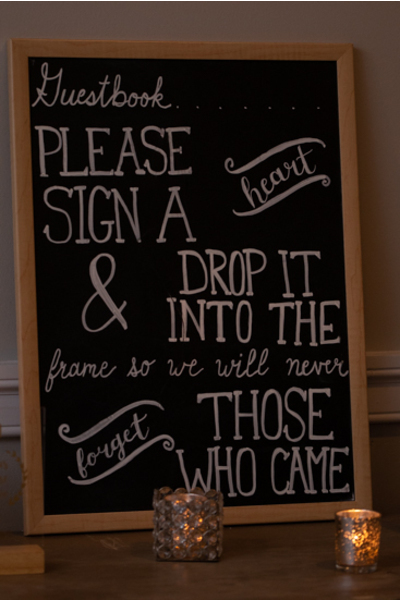 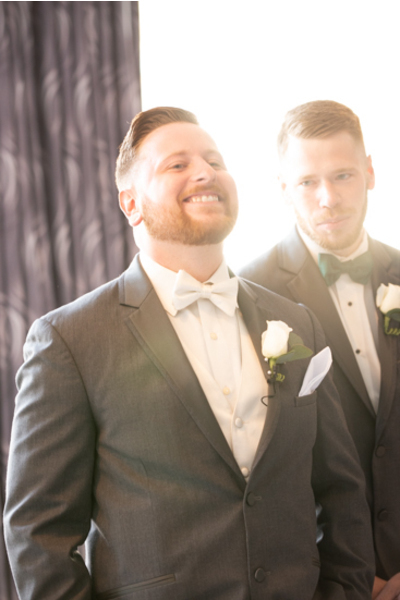 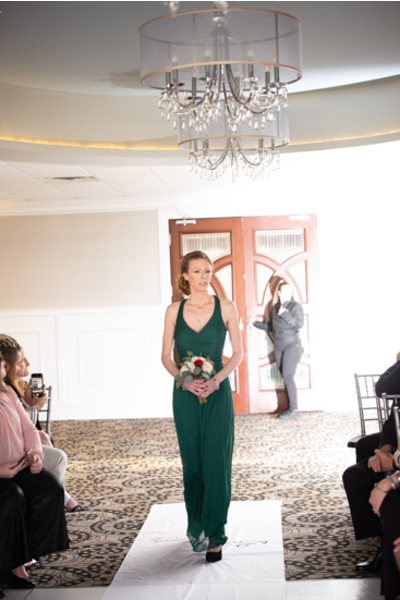 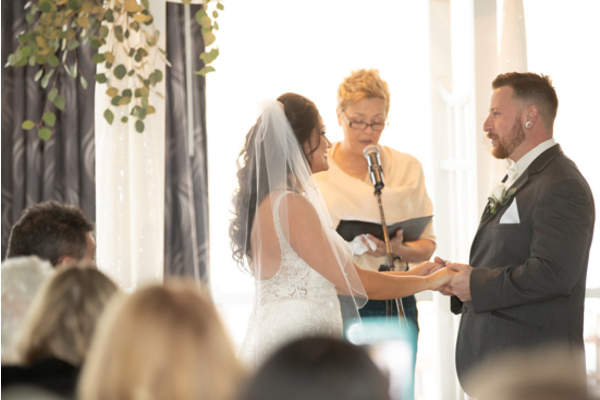 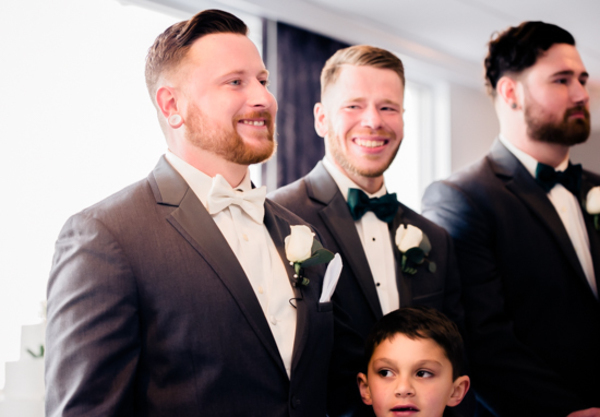 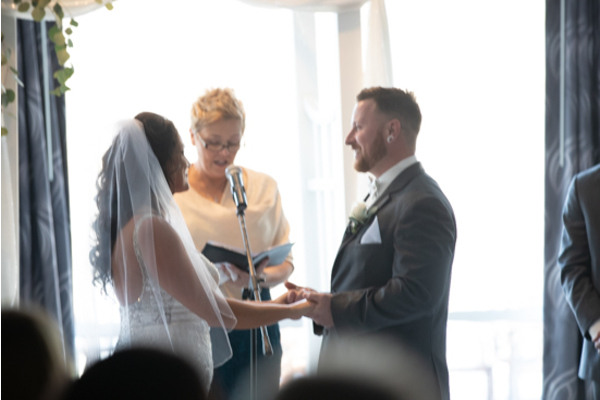 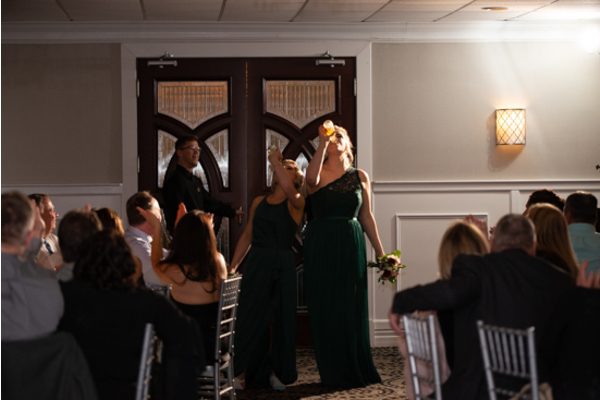 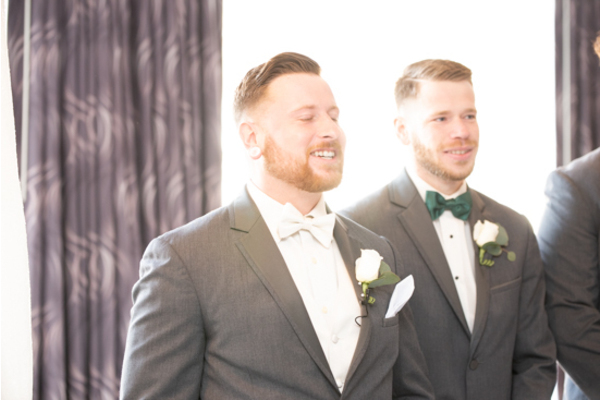 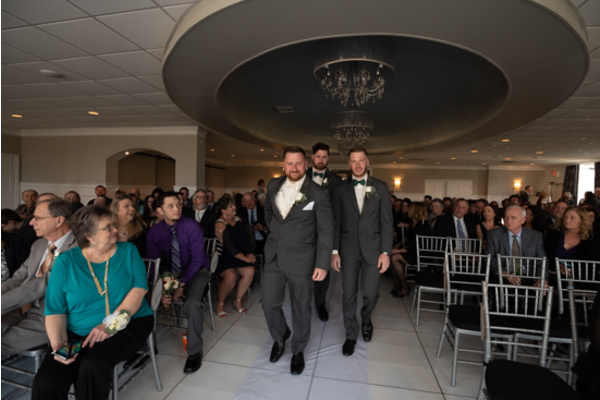 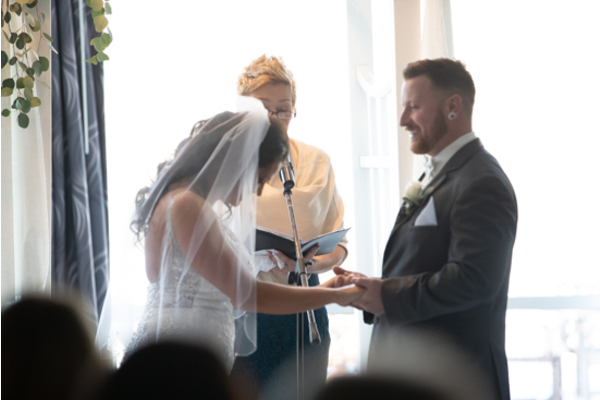 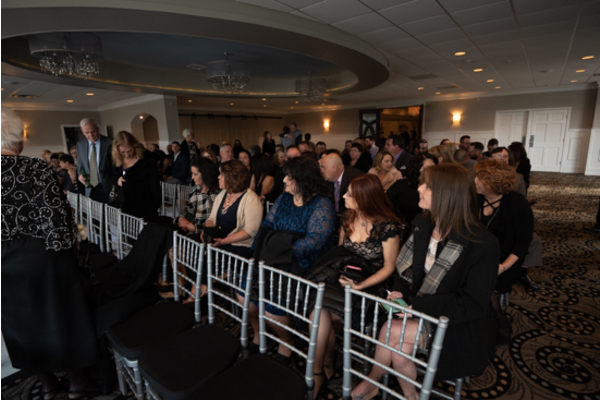 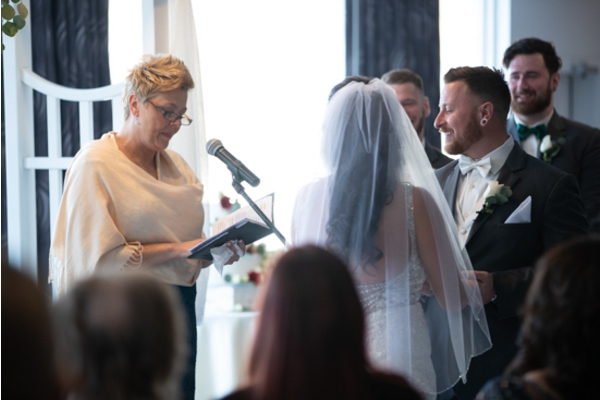 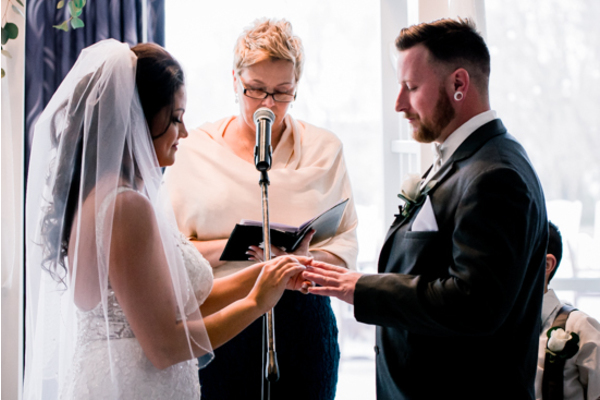 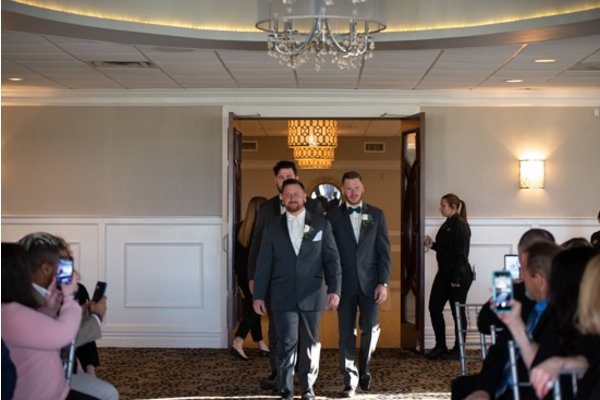 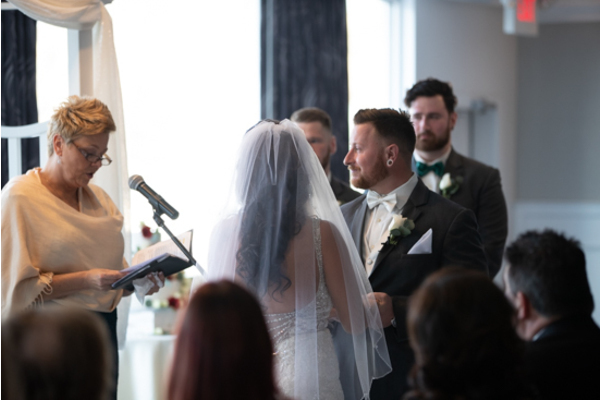 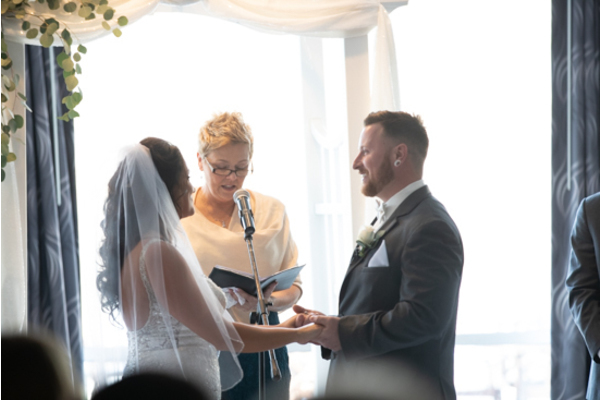 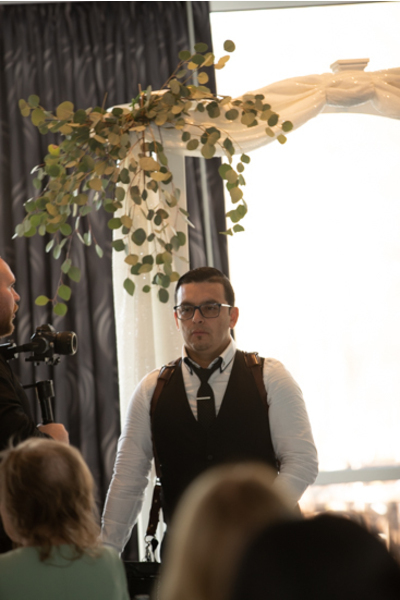 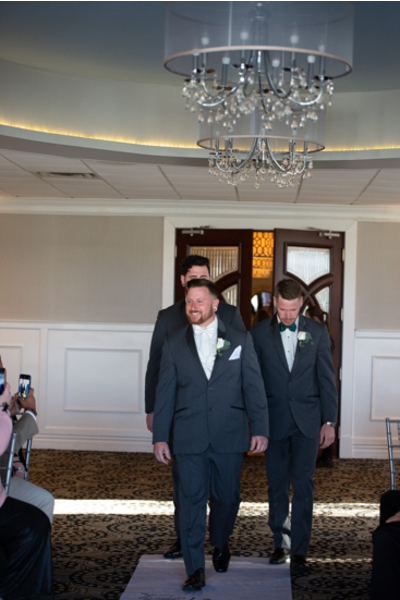 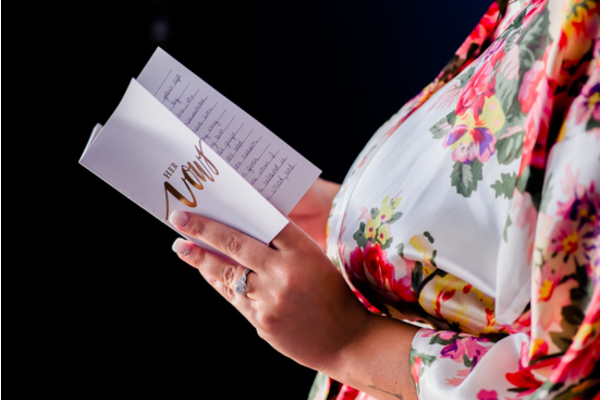 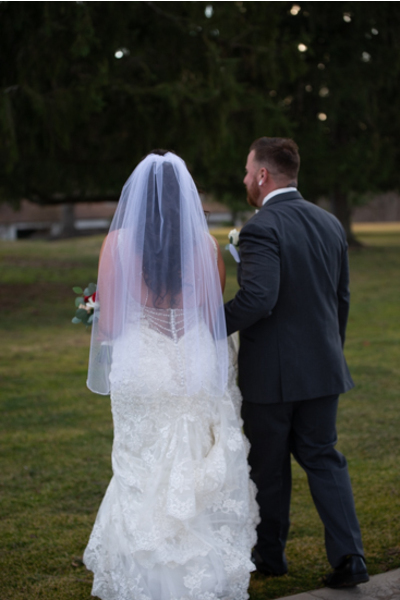 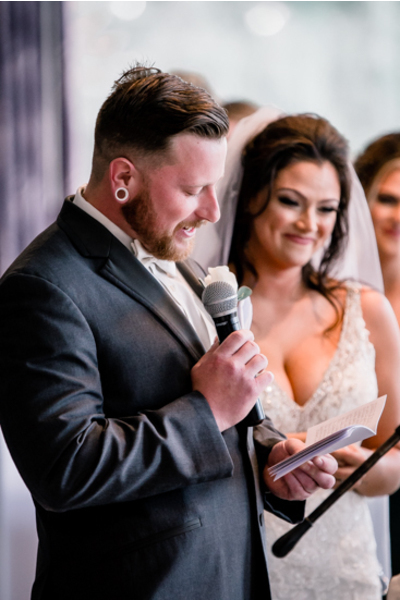 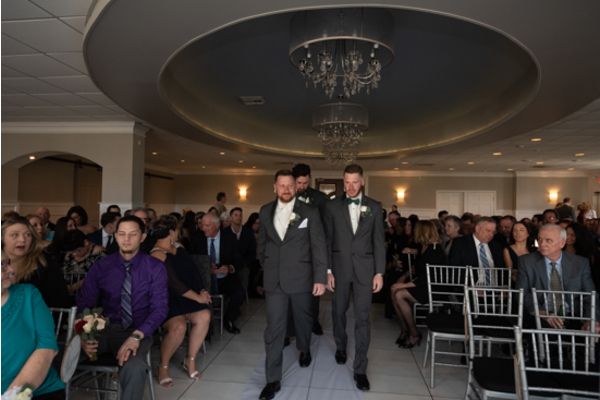 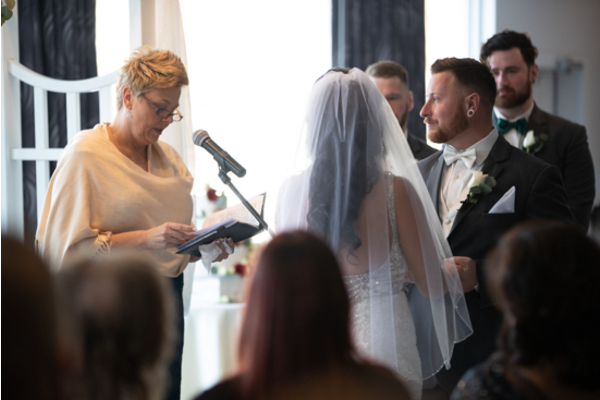 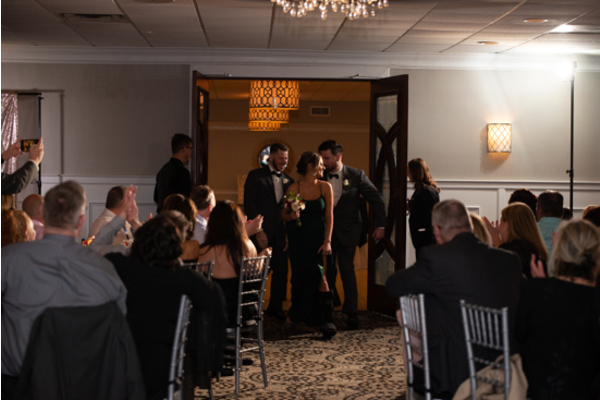 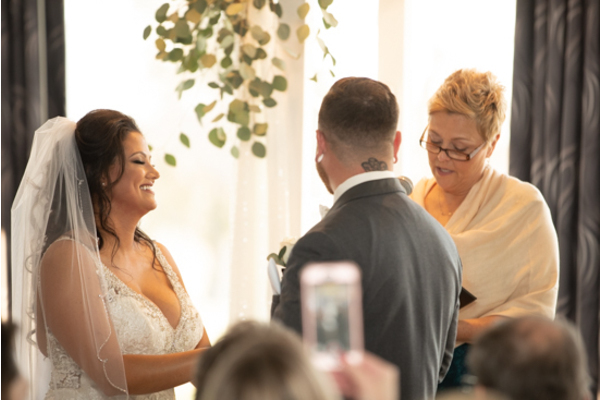 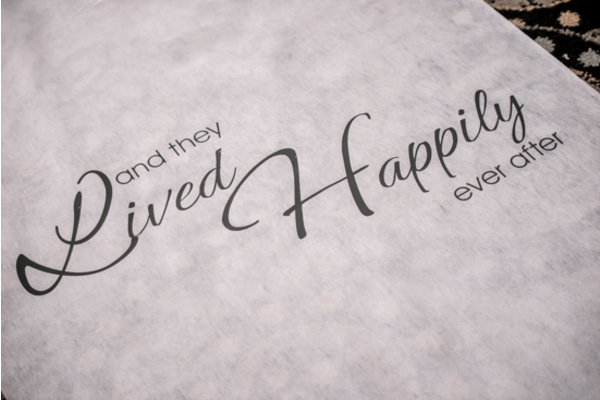 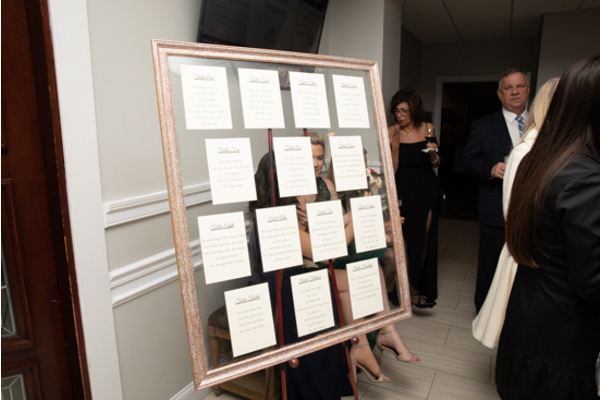 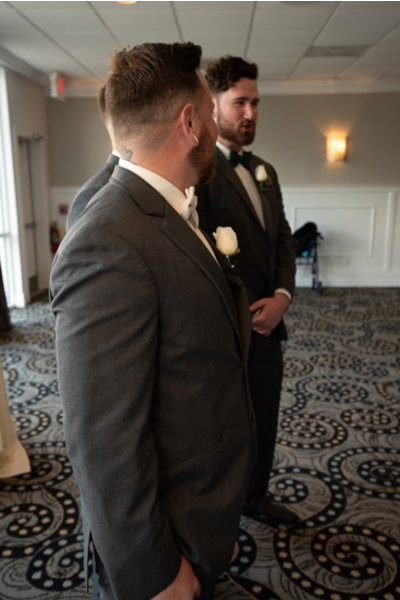 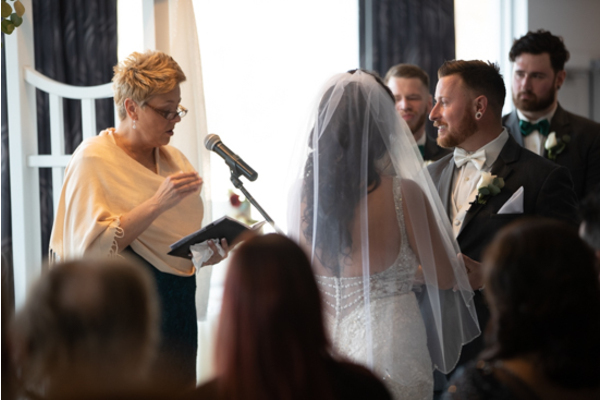 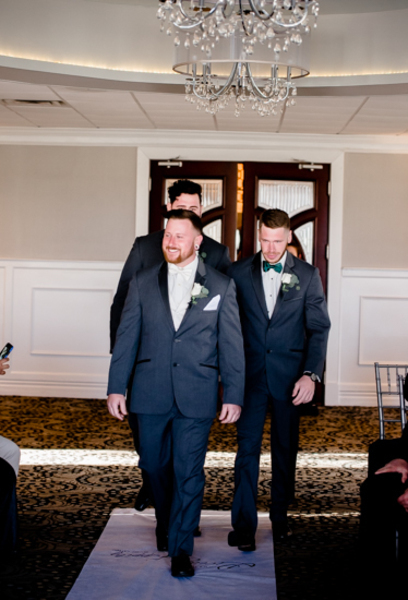 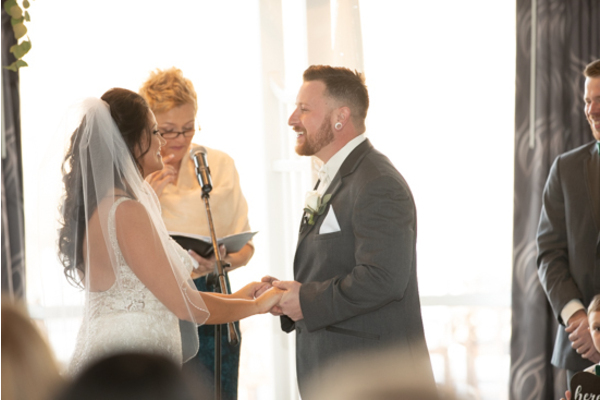 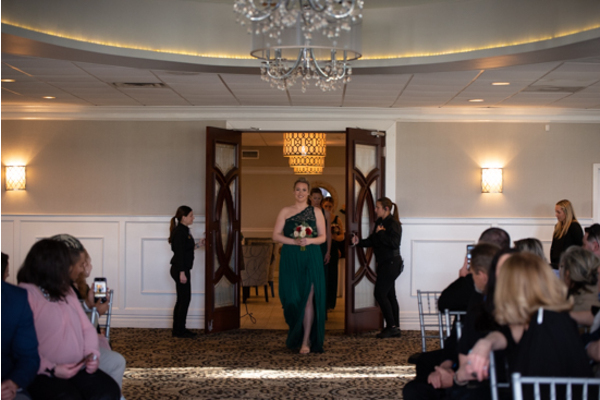 Our NJ Wedding Videographer recorded every word spoken of their vows so perfectly. 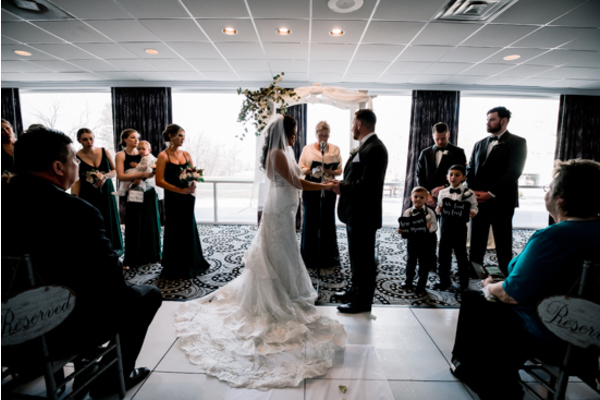 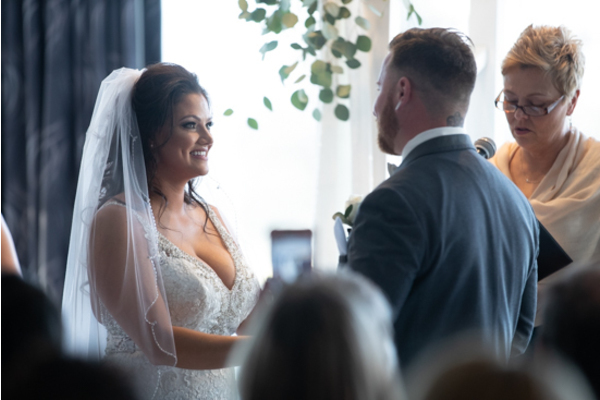 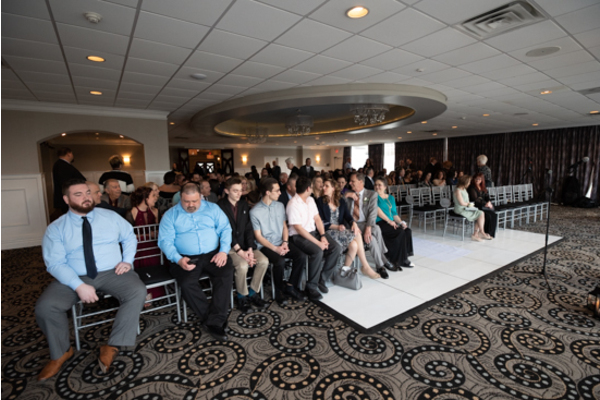 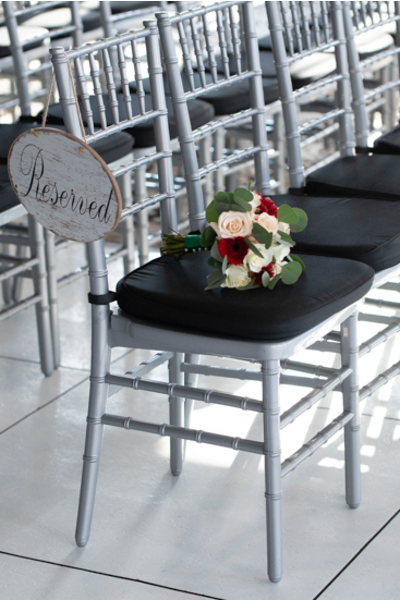 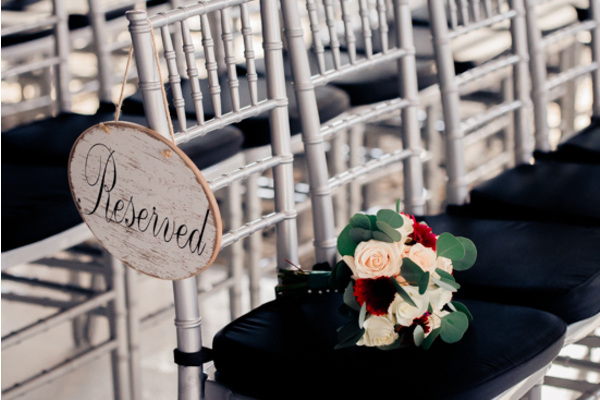 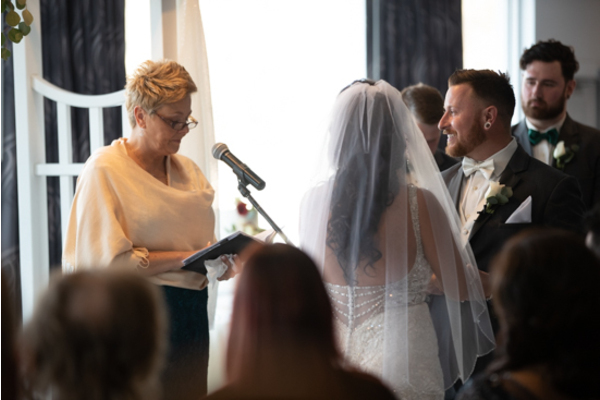 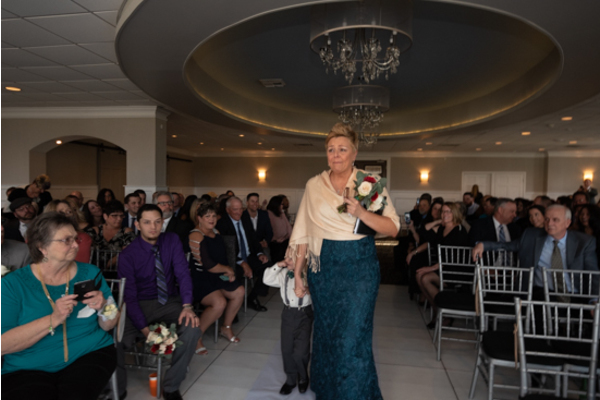 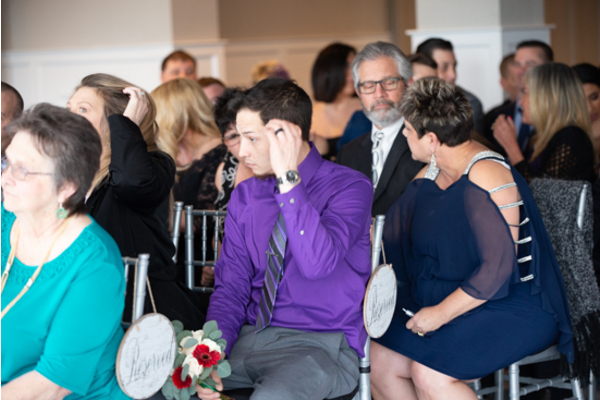 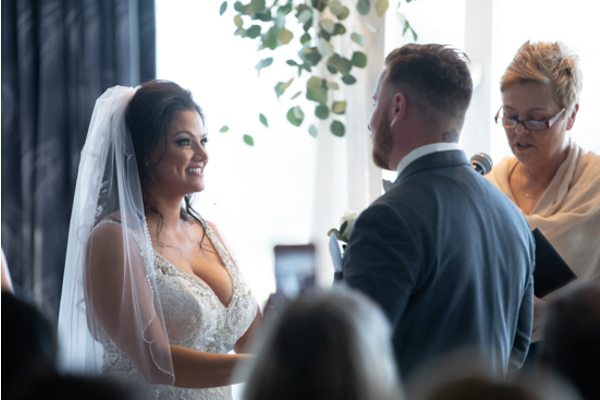 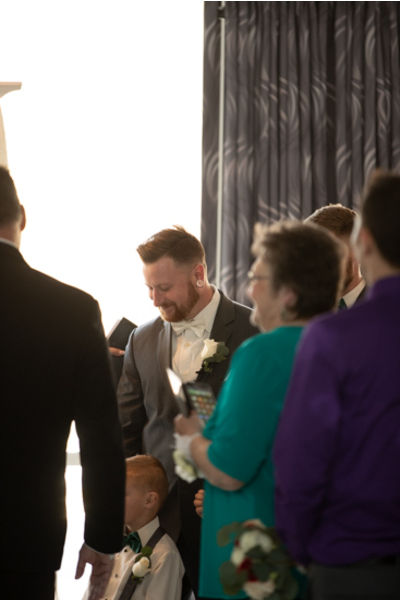 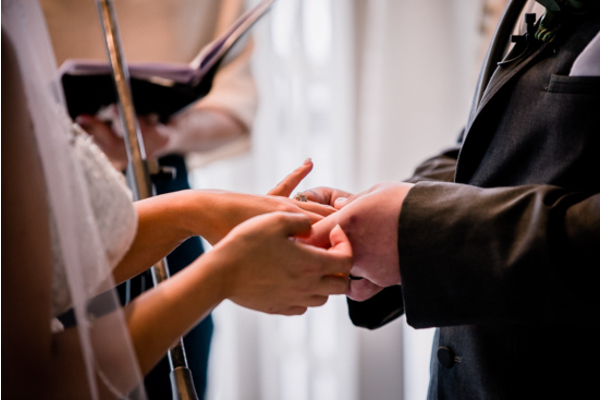 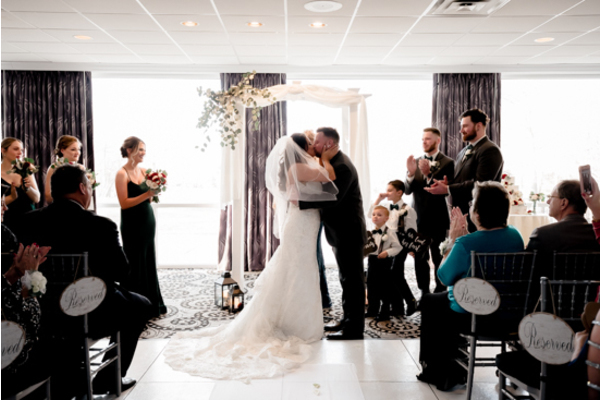 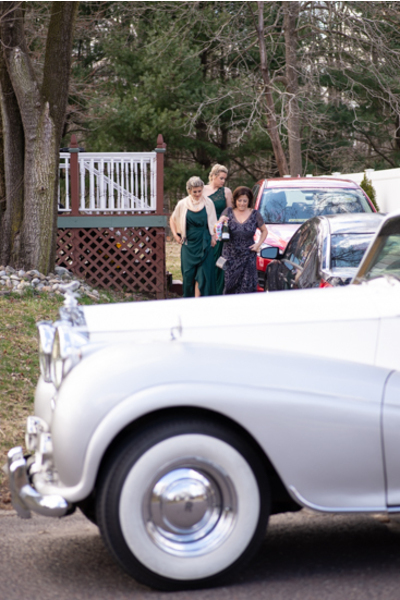 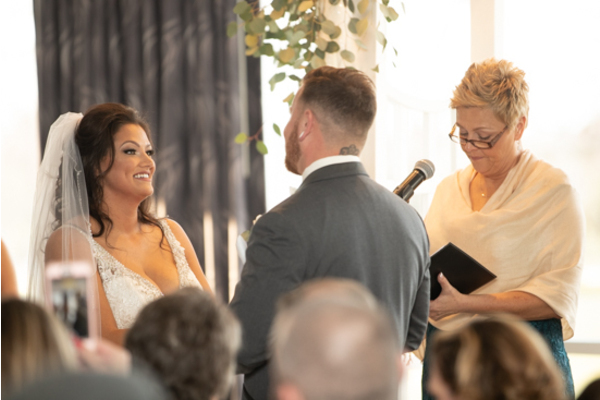 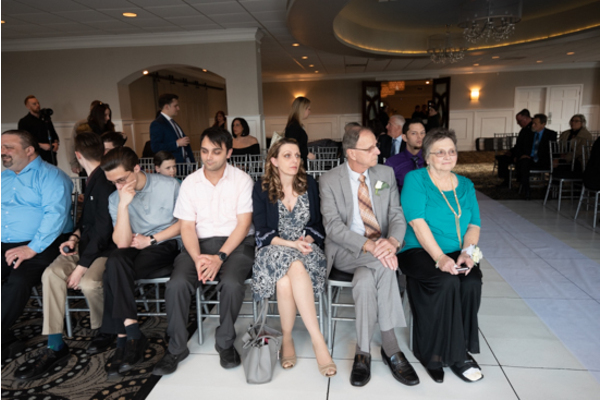 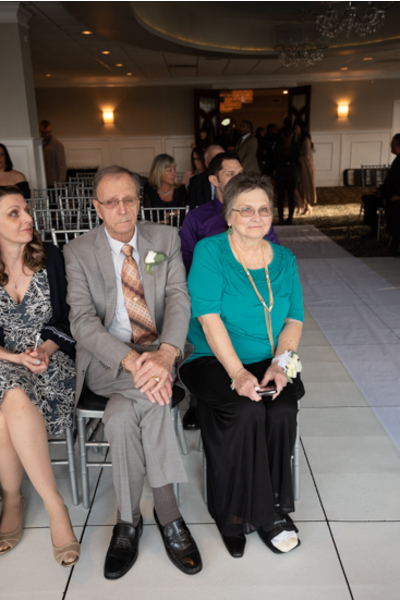 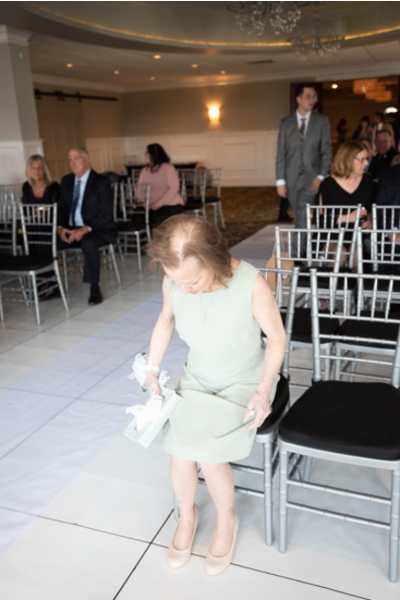 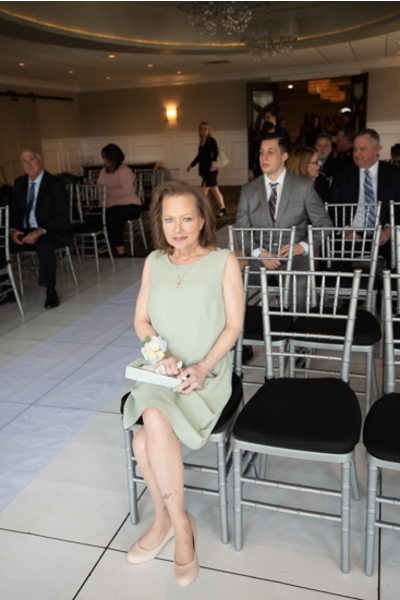 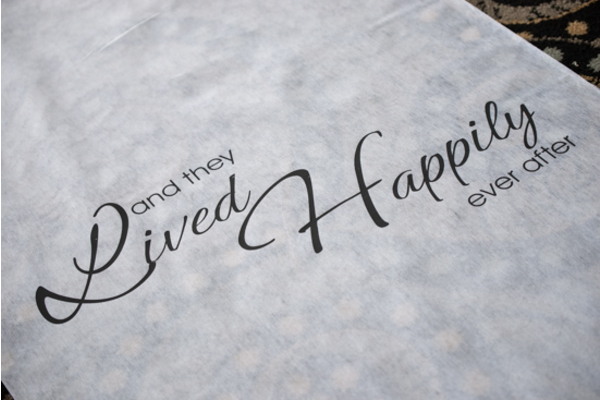 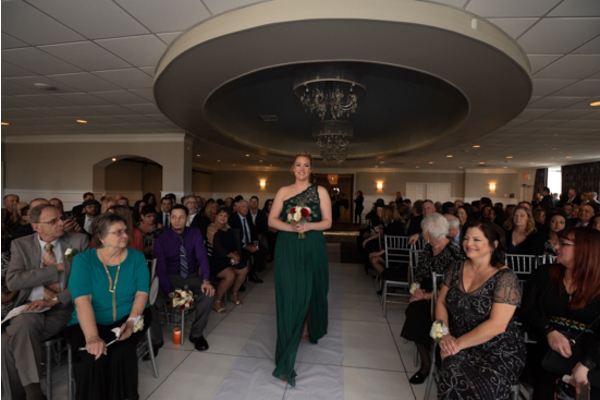 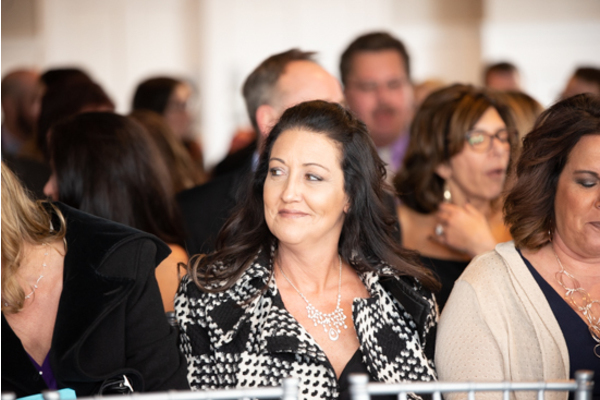 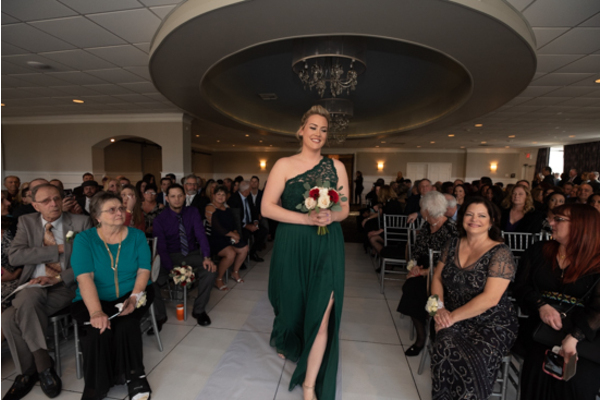 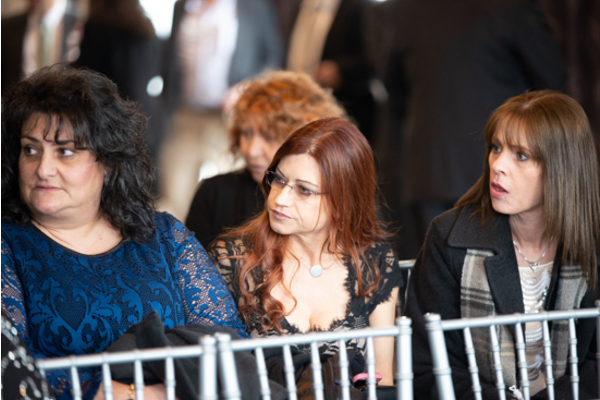 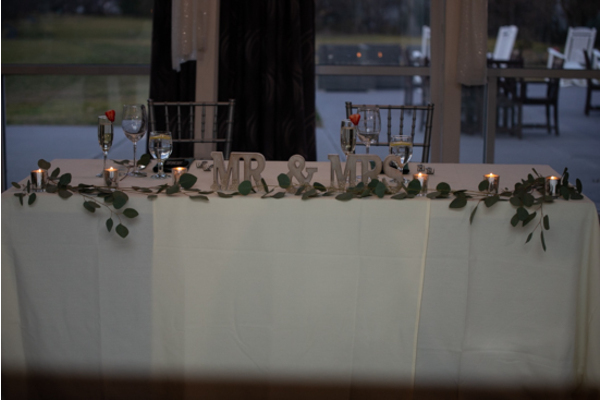 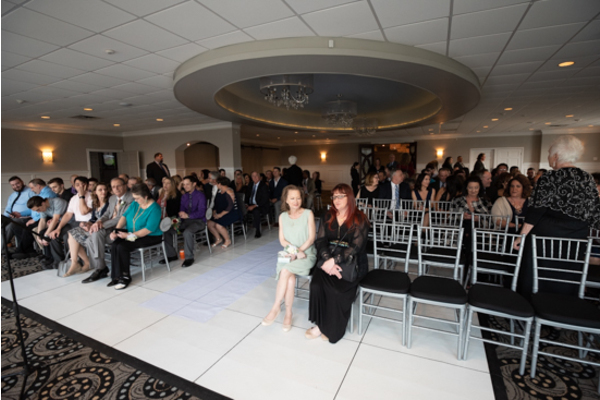 Loved ones rose to their seats once the couple was officially husband and wife. 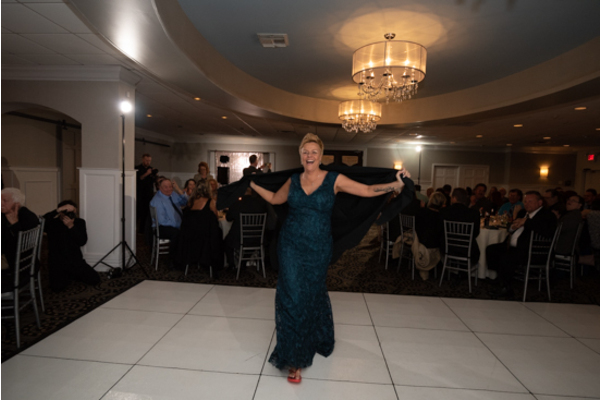 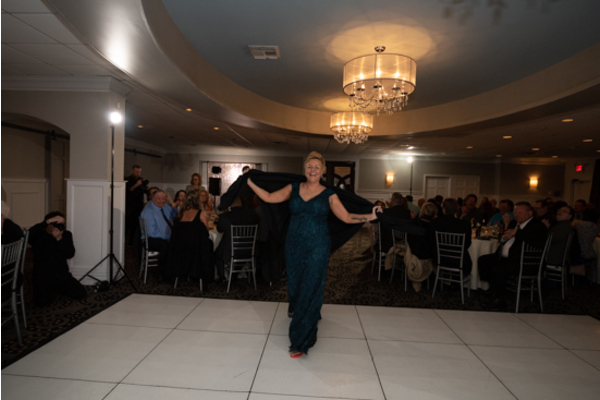 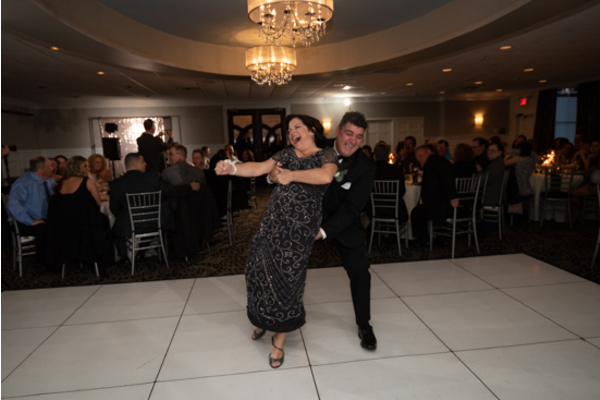 Of course, the fun wedding night was surely just beginning! 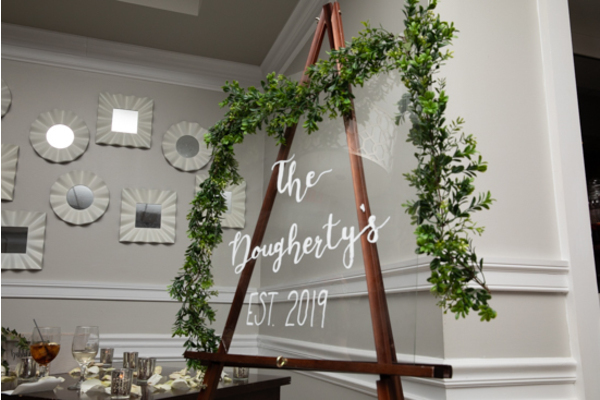 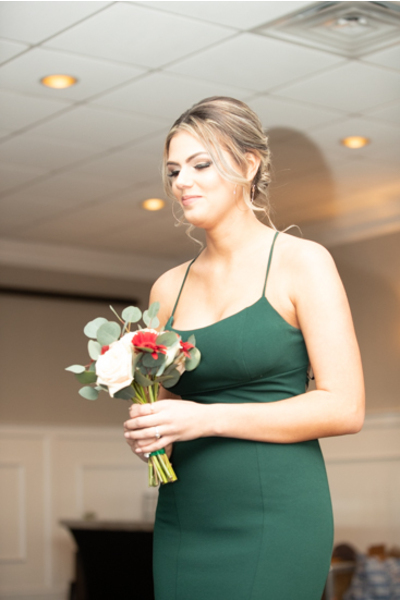 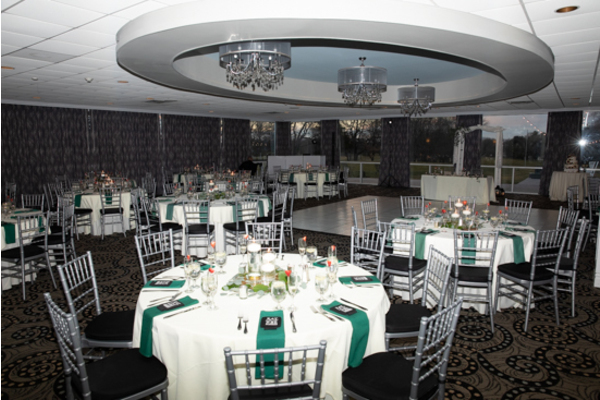 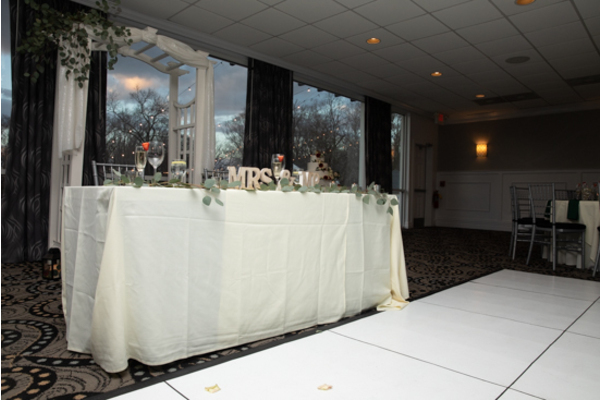 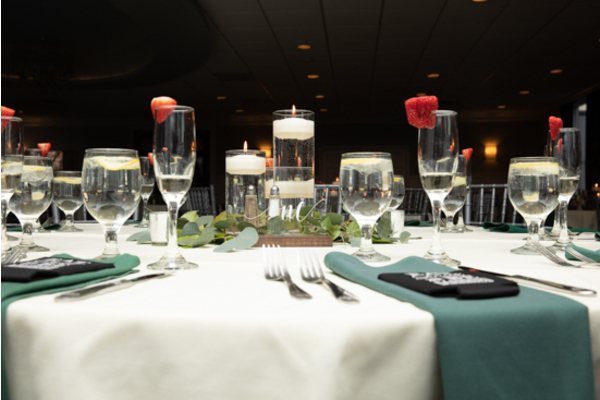 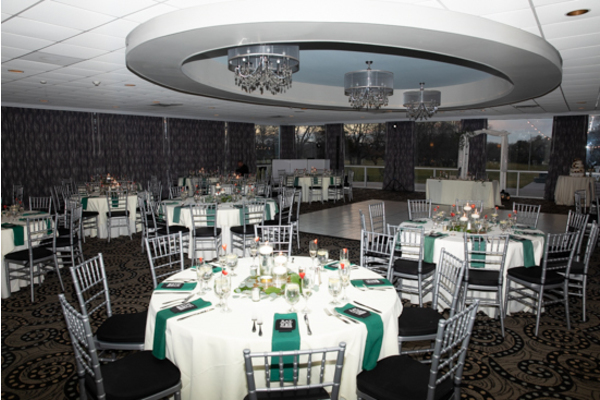 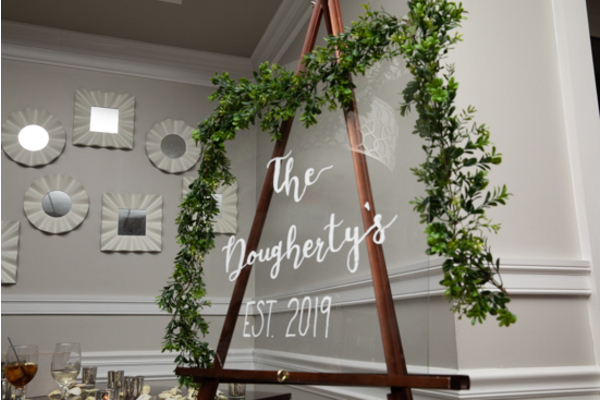 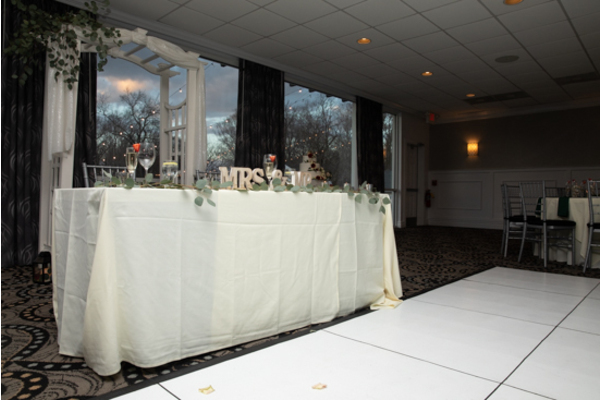 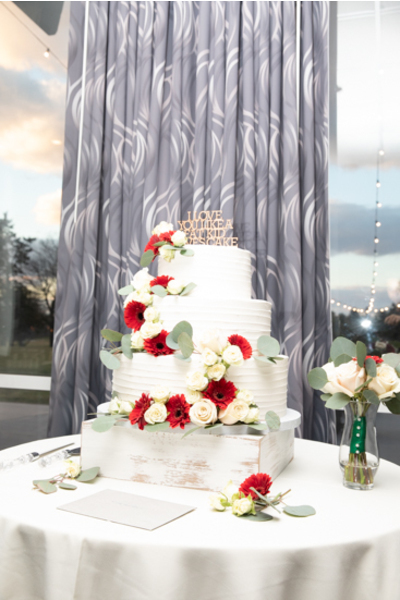 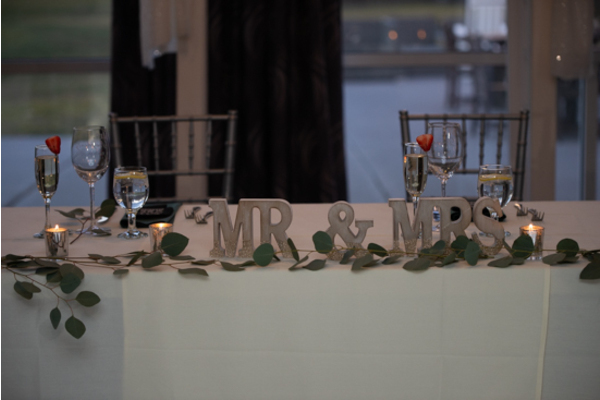 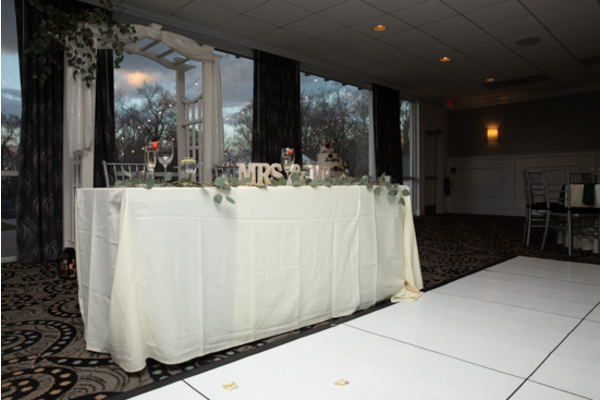 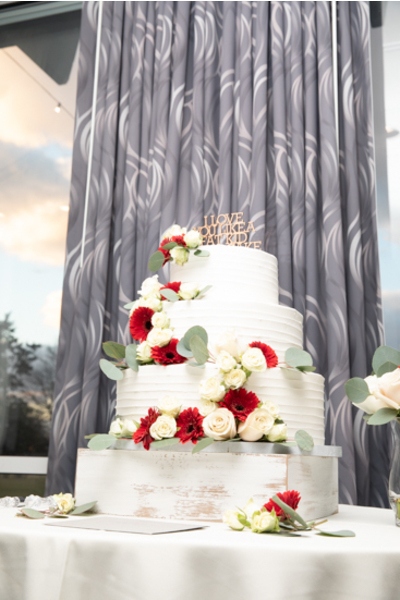 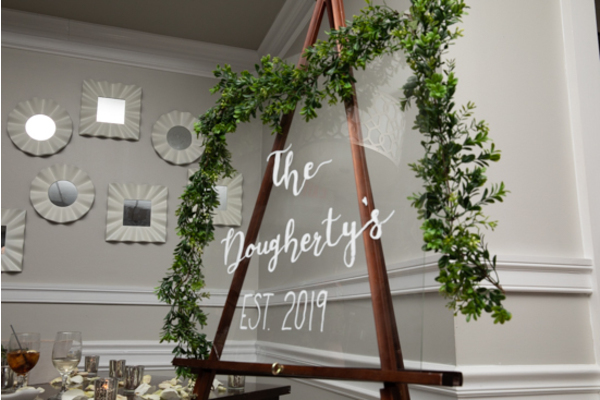 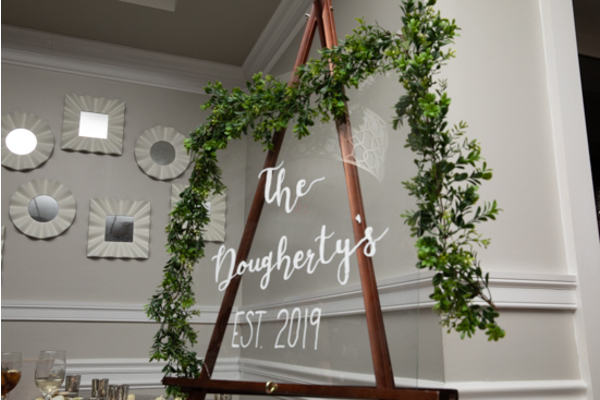 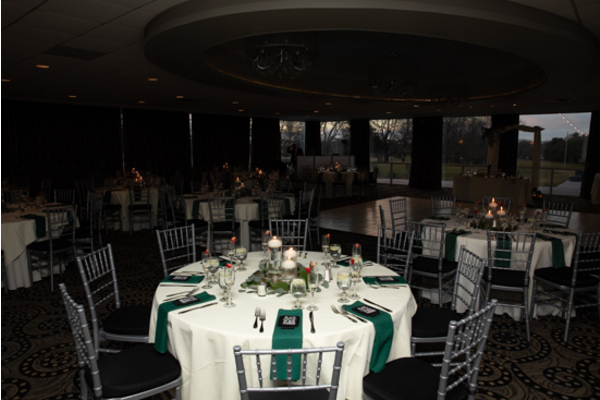 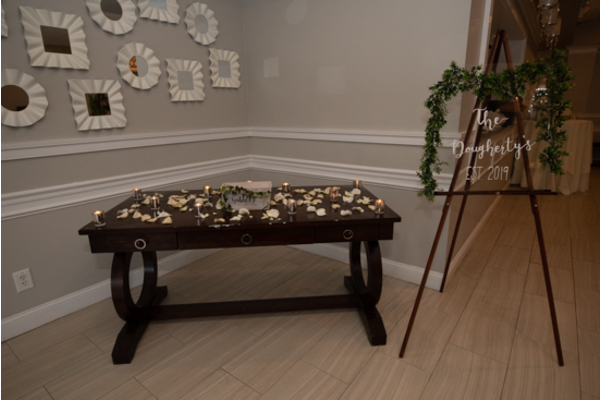 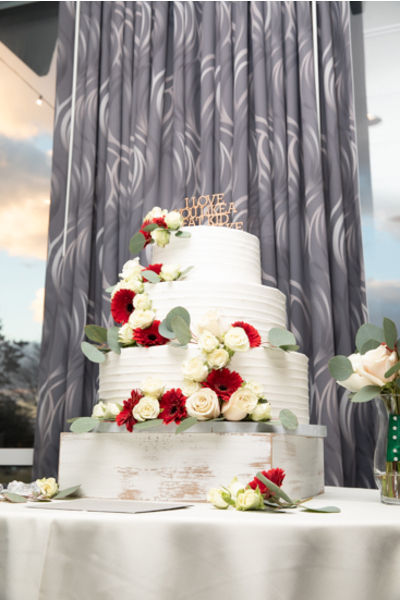 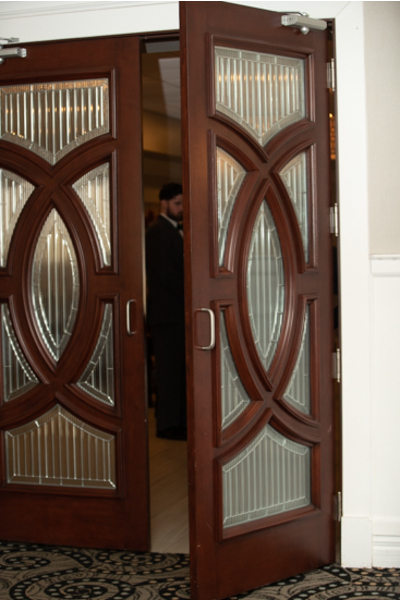 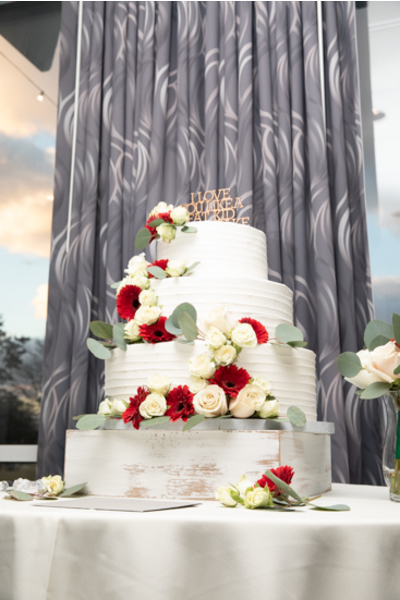 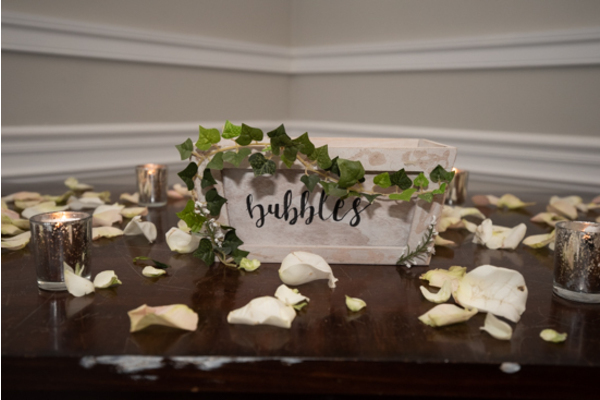 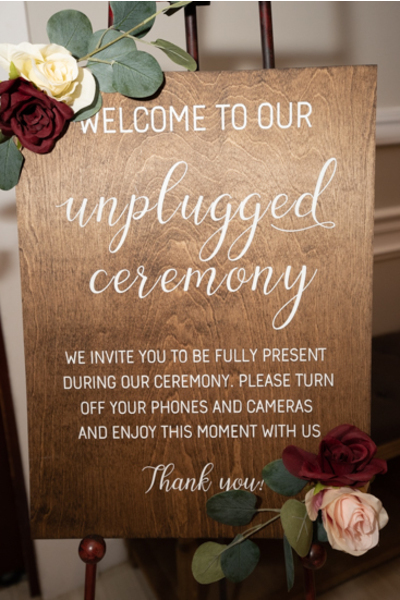 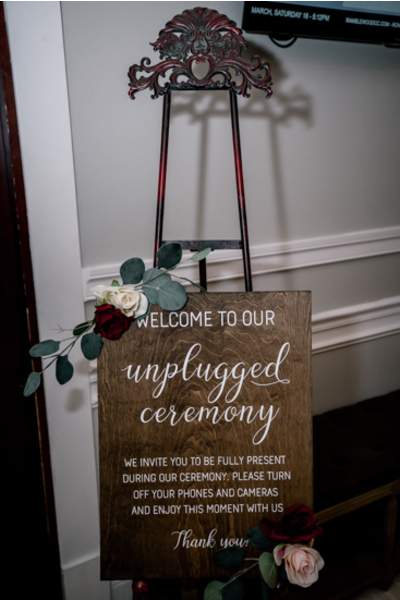 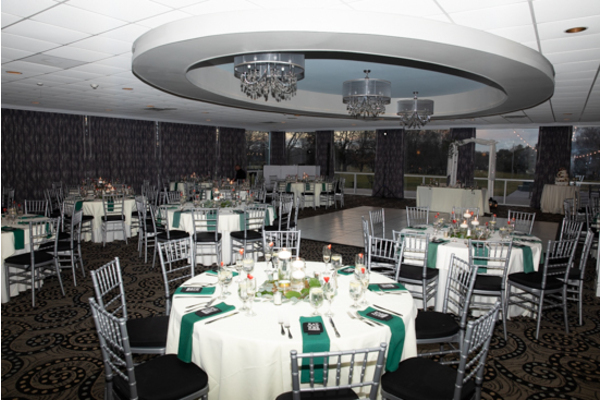 Their reception at Ramblewood Country Club featured rose florals throughout the room. 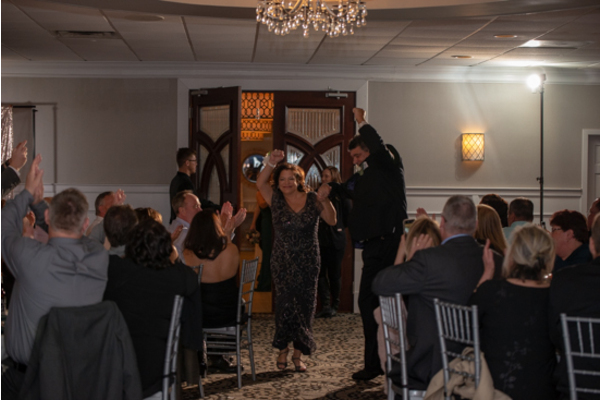 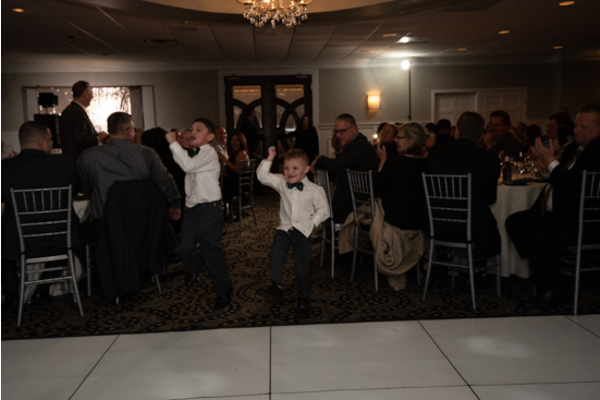 If Danielle and Dan were not seen at their sweetheart table, they were partying on the dance floor! 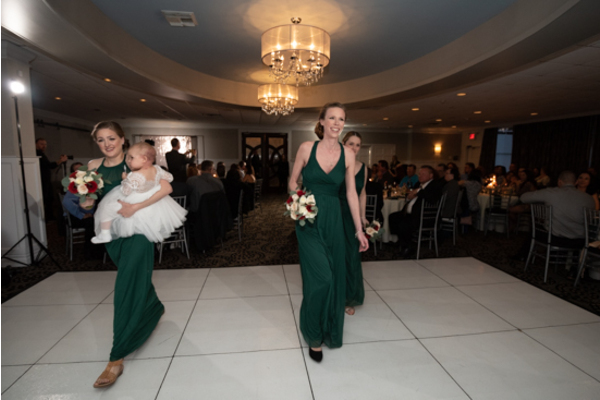 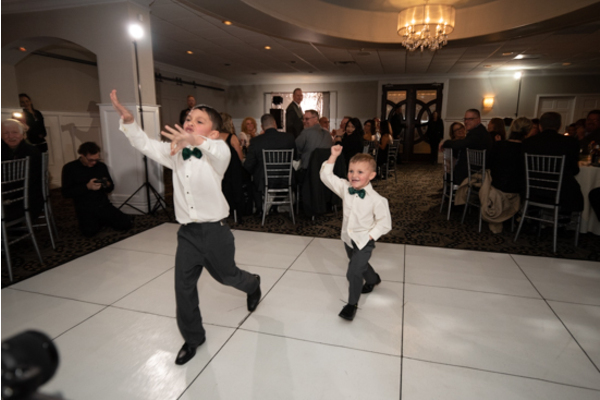 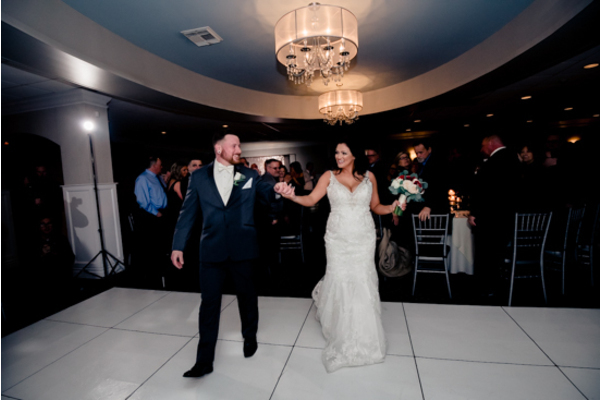 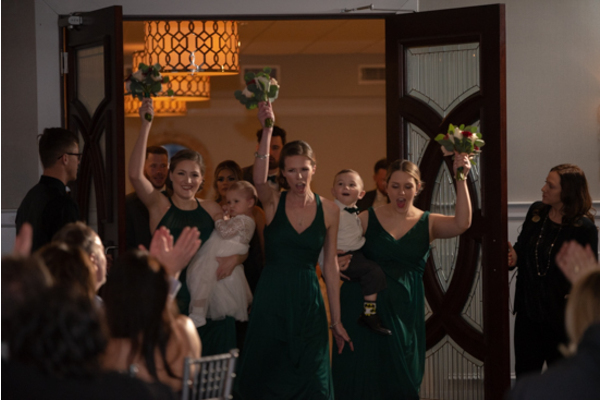 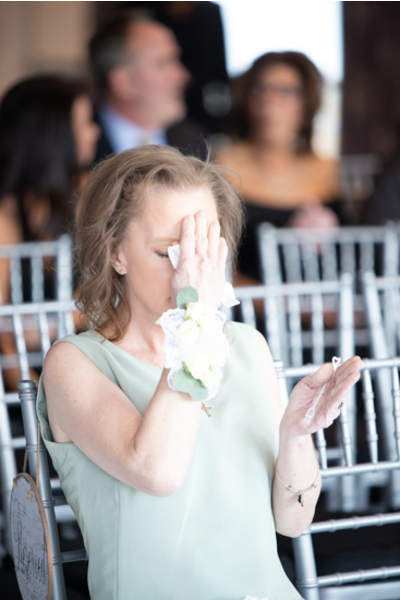 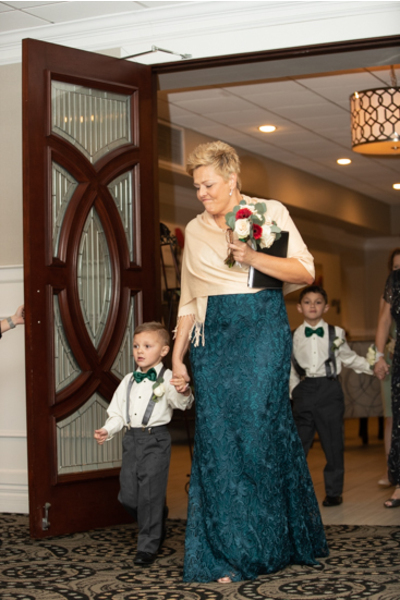 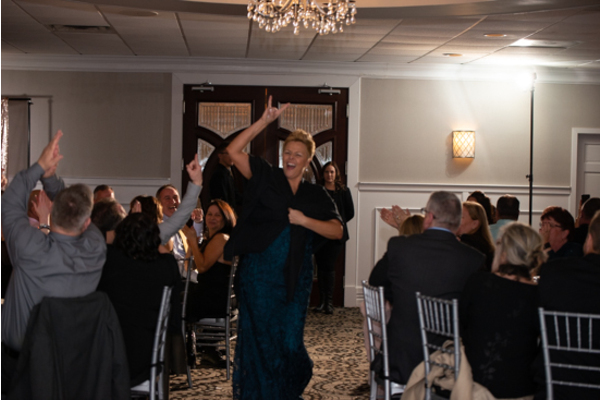 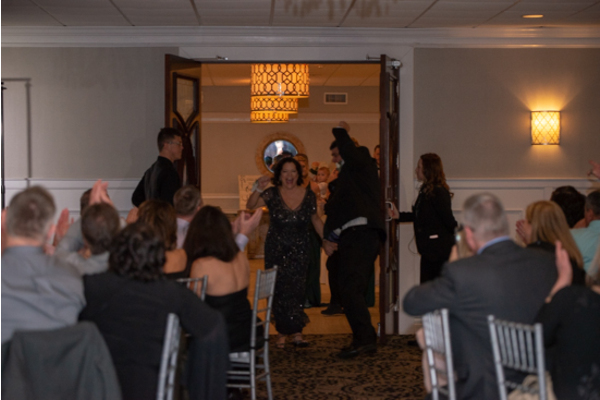 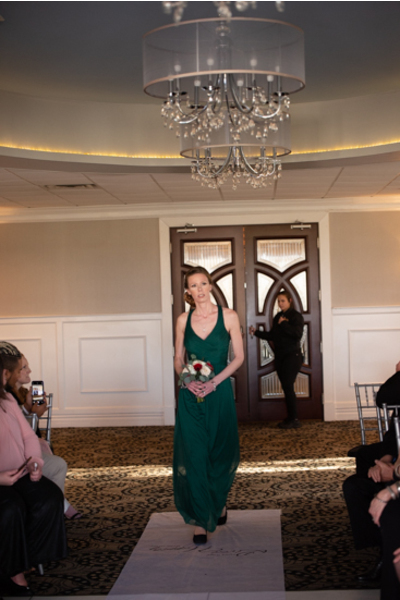 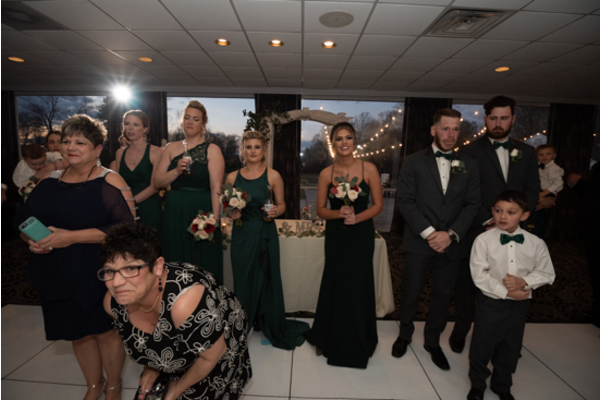 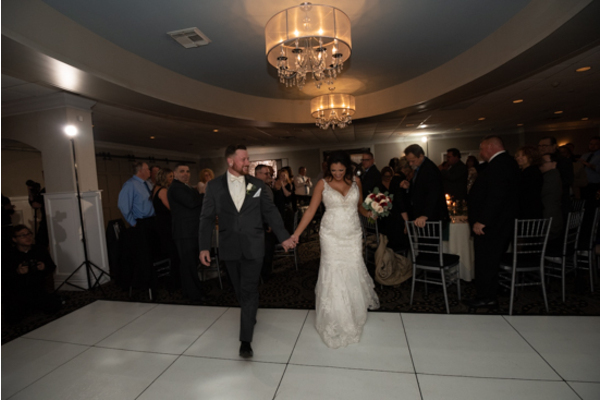 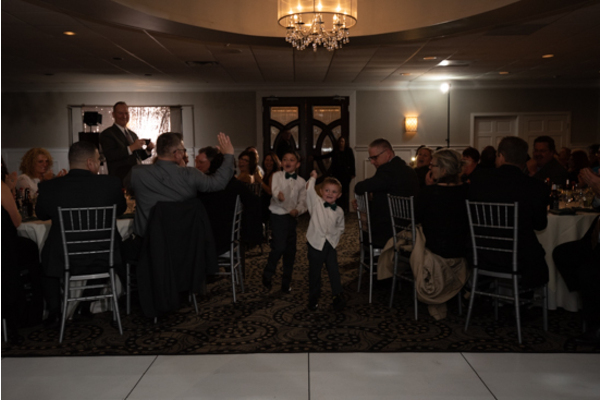 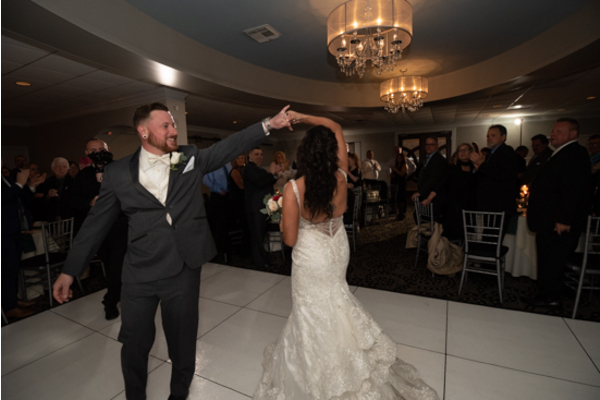 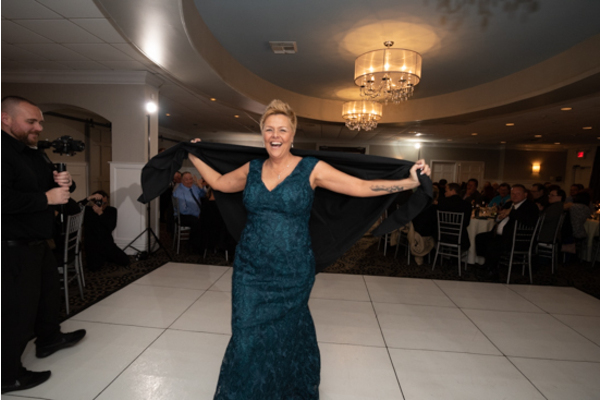 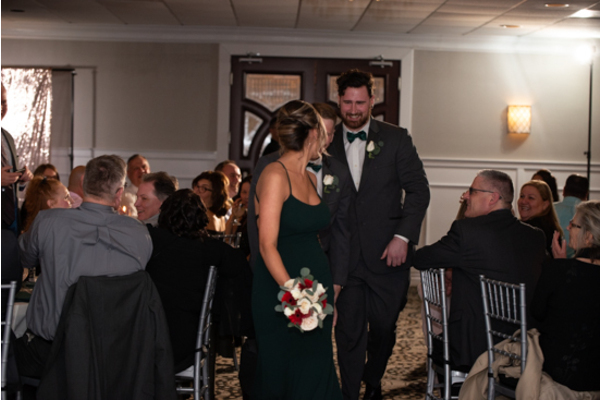 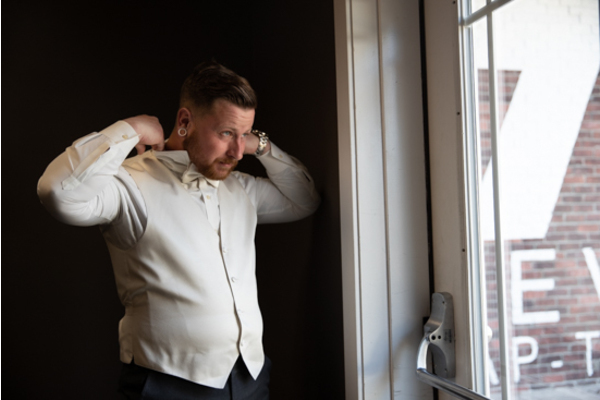 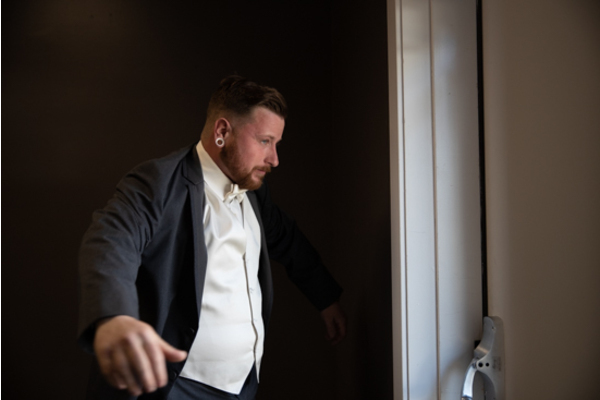 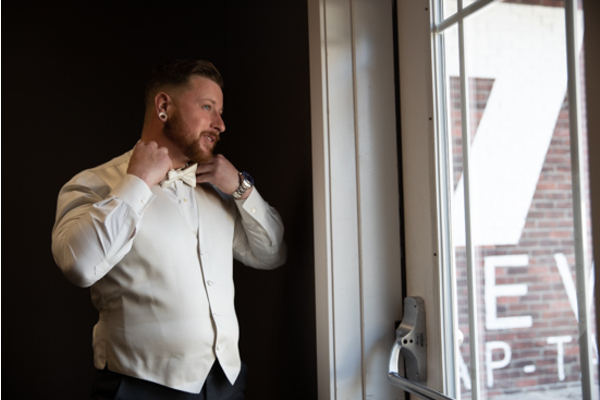 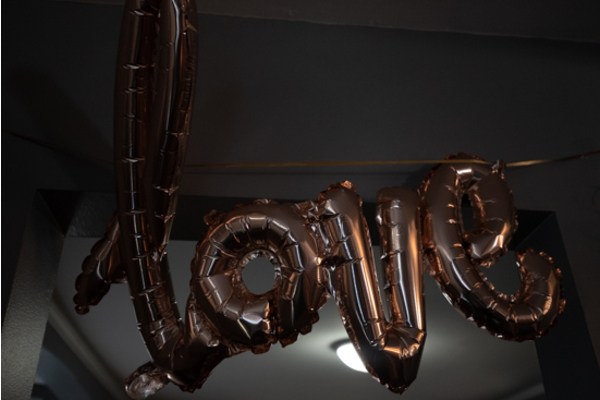 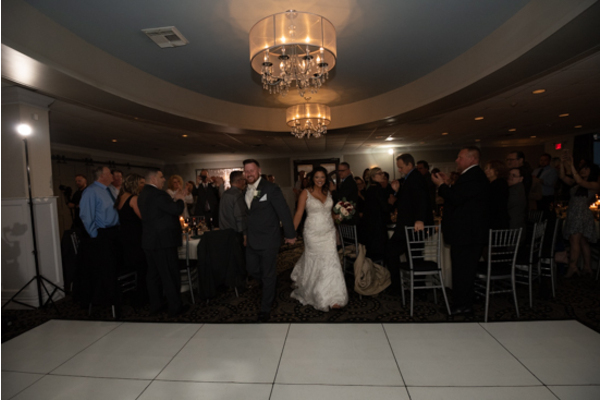 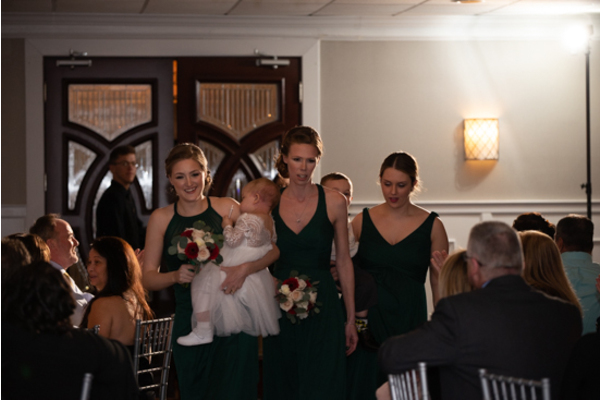 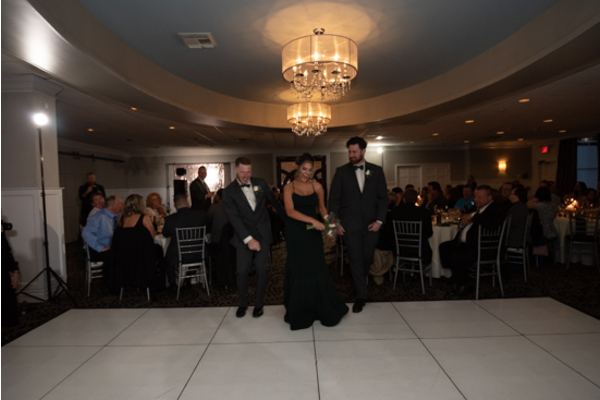 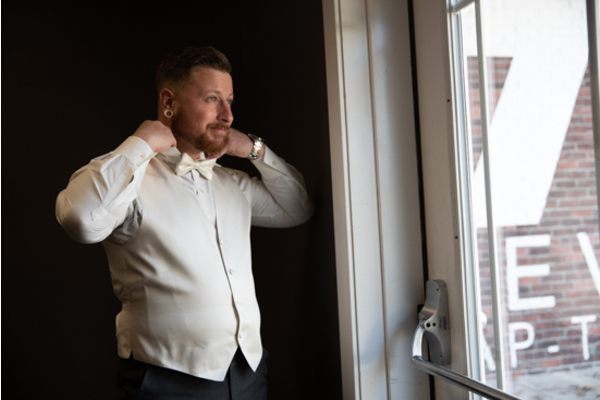 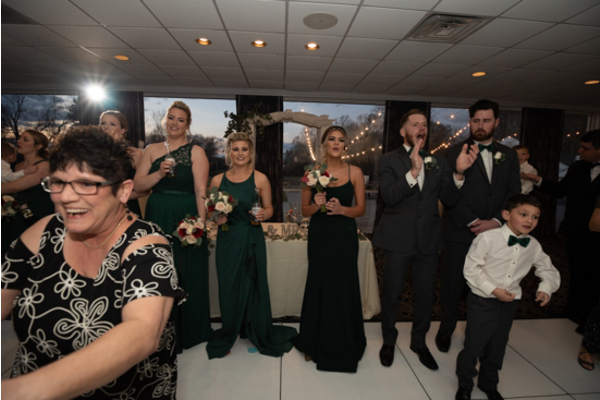 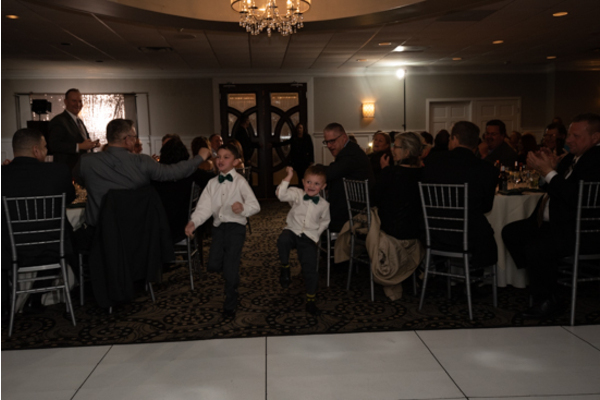 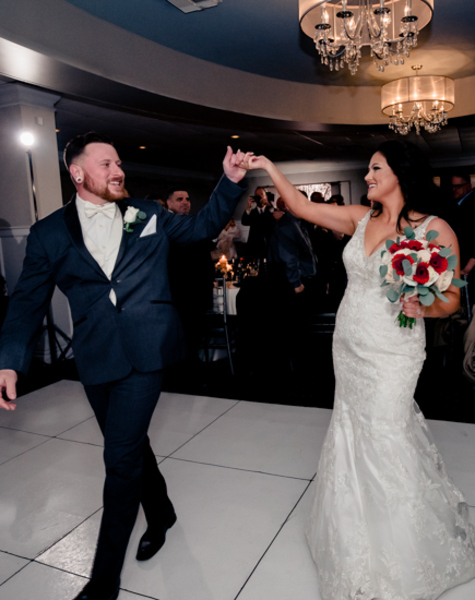 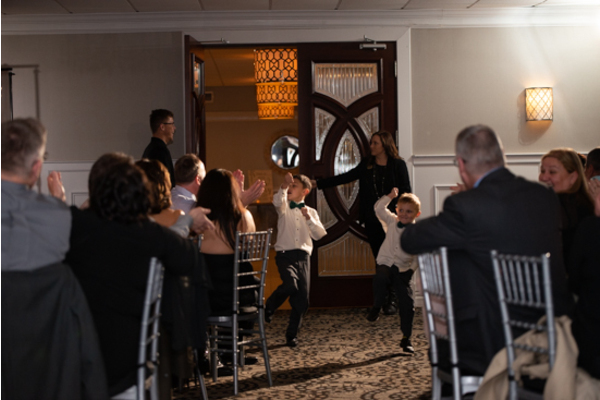 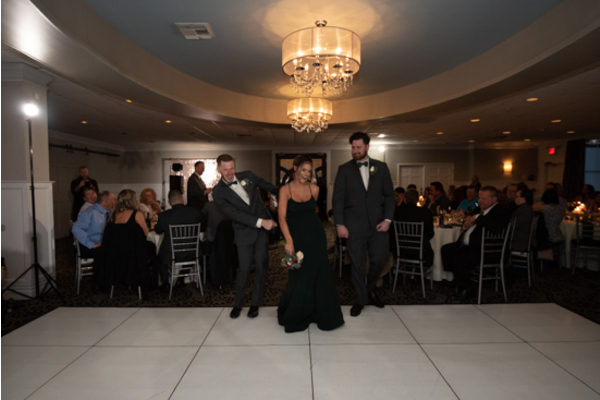 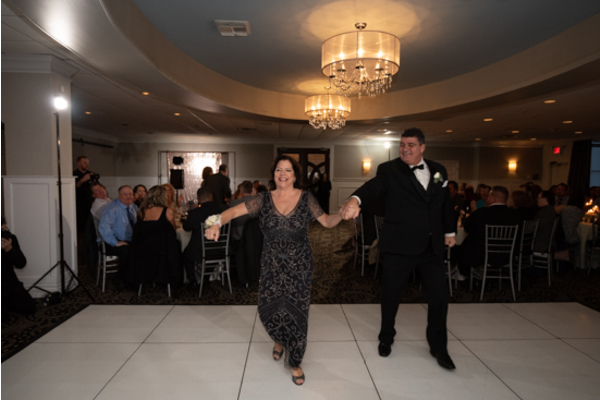 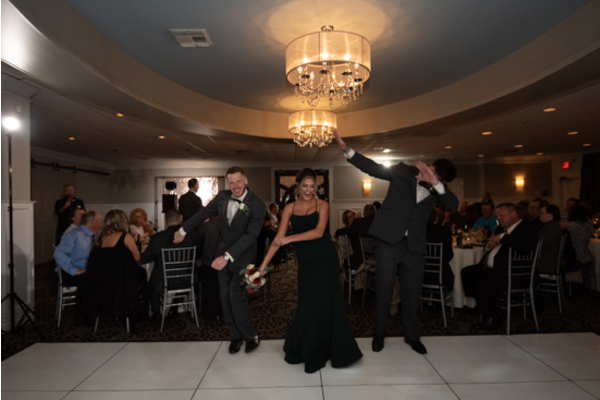 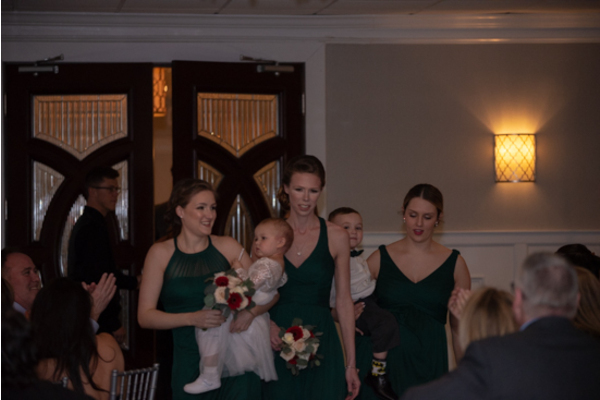 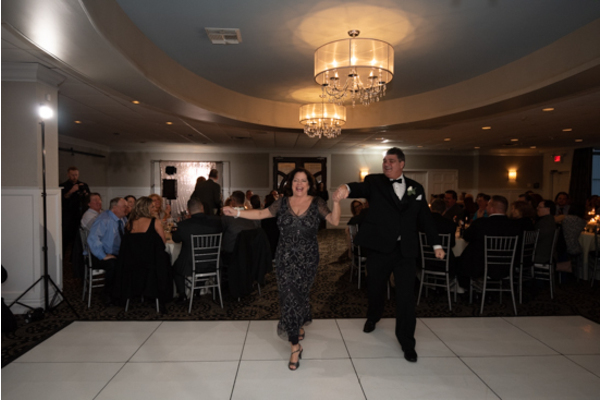 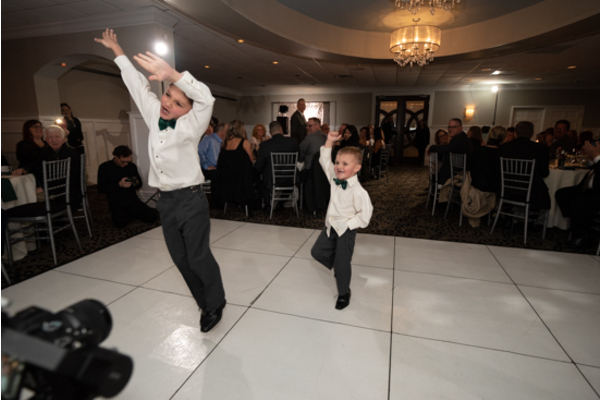 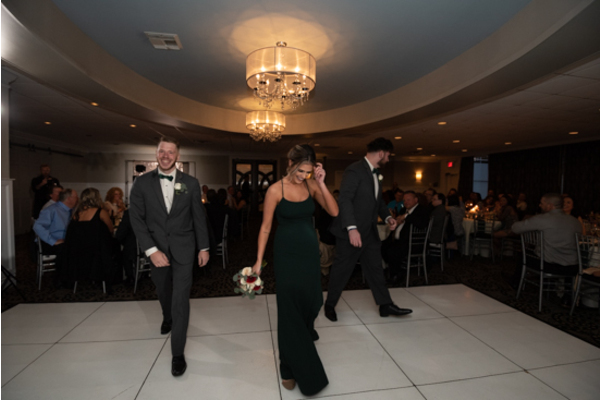 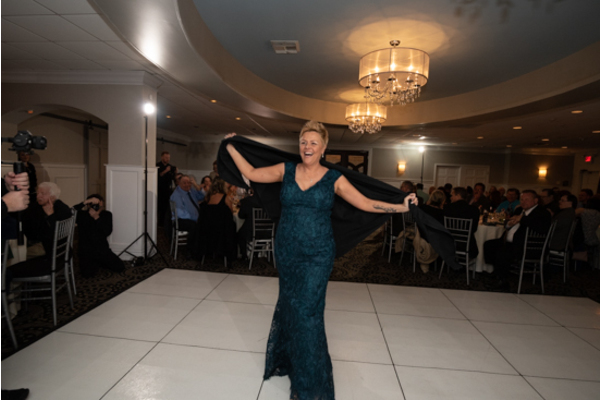 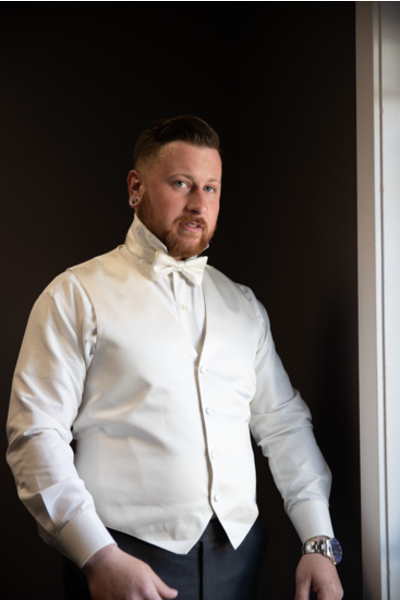 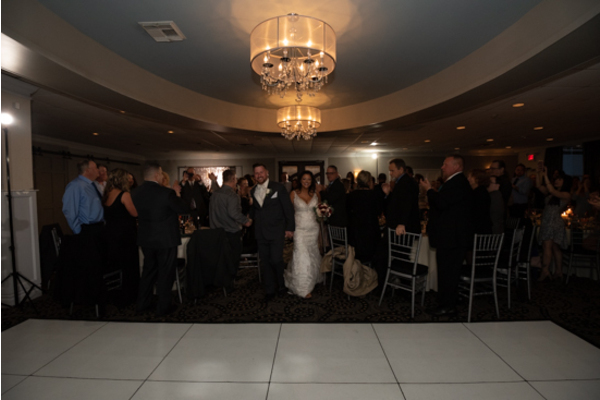 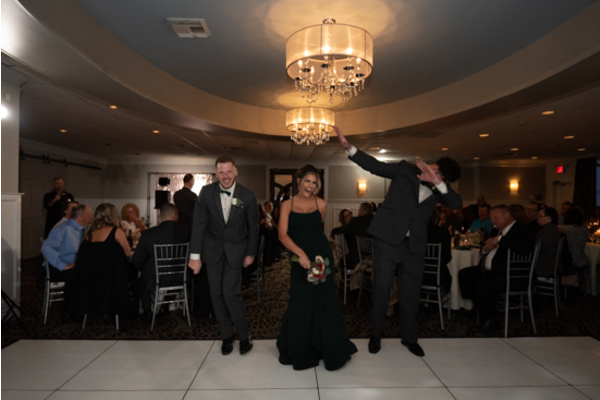 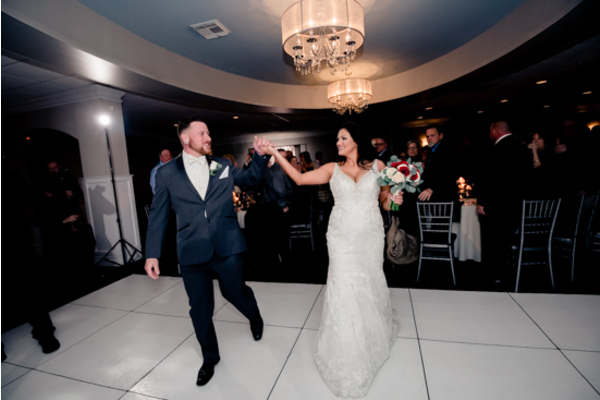 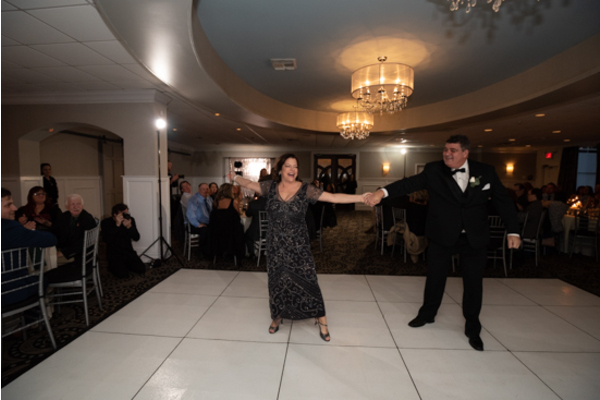 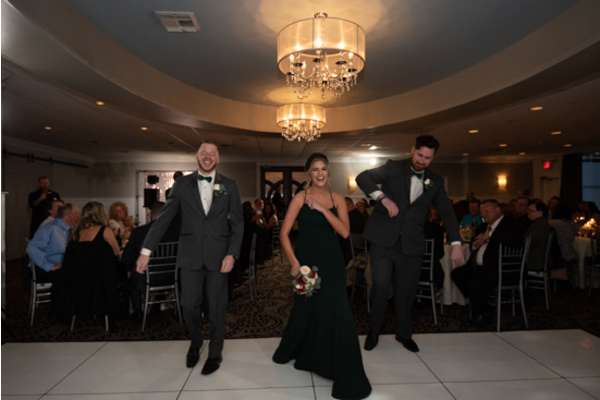 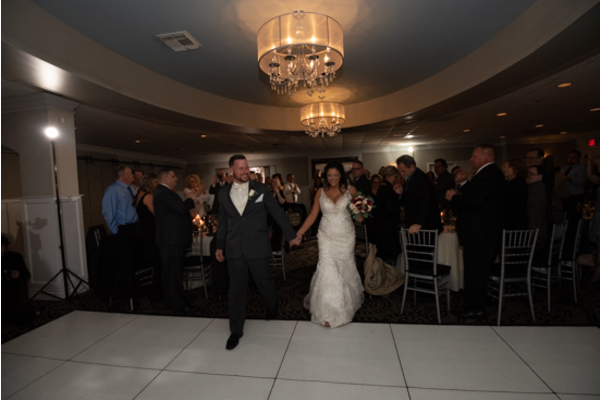 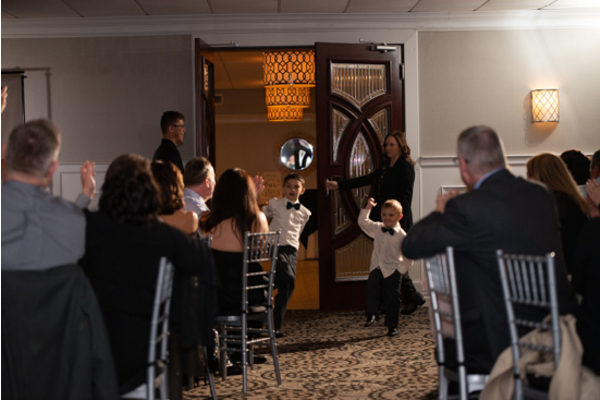 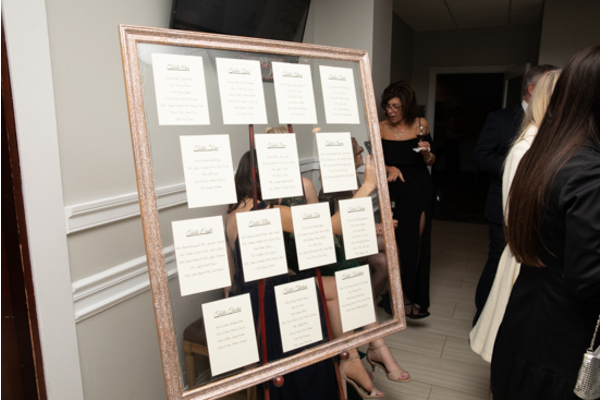 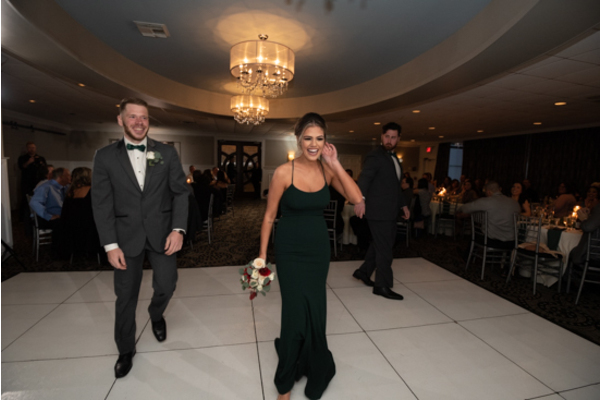 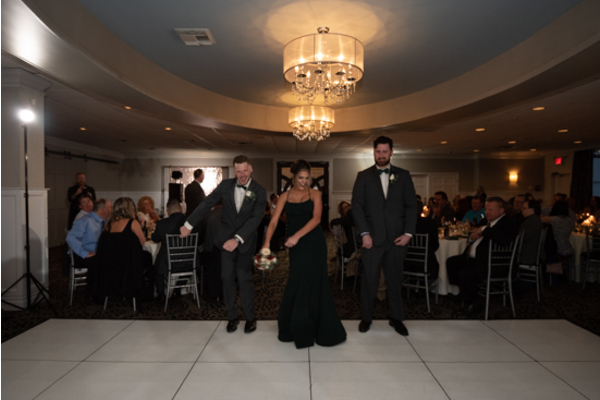 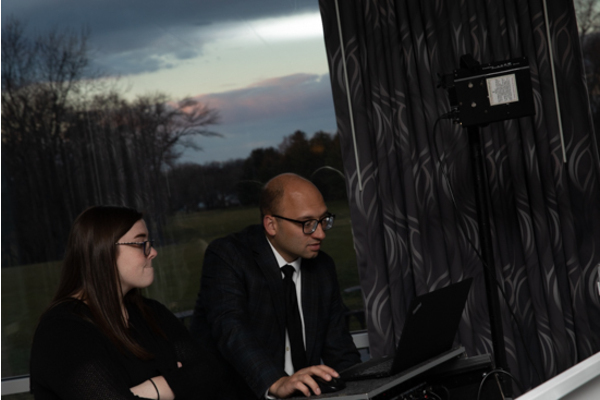 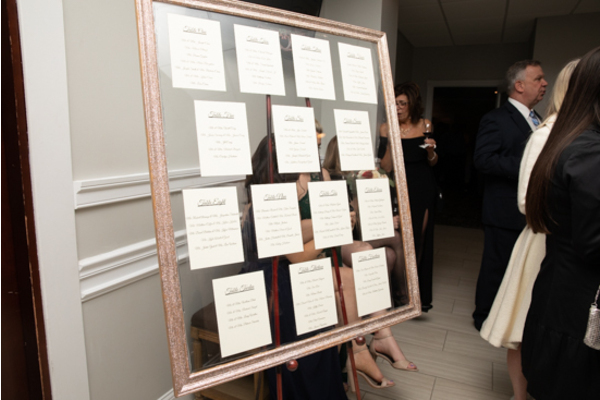 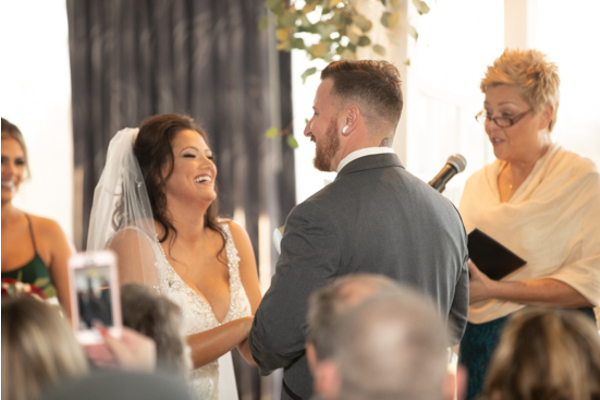 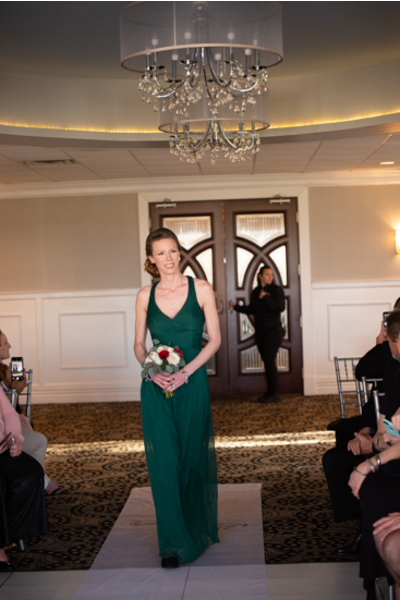 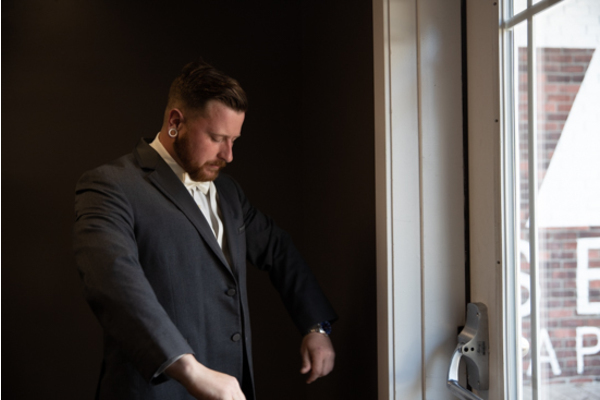 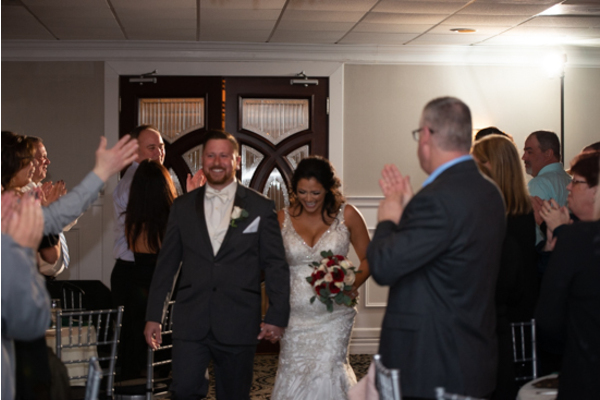 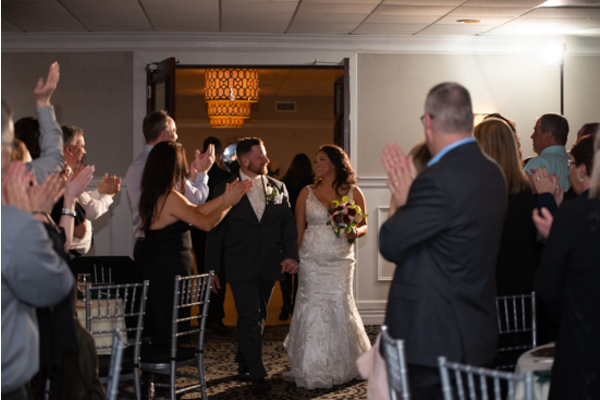 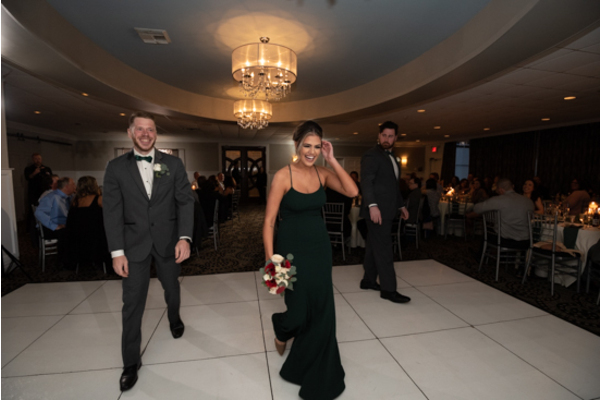 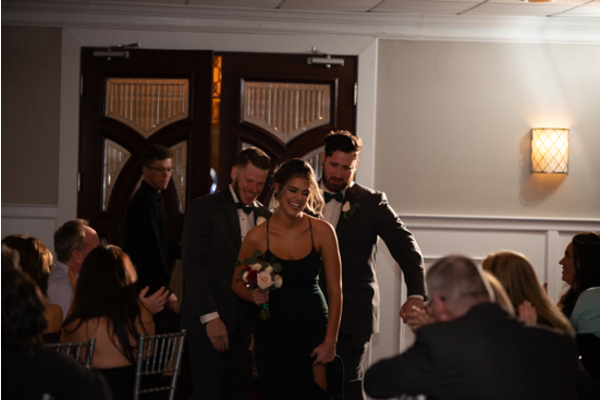 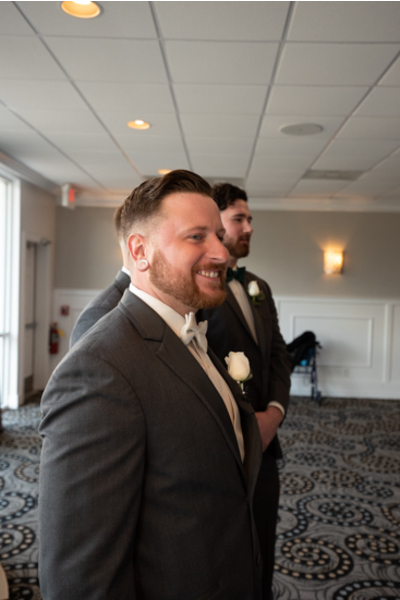 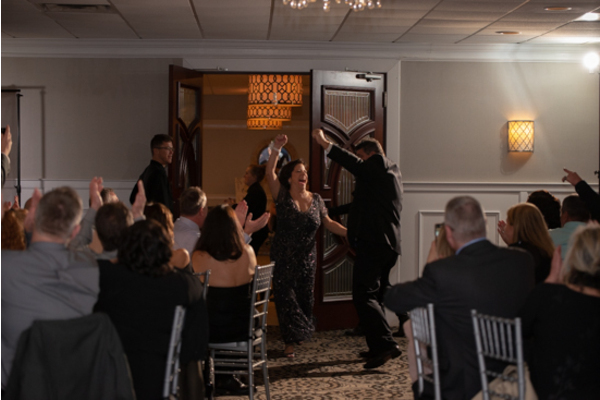 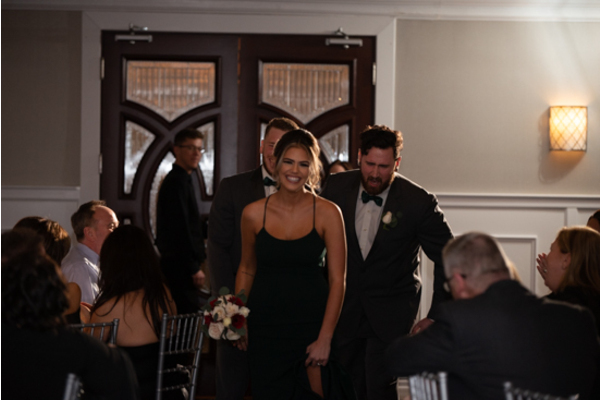 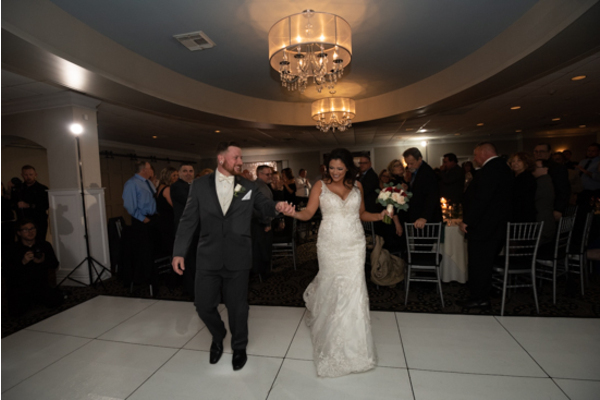 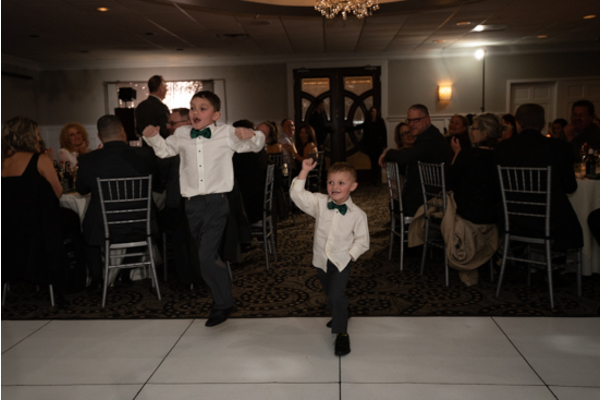 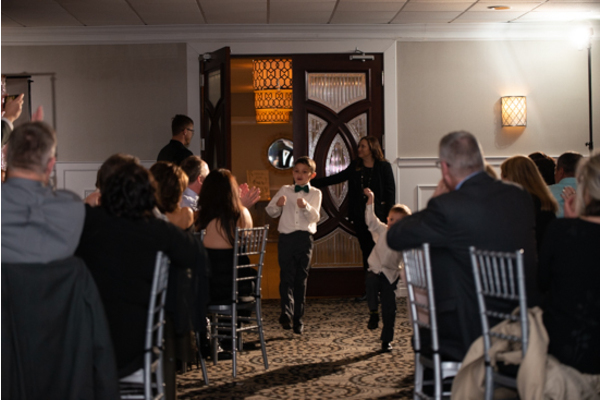 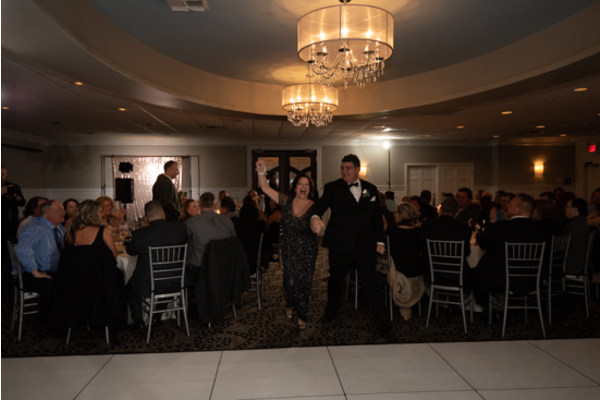 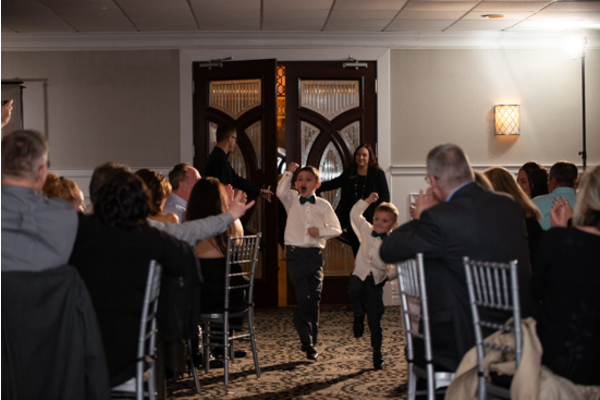 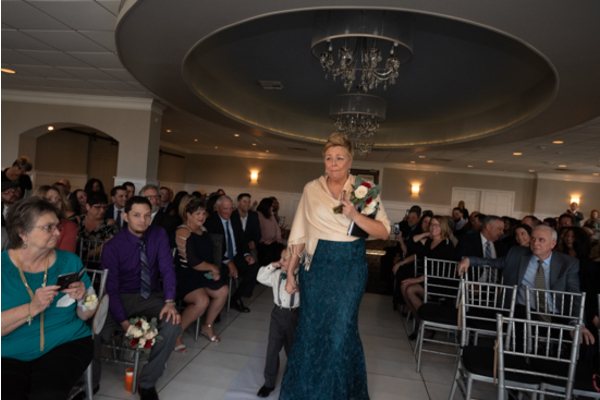 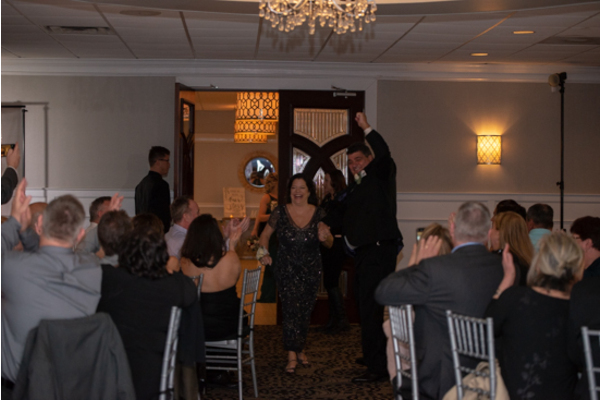 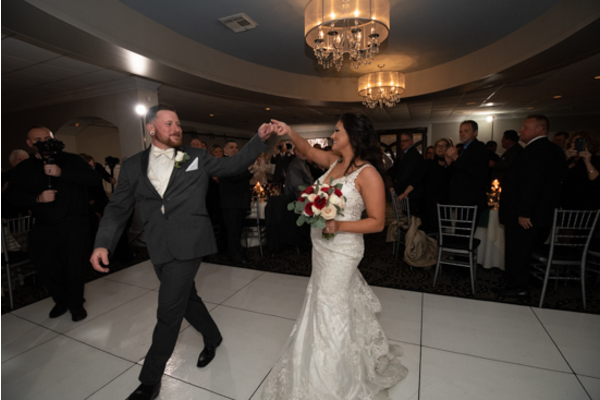 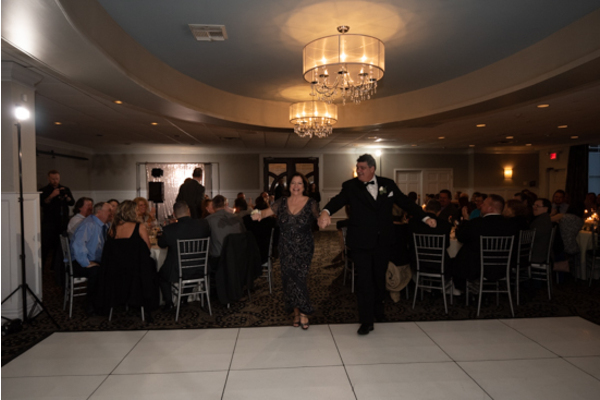 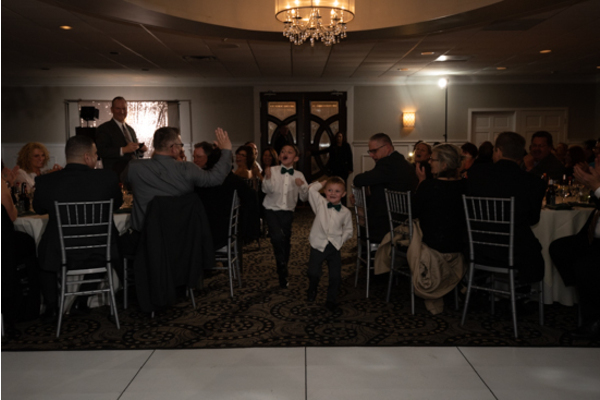 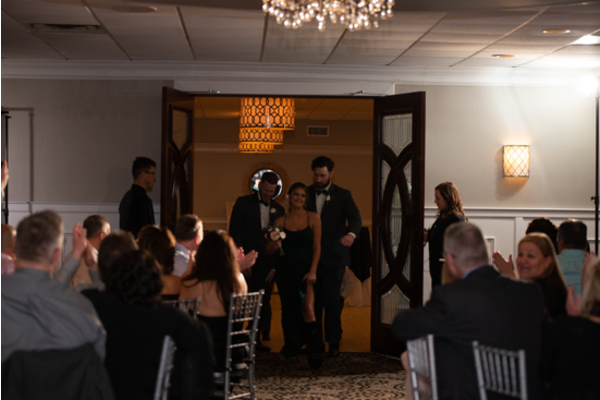 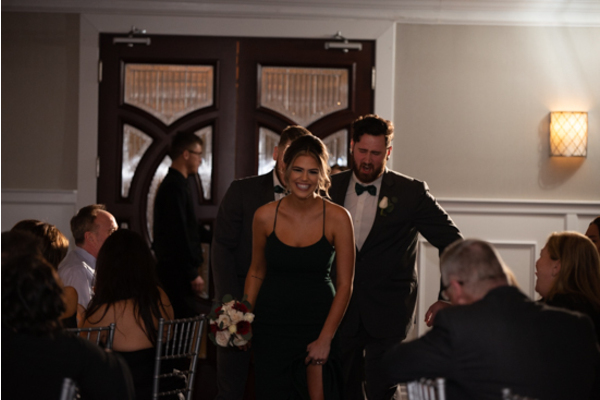 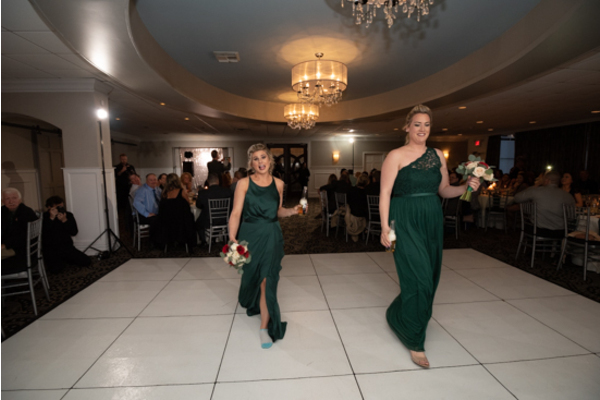 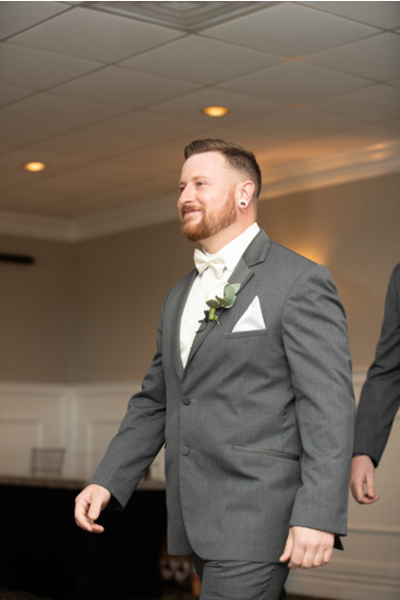 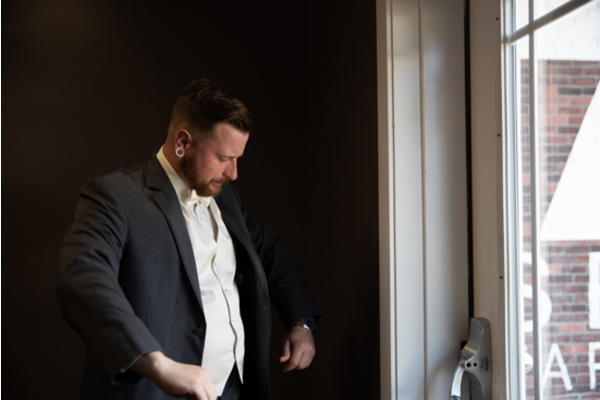 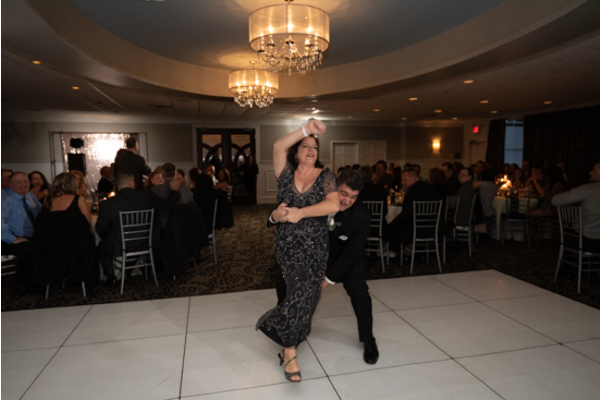 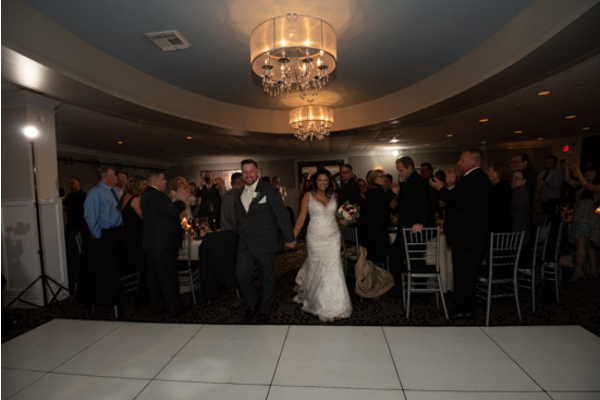 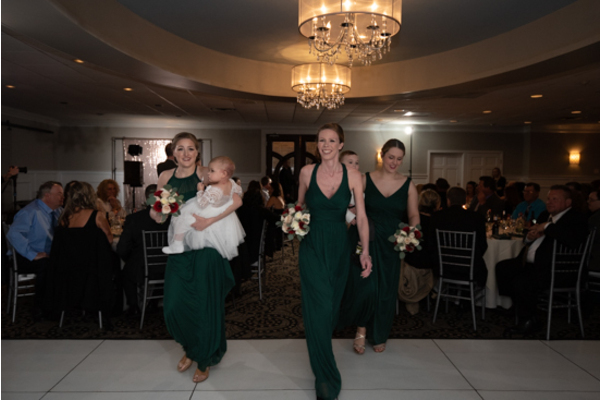 Our NJ Wedding DJ made sure to play the upbeat classic party songs and transition to romantic slow dances all night long. 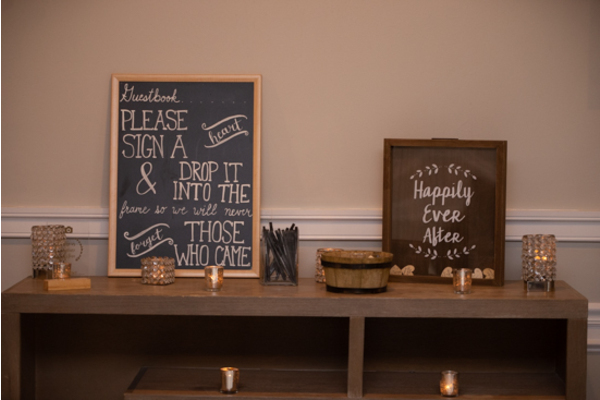 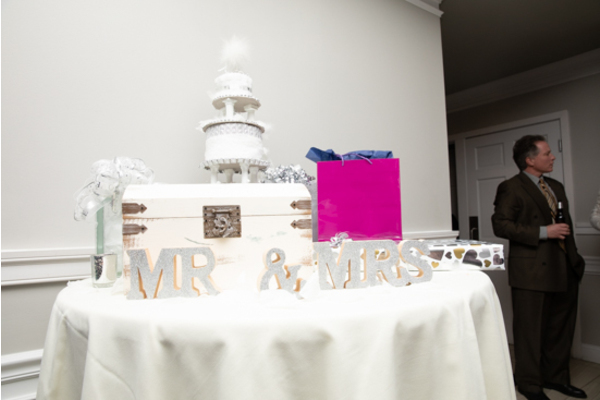 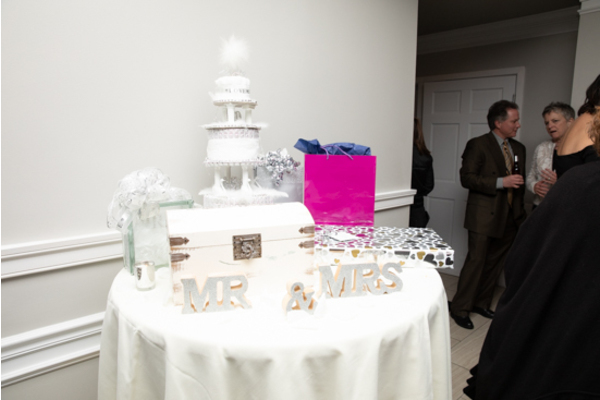 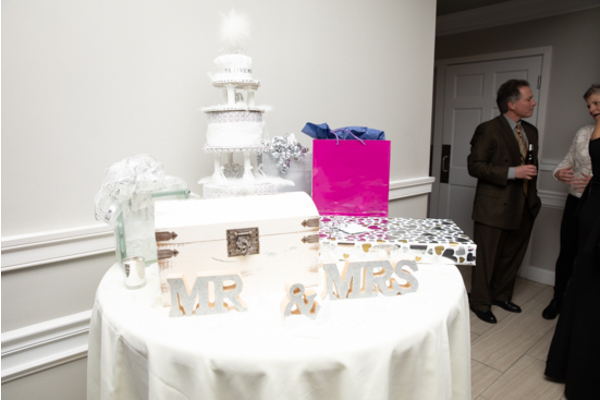 Likewise, our NJ Wedding Photo Booth was such a fun addition to the night with props like funky hats and glasses! 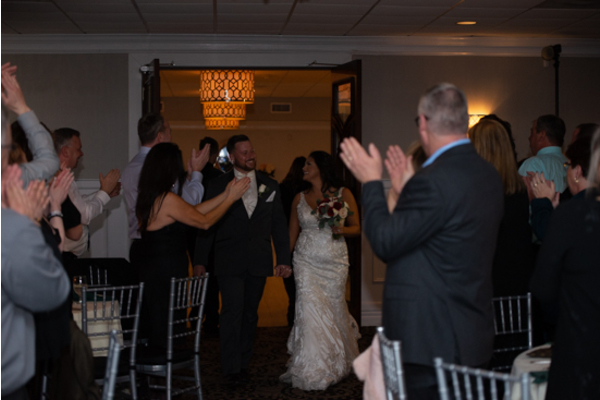 Congratulations, again, to Danielle and Dan. 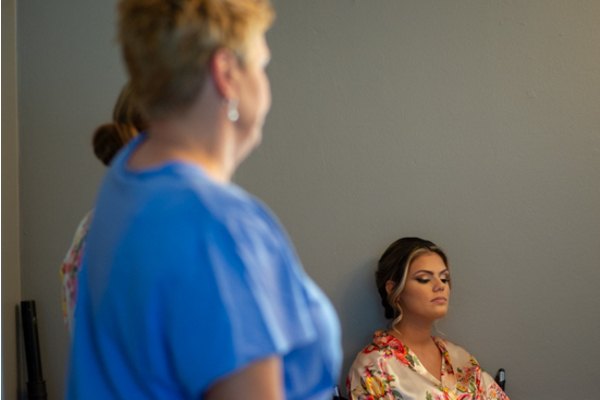 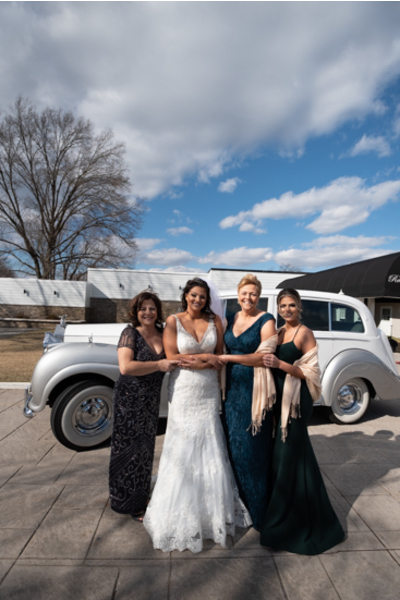 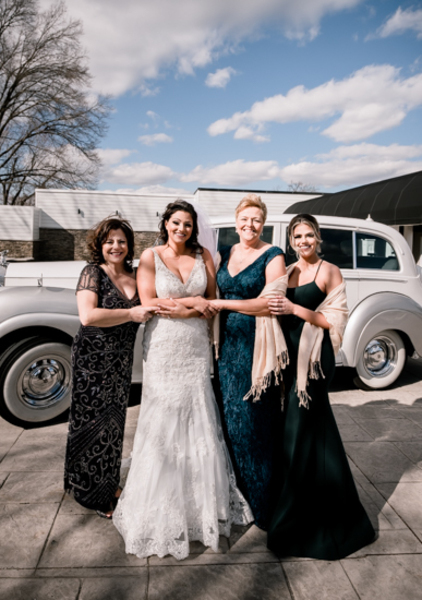 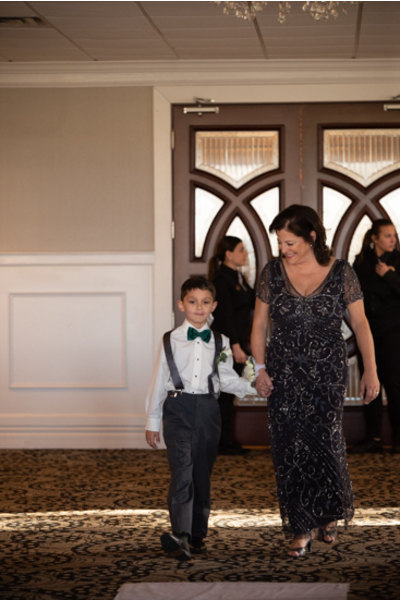 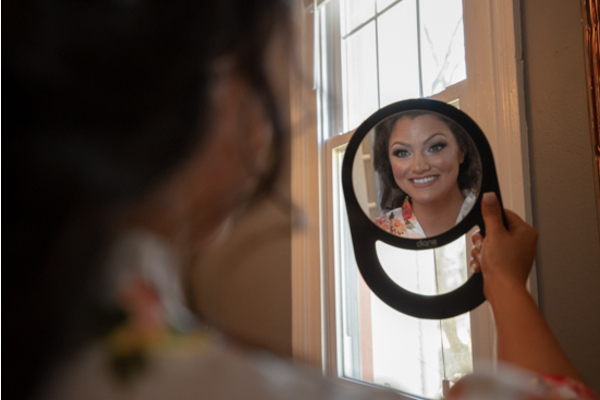 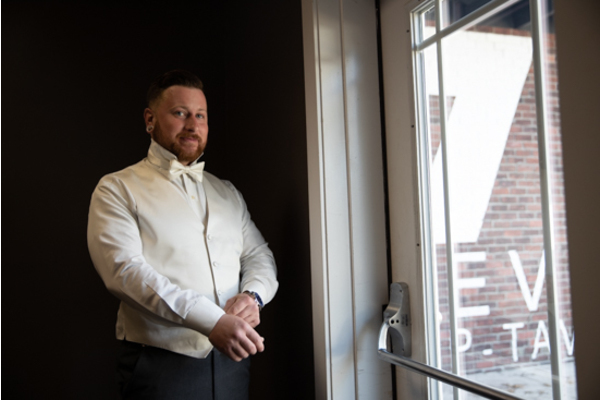 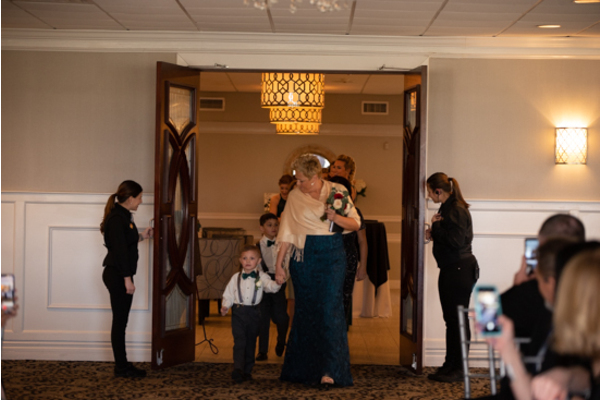 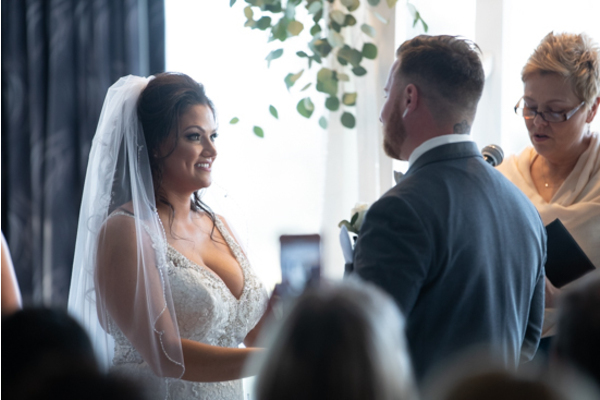 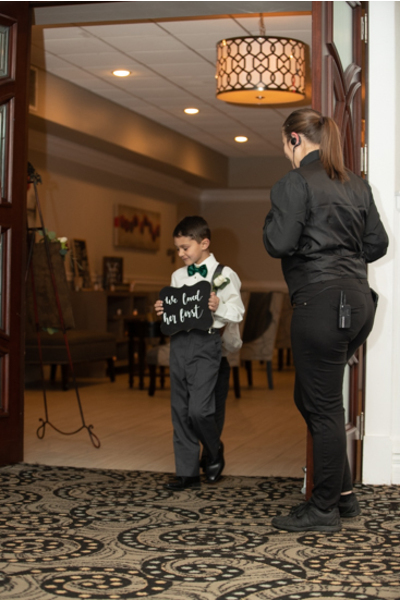 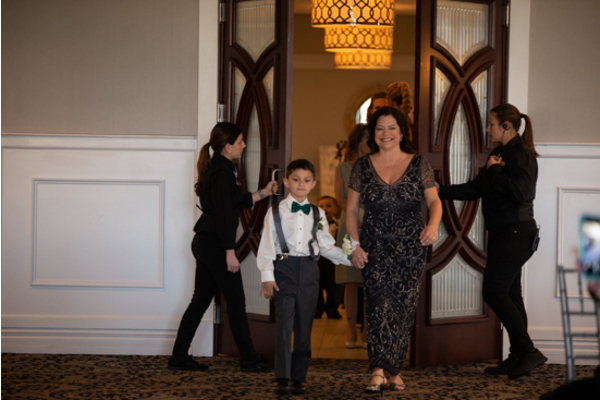 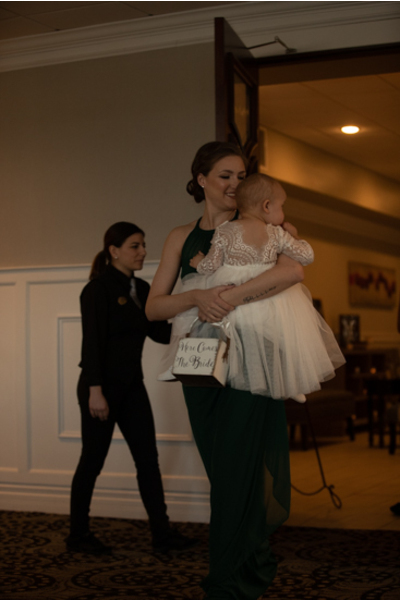 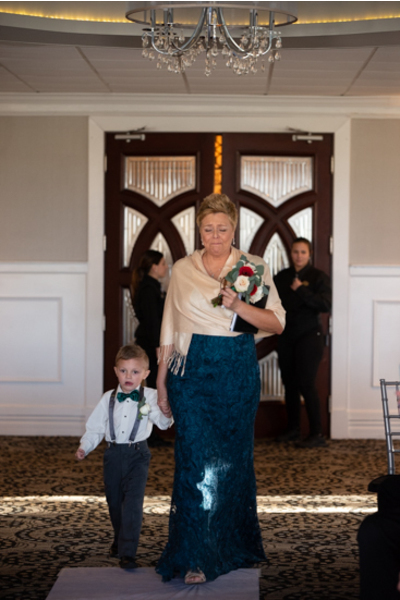 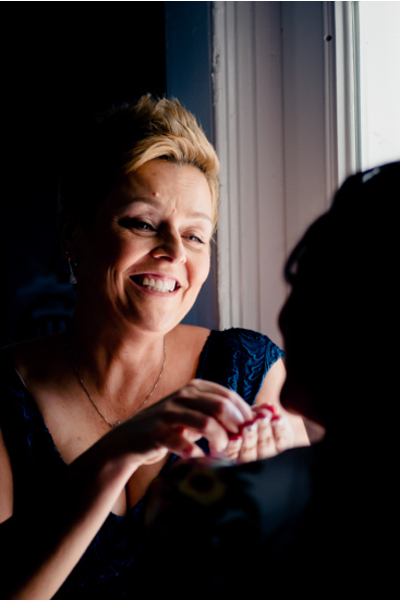 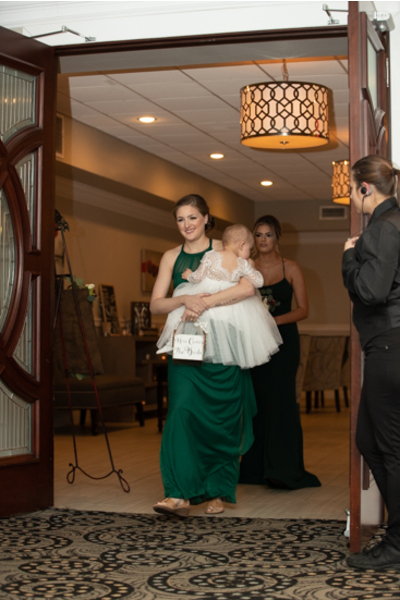 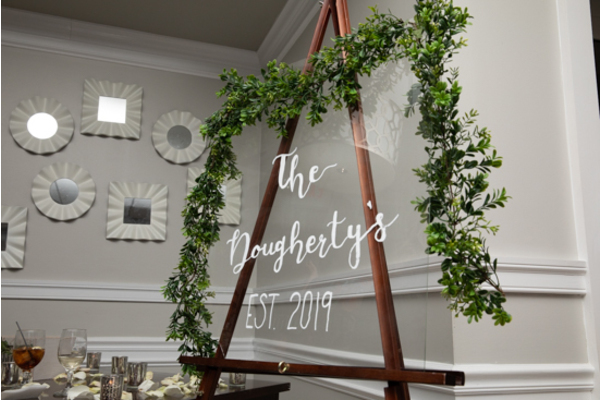 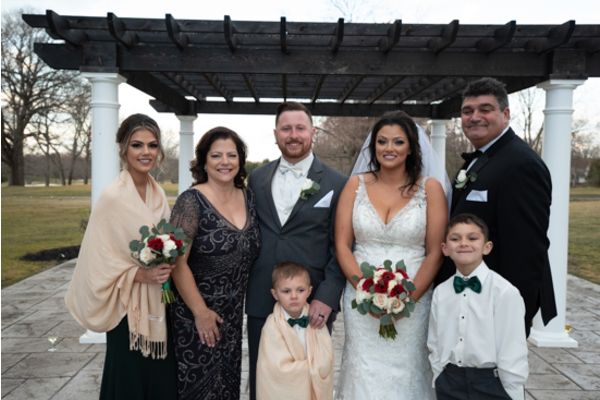 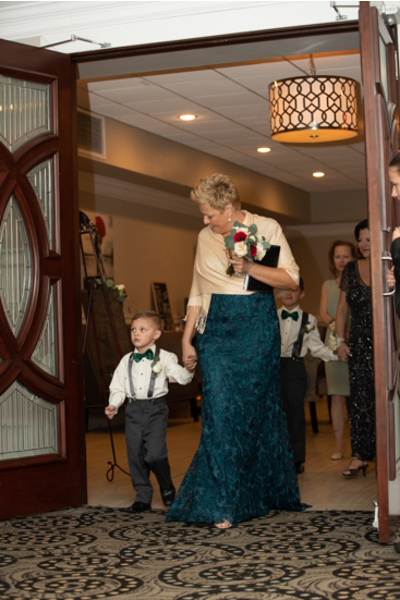 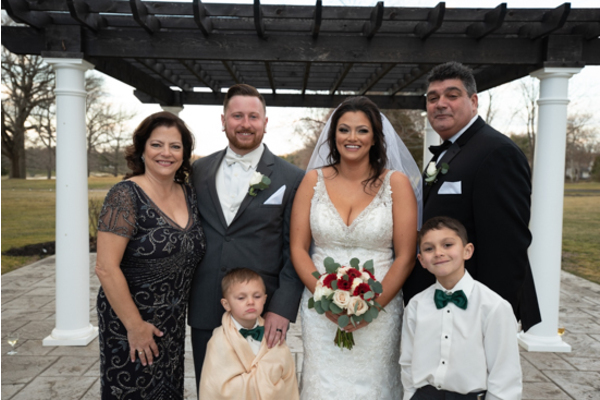 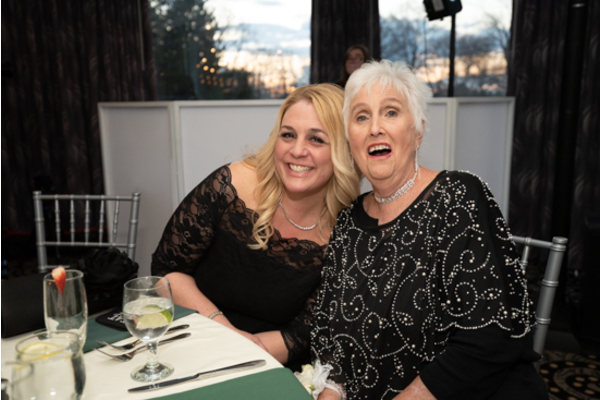 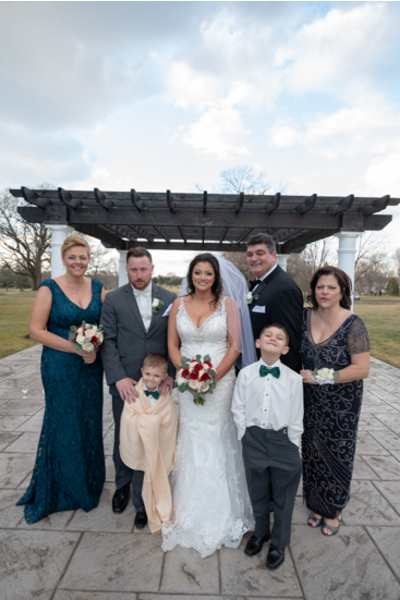 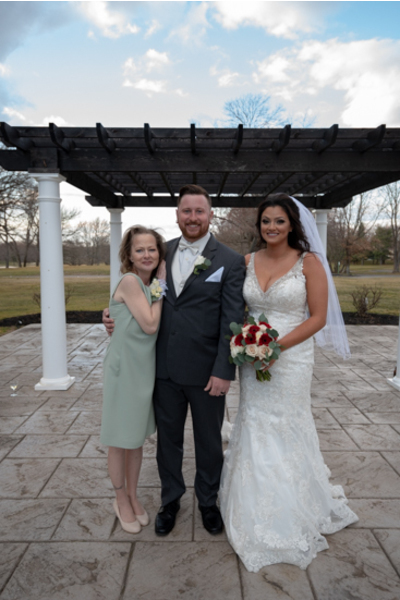 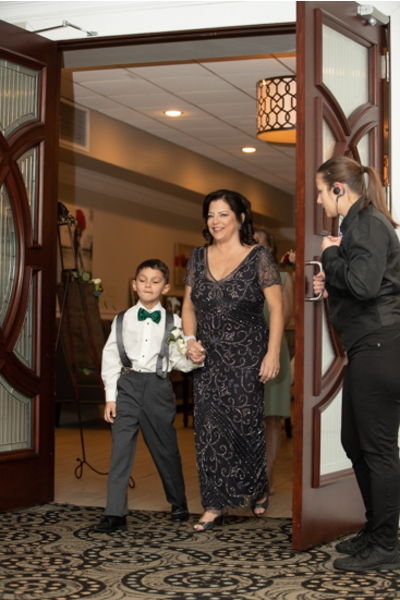 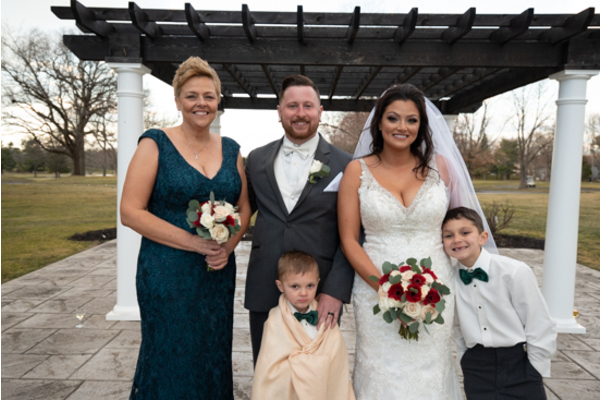 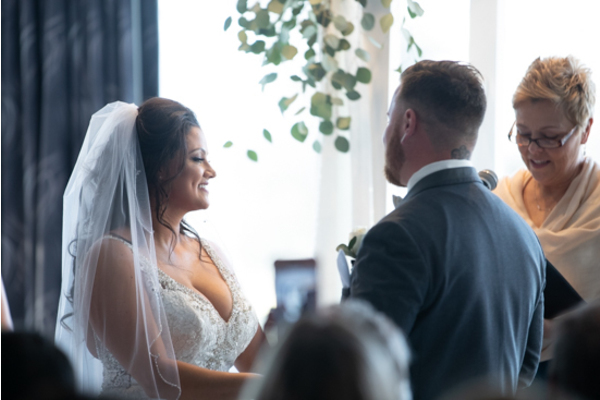 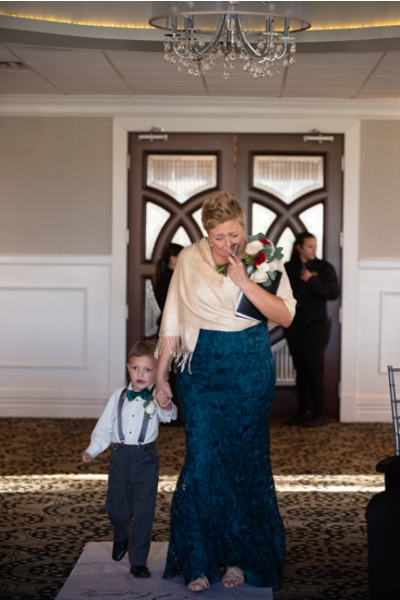 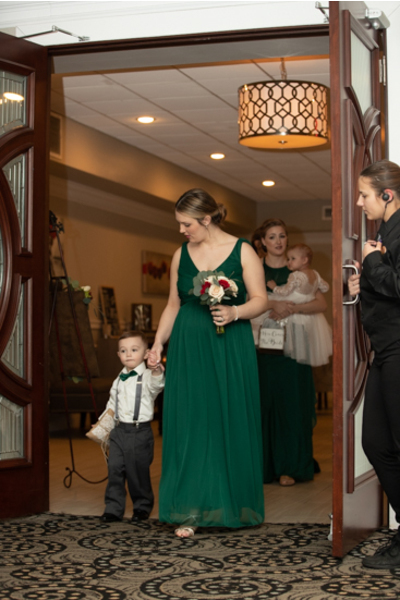 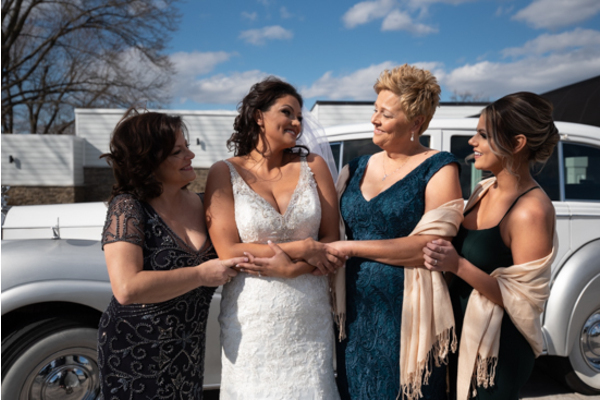 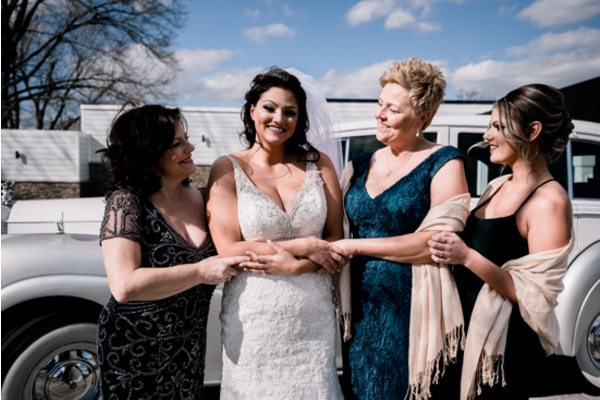 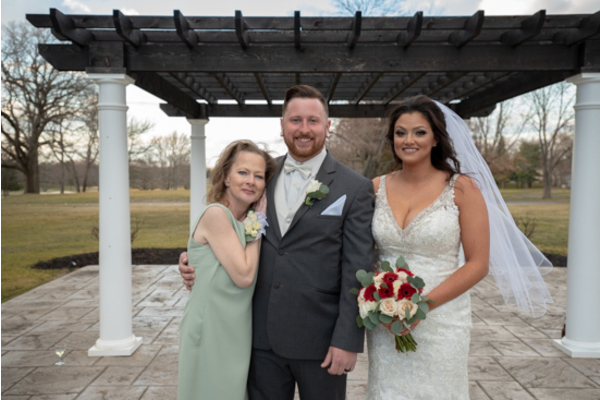 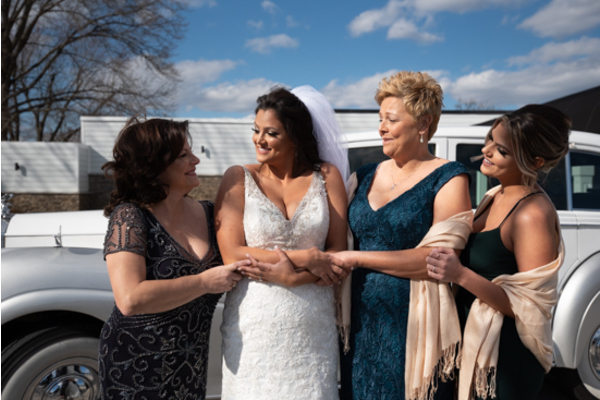 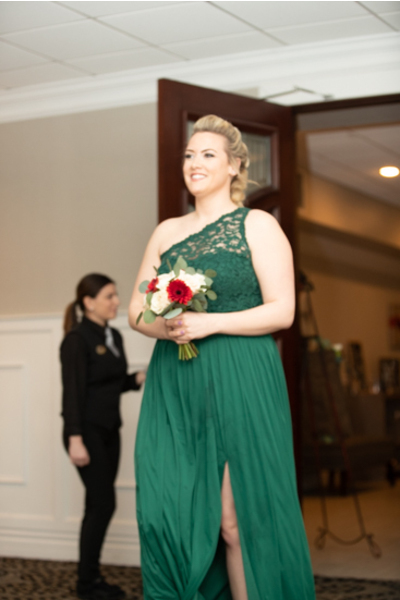 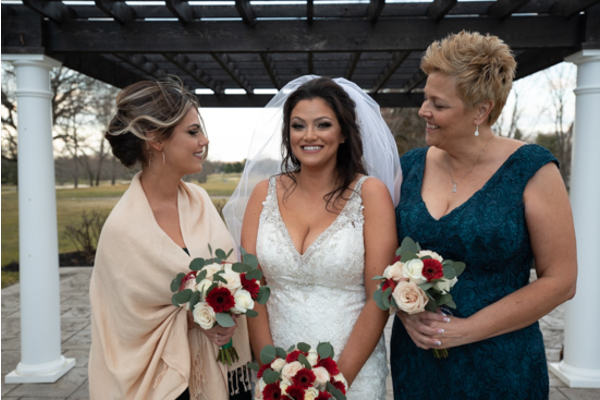 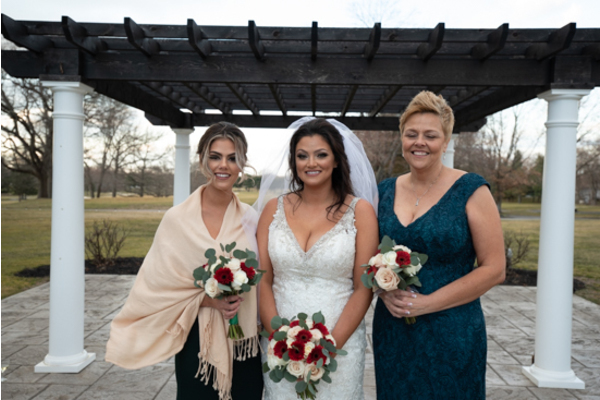 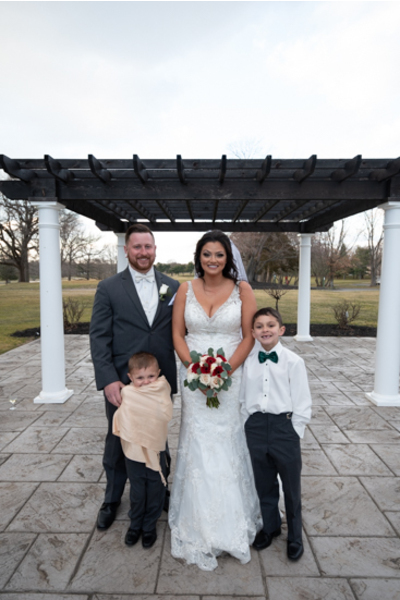 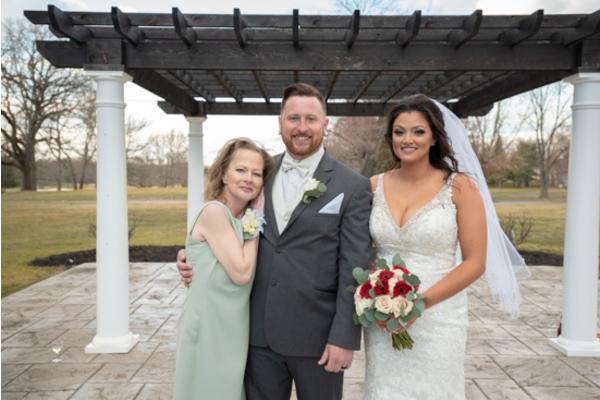 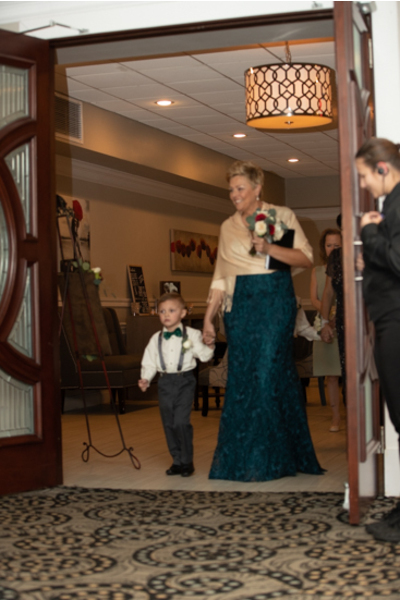 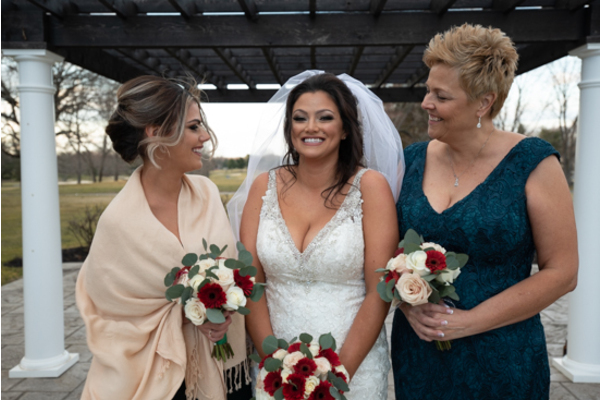 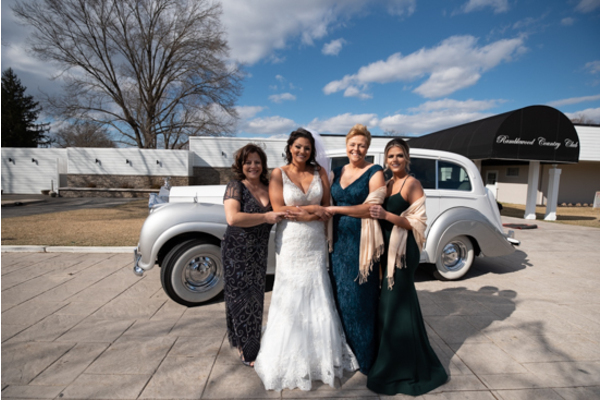 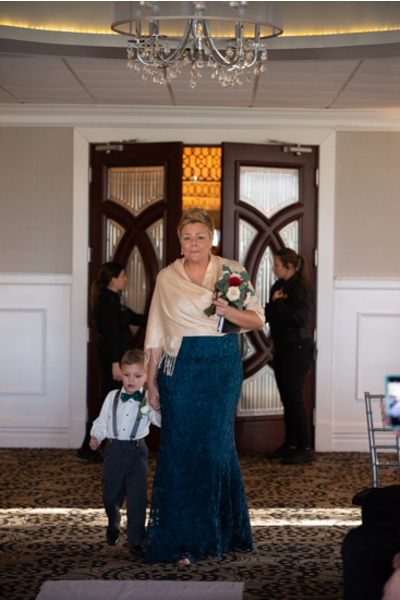 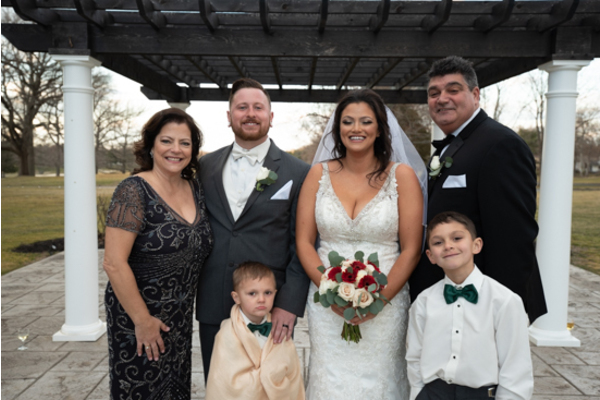 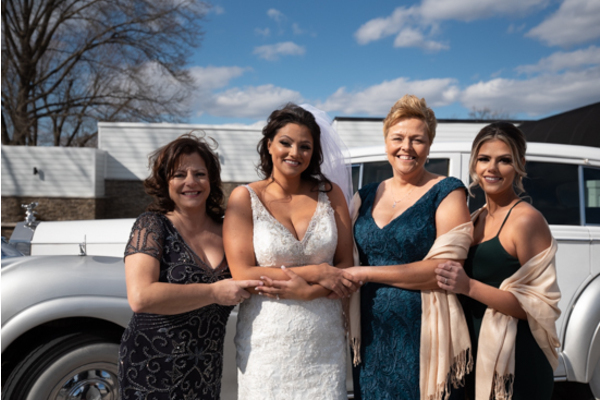 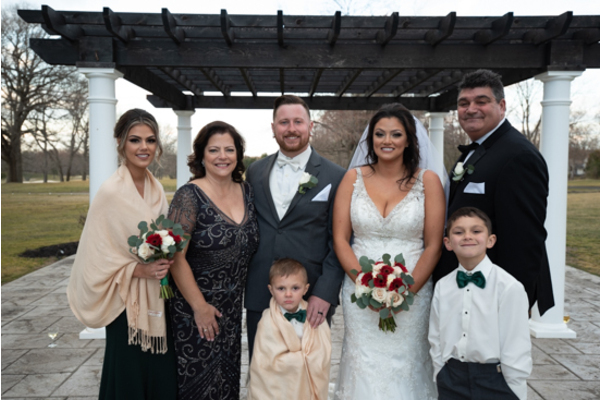 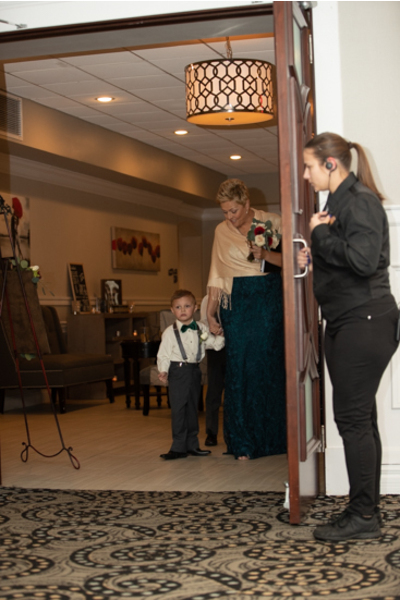 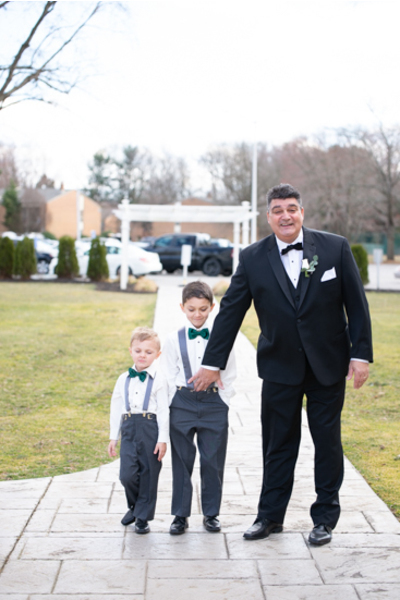 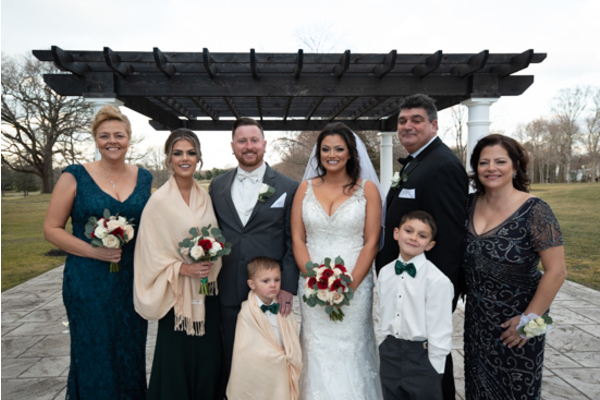 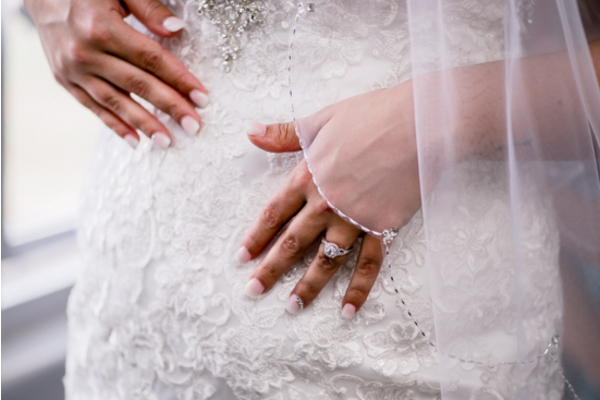 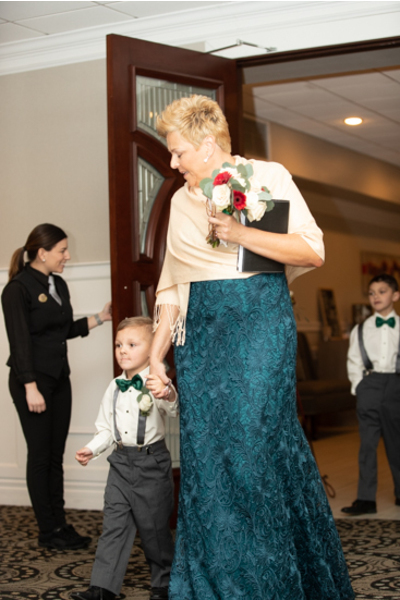 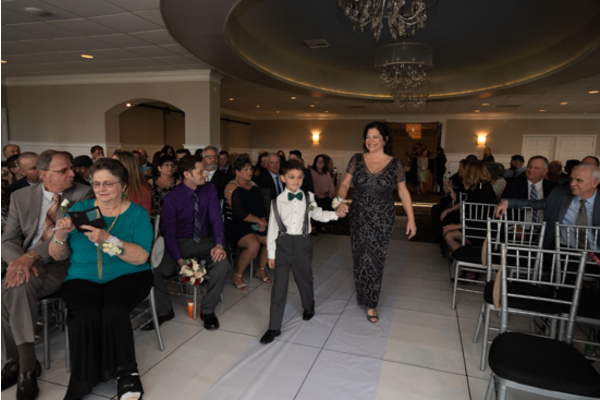 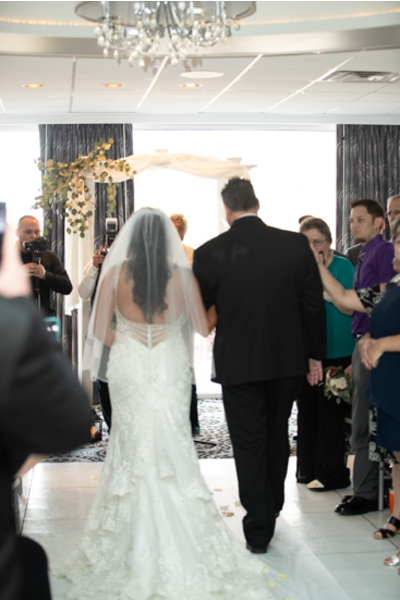 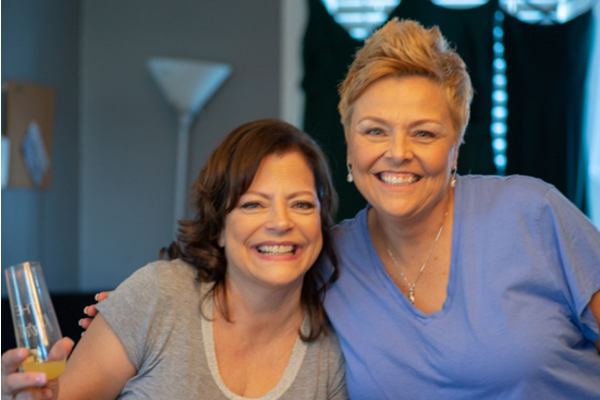 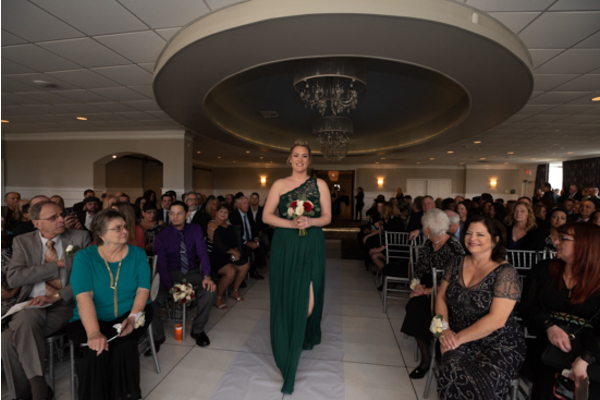 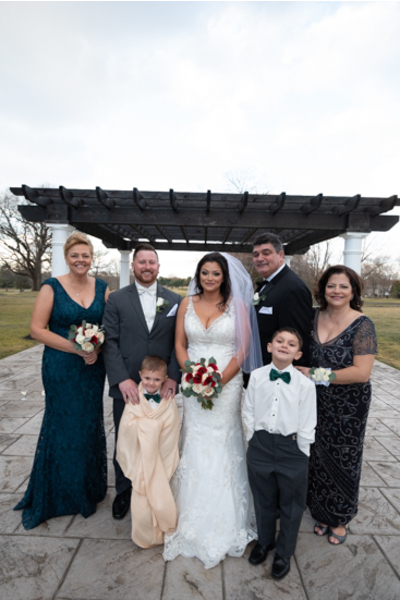 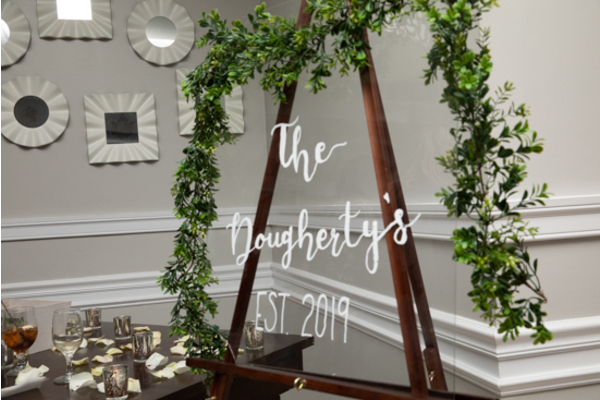 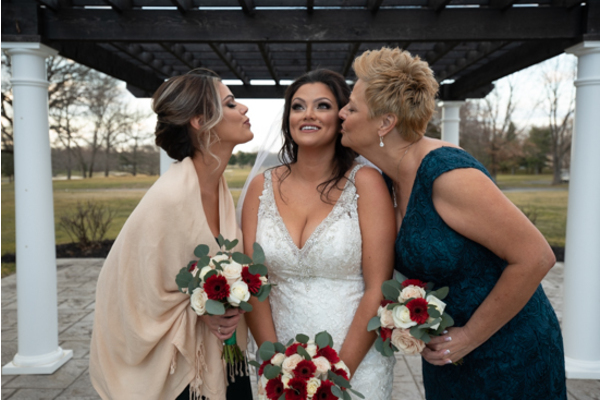 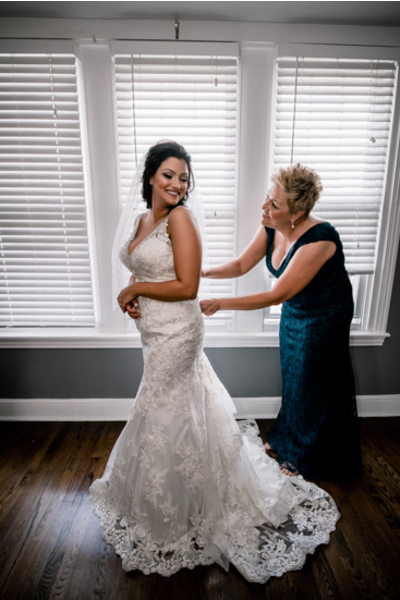 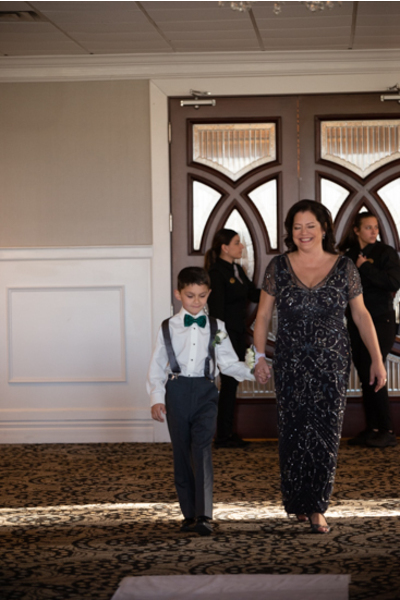 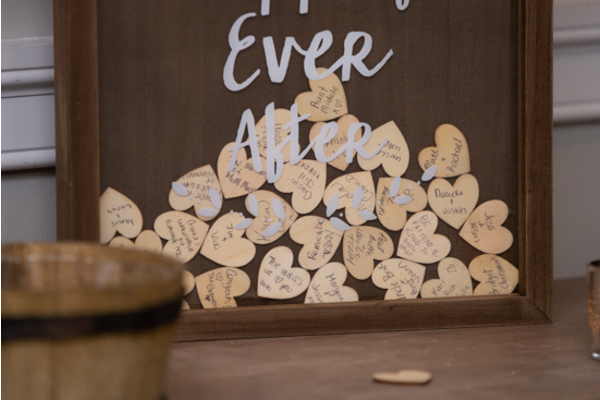 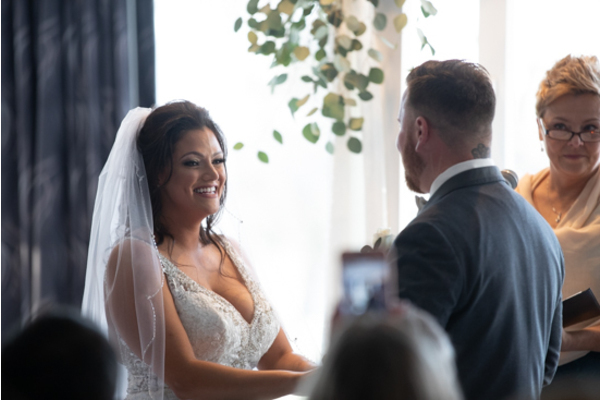 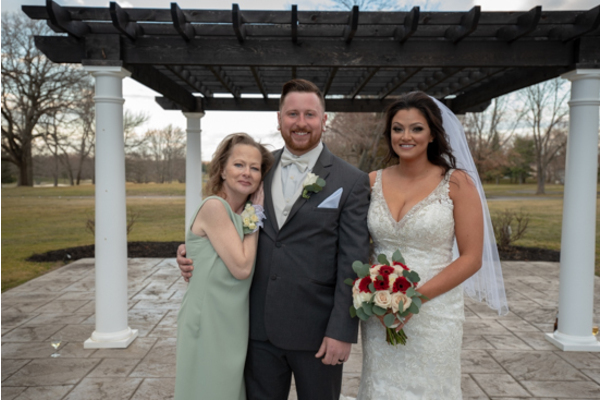 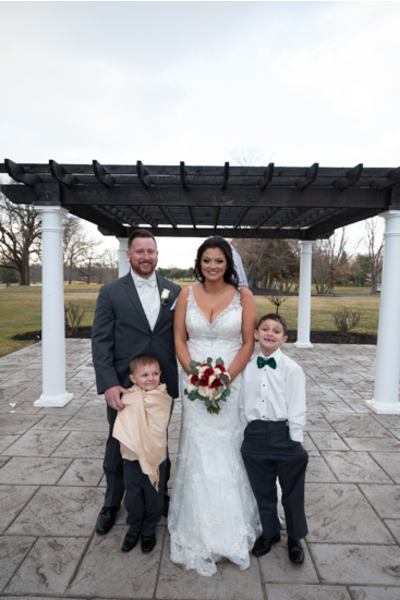 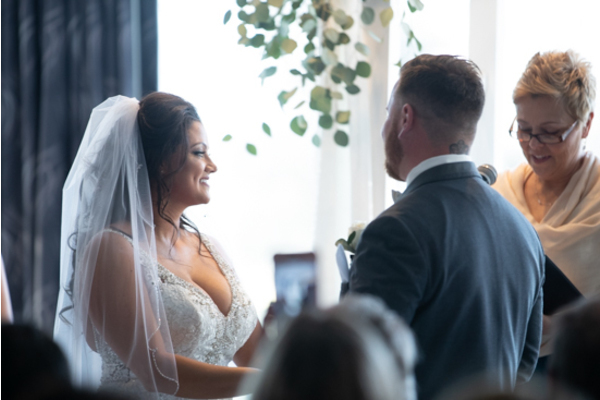 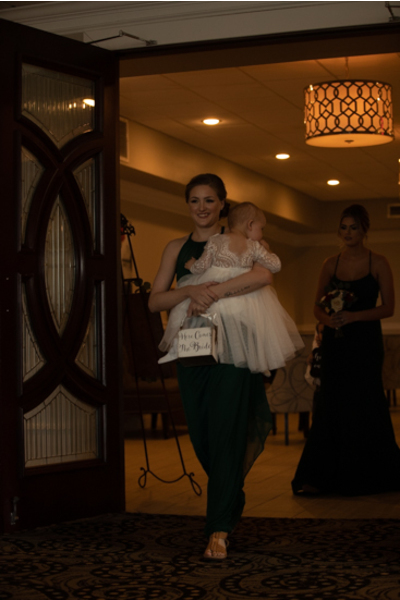 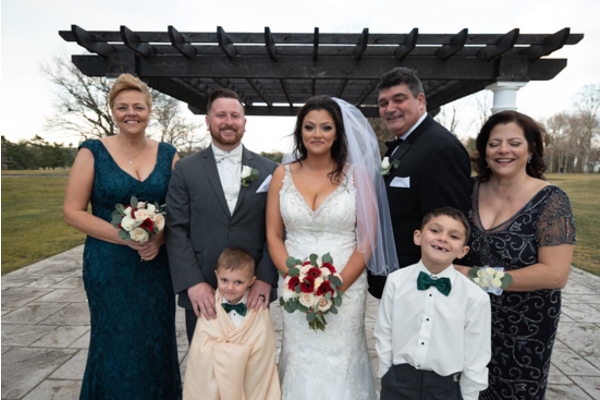 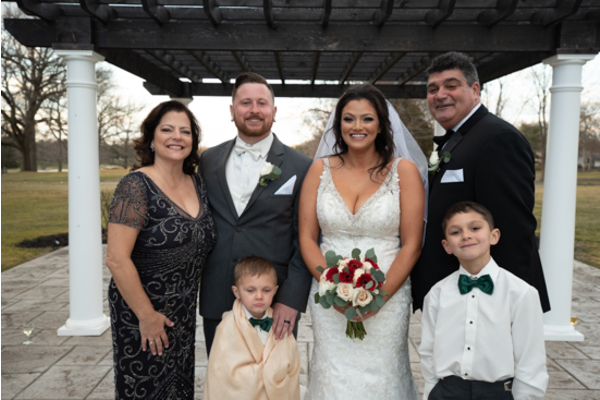 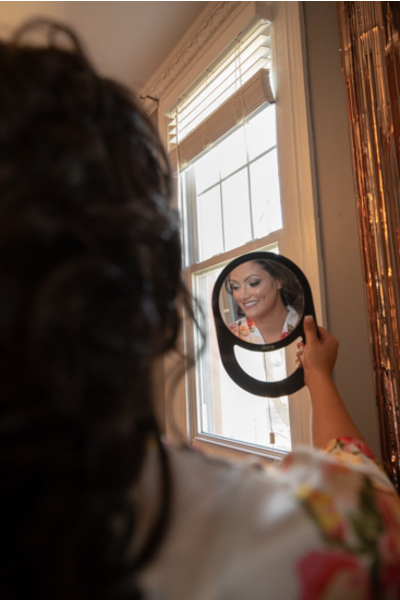 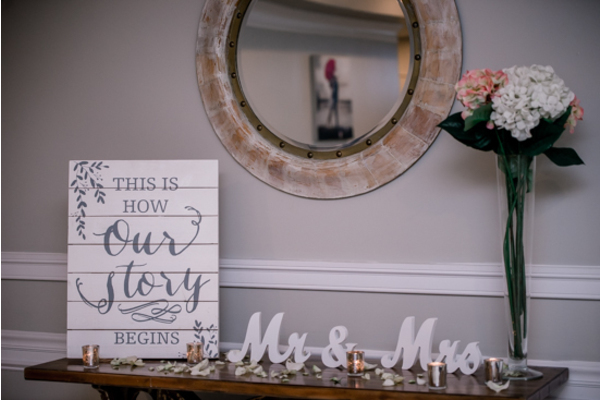 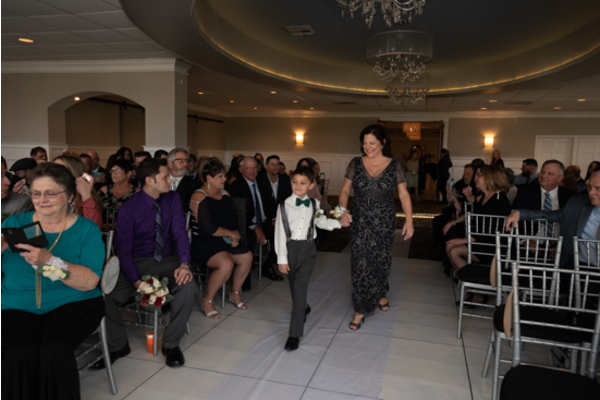 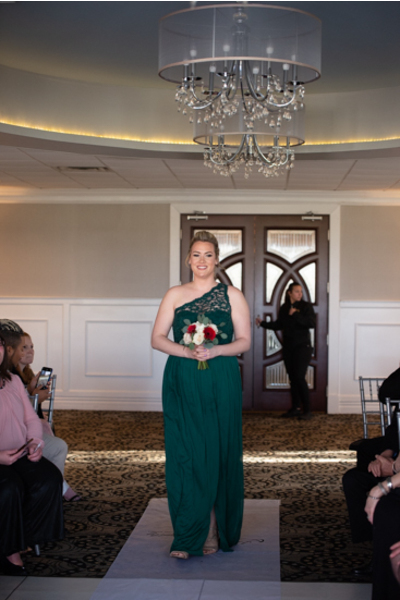 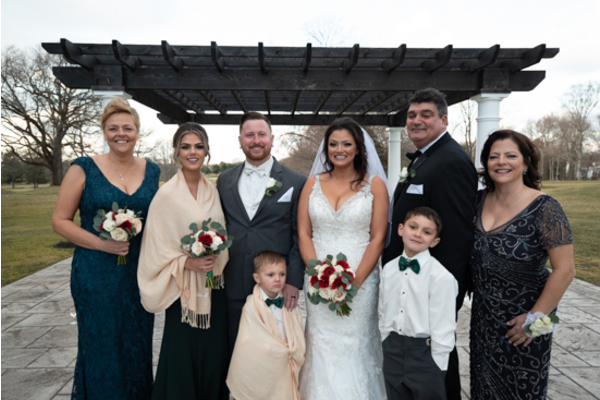 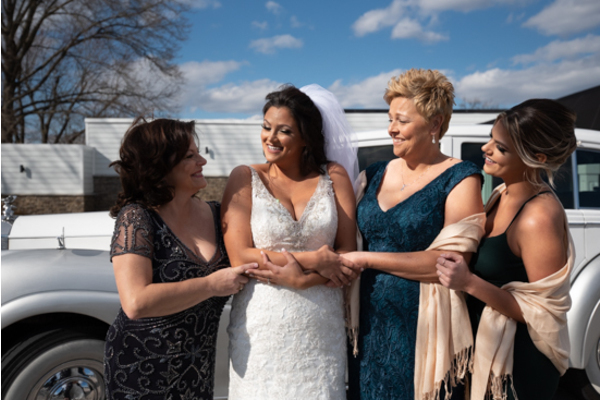 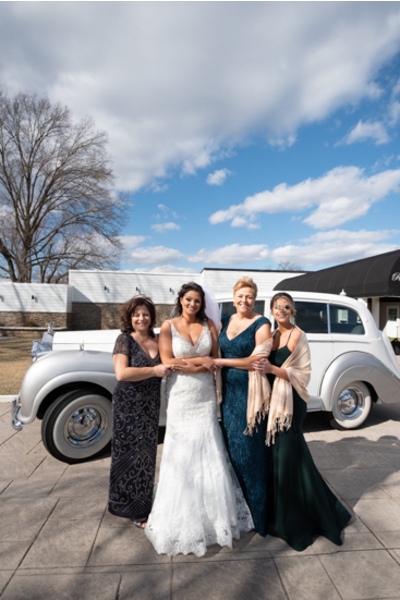 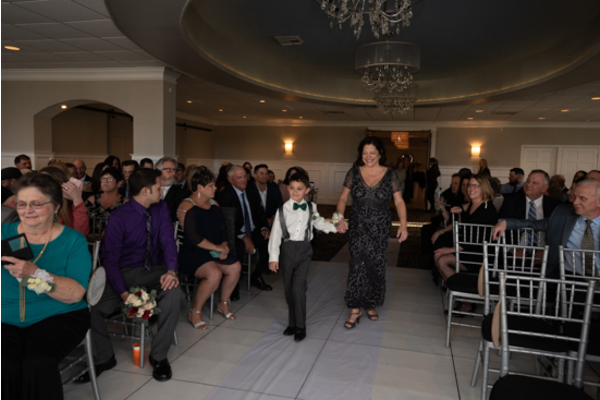 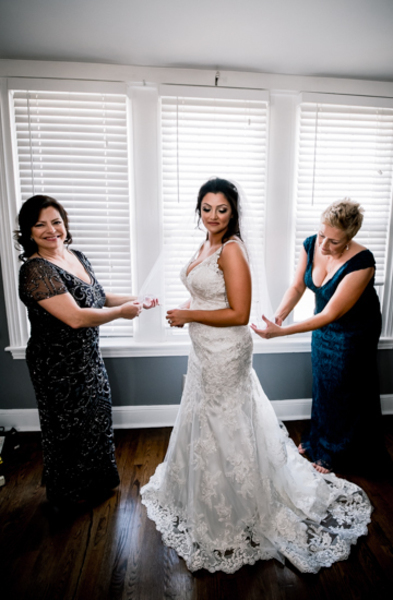 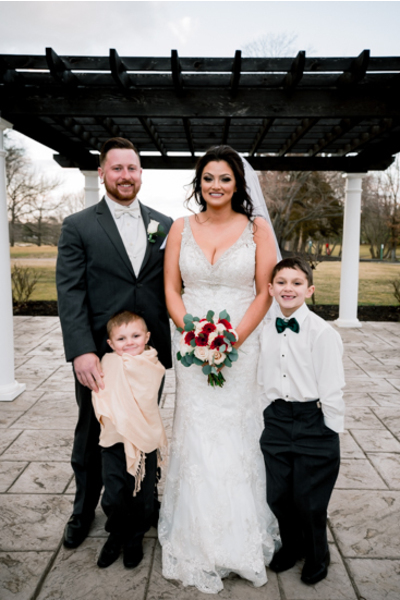 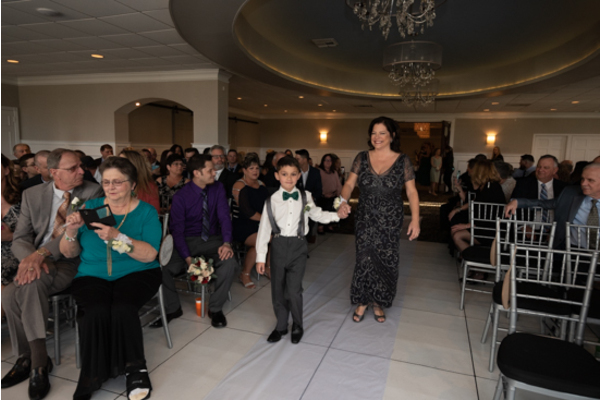 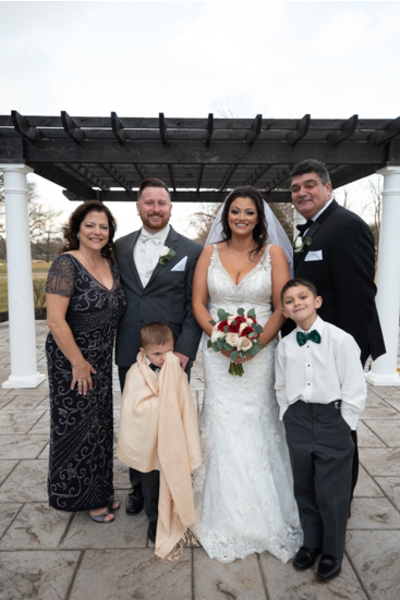 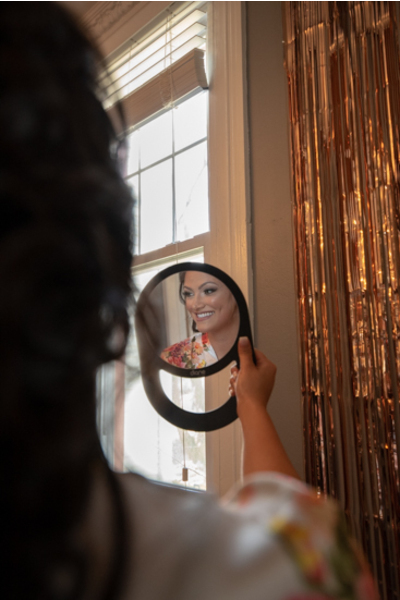 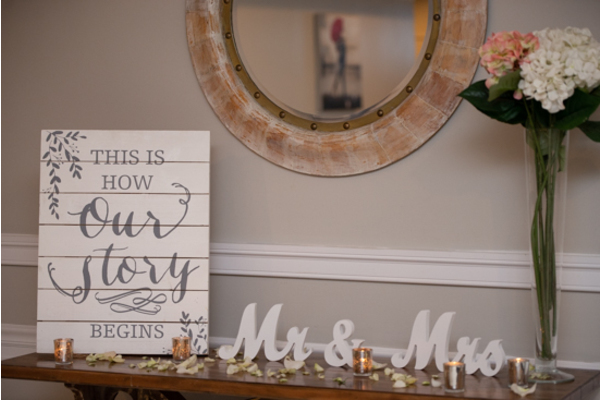 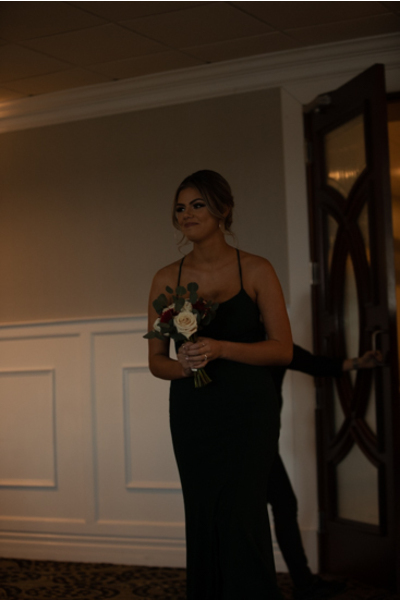 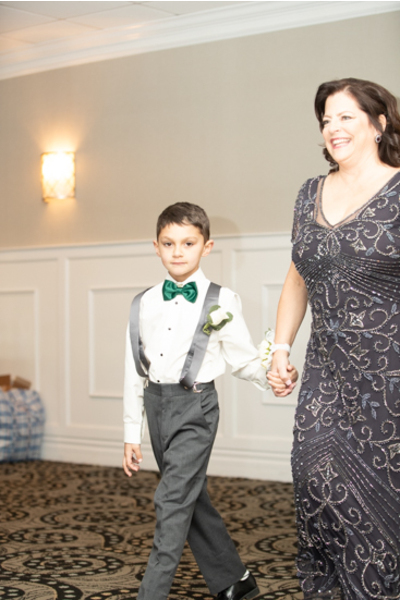 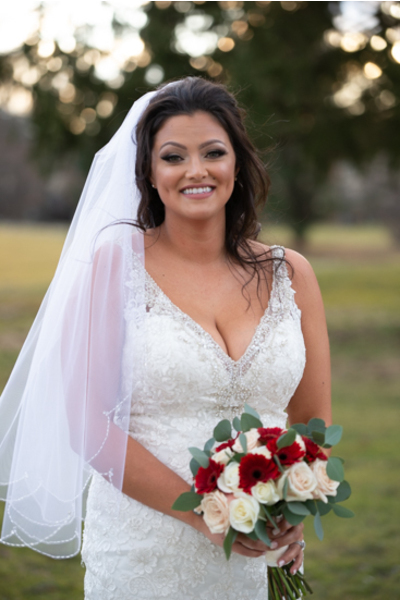 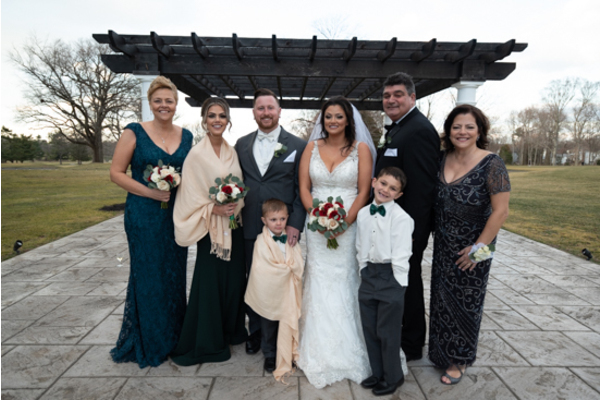 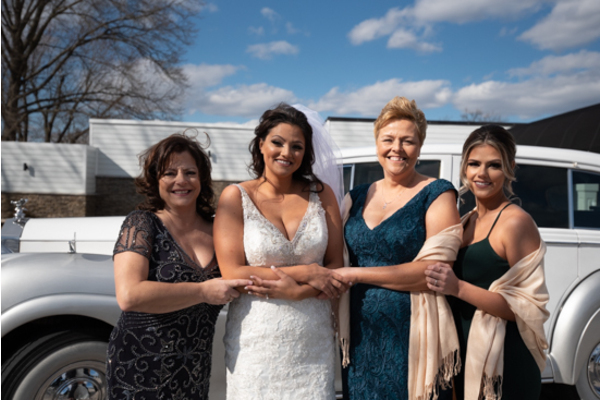 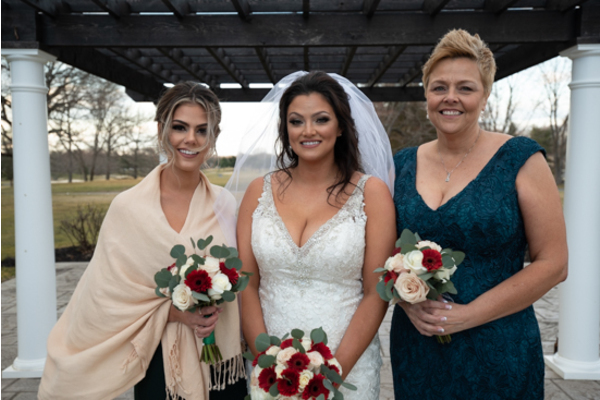 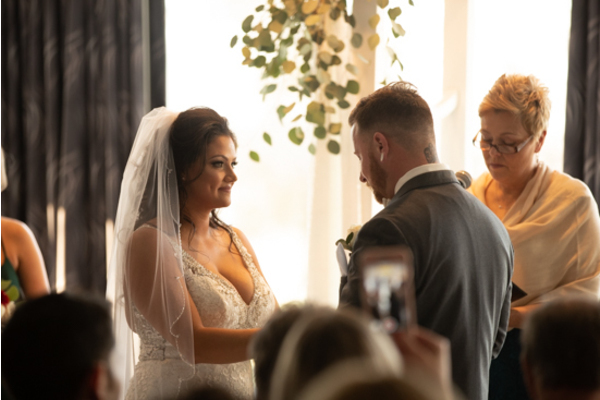 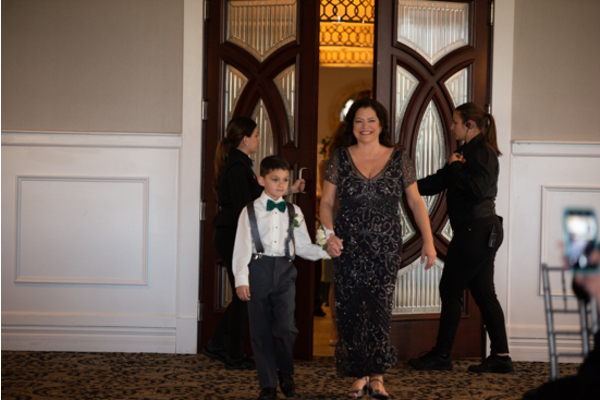 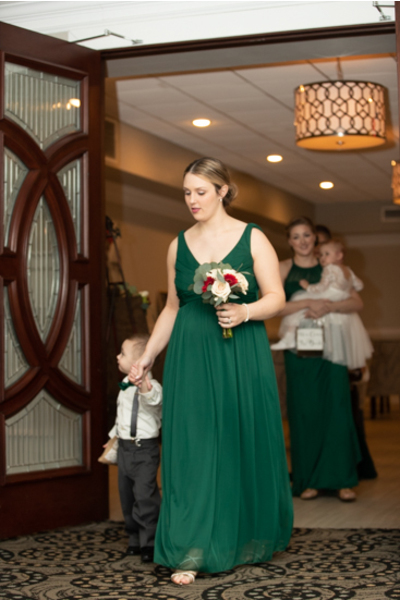 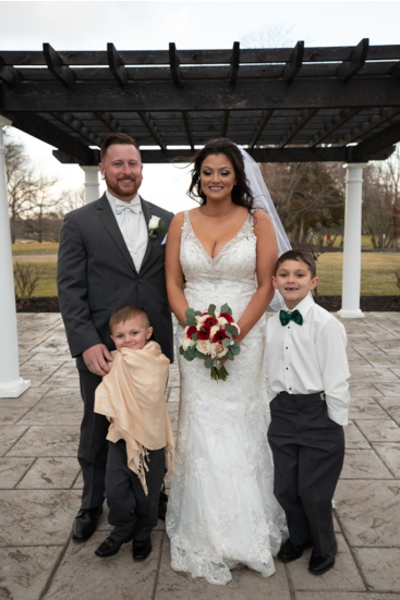 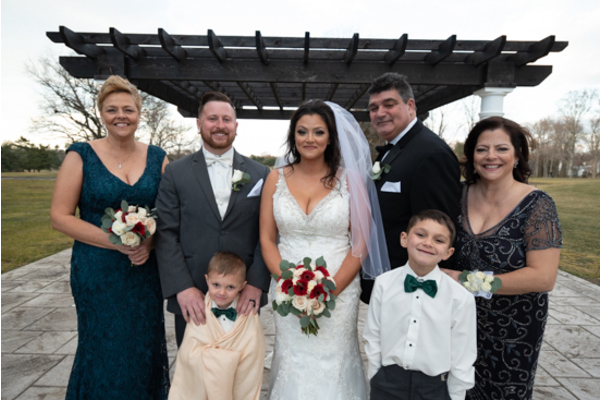 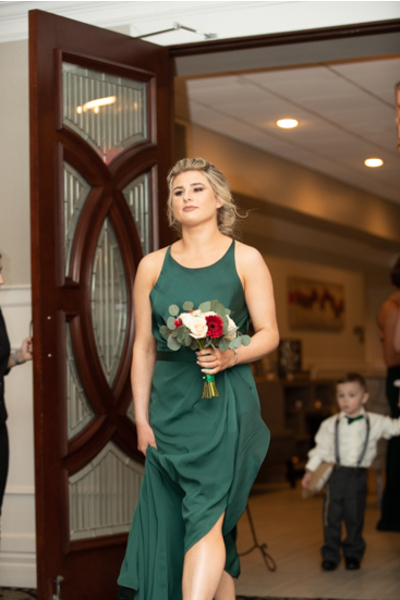 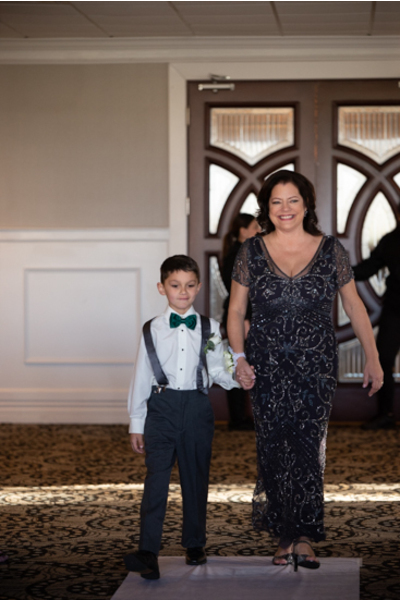 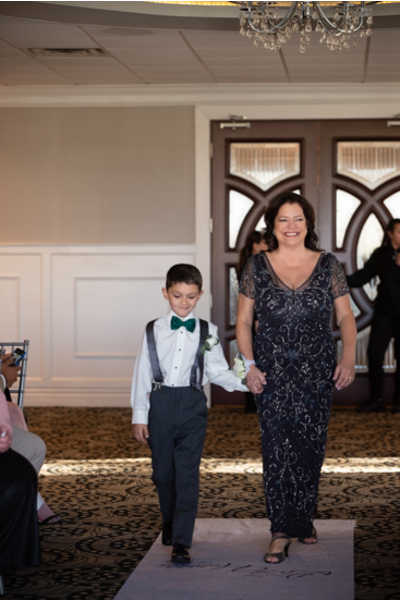 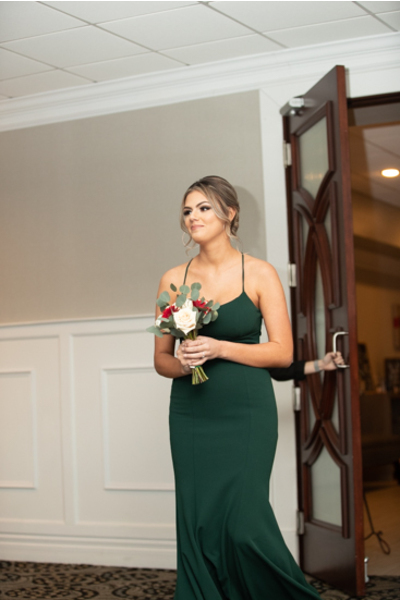 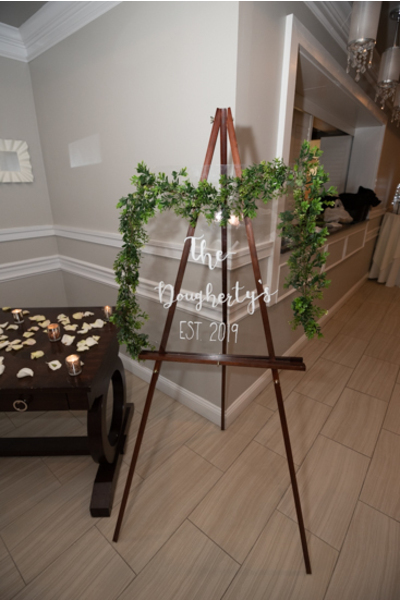 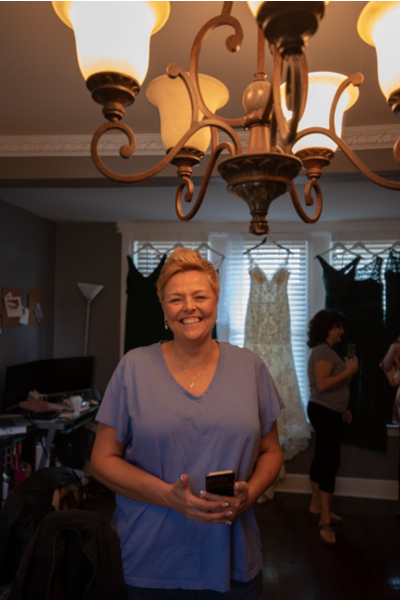 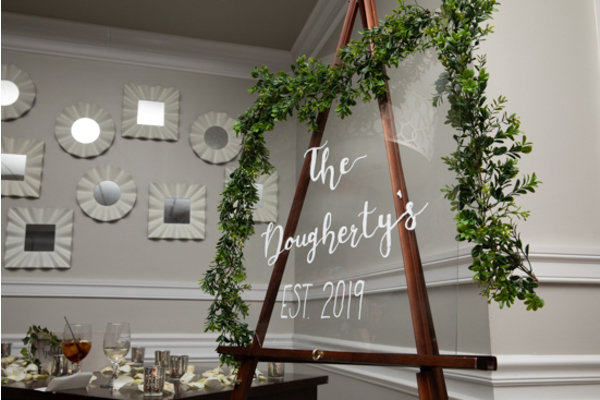 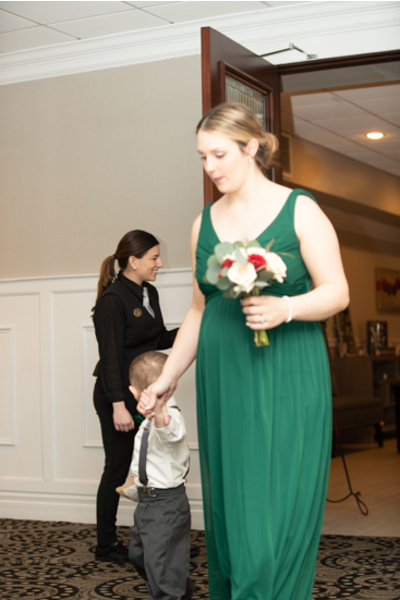 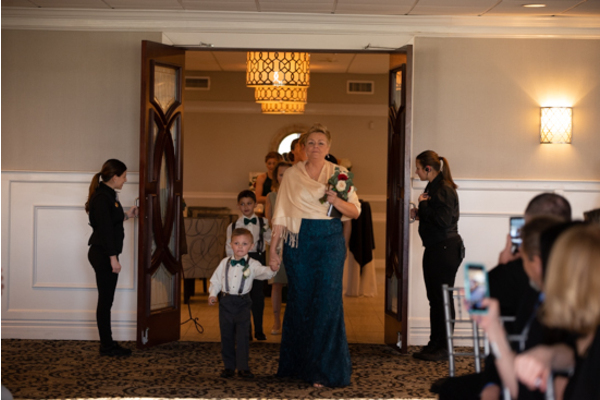 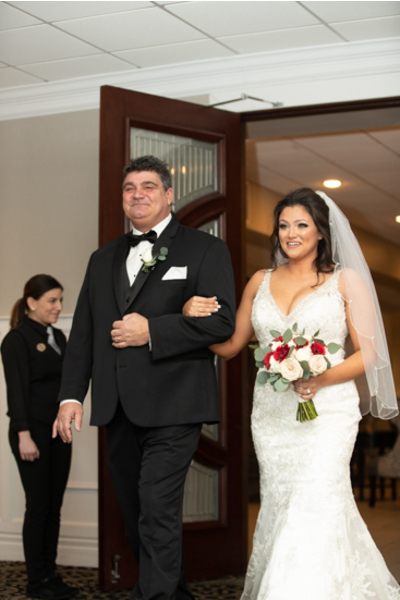 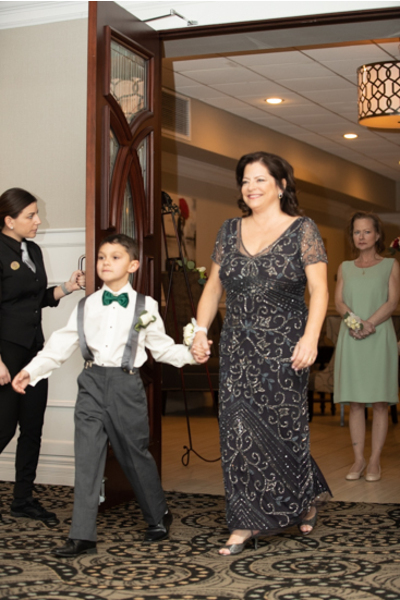 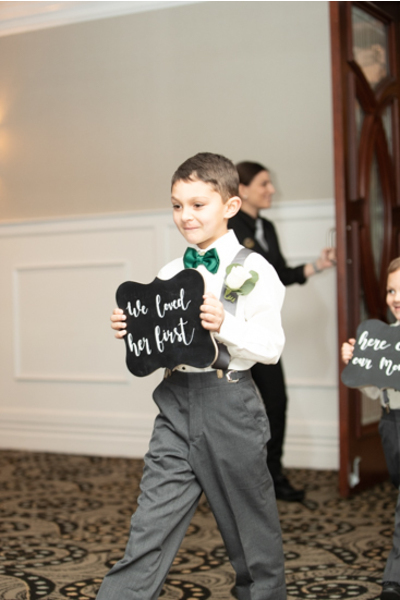 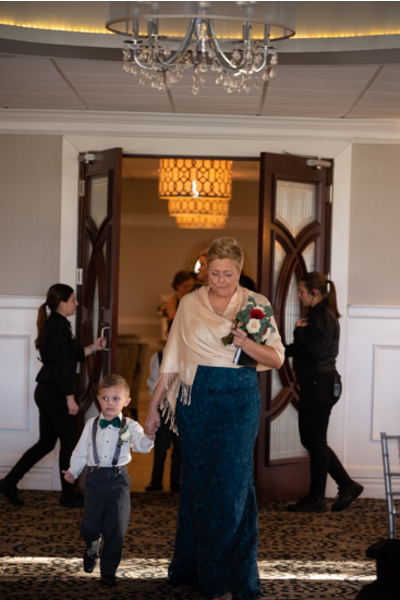 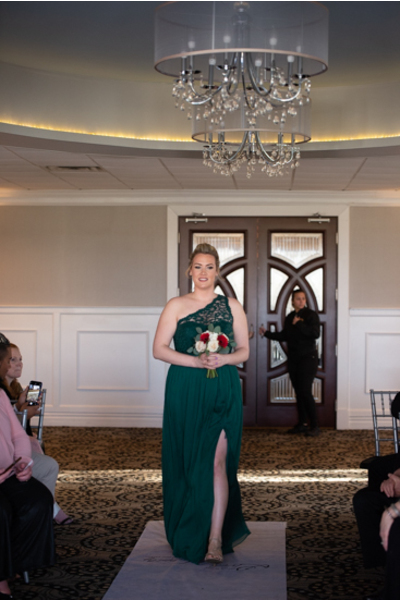 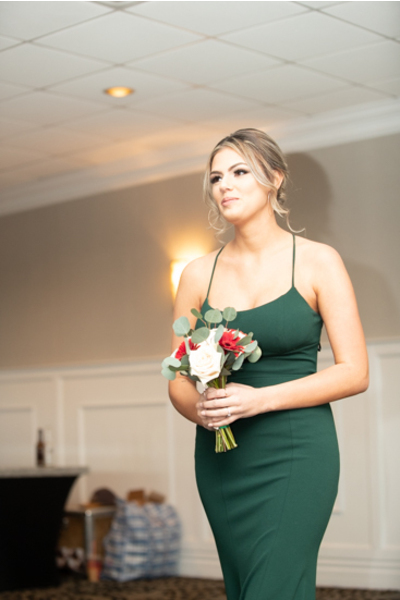 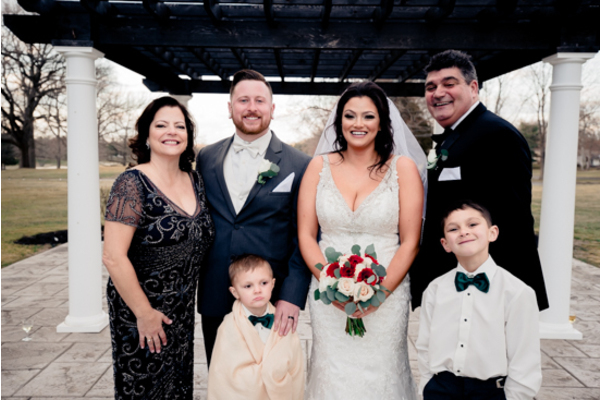 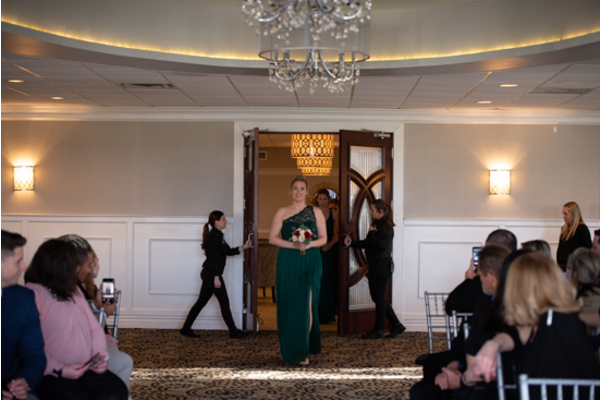 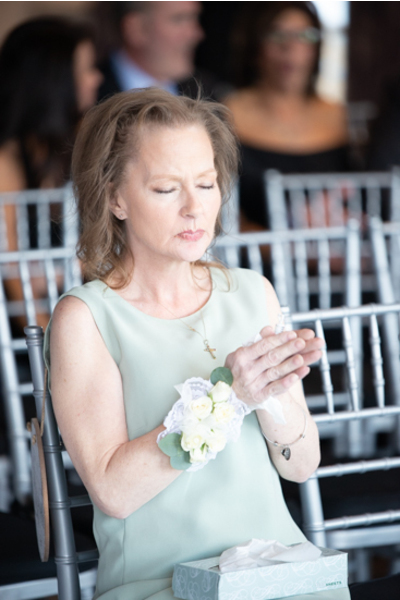 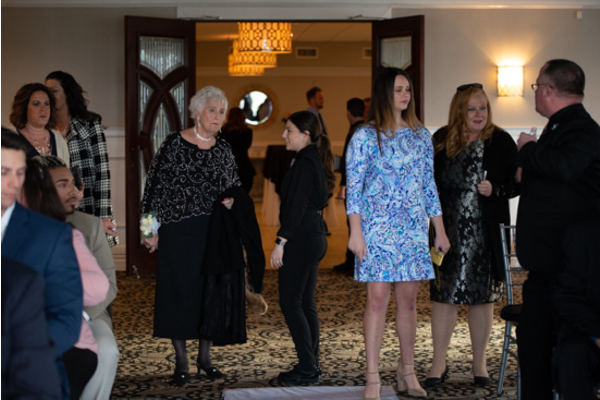 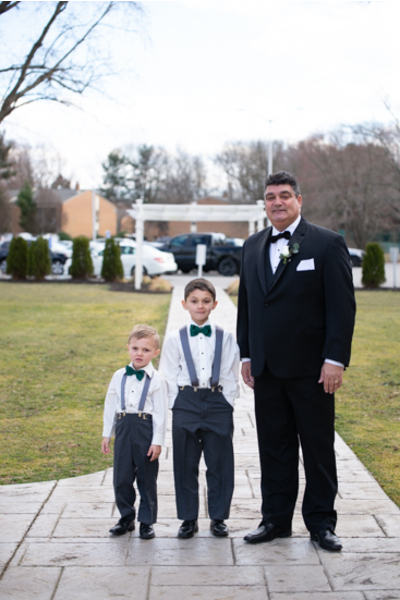 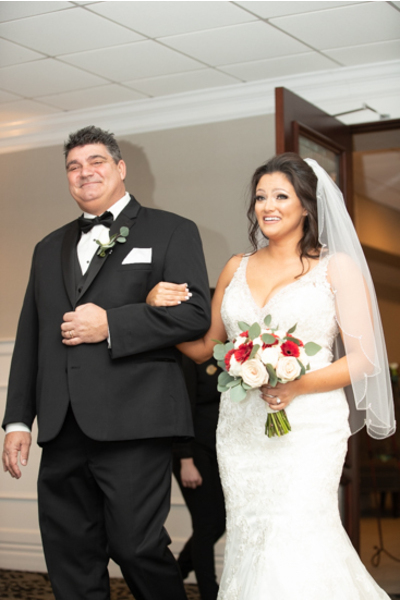 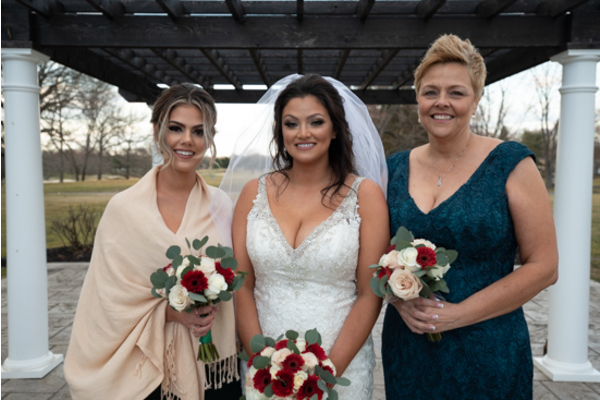 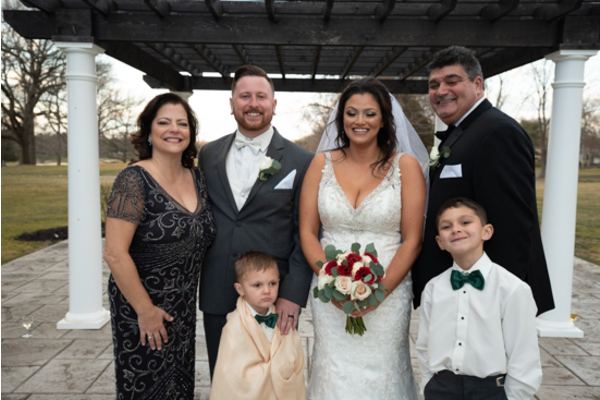 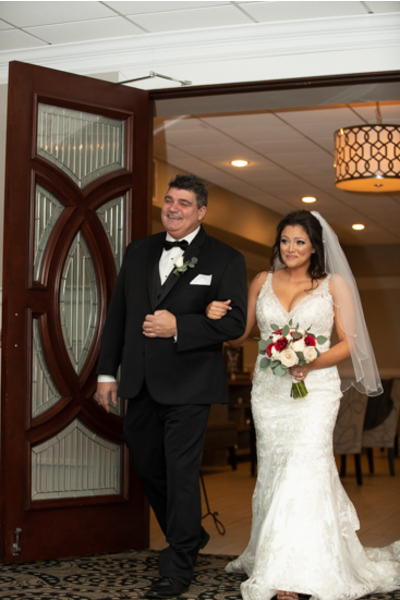 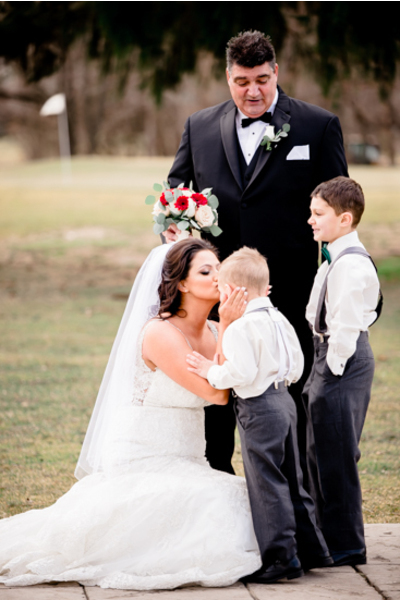 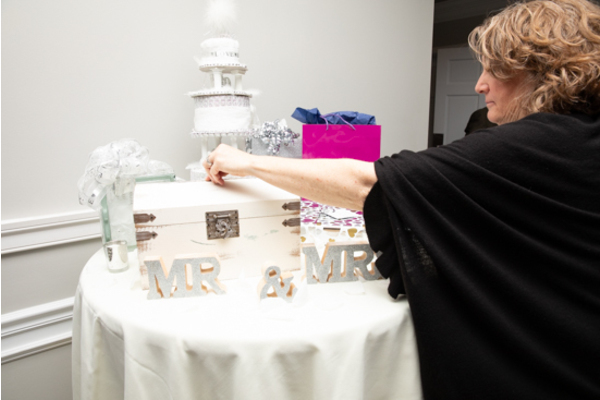 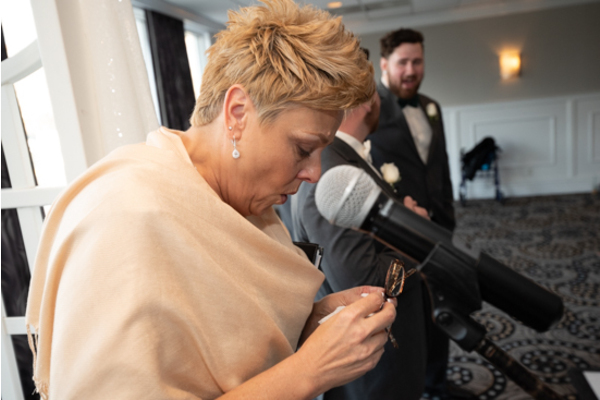 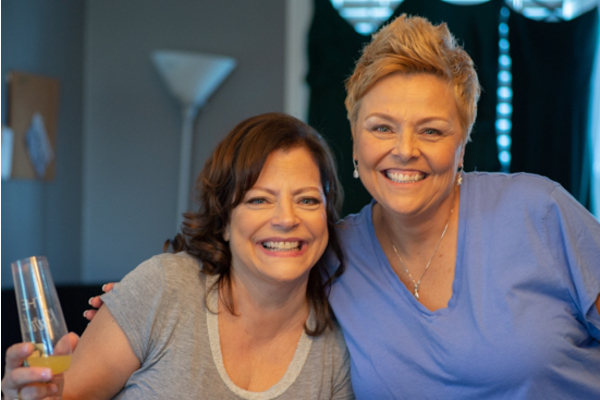 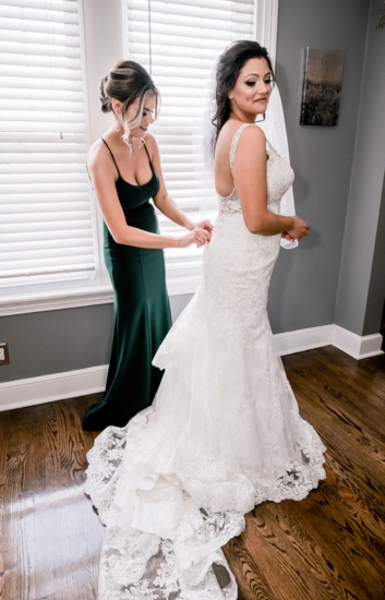 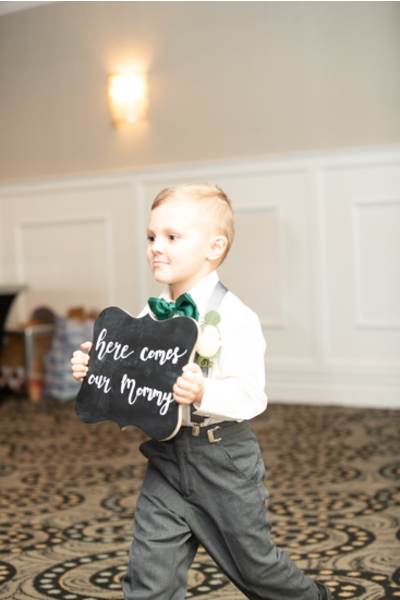 We loved capturing and spending every minute of your special day with you and your wonderful family!